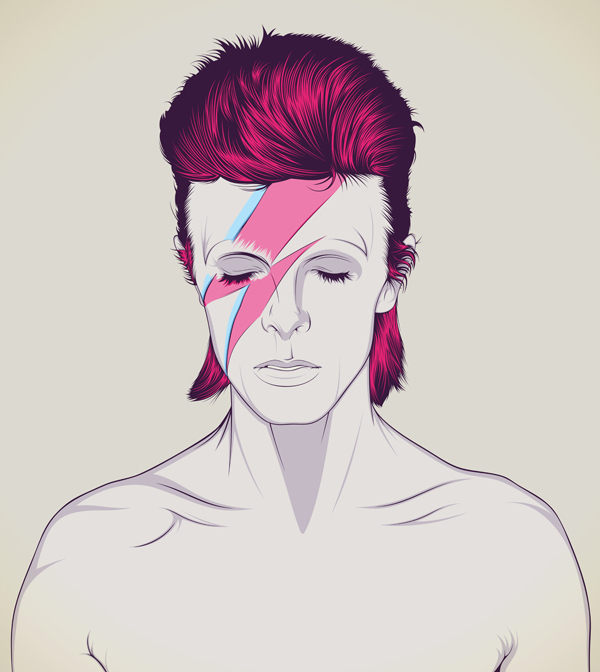 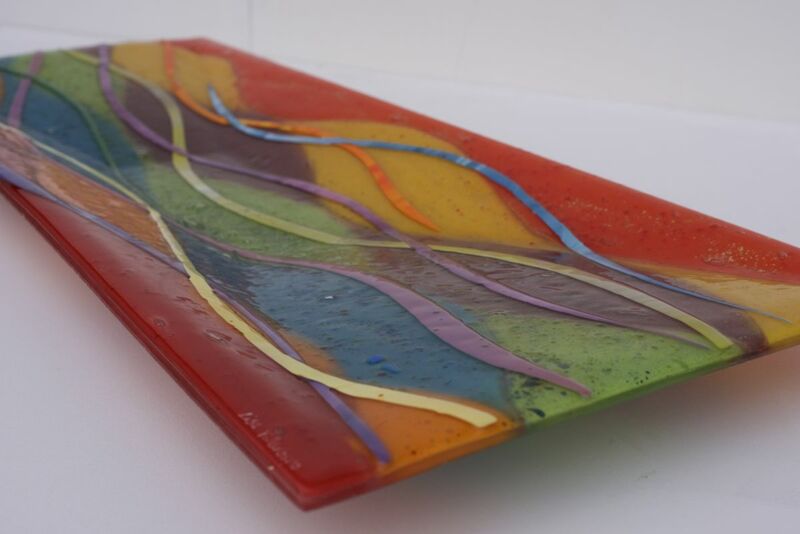 Here’s another piece from a little while ago. 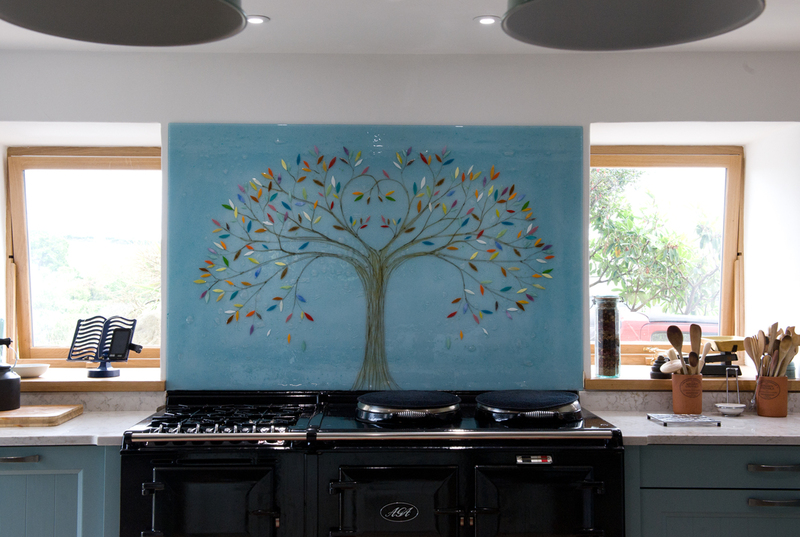 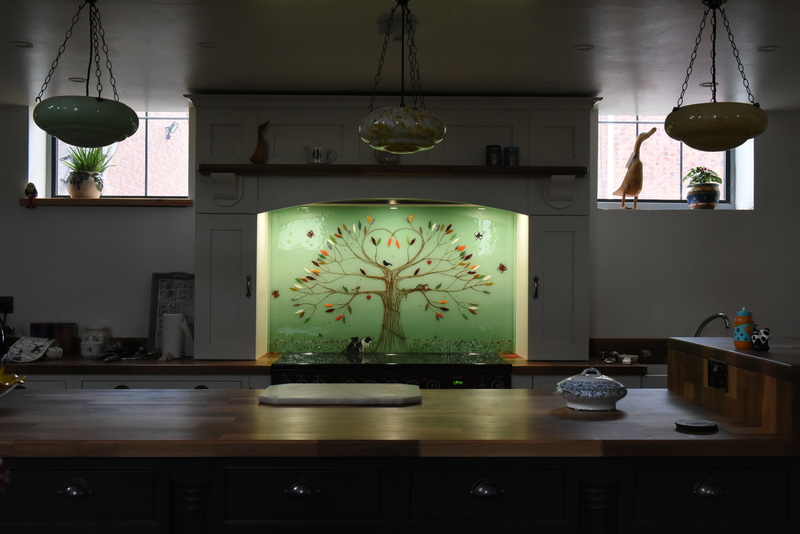 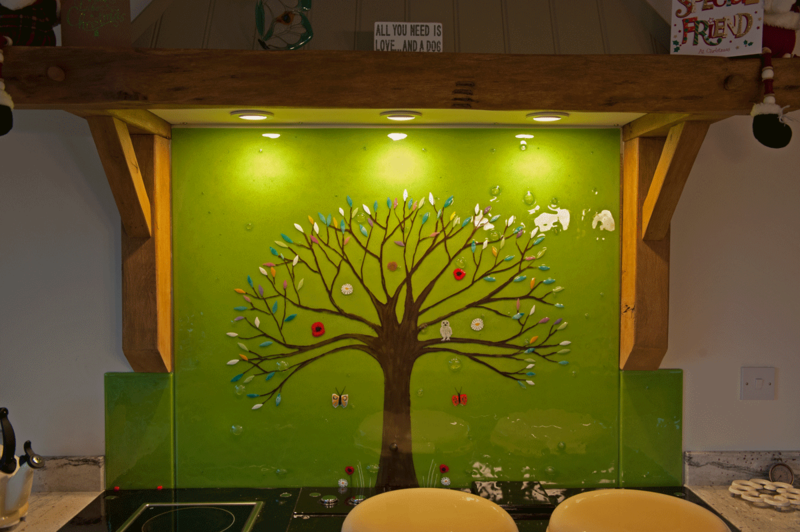 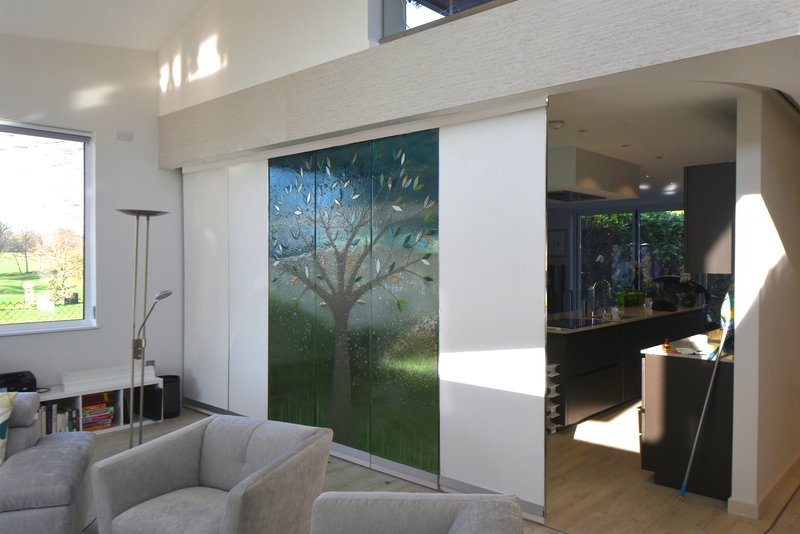 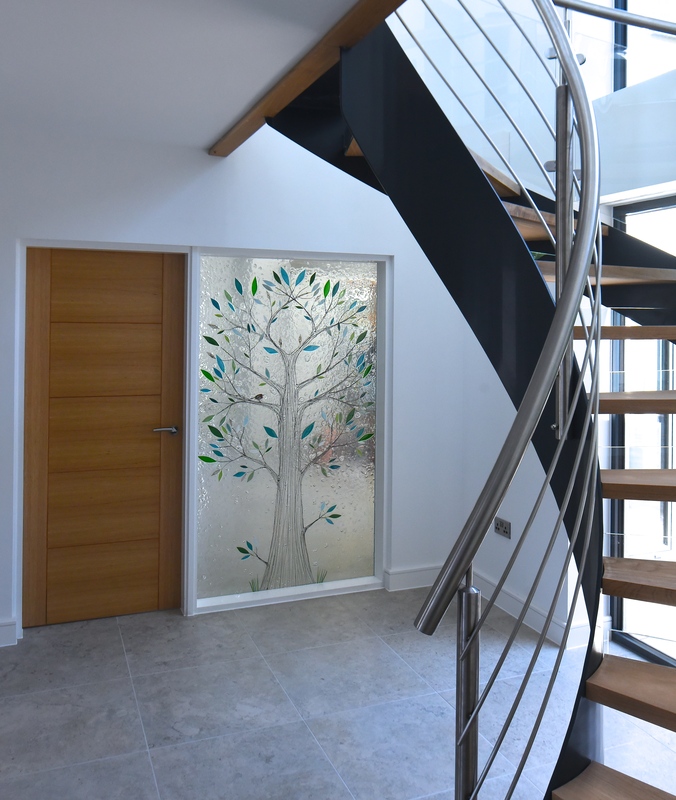 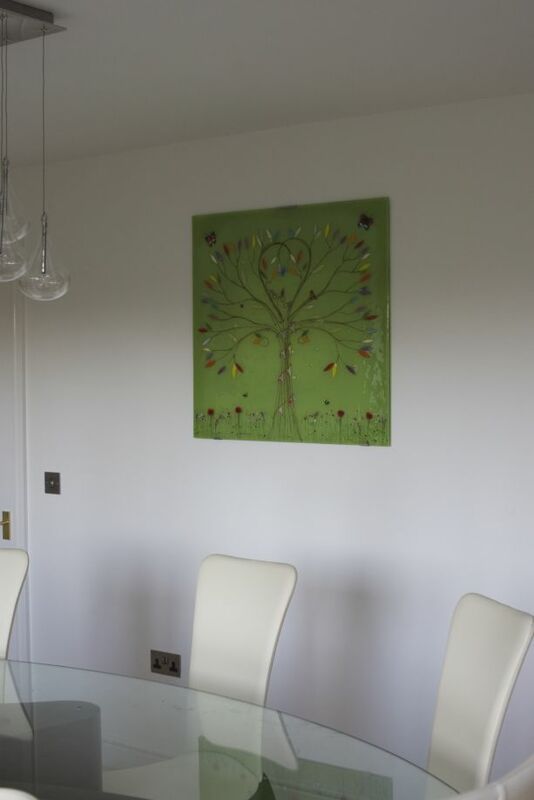 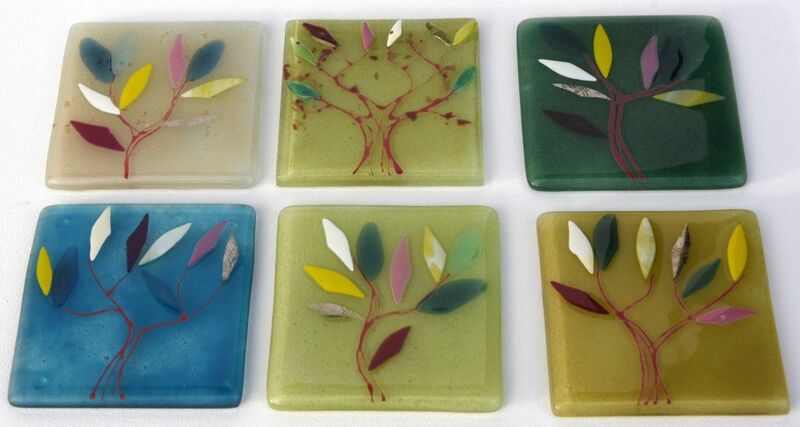 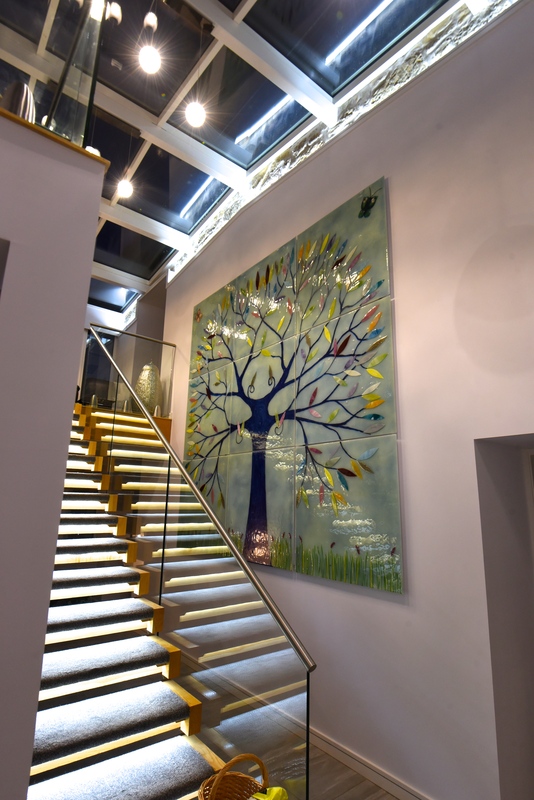 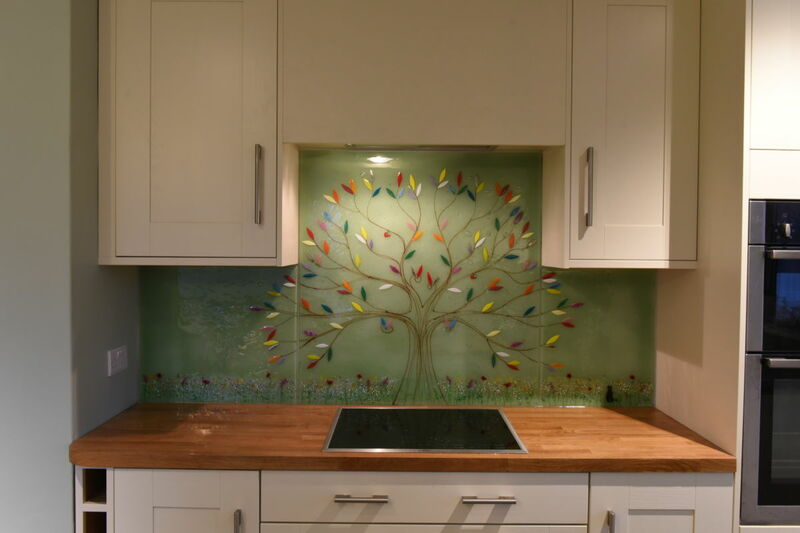 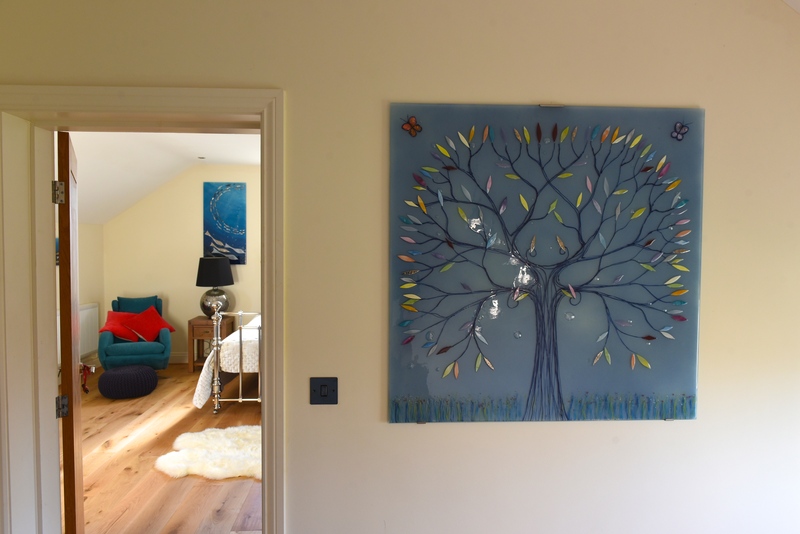 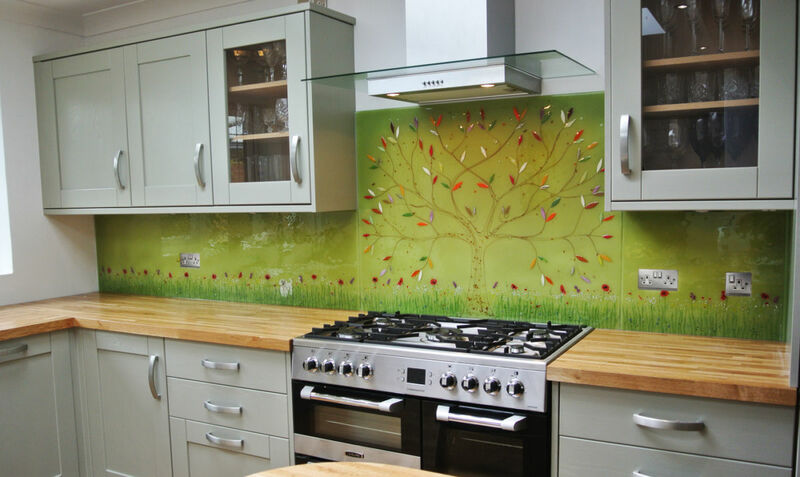 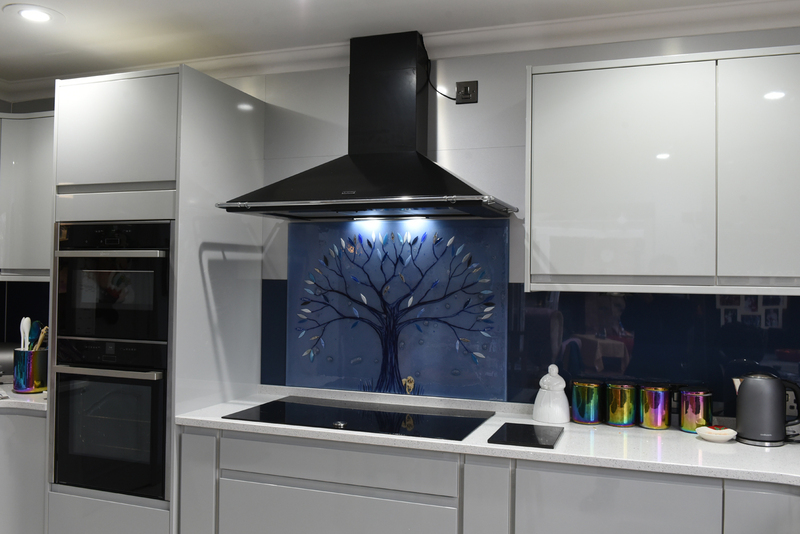 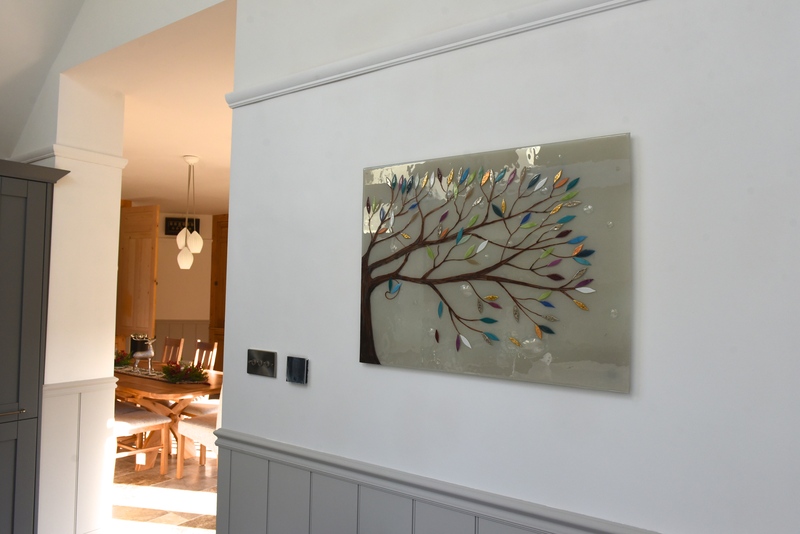 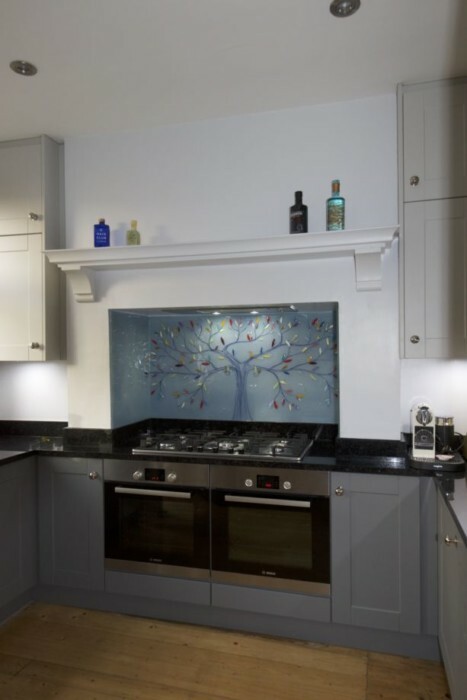 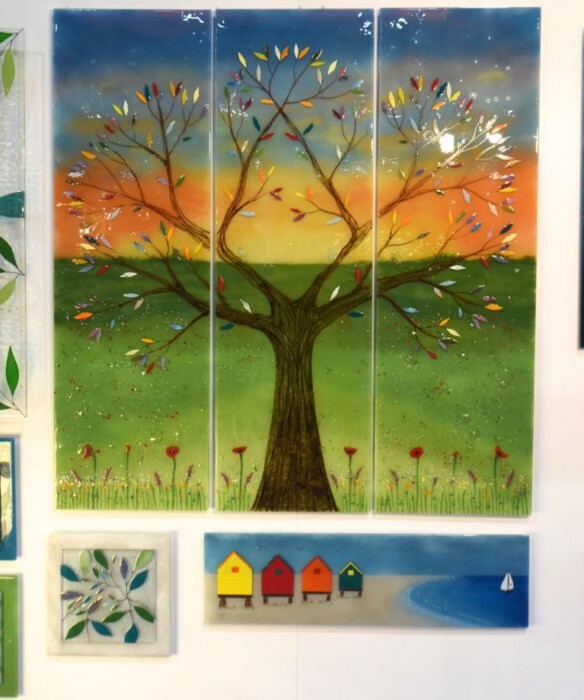 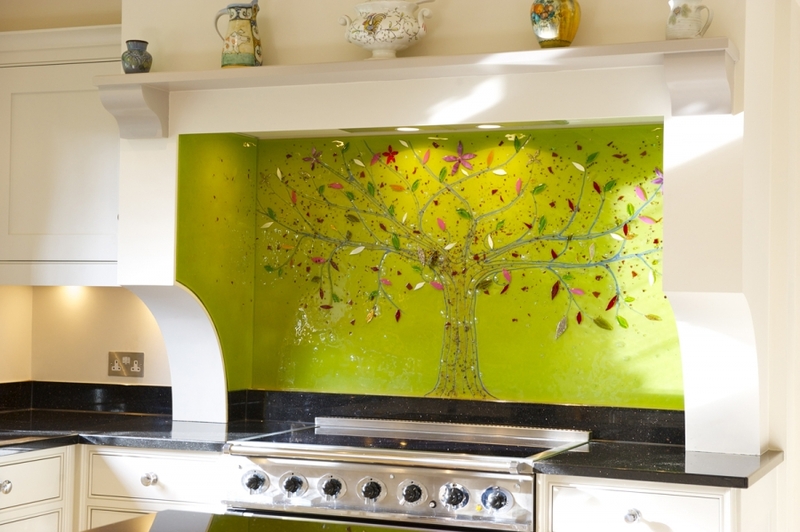 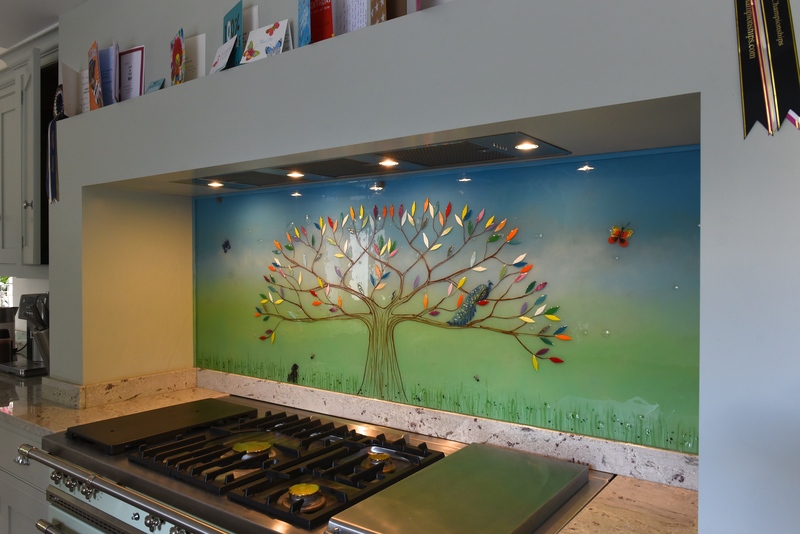 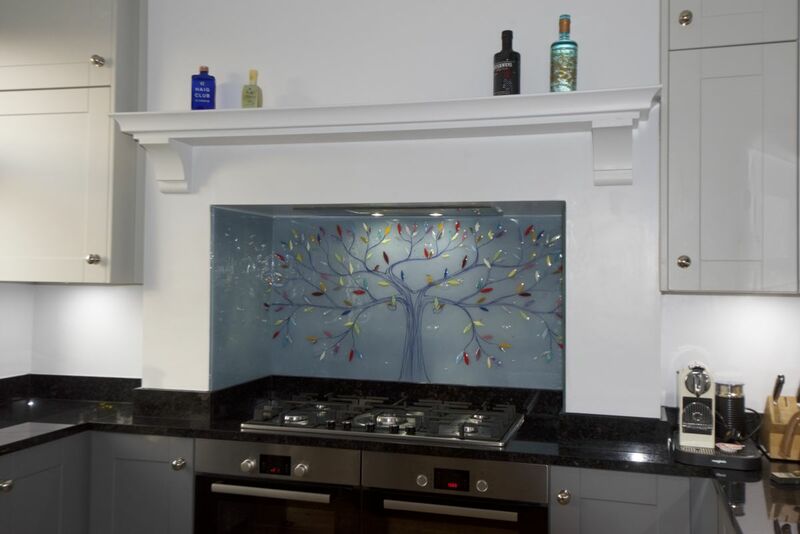 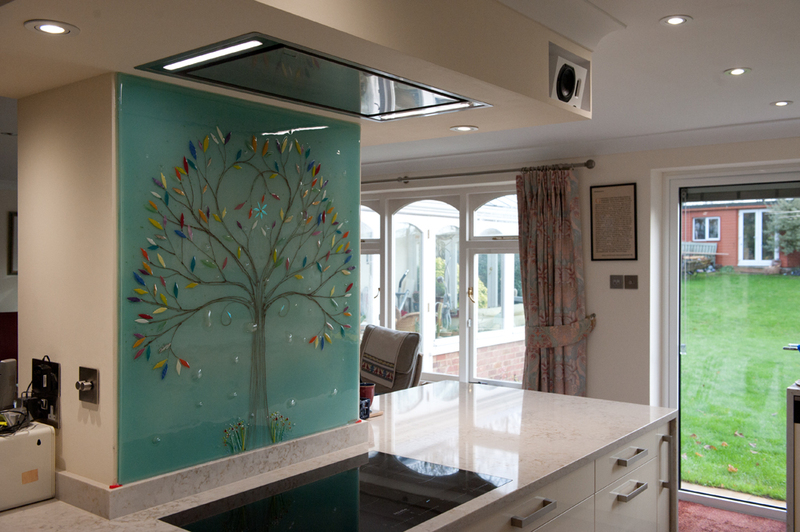 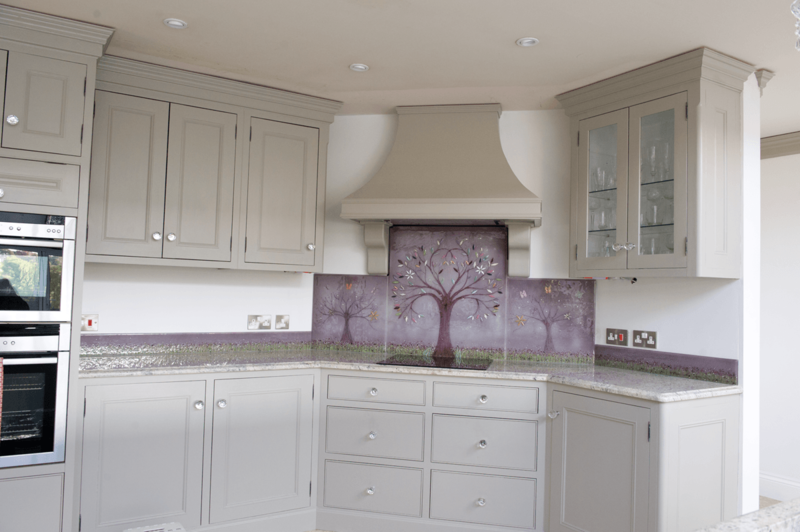 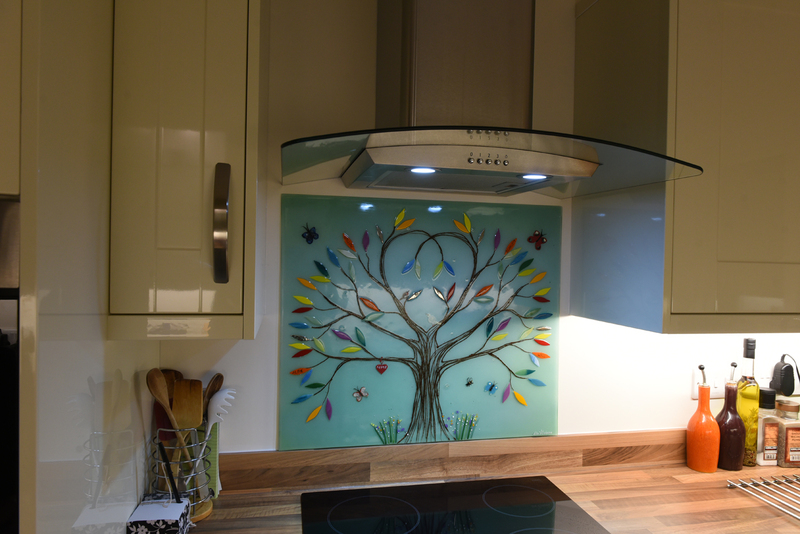 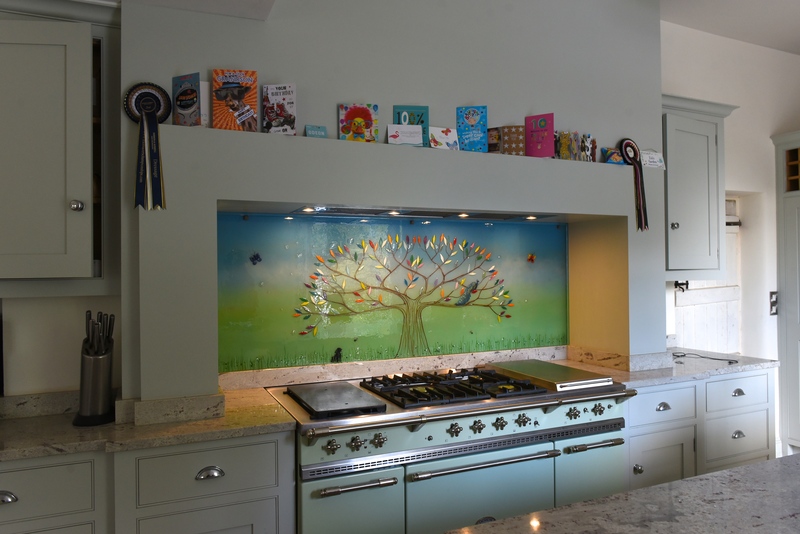 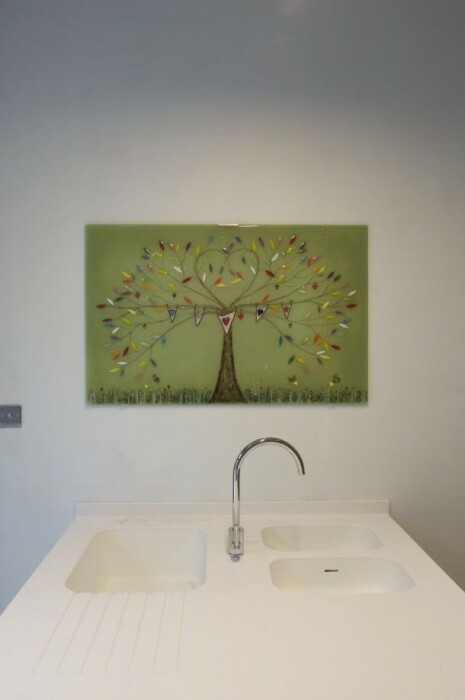 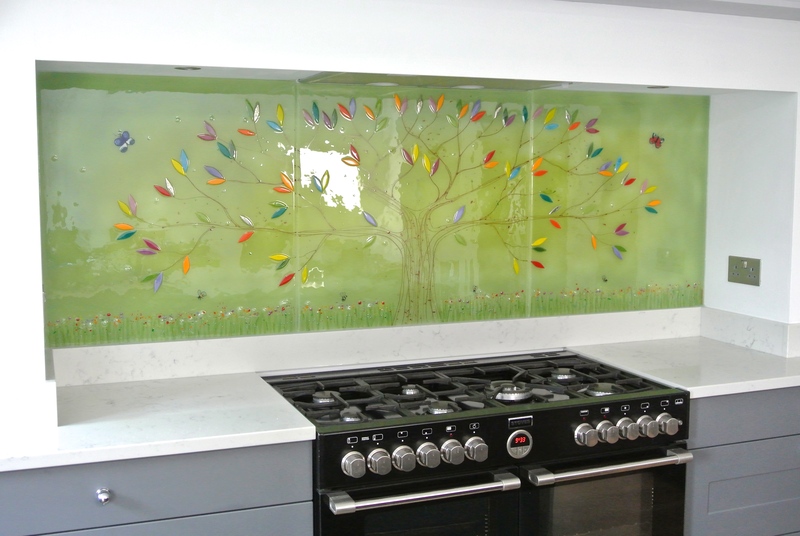 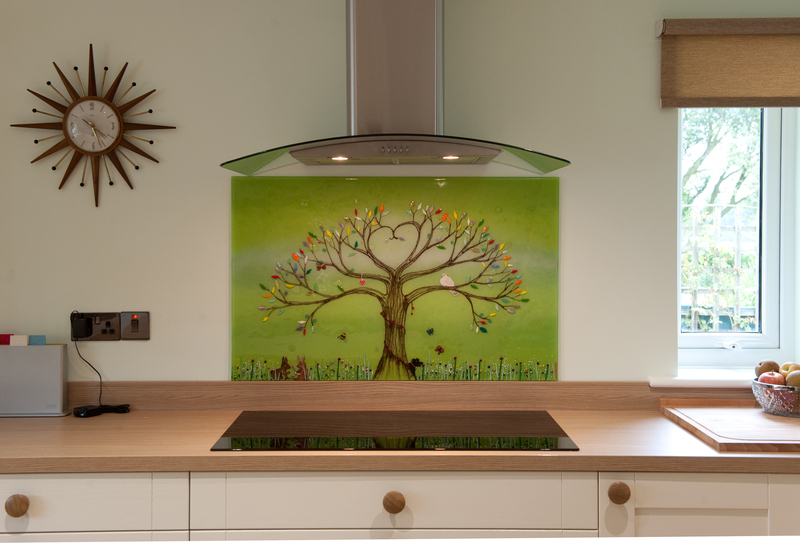 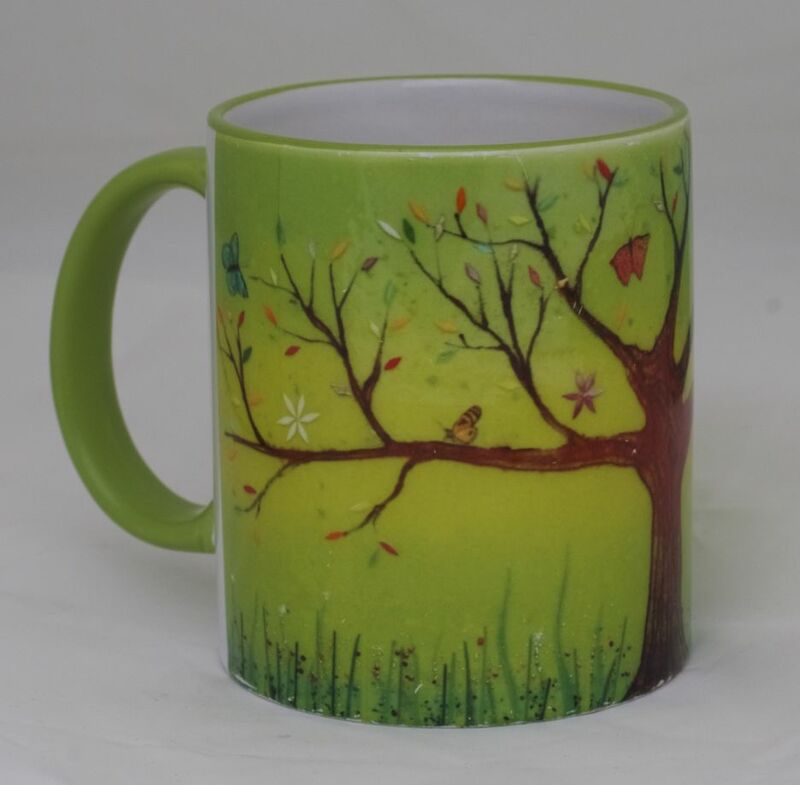 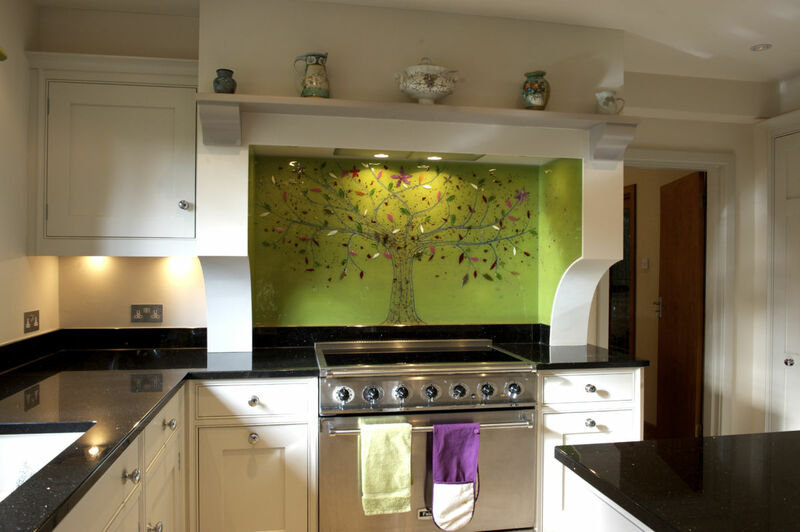 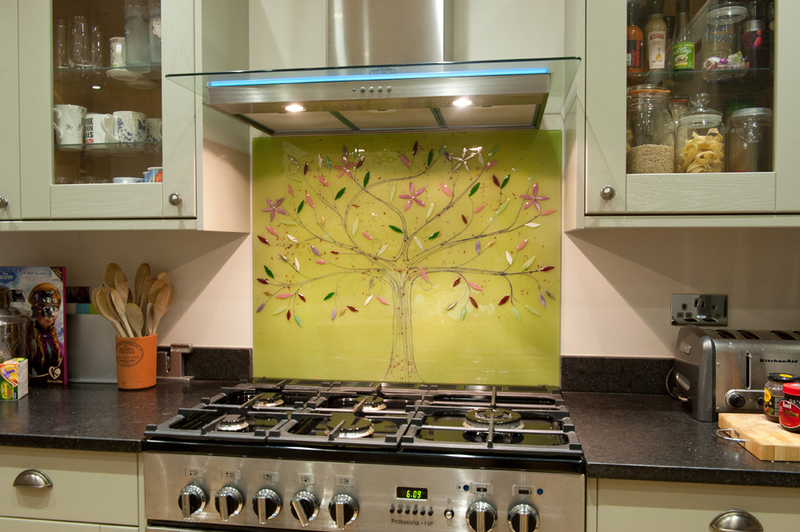 Created for a customer in Stonehouse, Stroud, this gorgeous piece of glass wall art features a green Tree of Life that fills a previously empty space with colour and life. 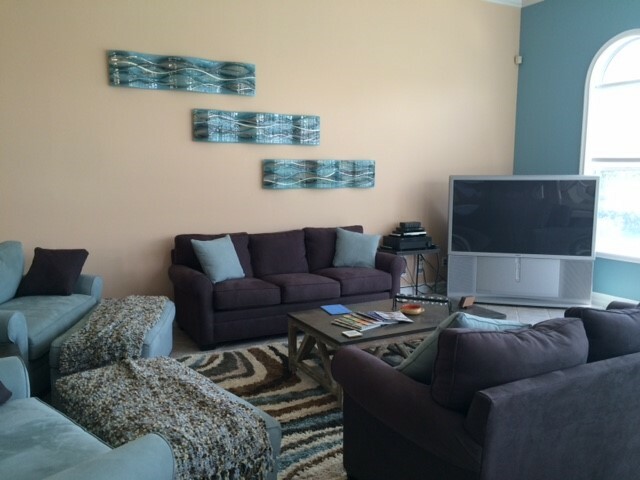 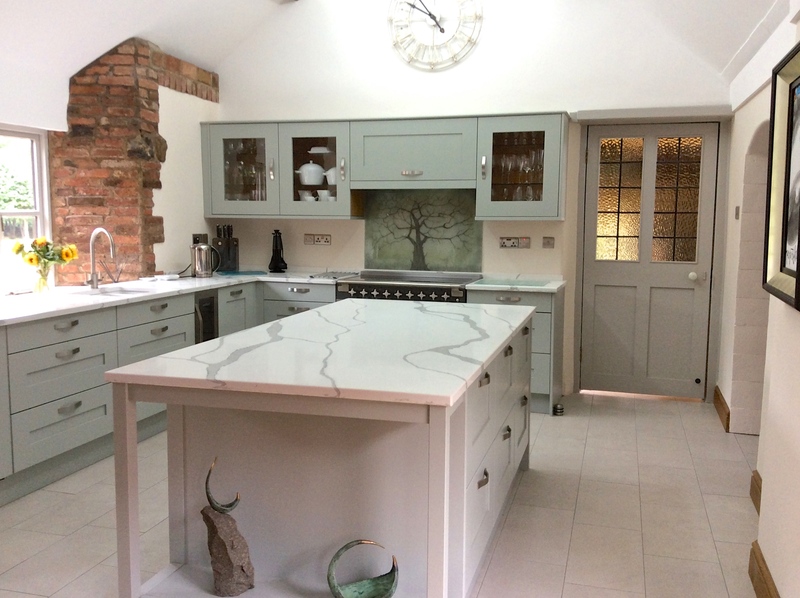 The colour was specially selected for its lively, summery tone that perfectly complements the neutral décor of the room. 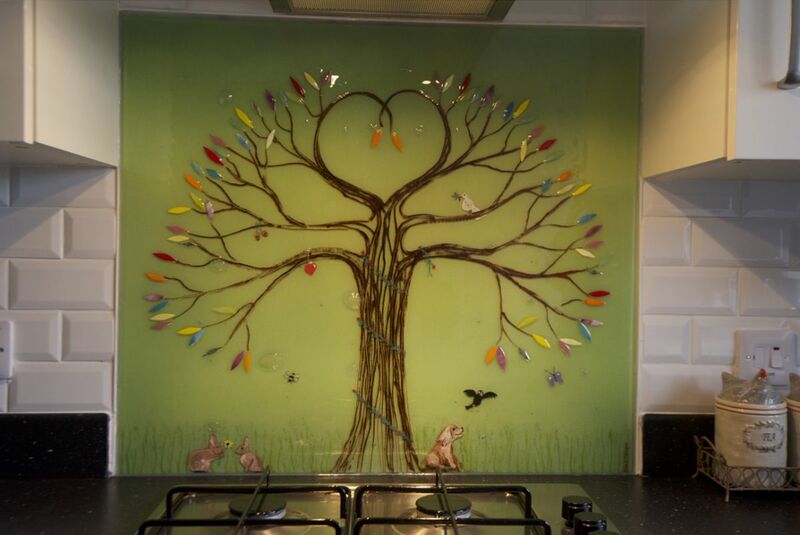 Lining the tree itself are a host of leaves in a variety of colours, each hand picked and hand cut to match the design to a tee. 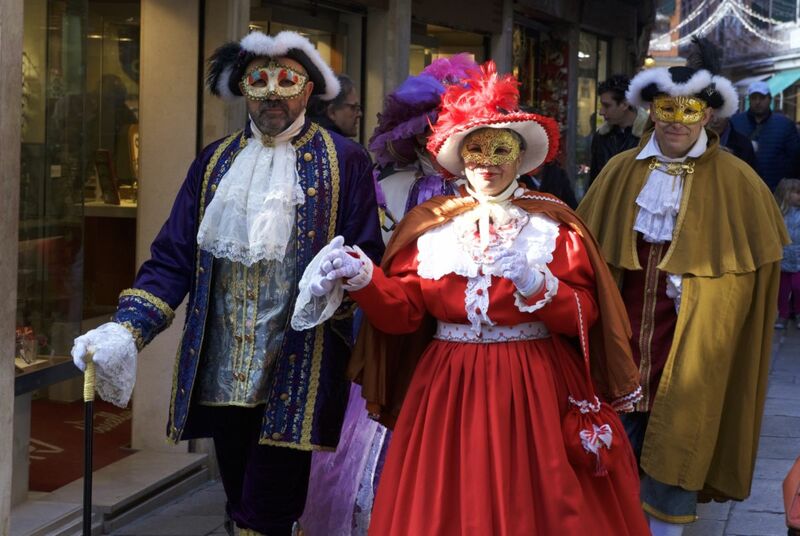 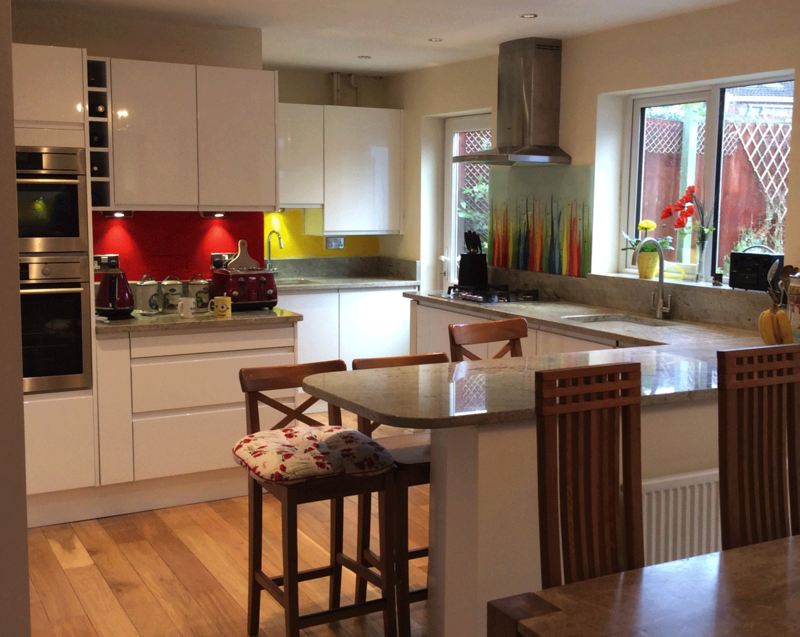 You should be able to spot a wide palette of yellow, red, orange and purple, which all work together to create the final result you see here. 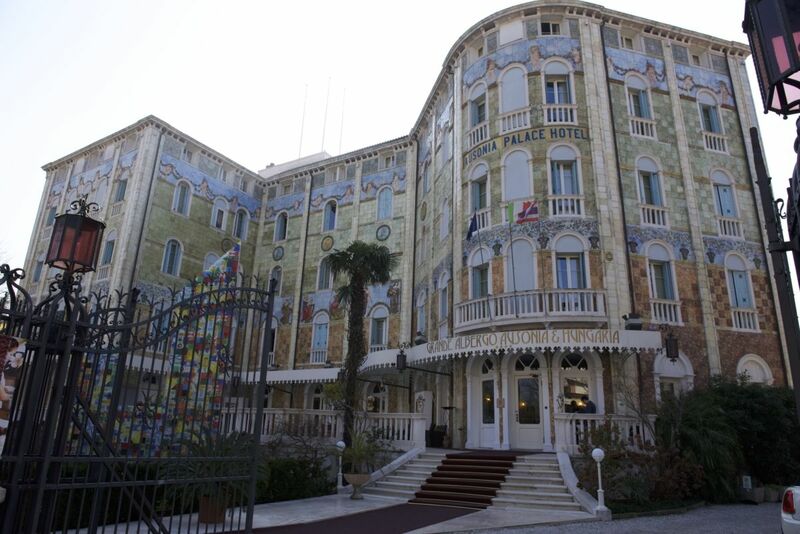 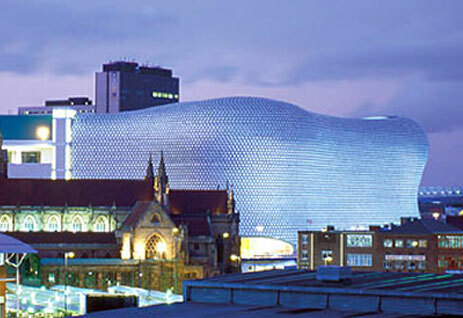 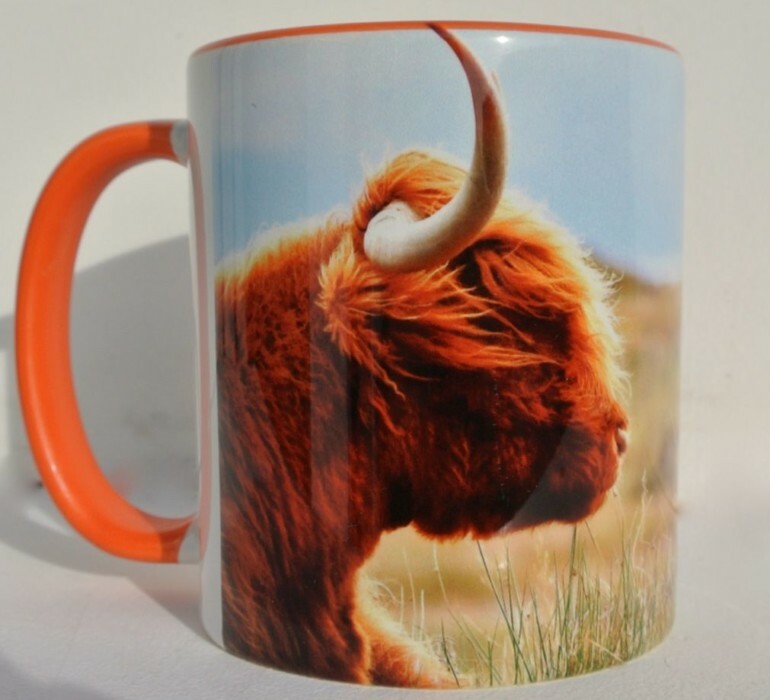 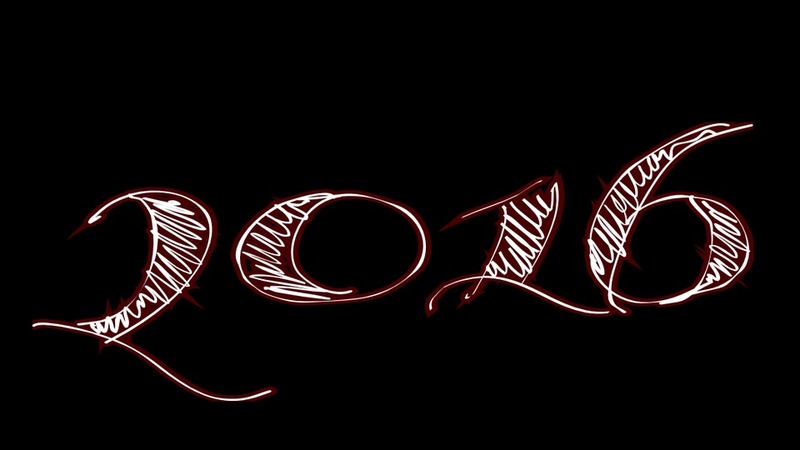 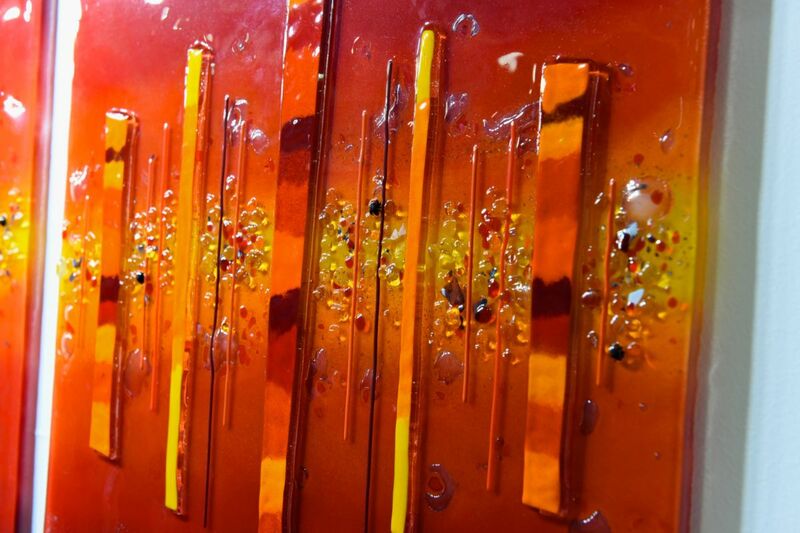 And that’s before we even get to the finer details! 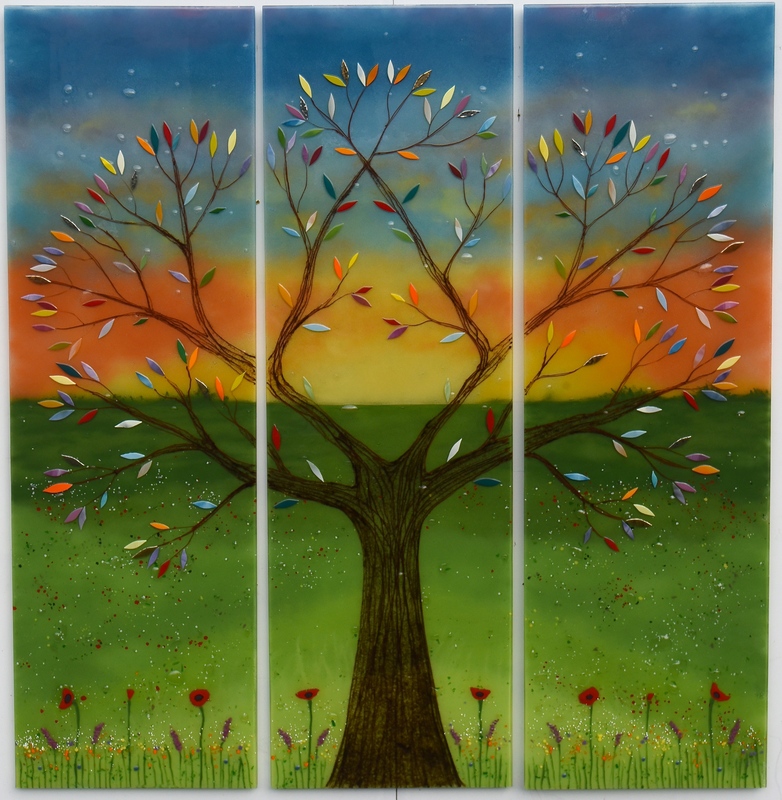 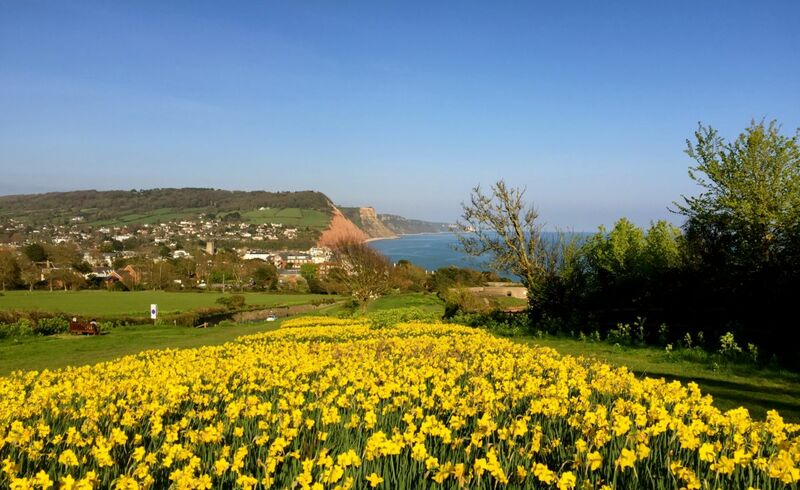 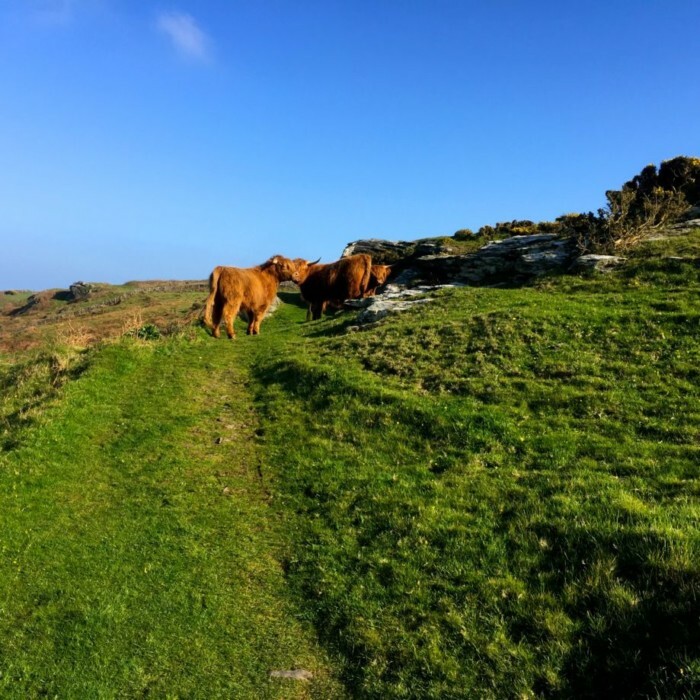 Along the bottom of the grass, delicate blades of grass topped off with poppy flowers trail along towards the trunk of the tree, and fluttering above are two butterflies displaying colourful and intricate patterns. 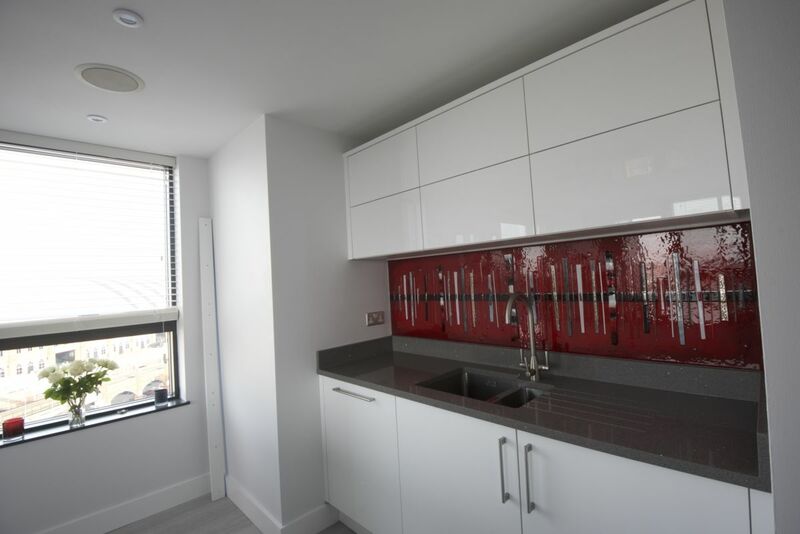 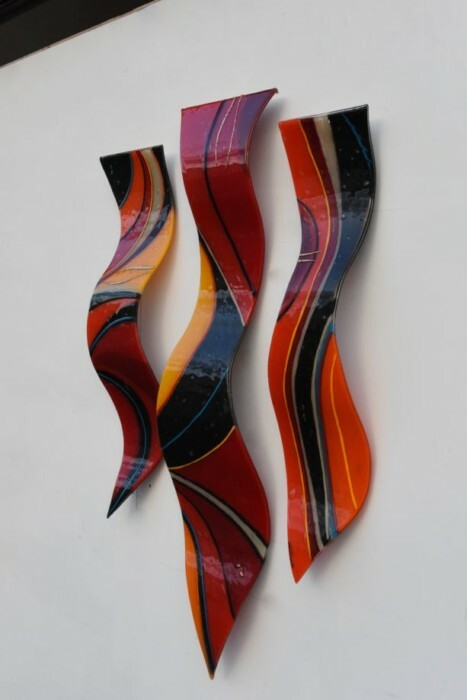 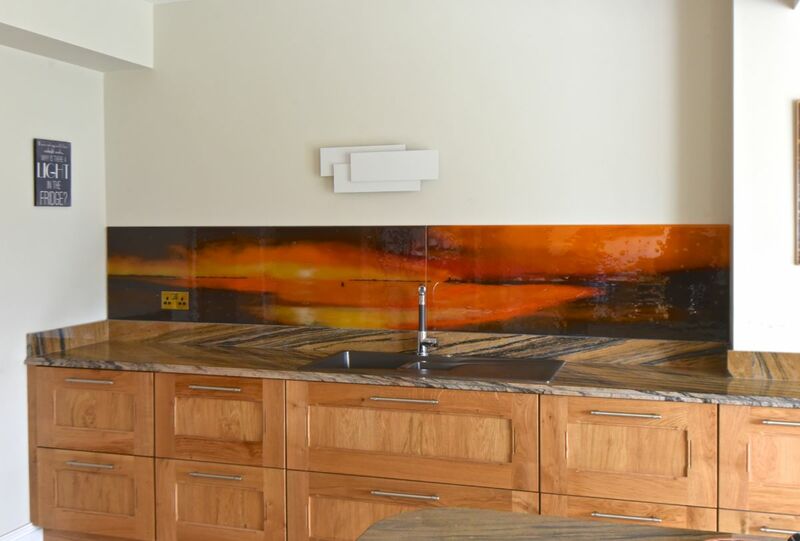 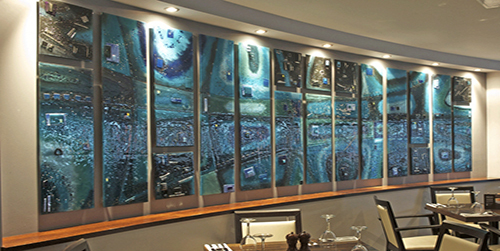 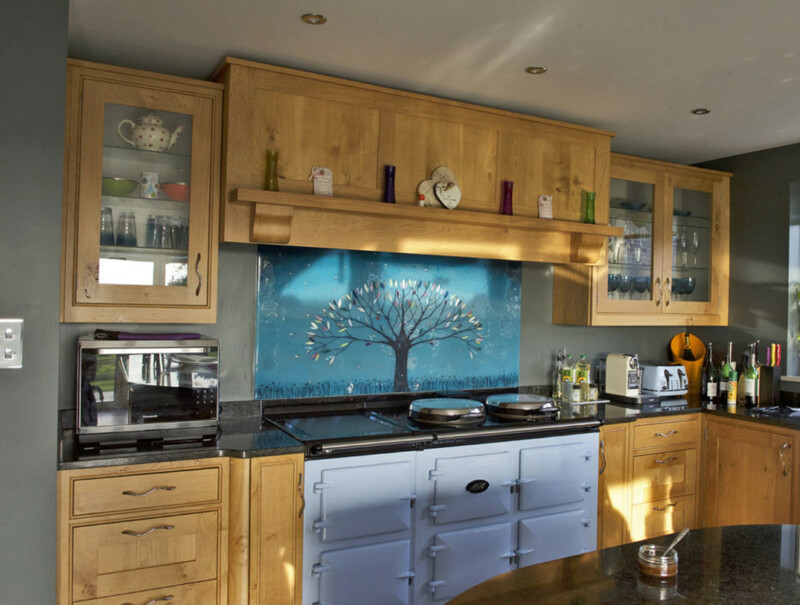 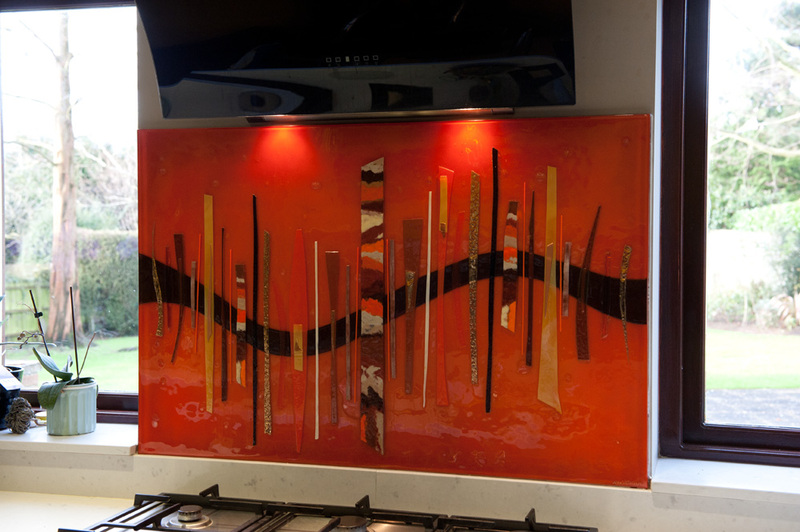 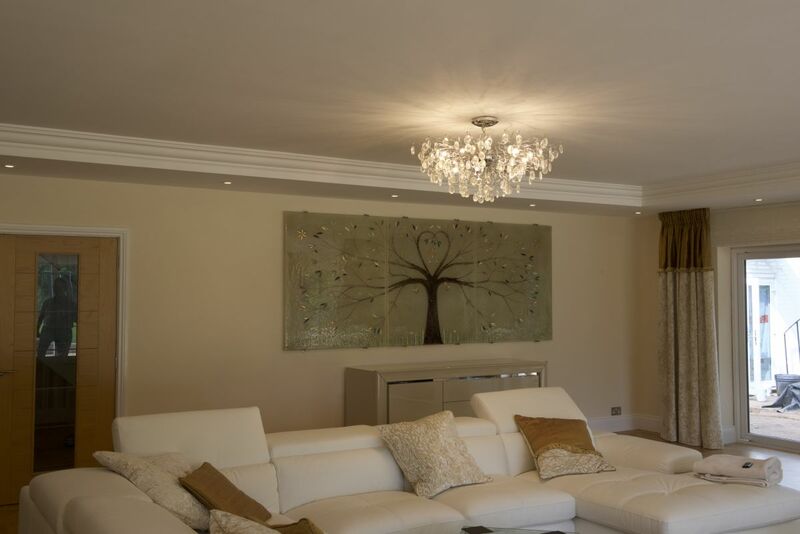 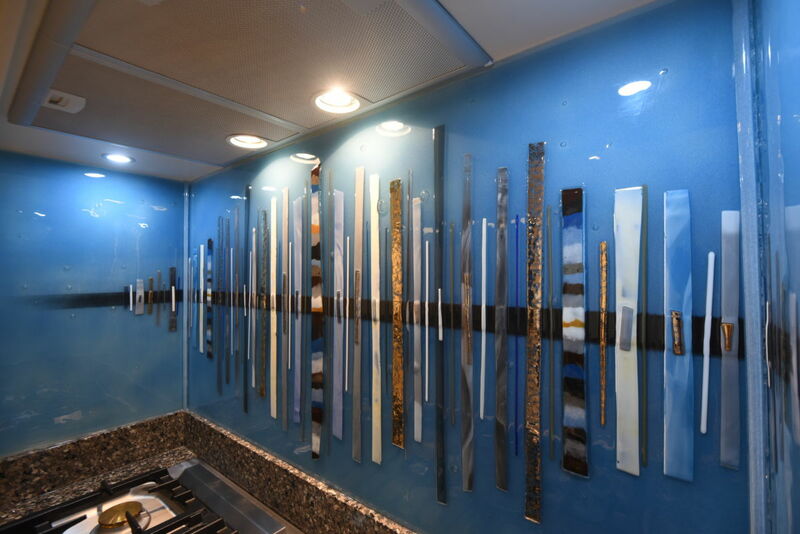 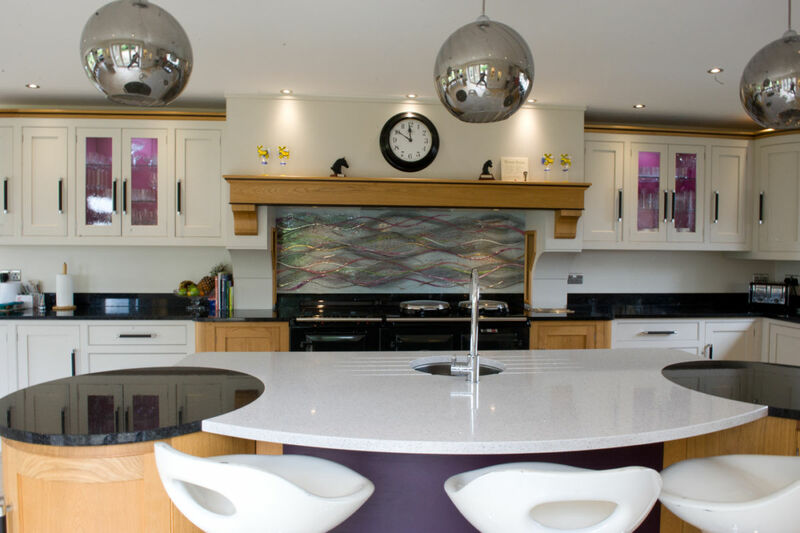 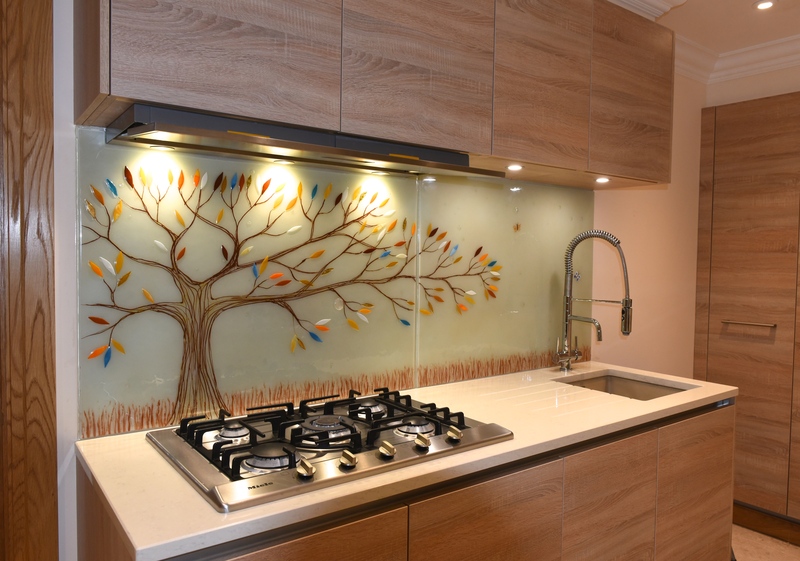 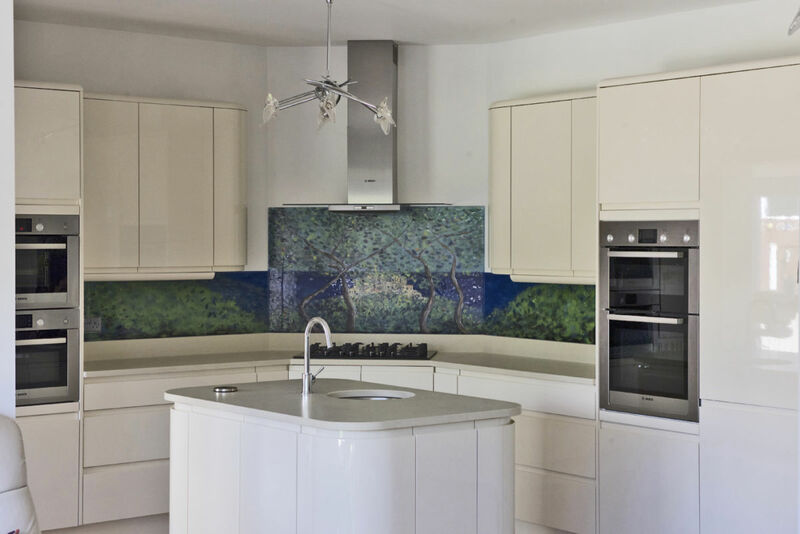 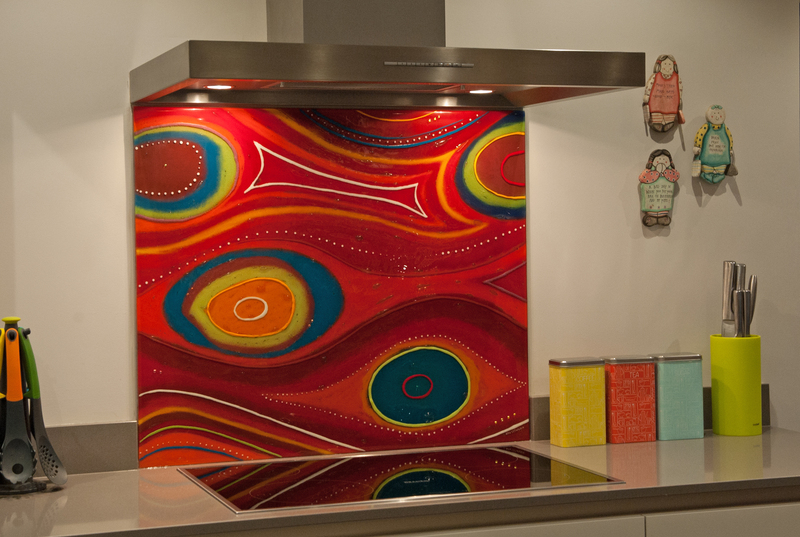 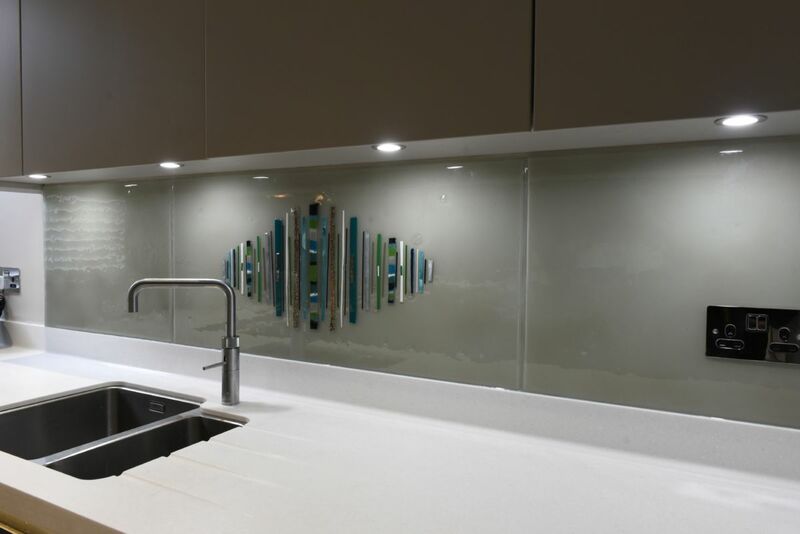 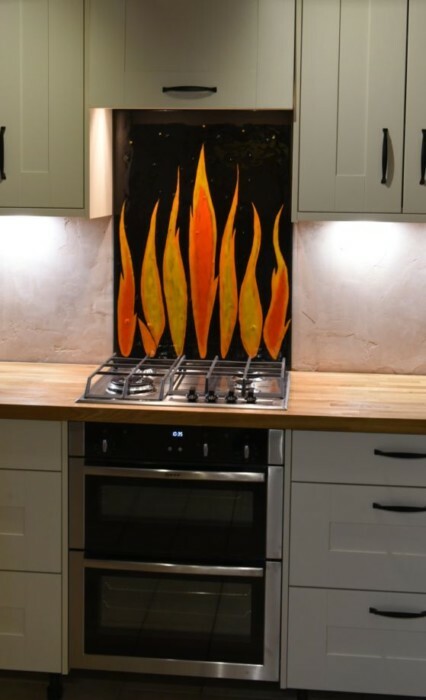 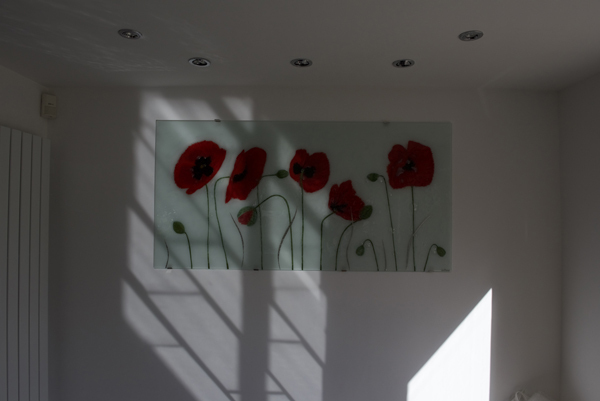 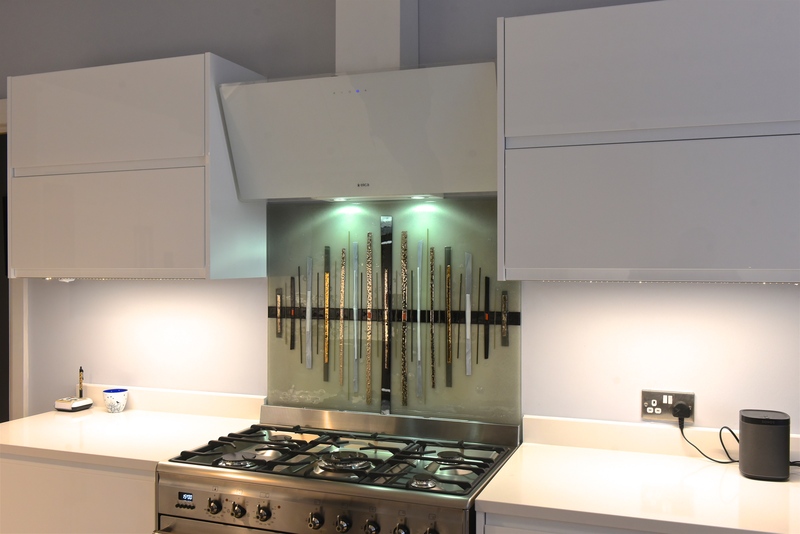 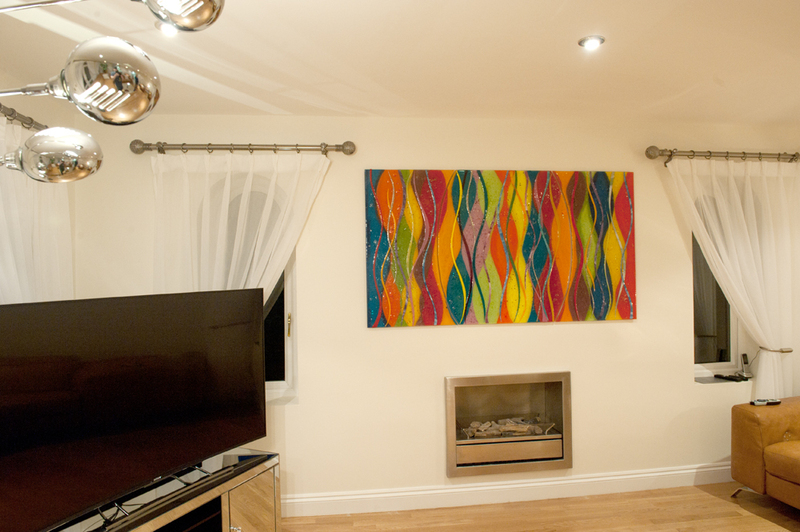 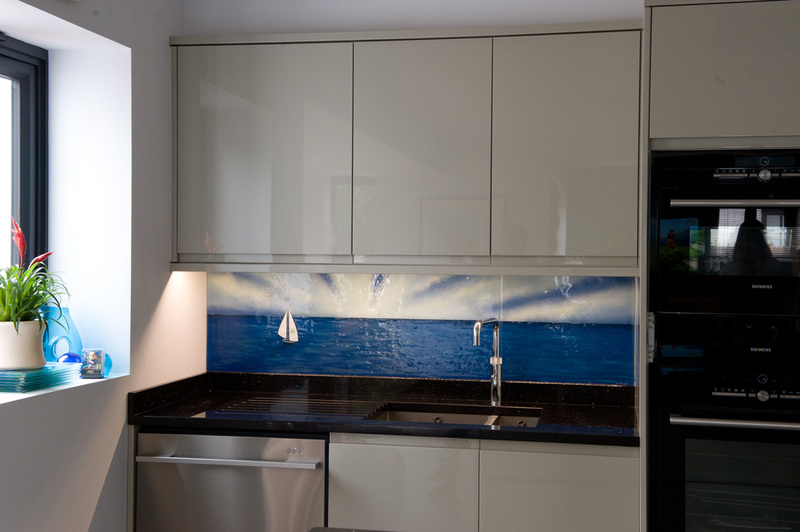 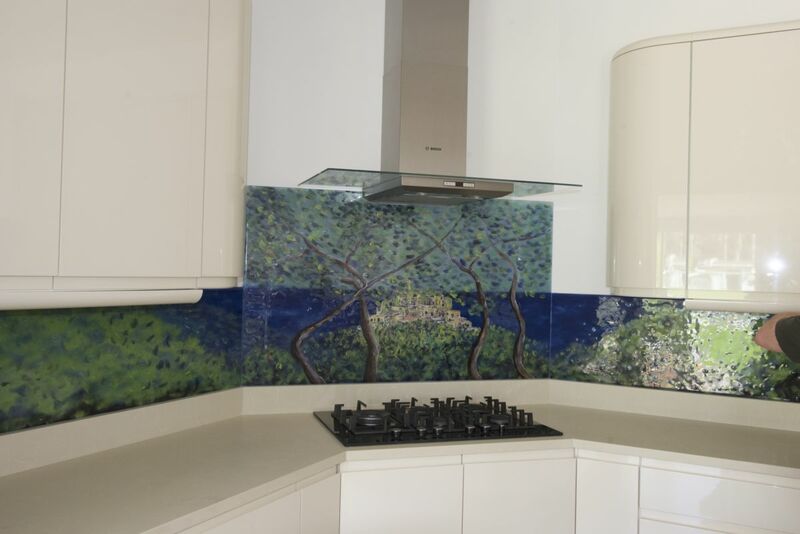 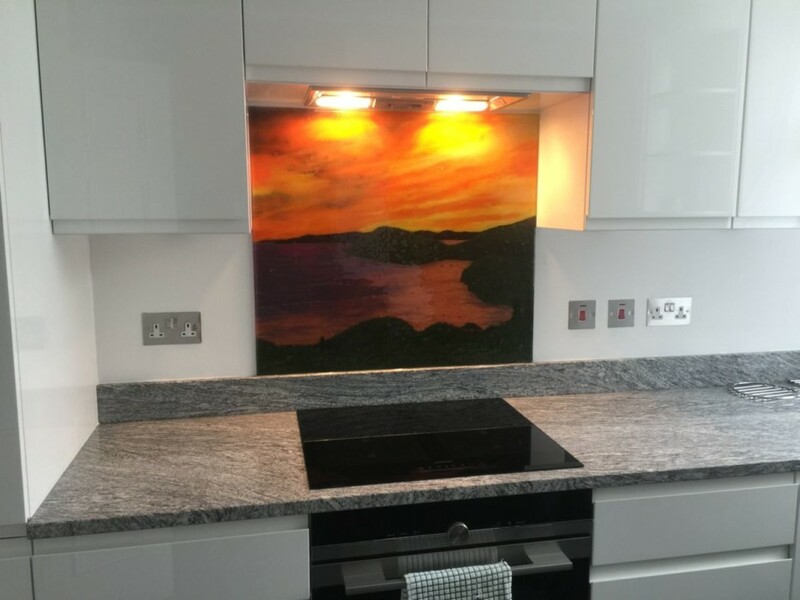 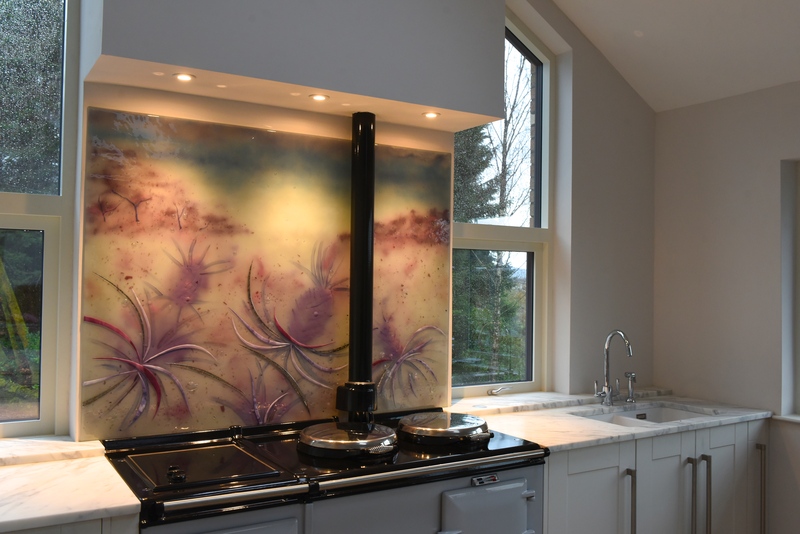 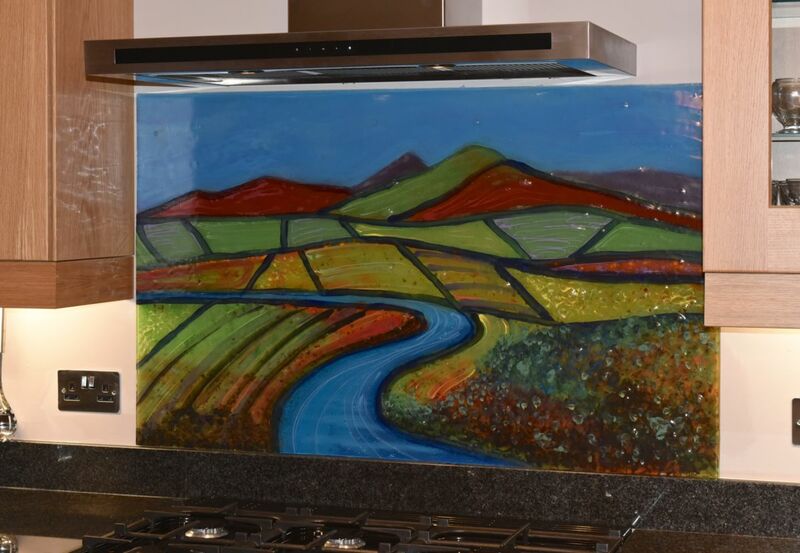 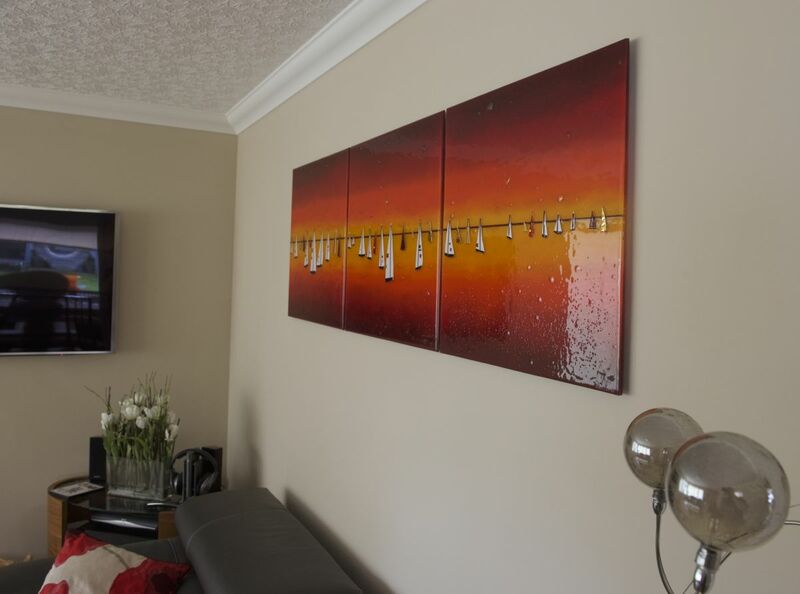 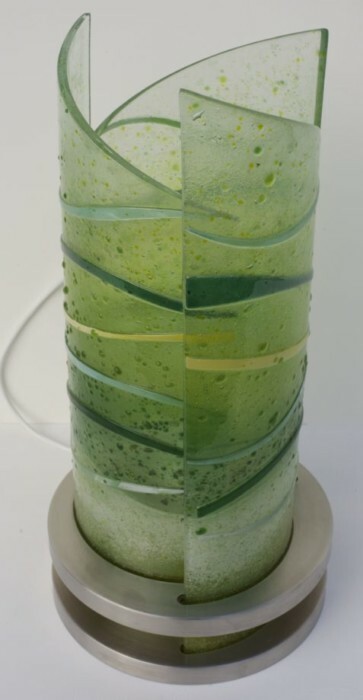 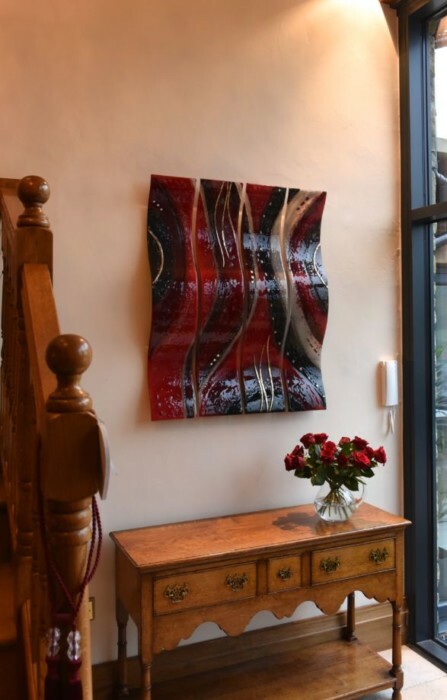 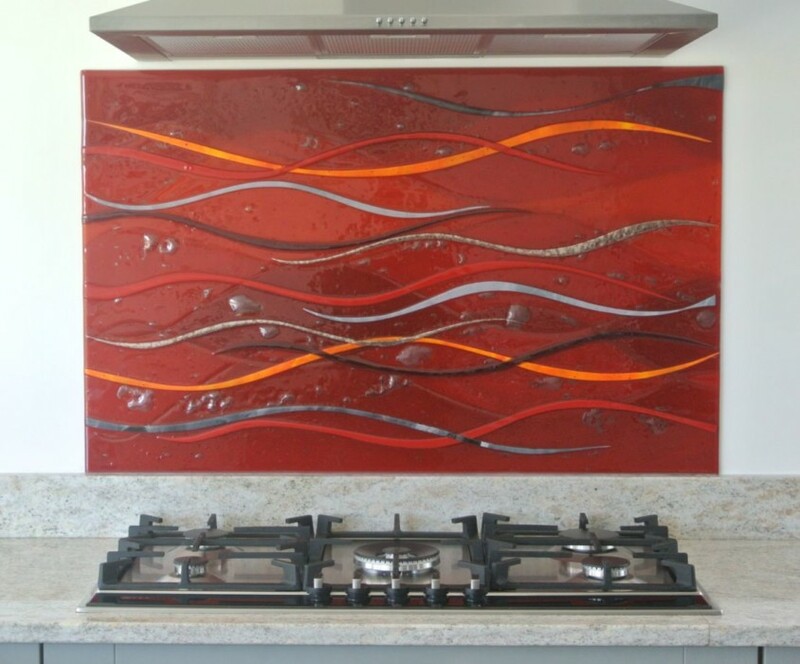 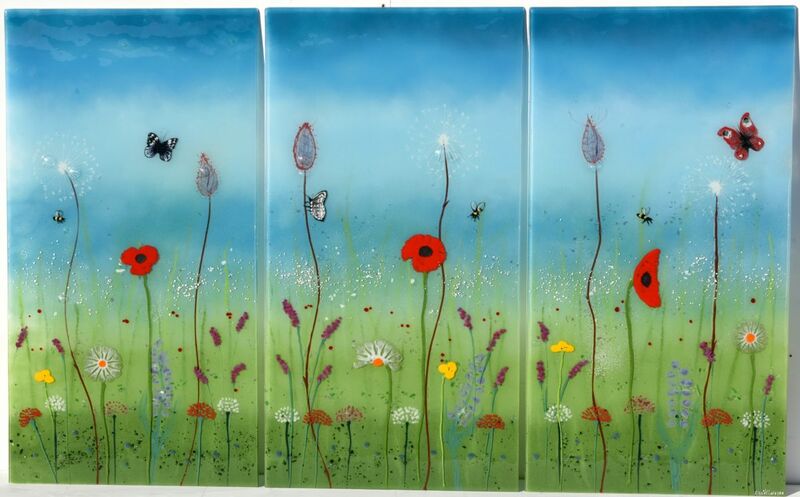 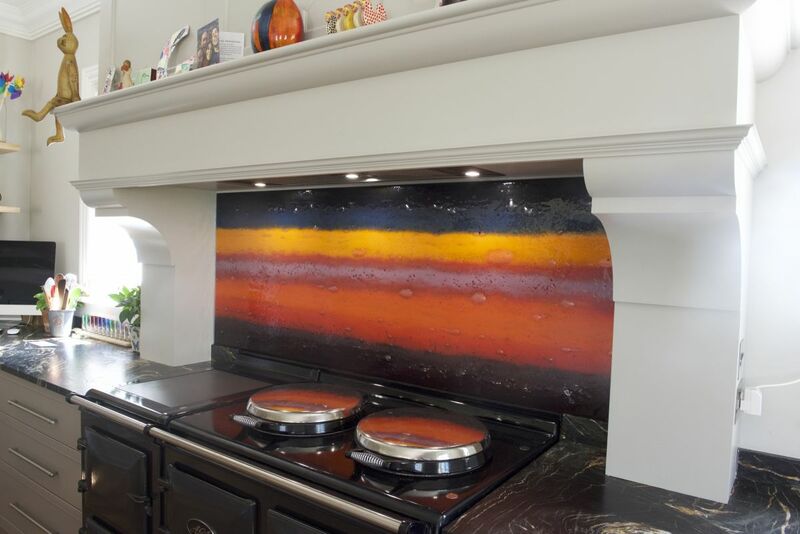 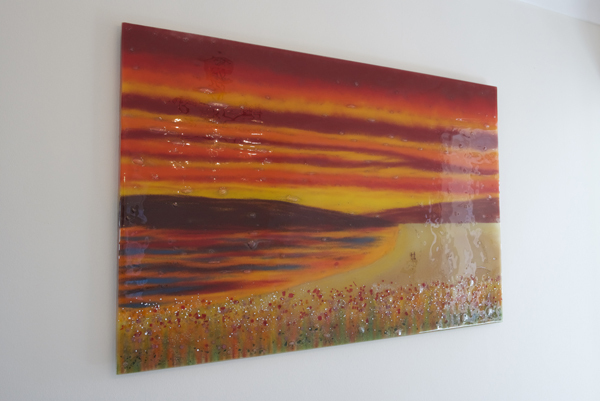 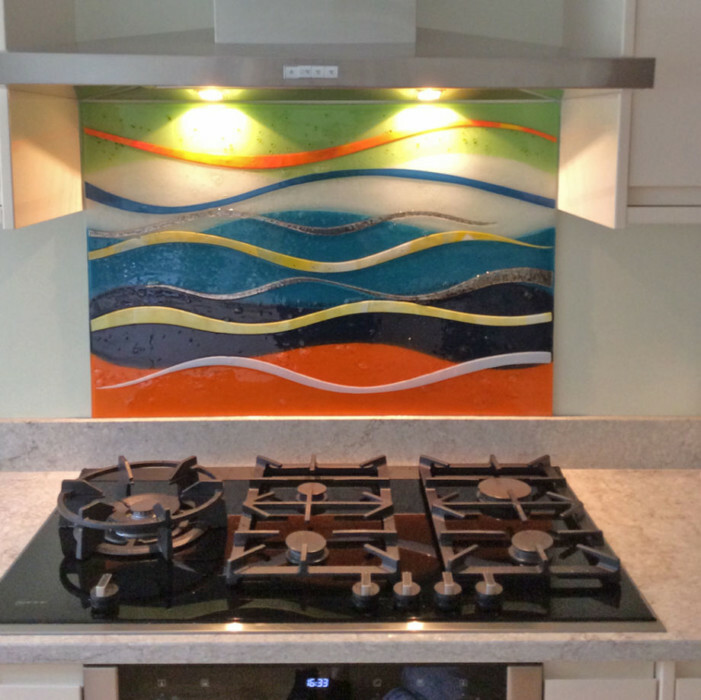 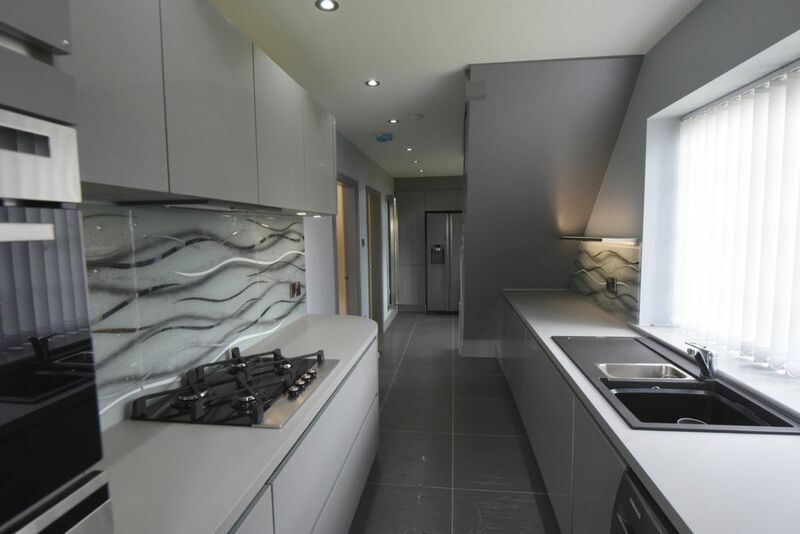 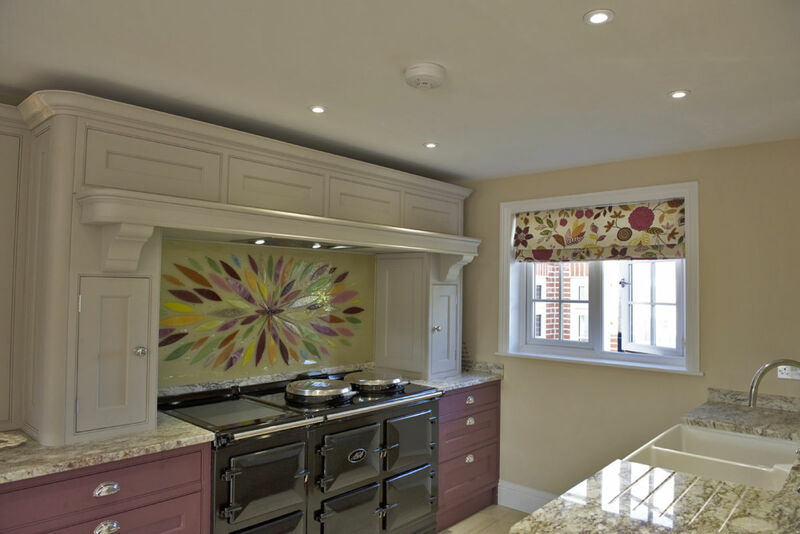 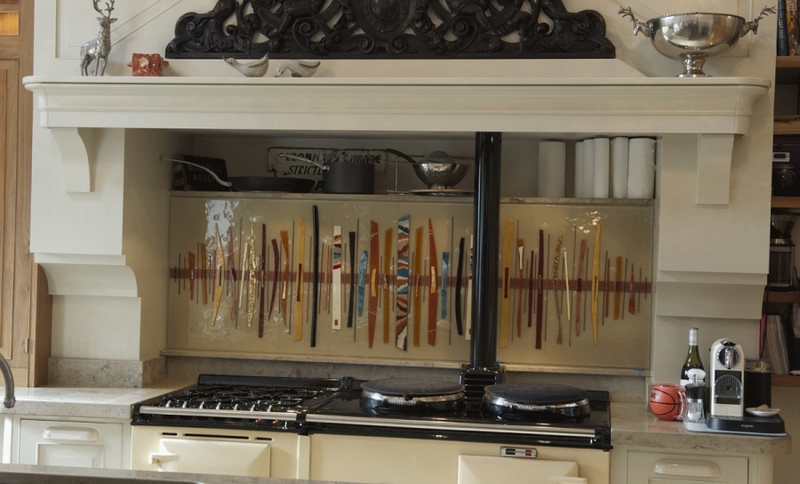 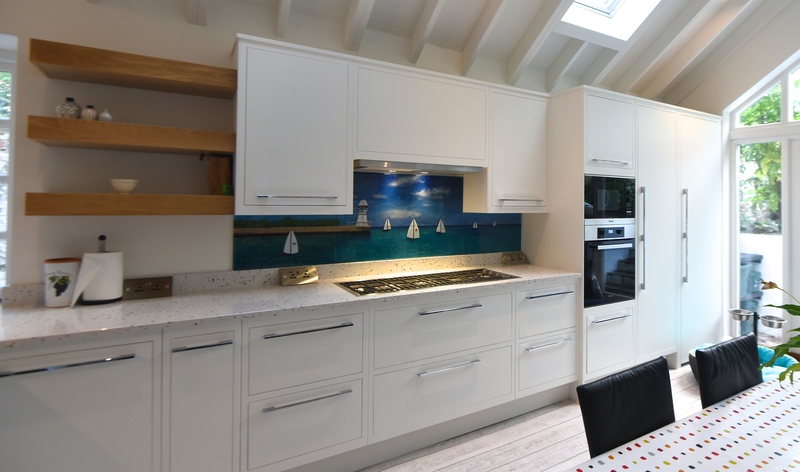 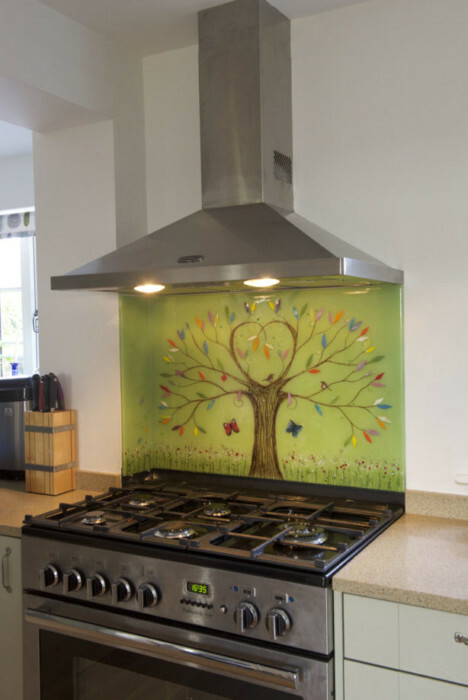 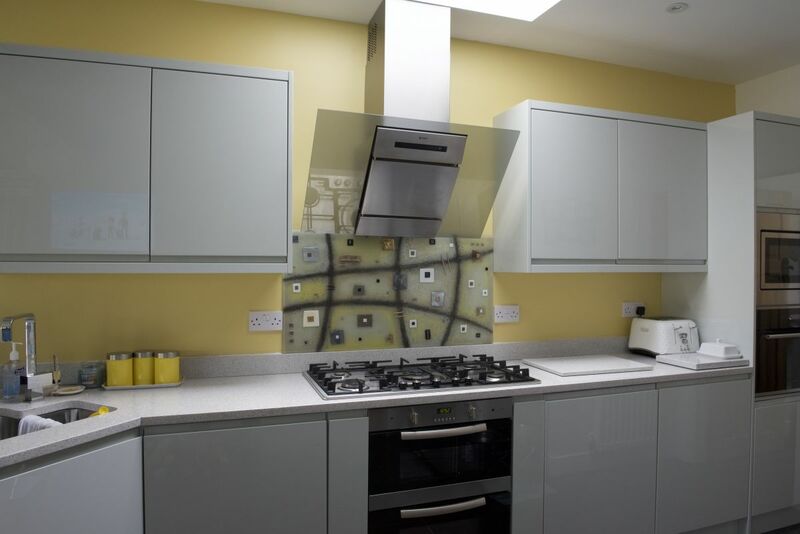 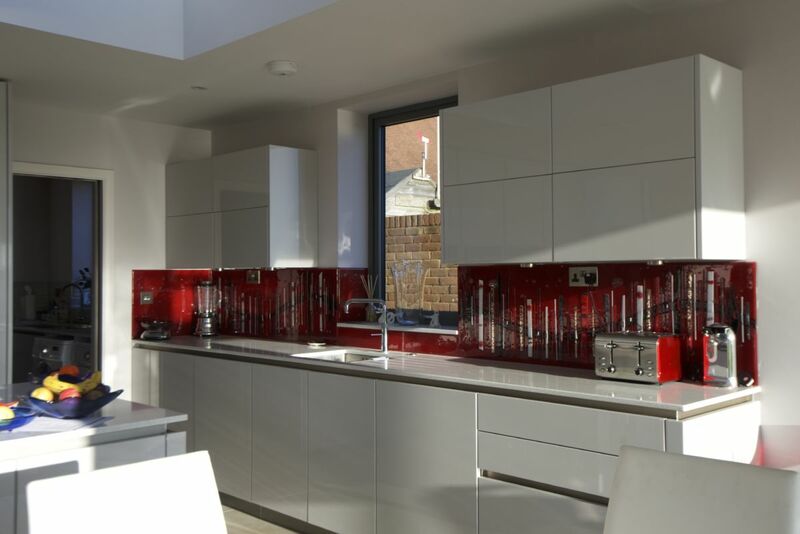 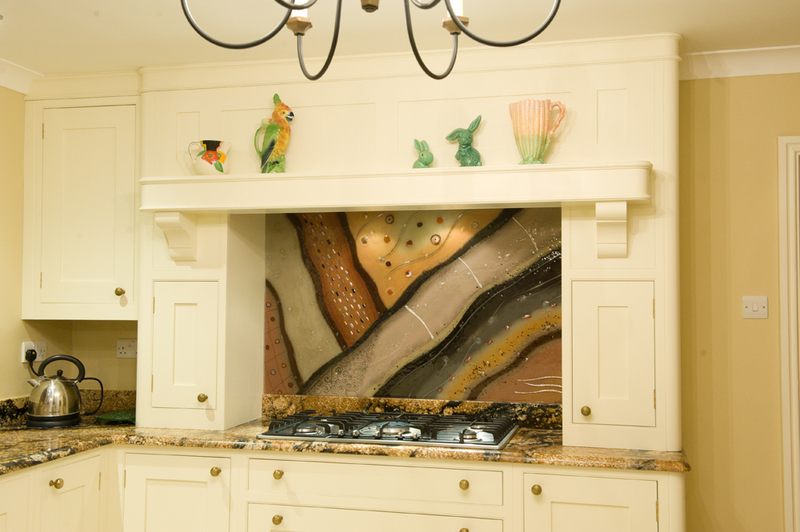 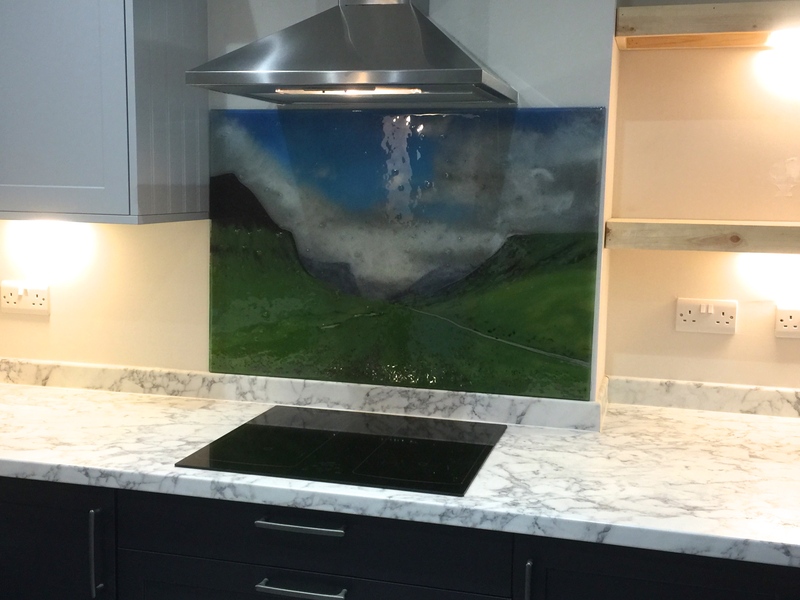 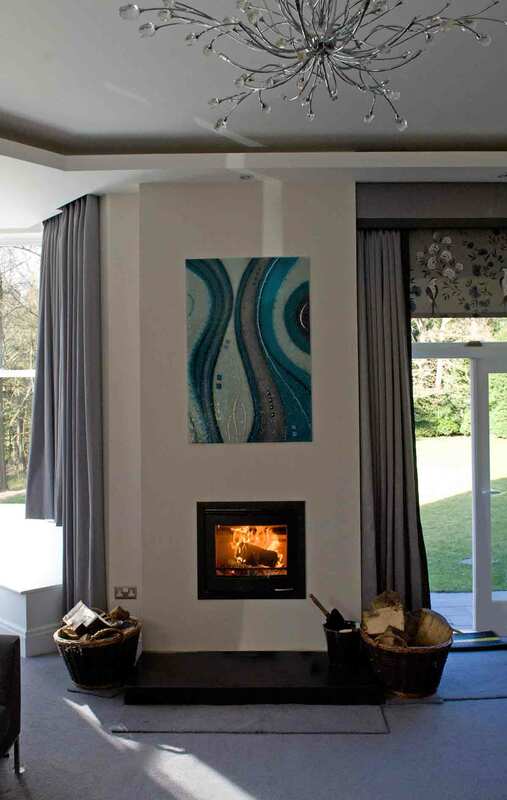 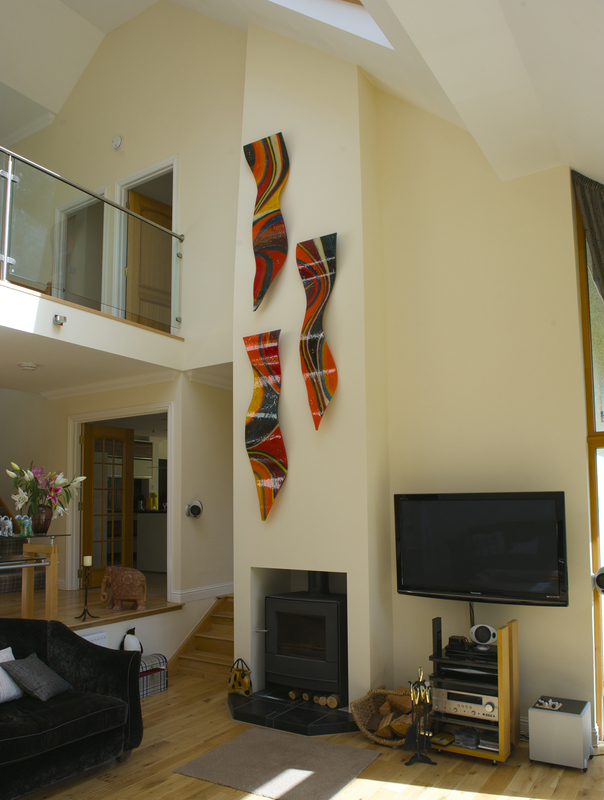 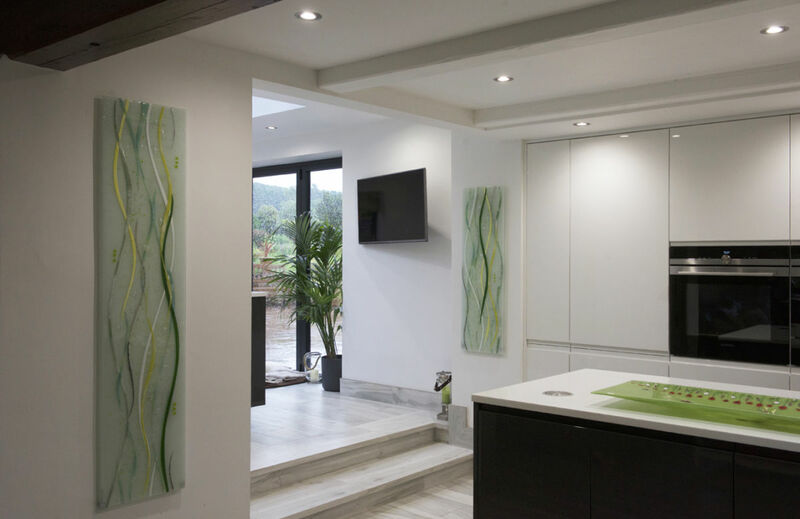 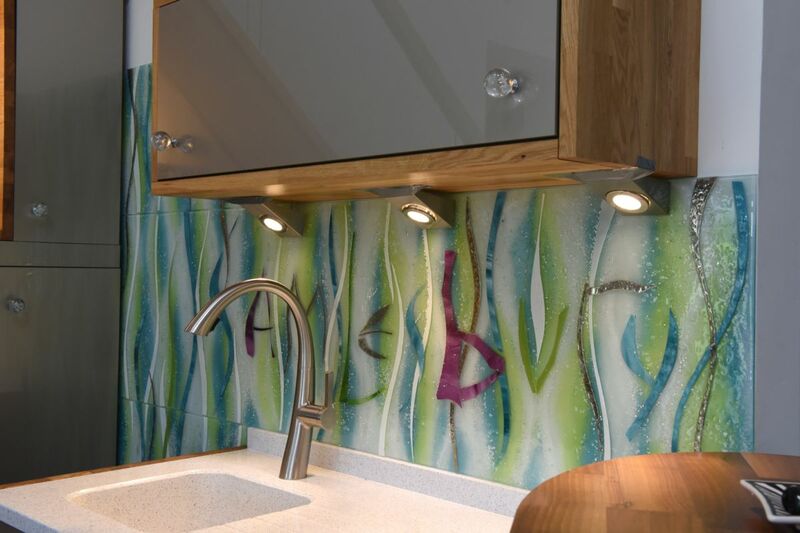 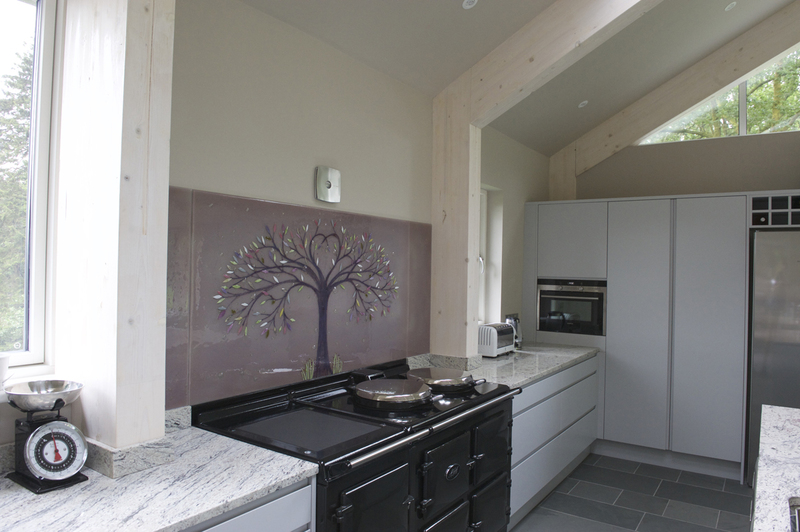 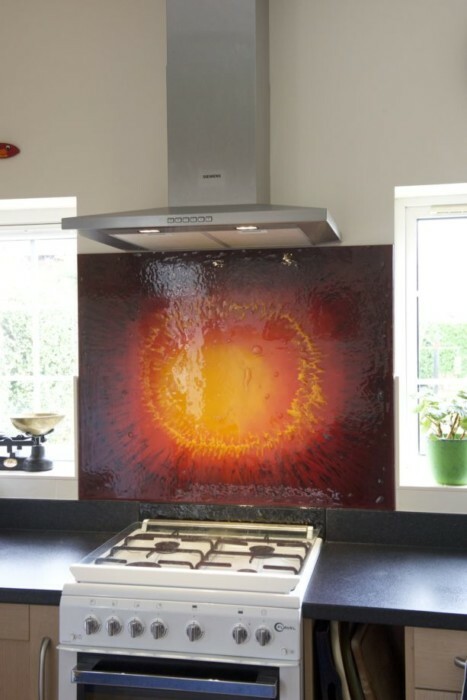 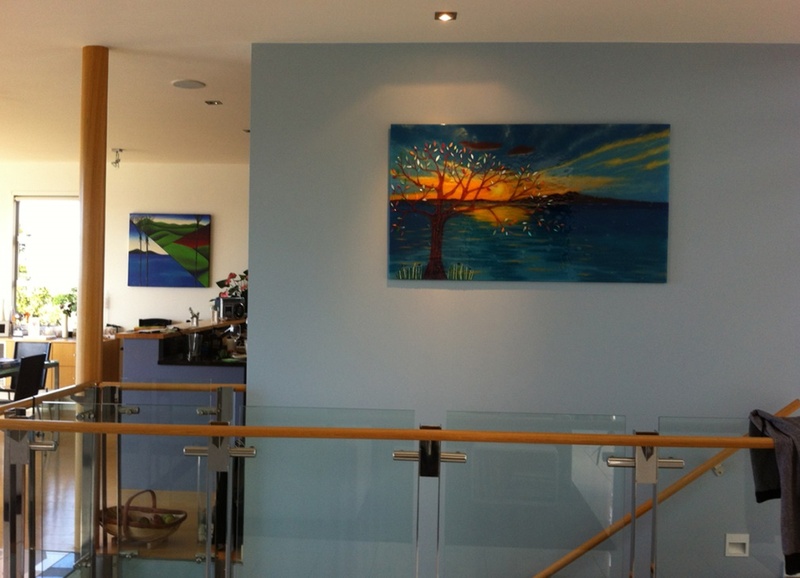 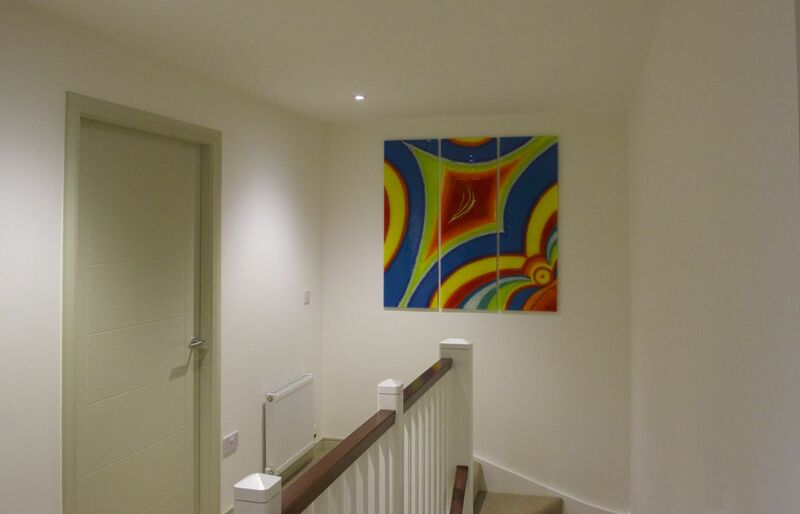 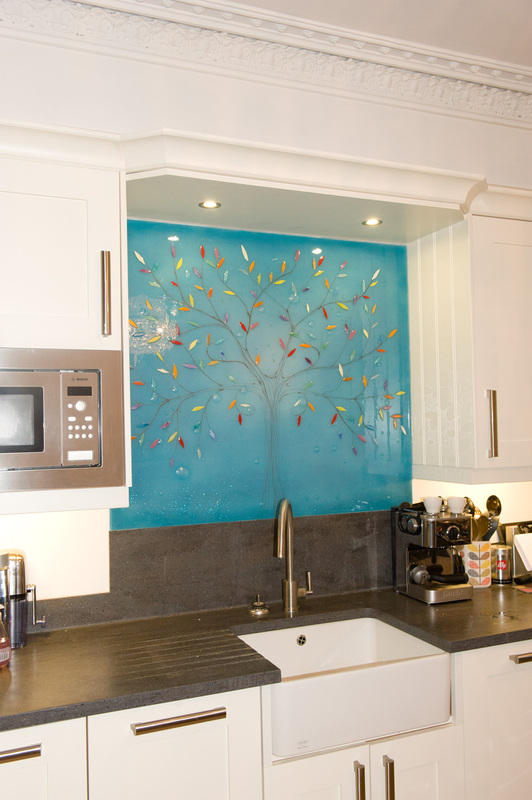 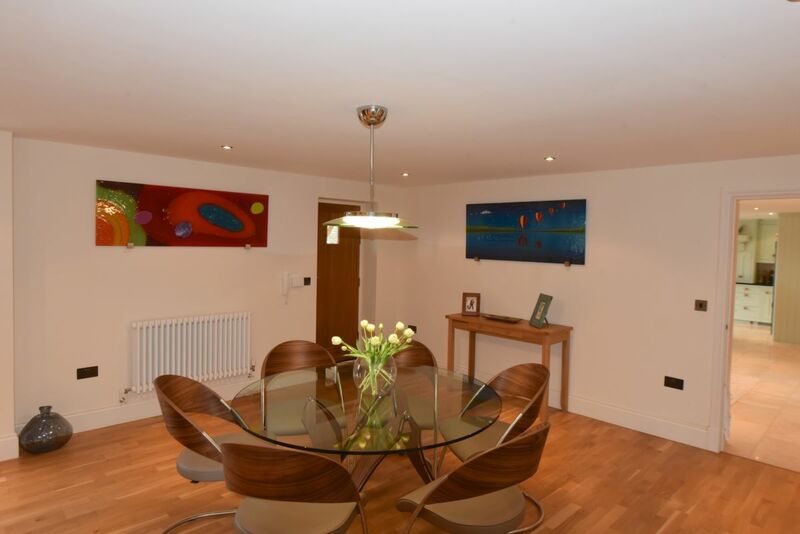 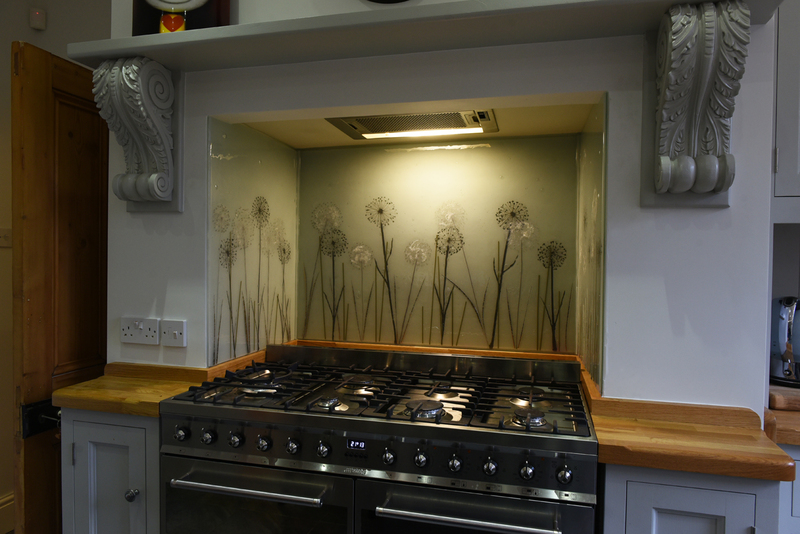 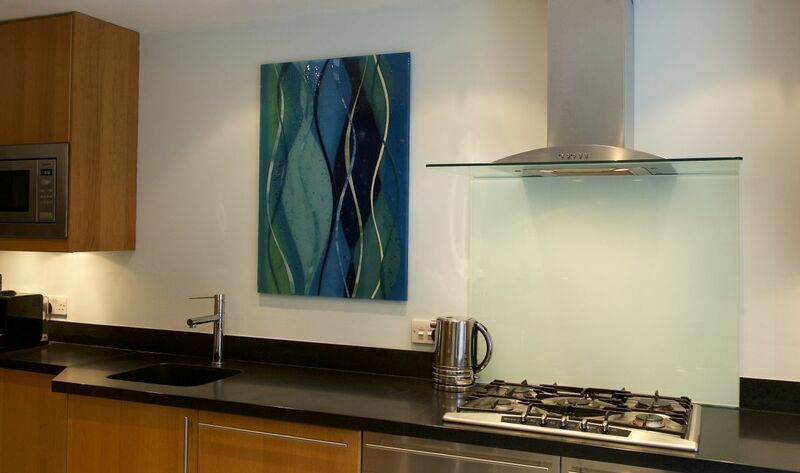 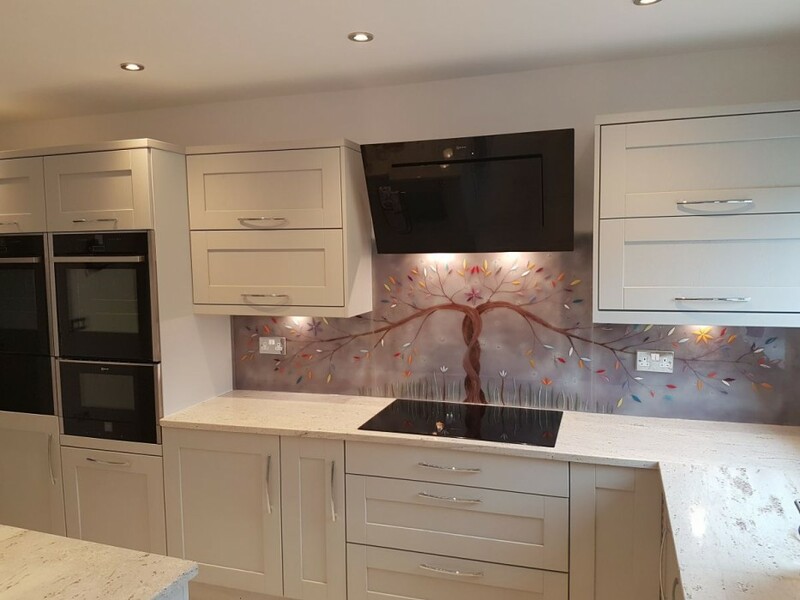 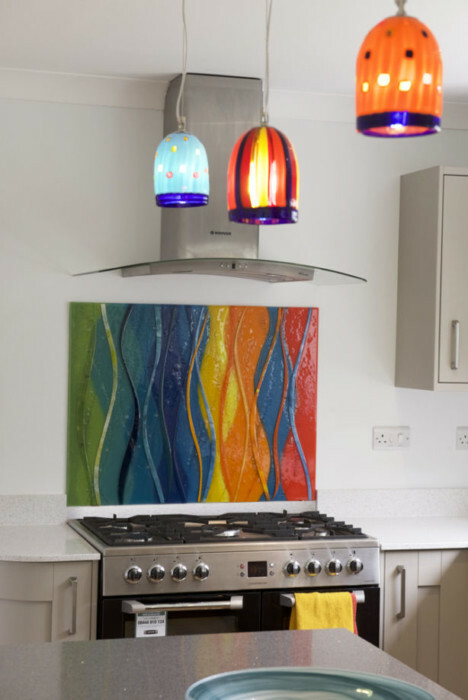 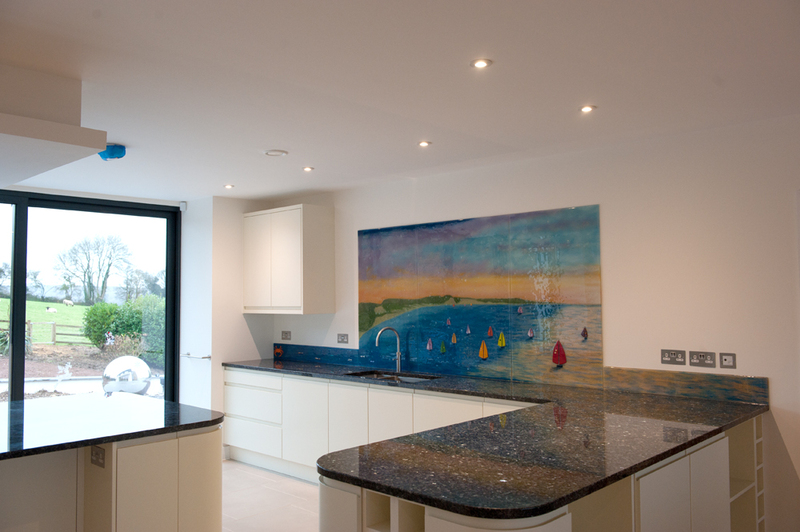 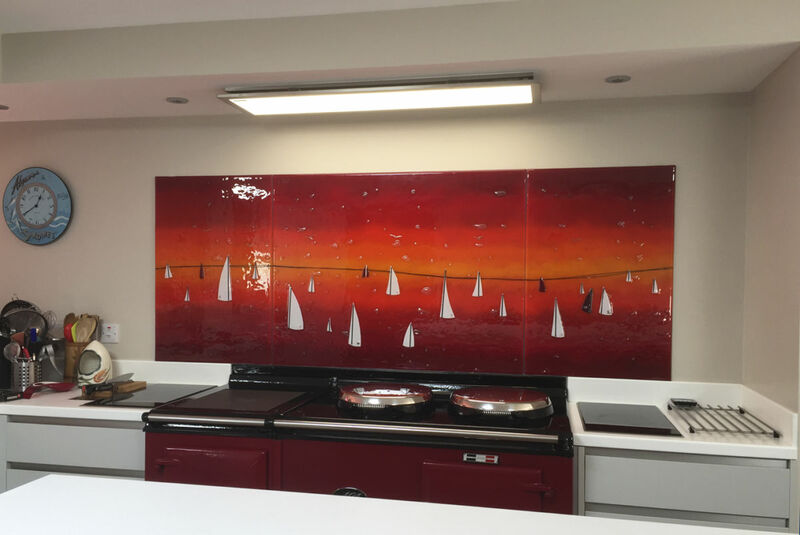 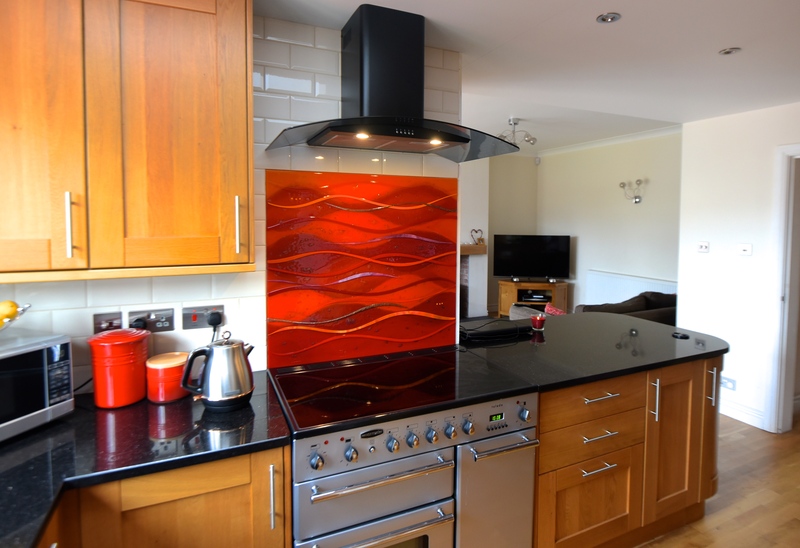 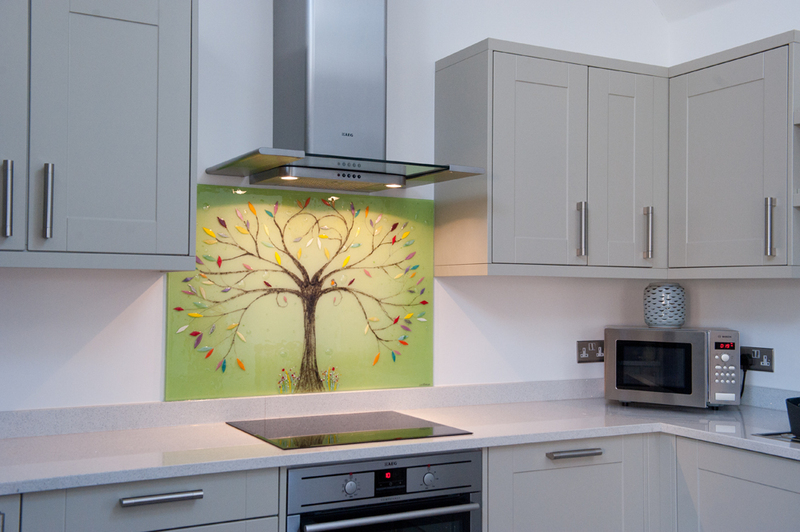 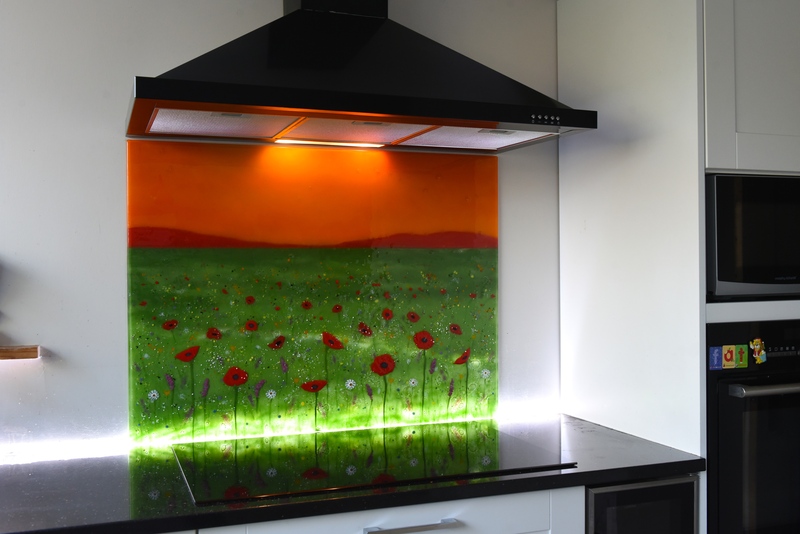 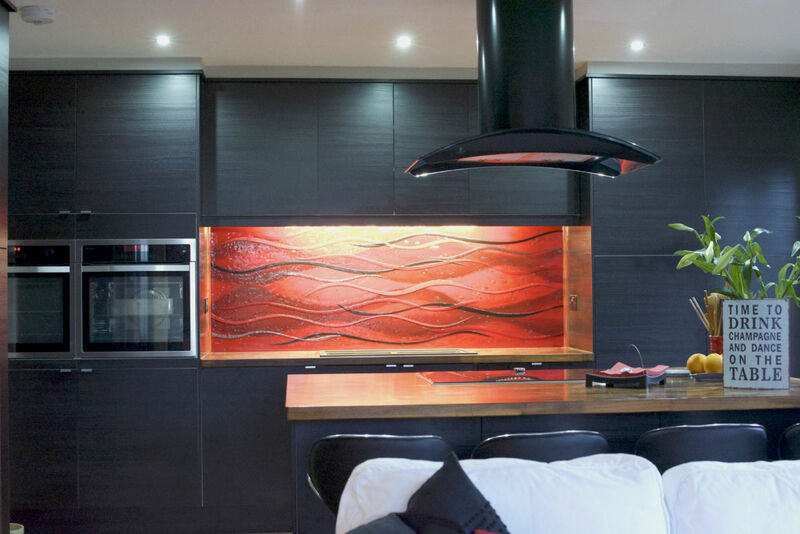 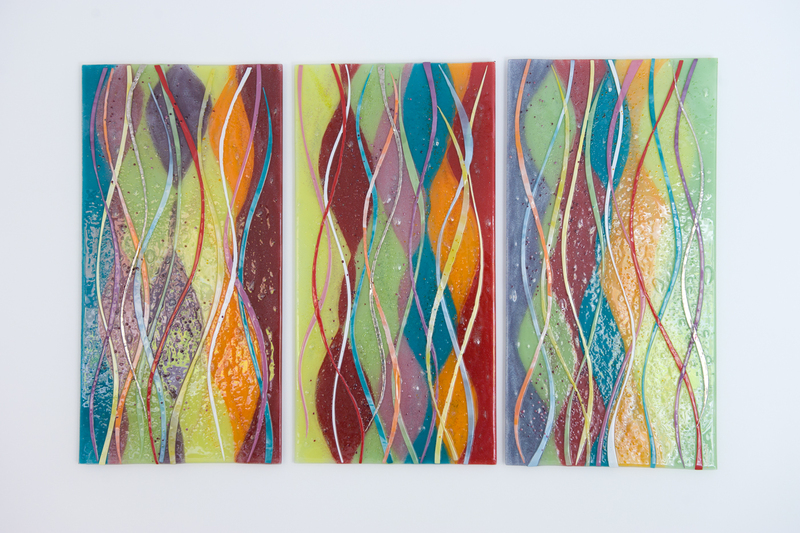 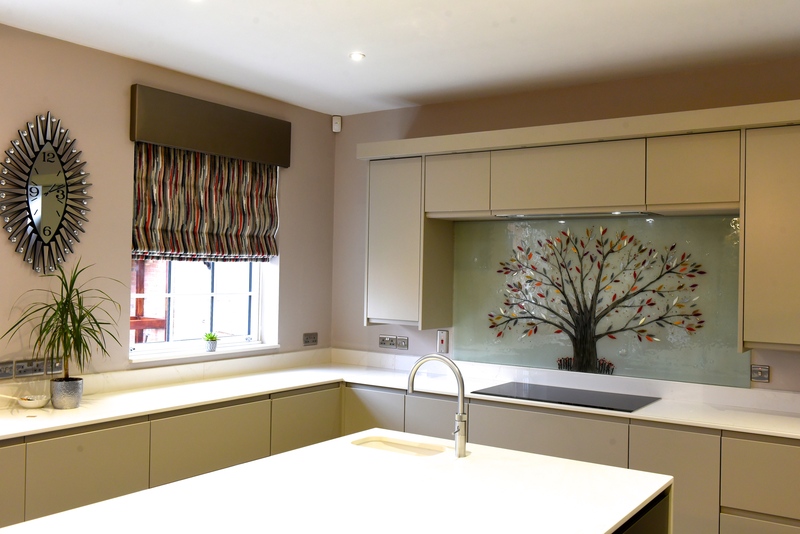 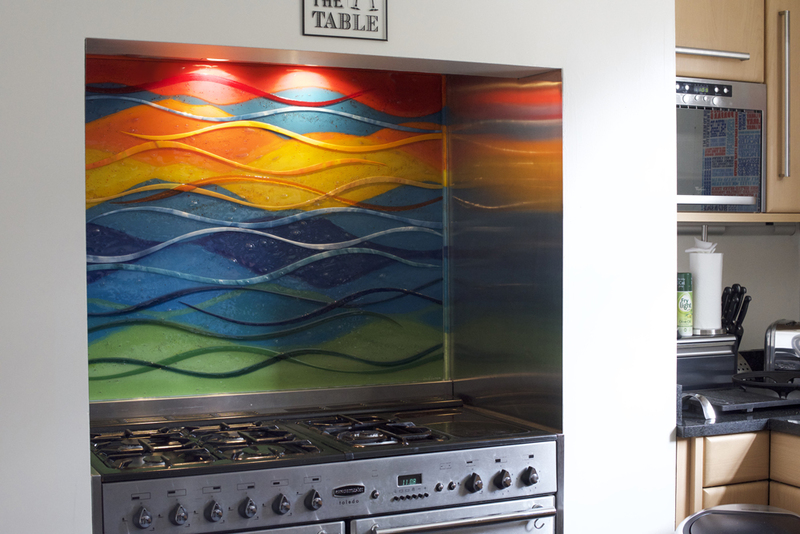 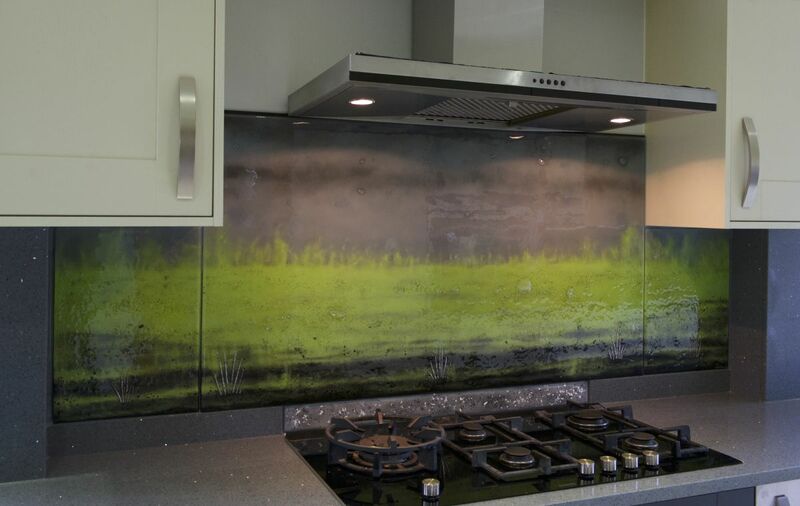 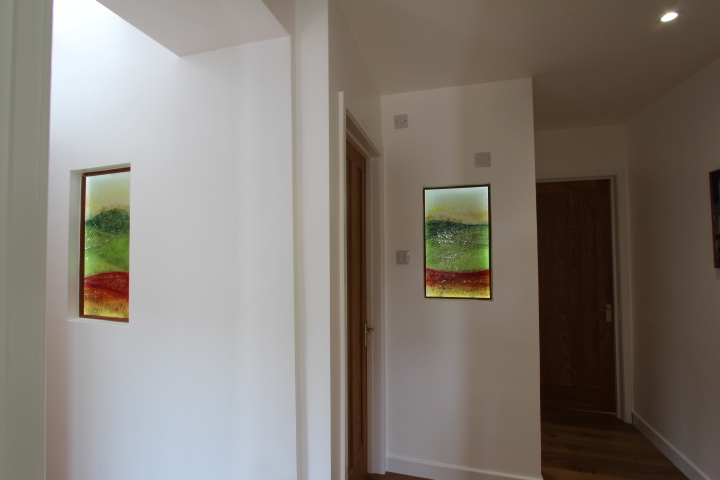 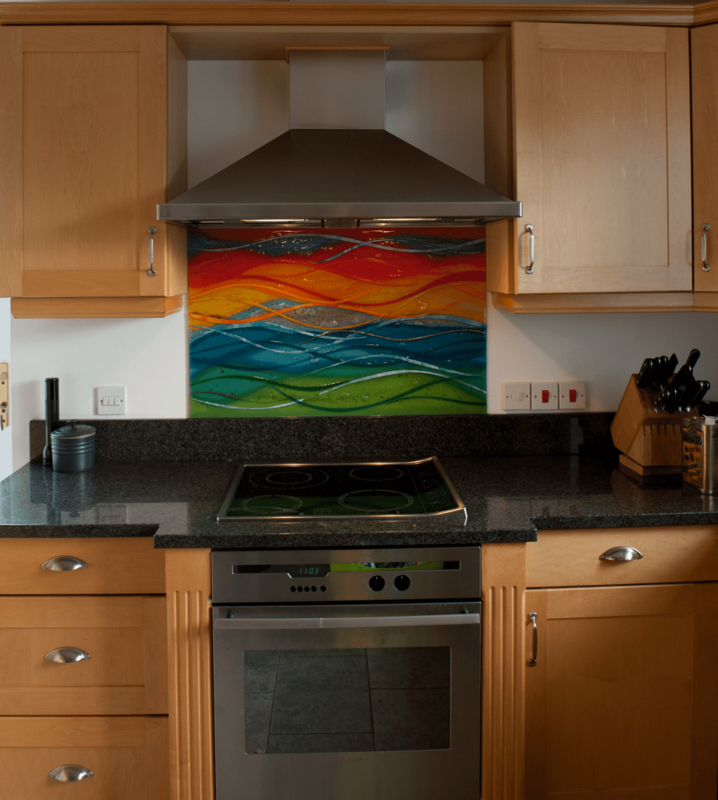 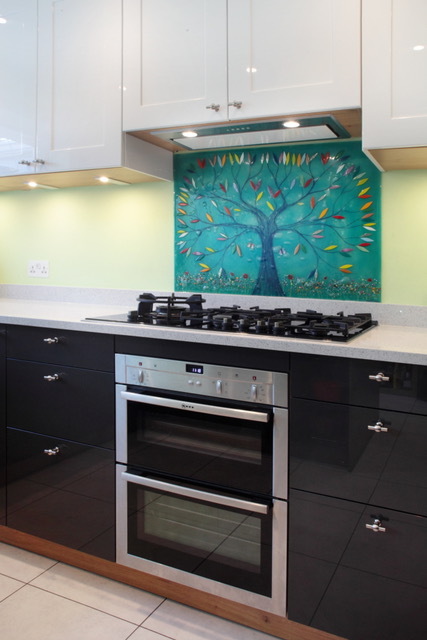 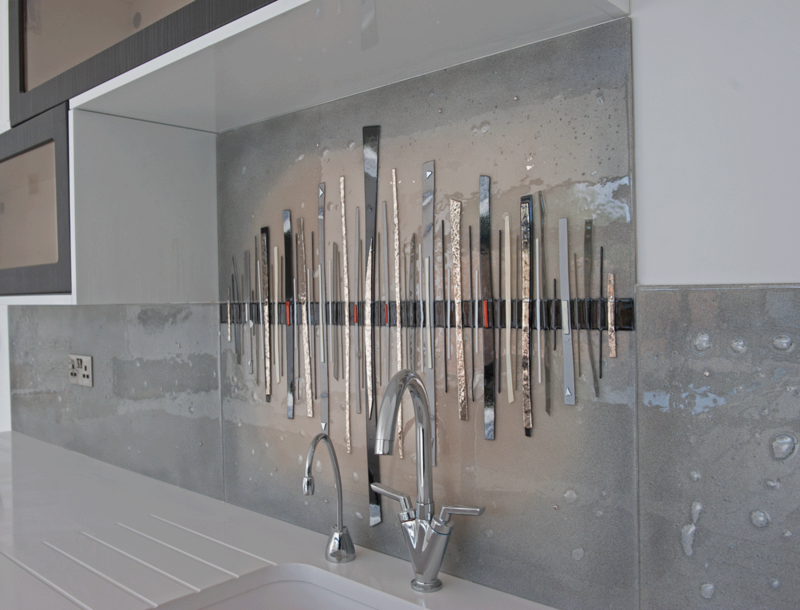 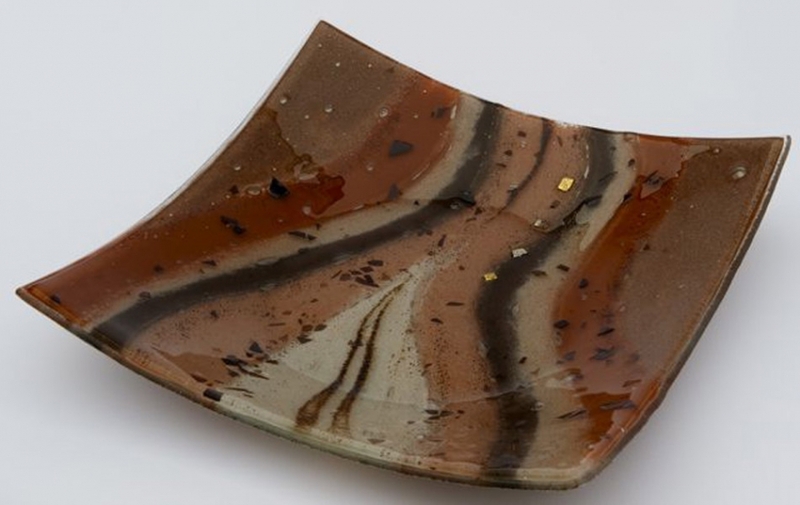 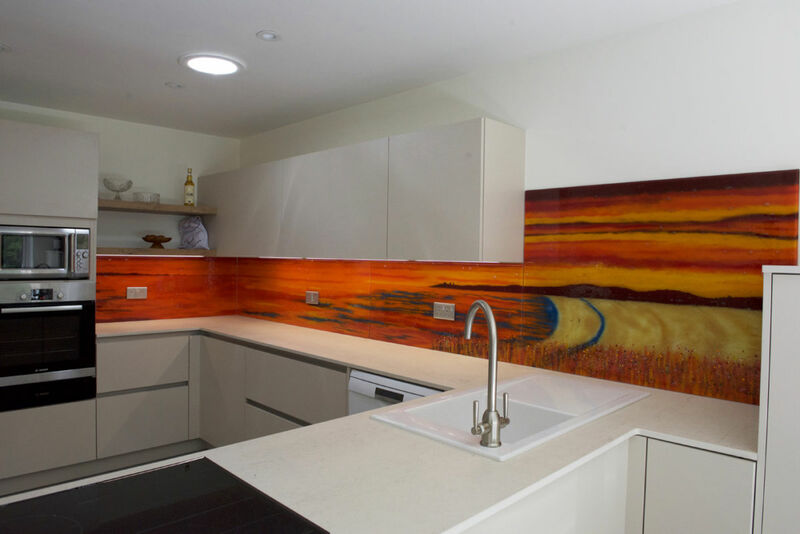 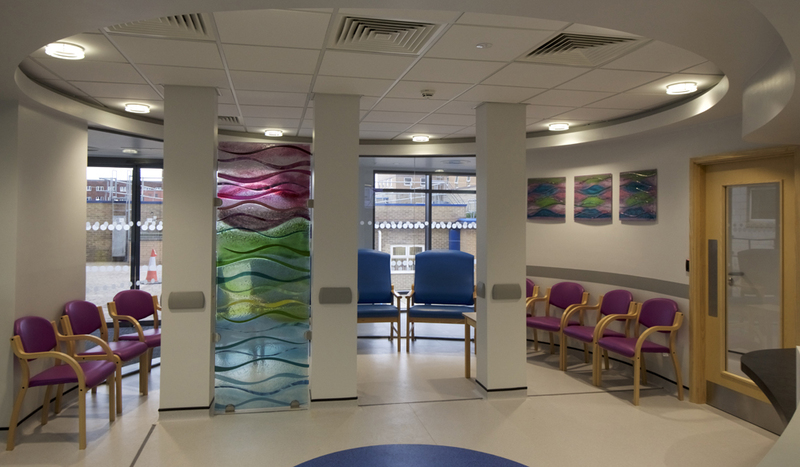 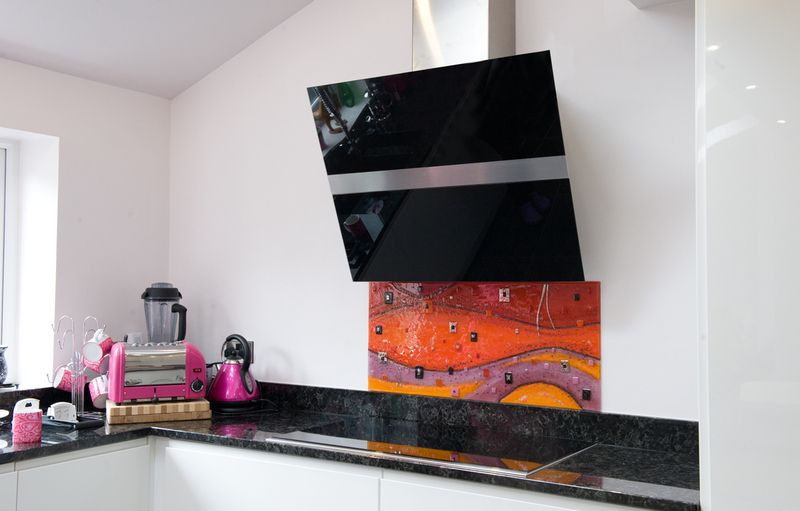 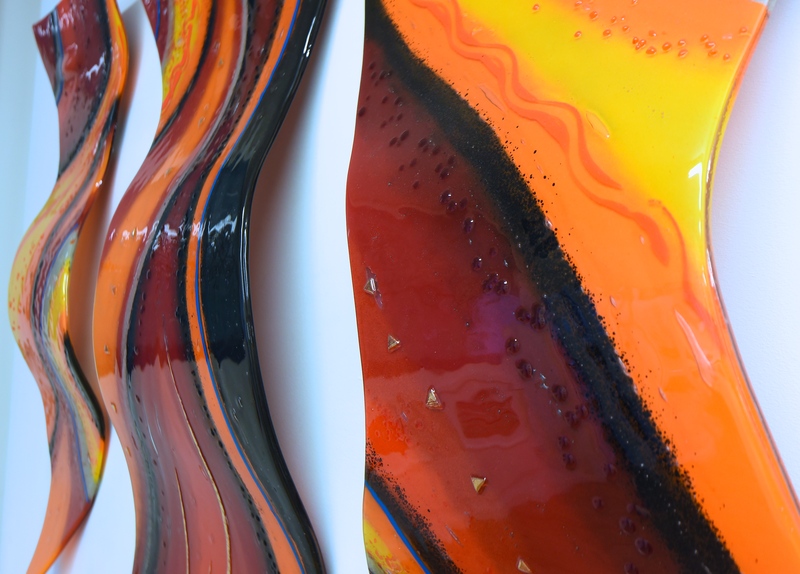 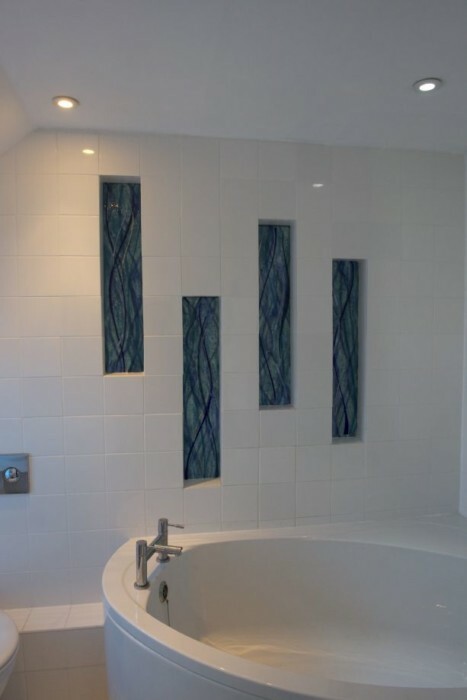 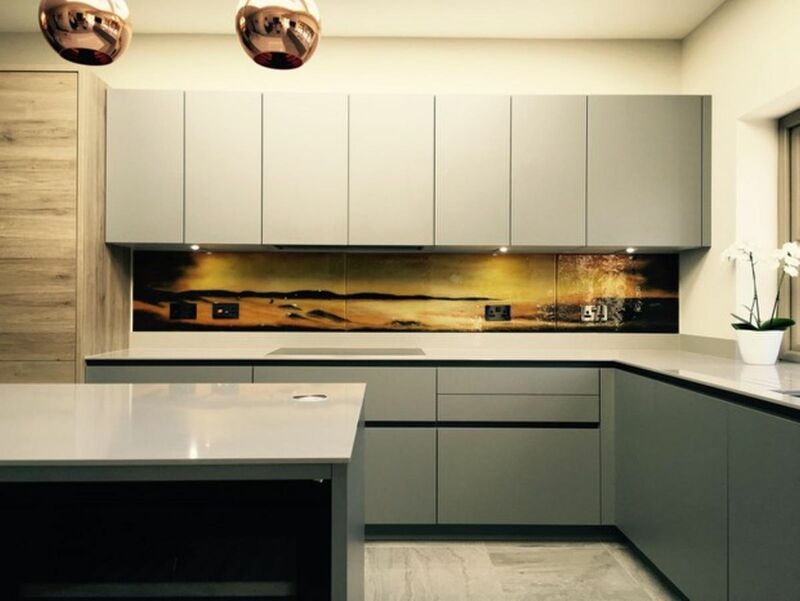 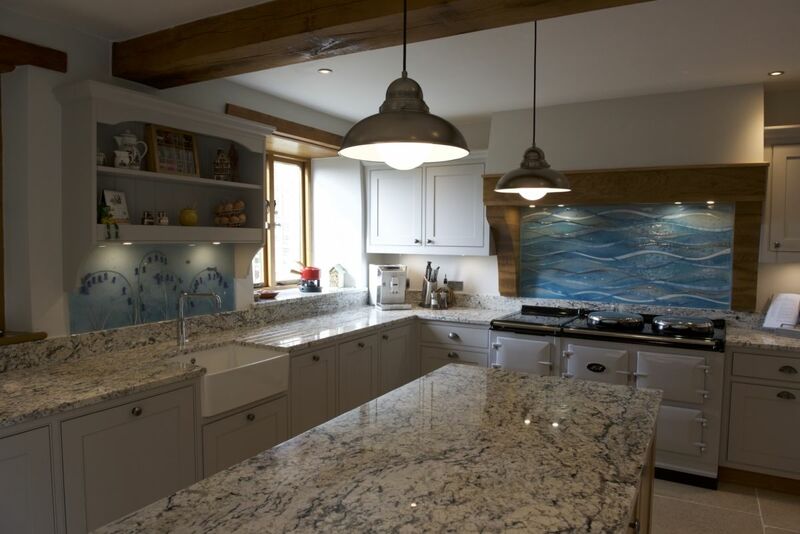 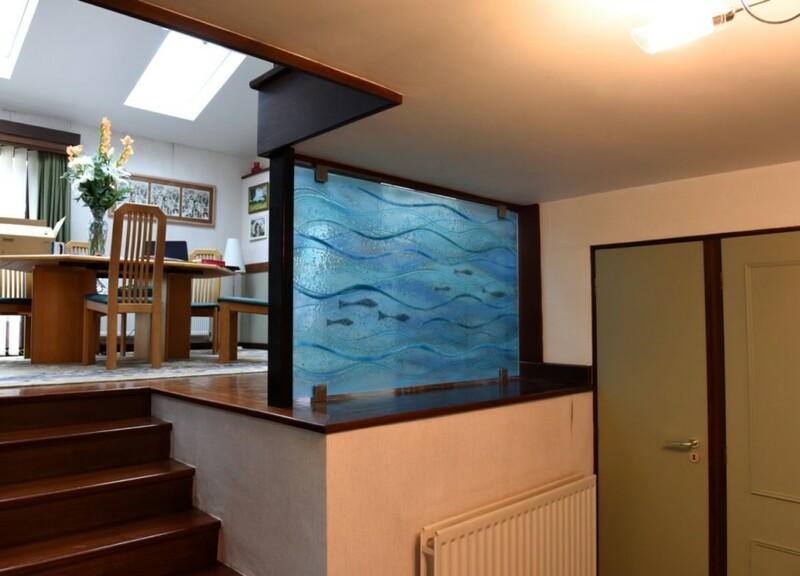 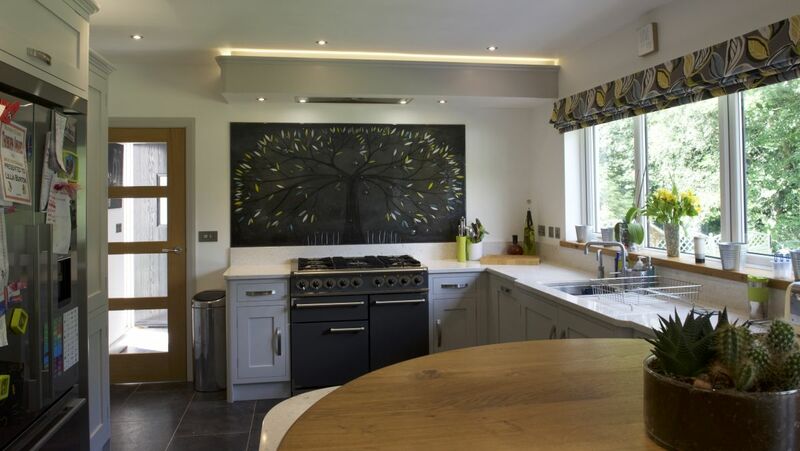 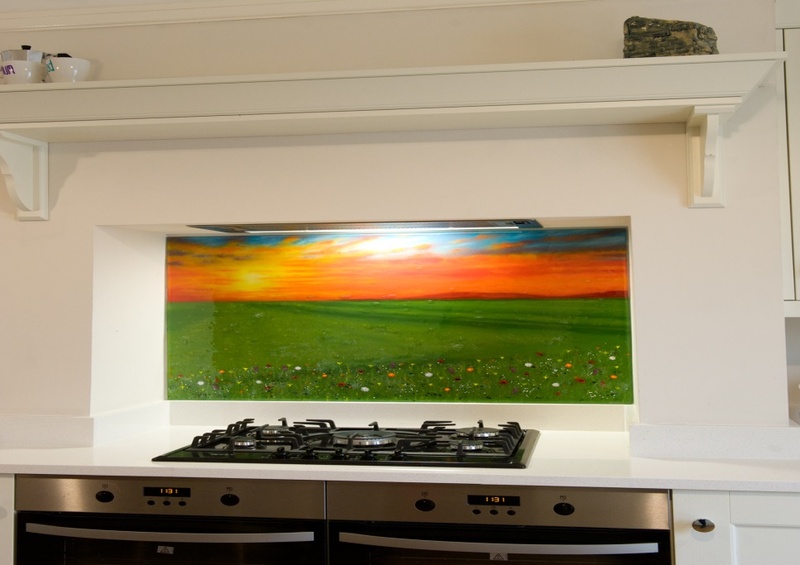 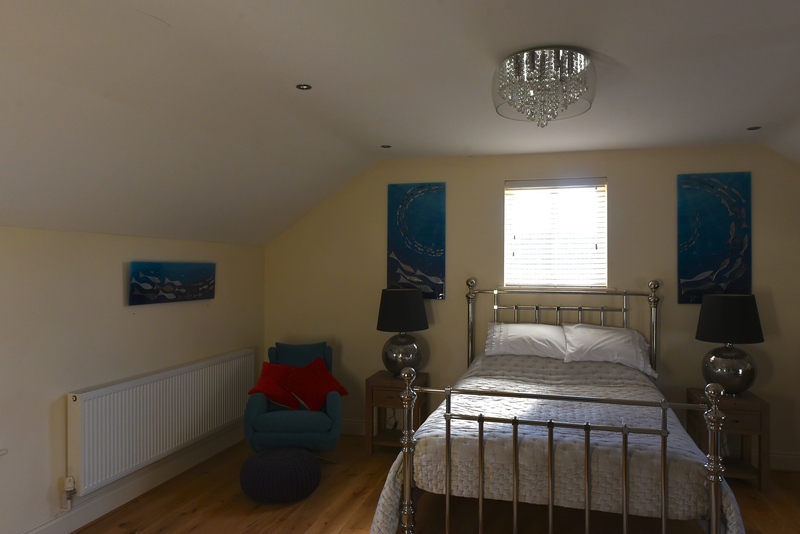 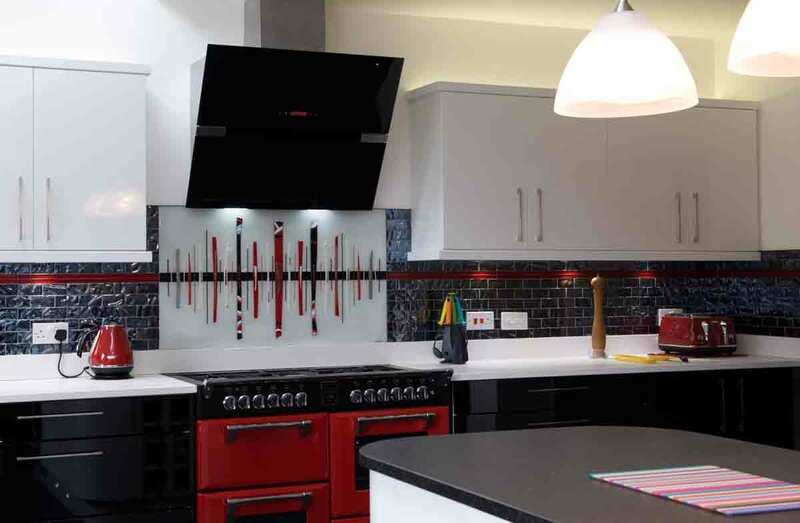 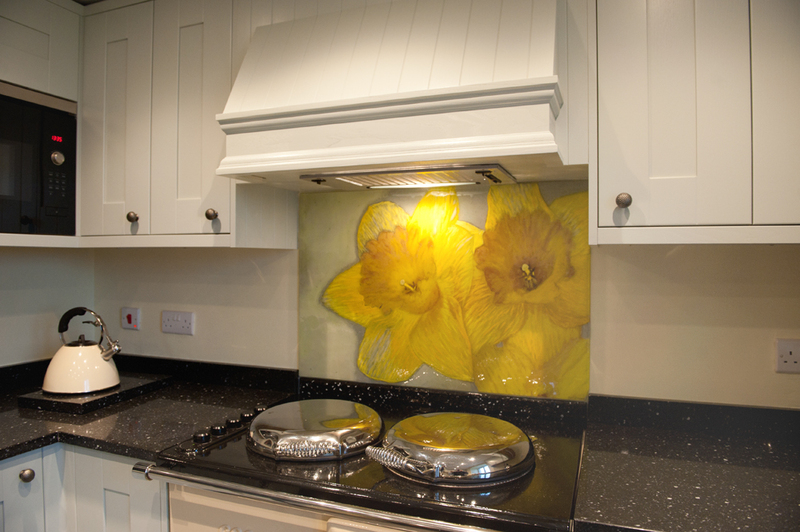 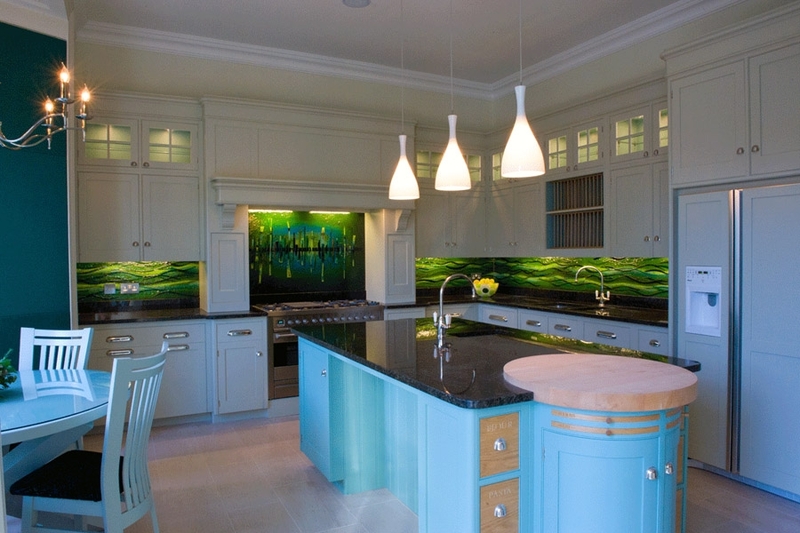 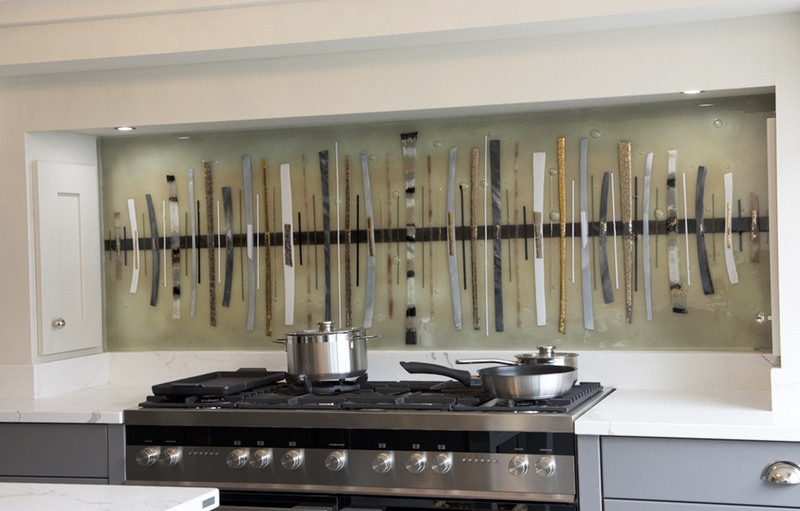 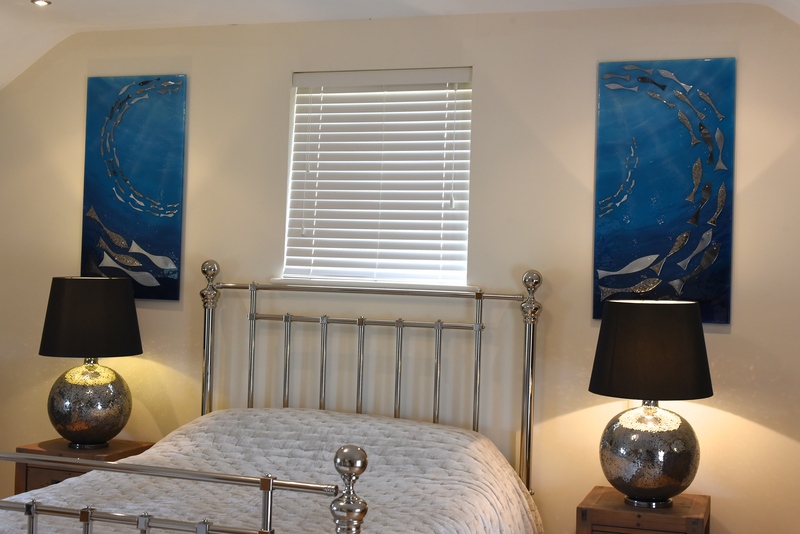 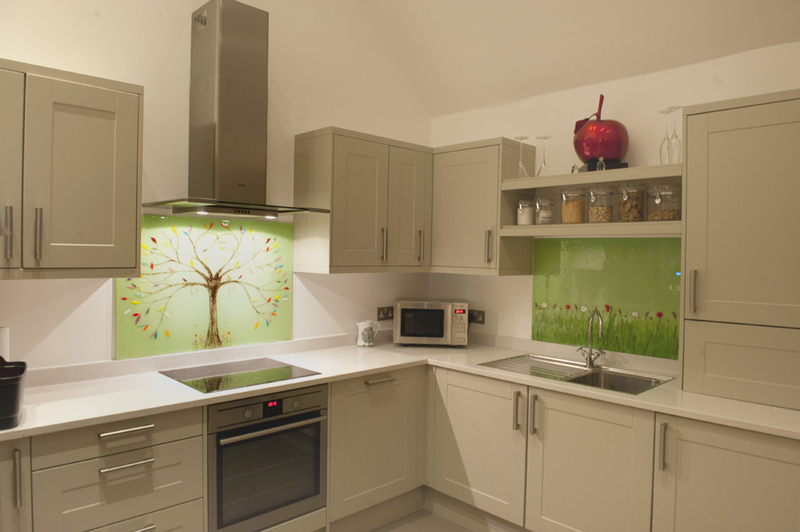 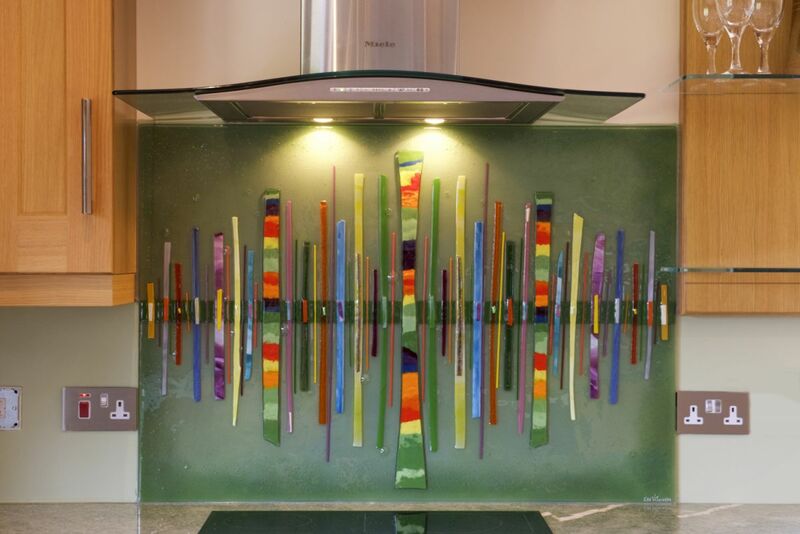 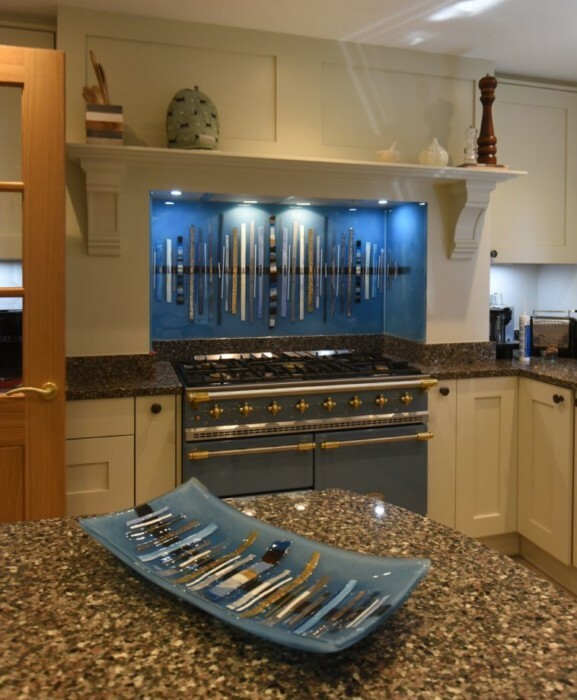 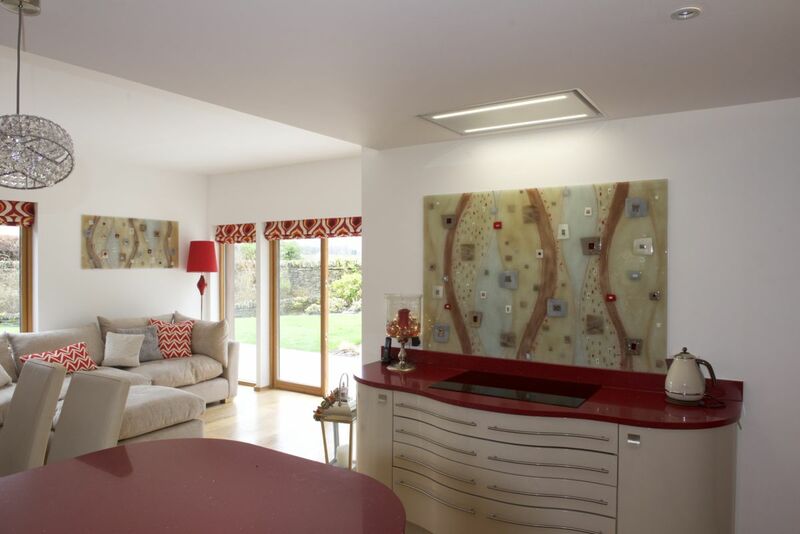 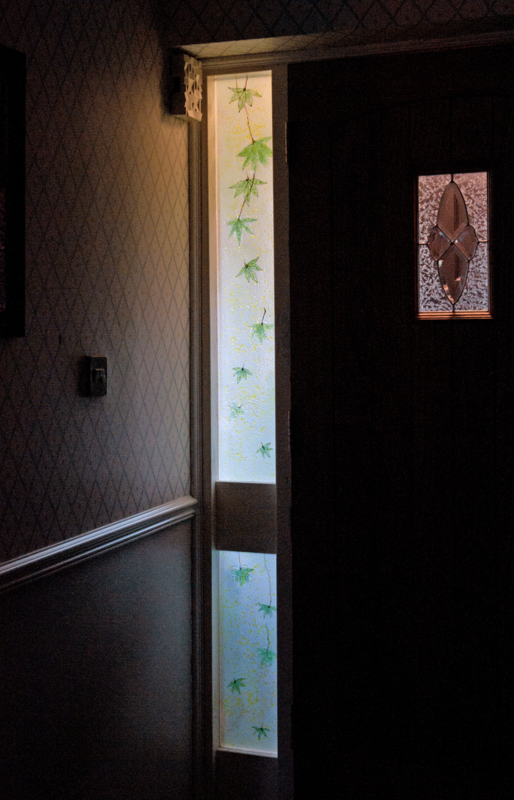 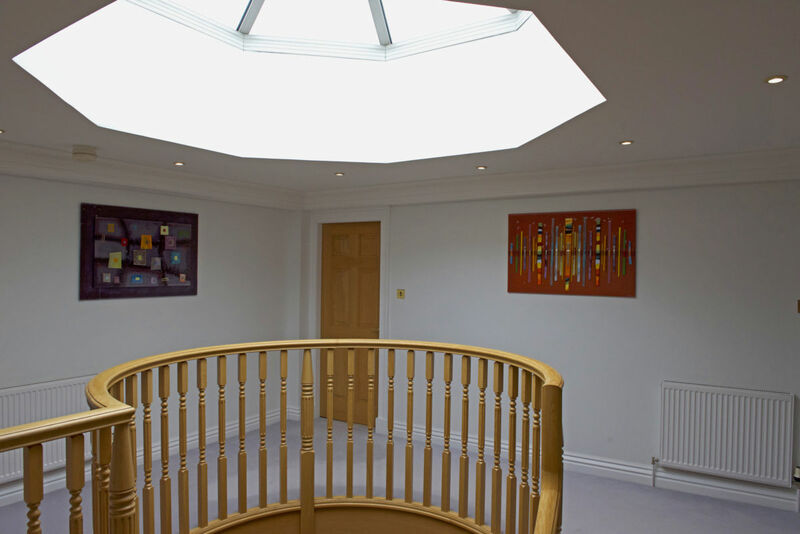 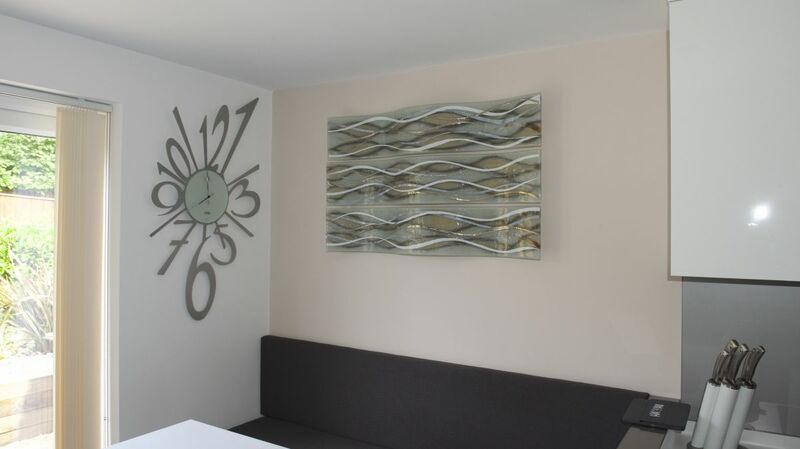 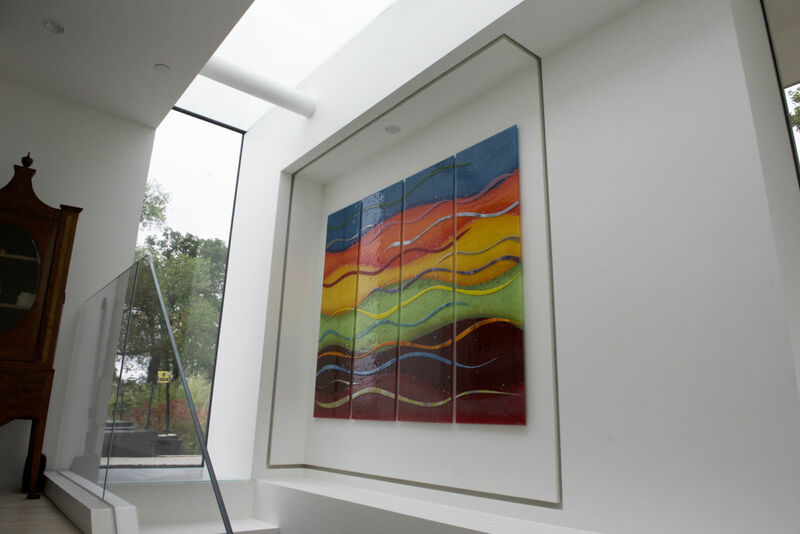 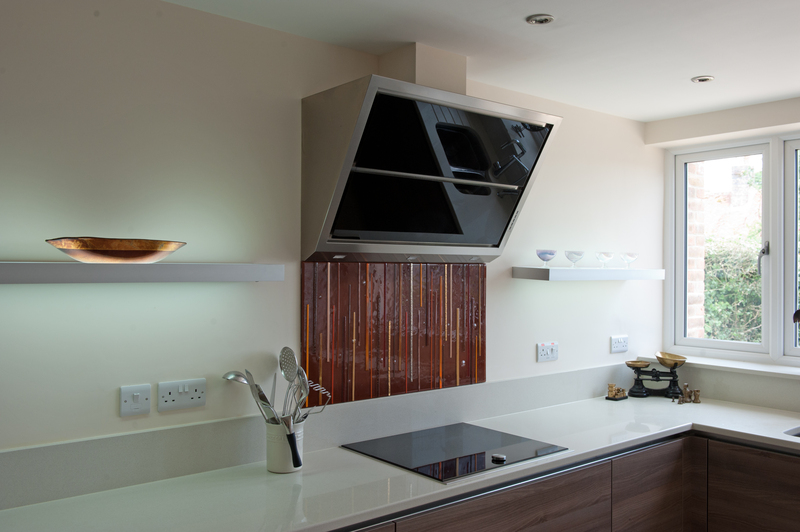 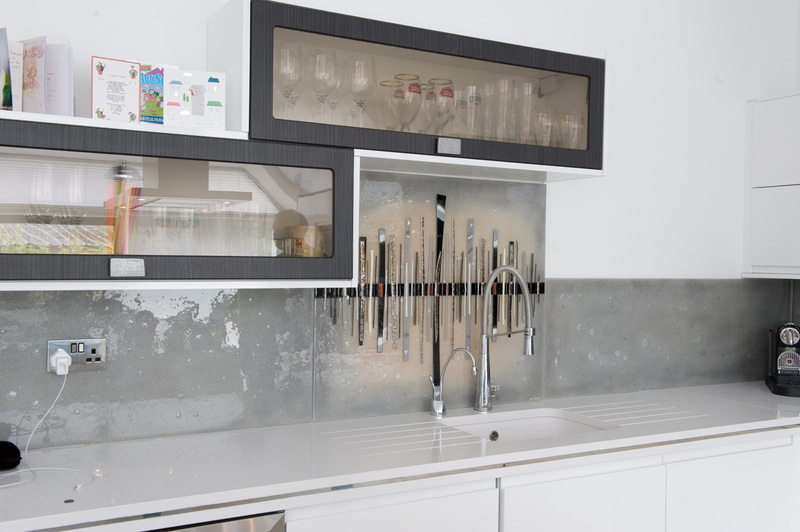 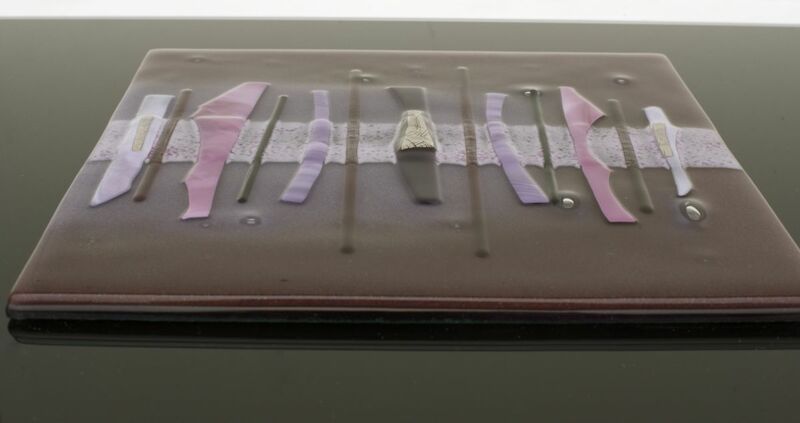 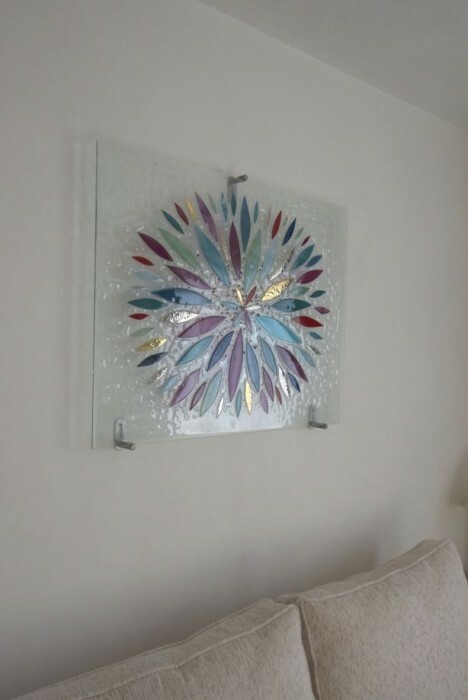 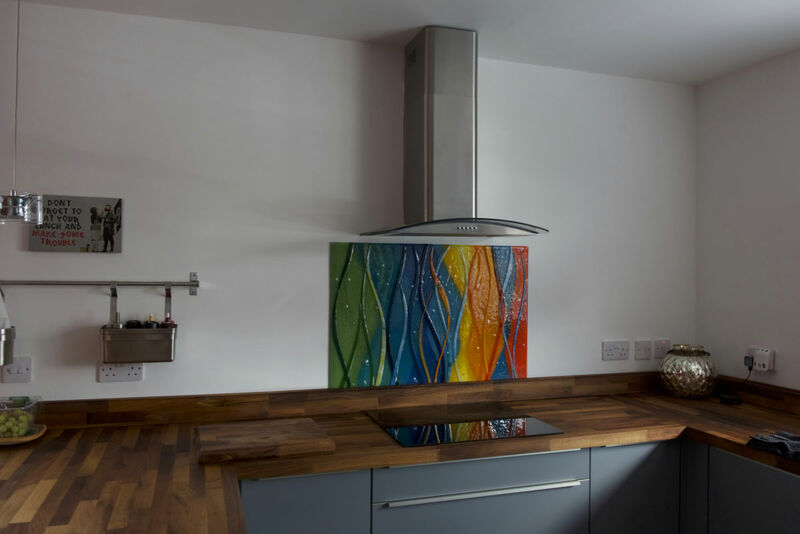 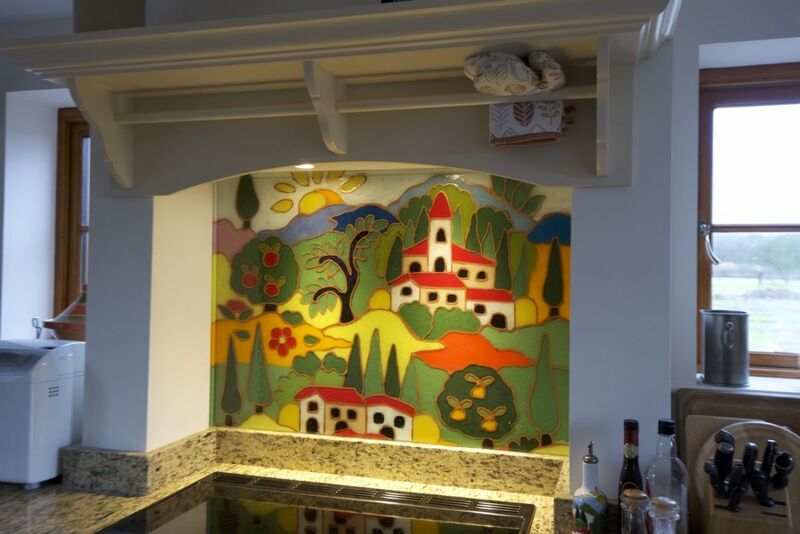 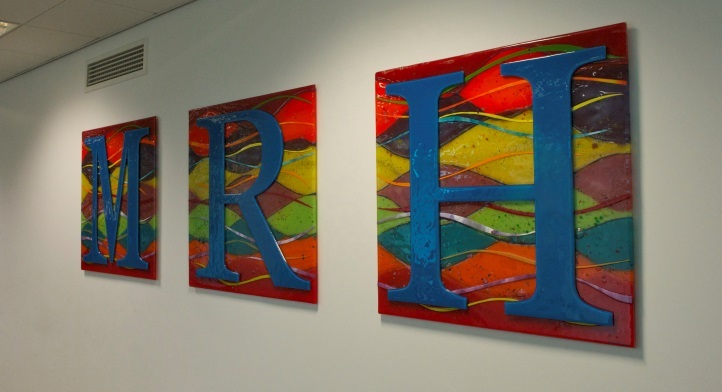 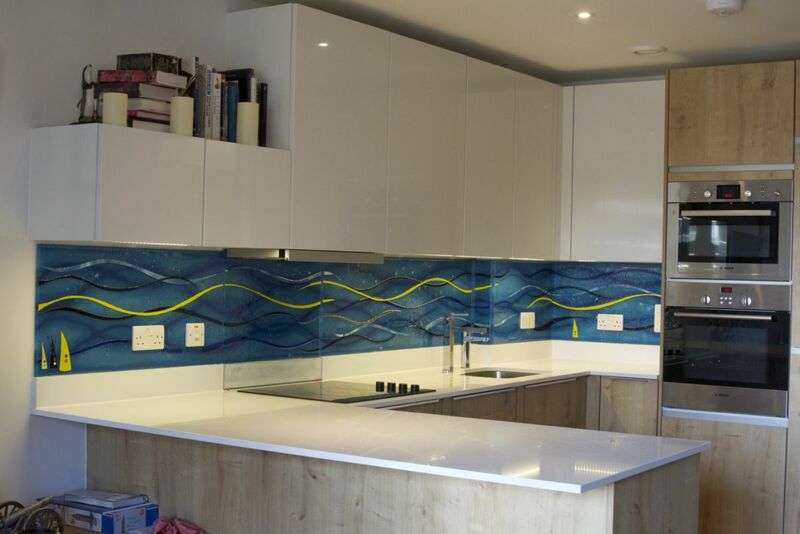 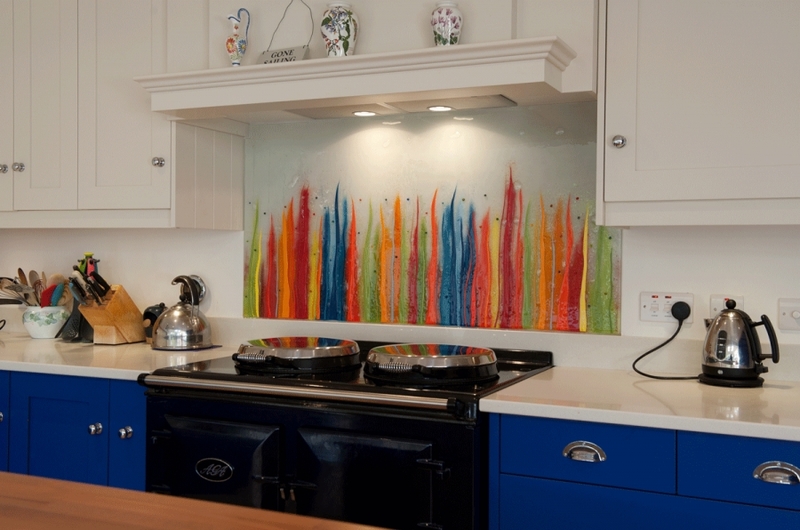 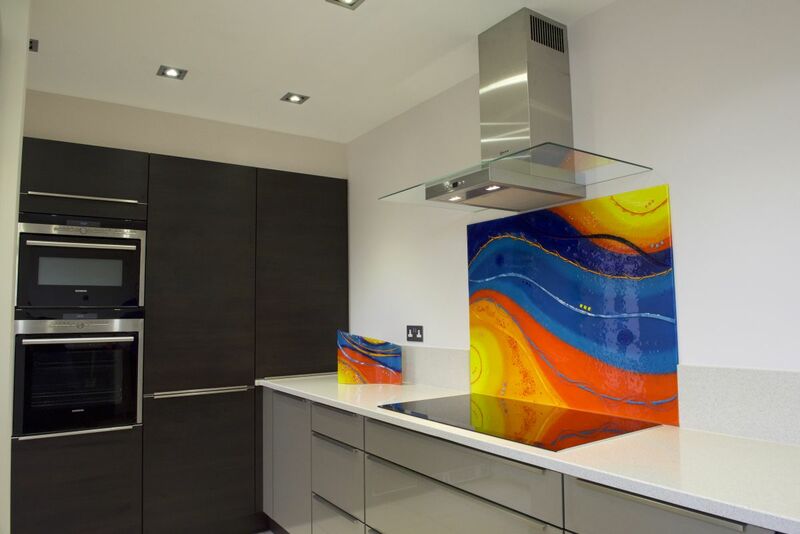 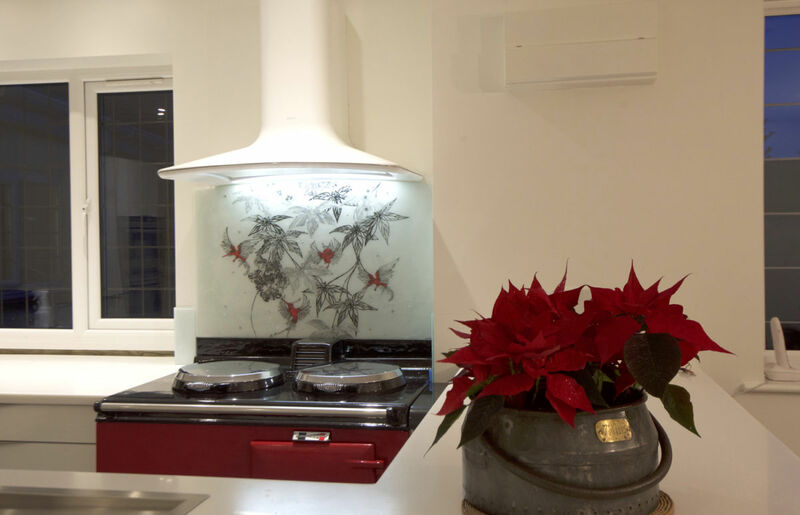 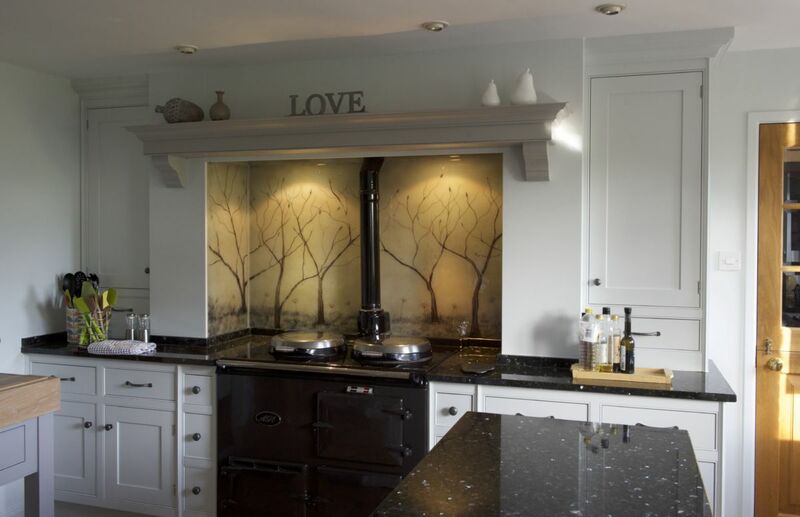 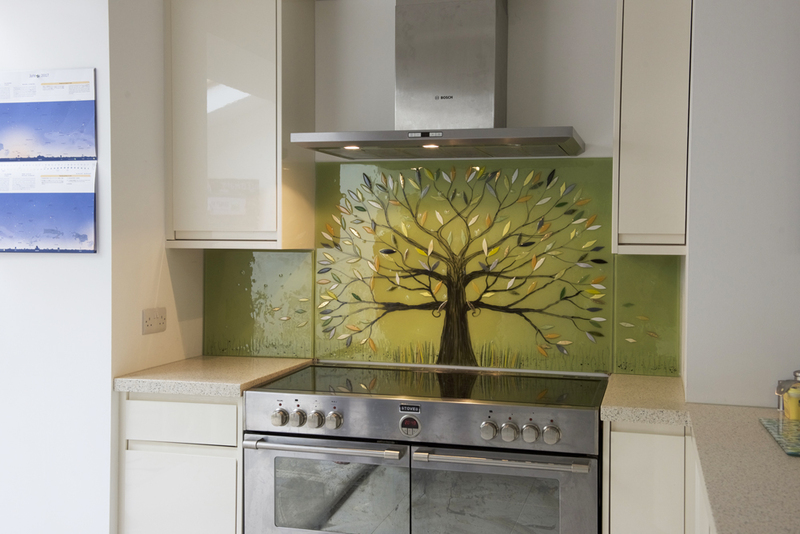 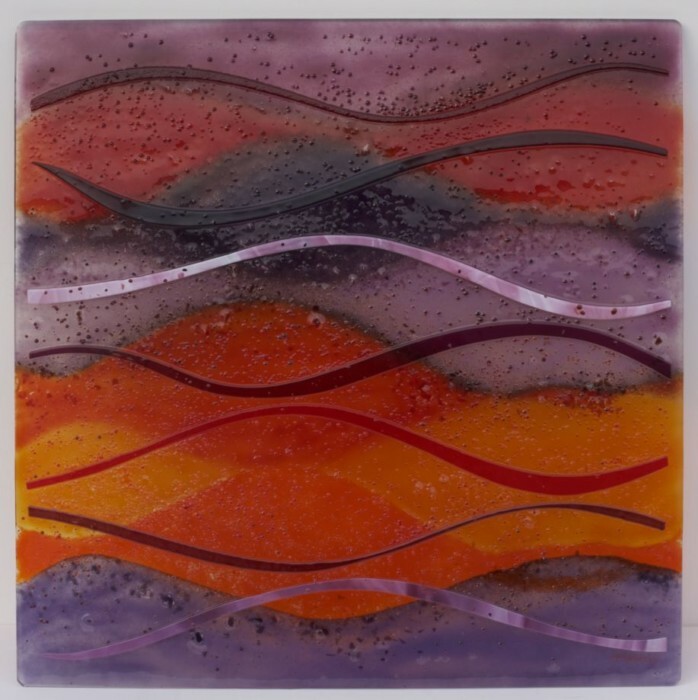 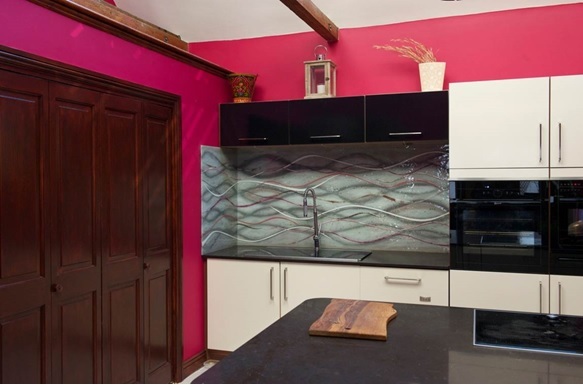 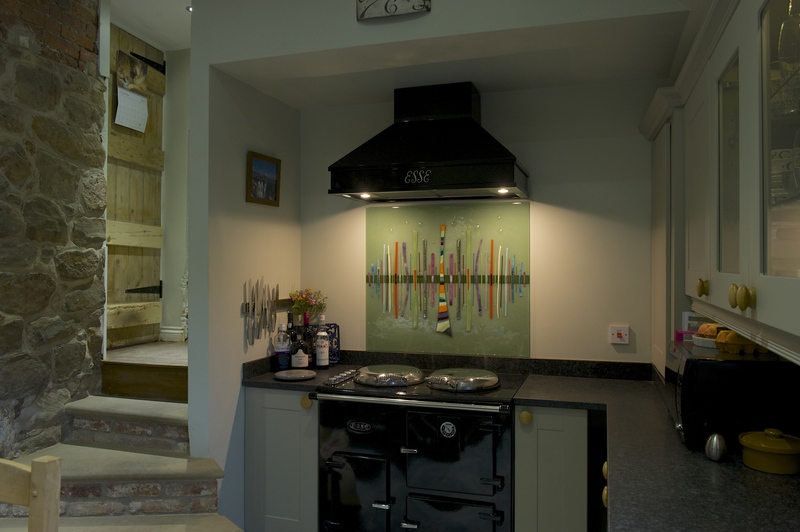 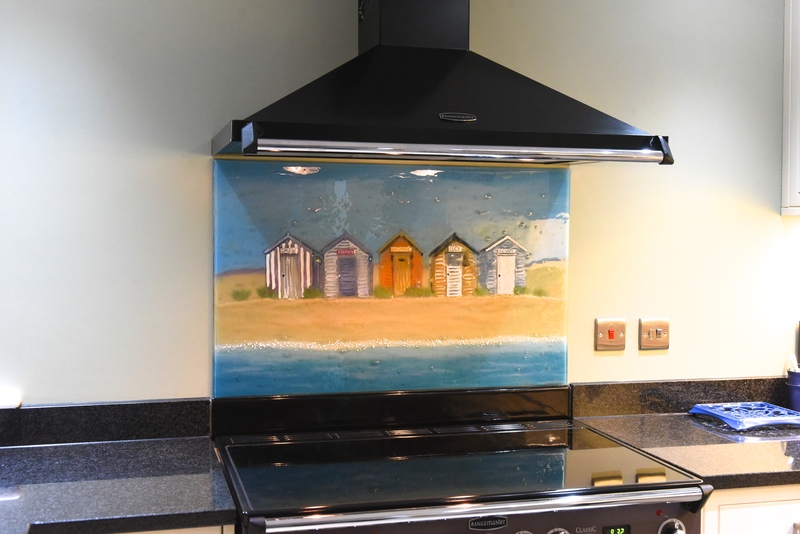 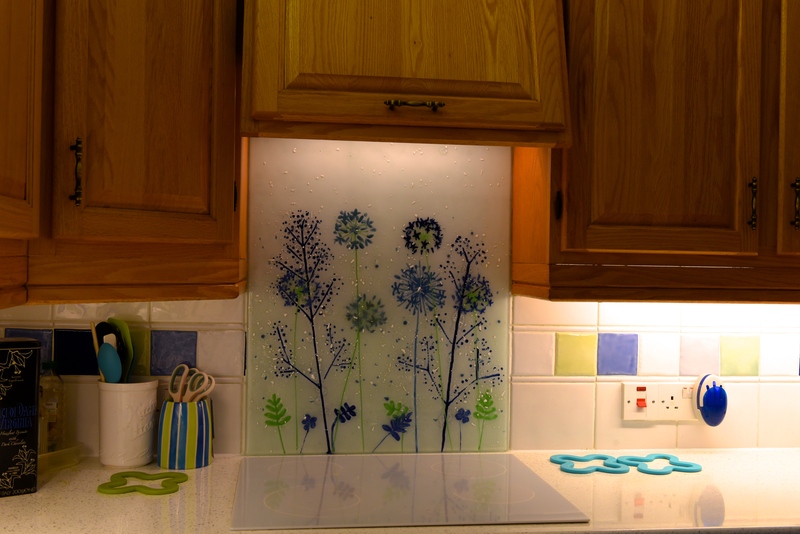 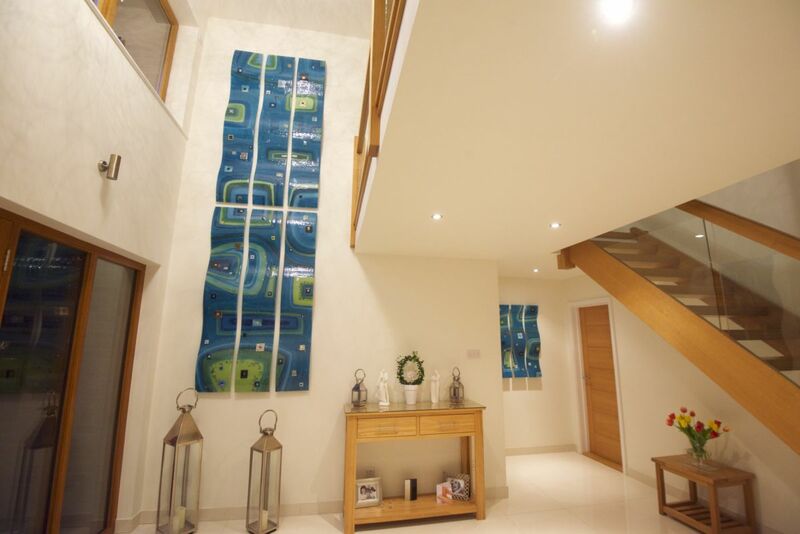 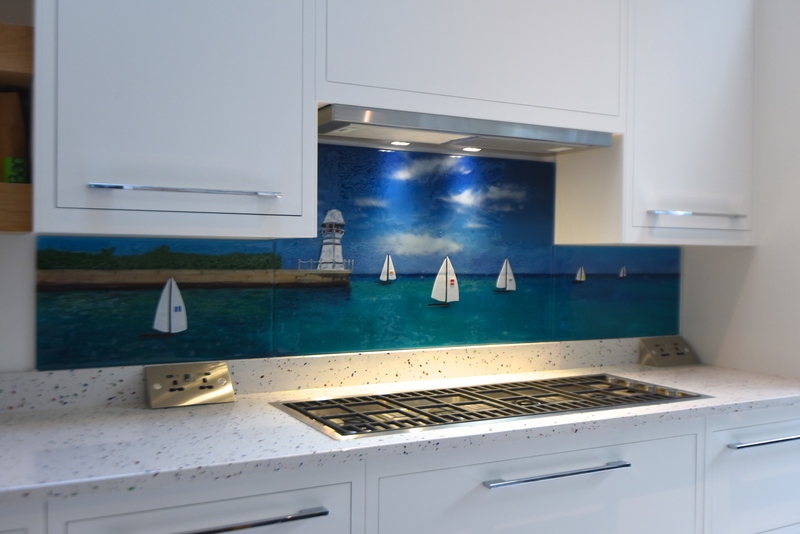 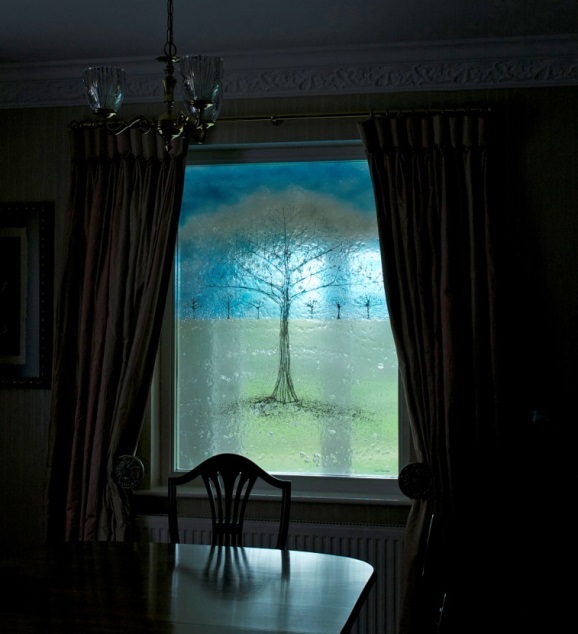 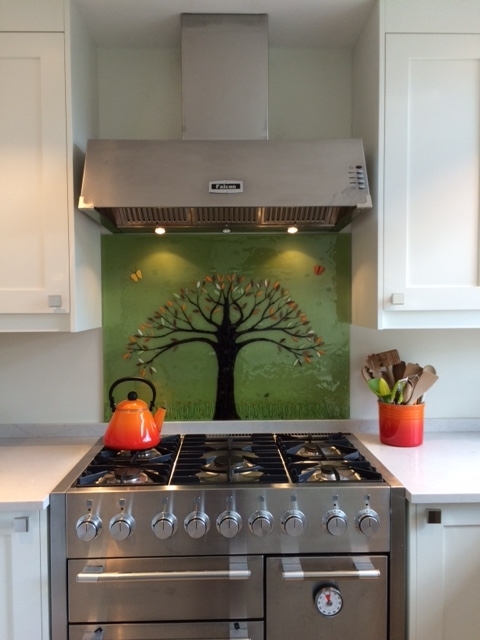 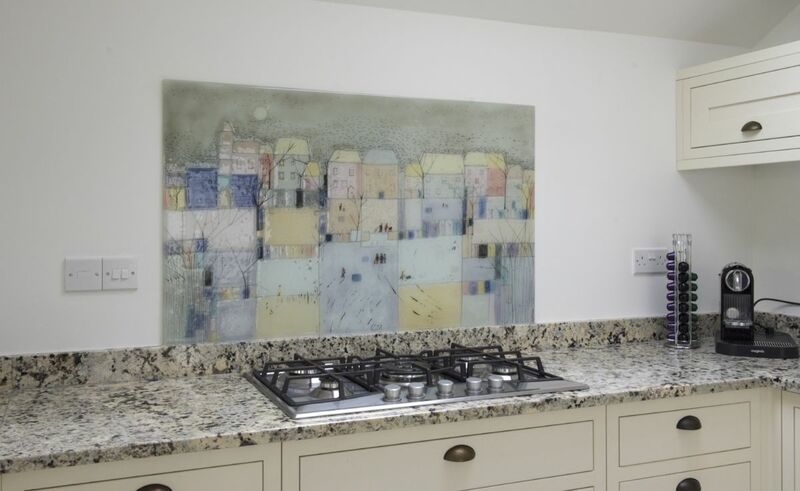 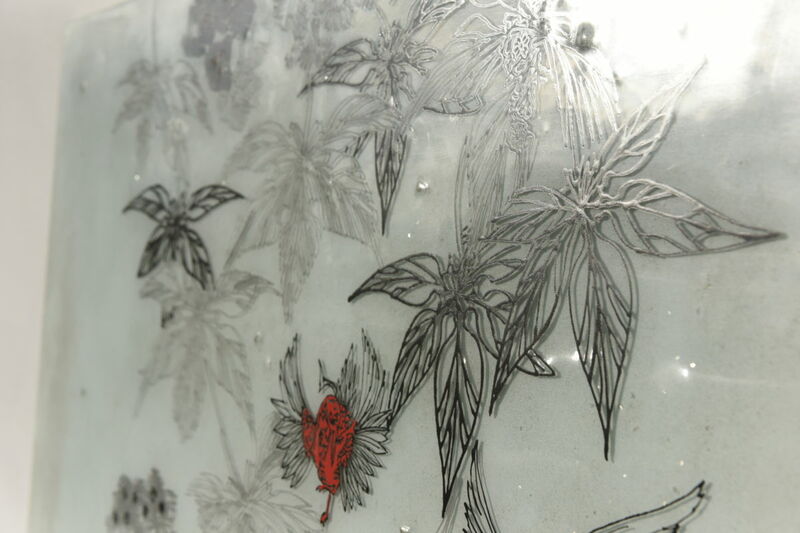 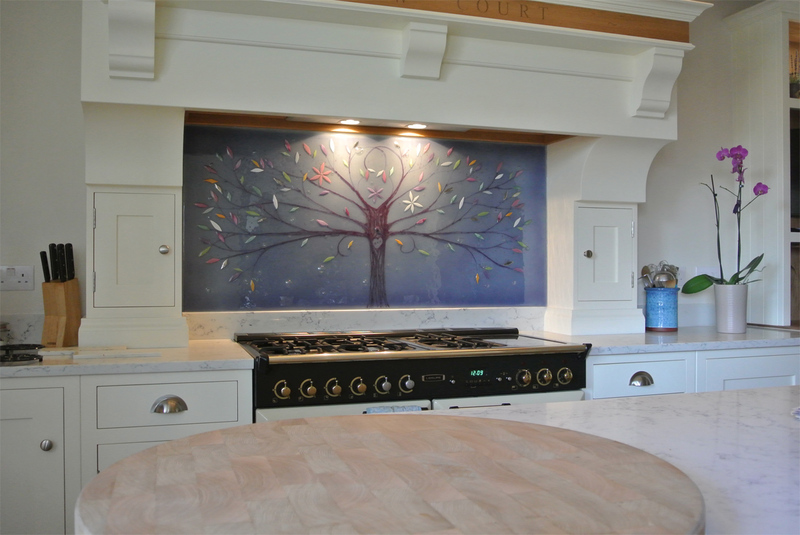 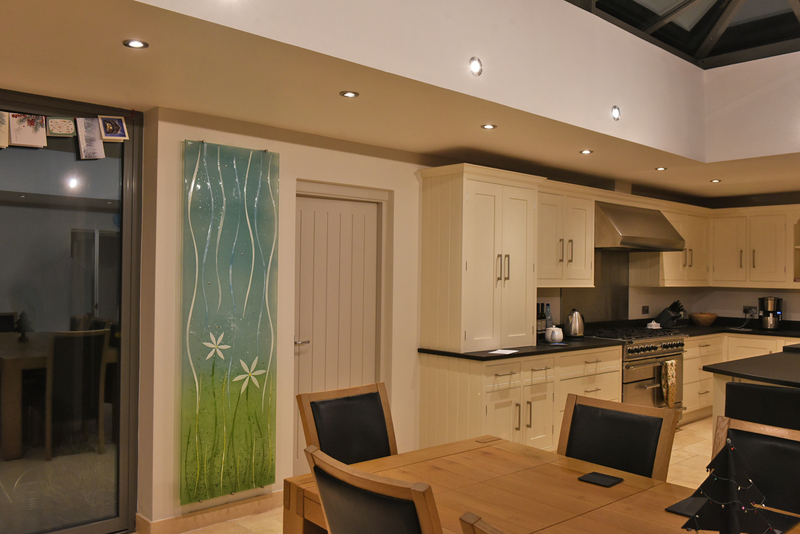 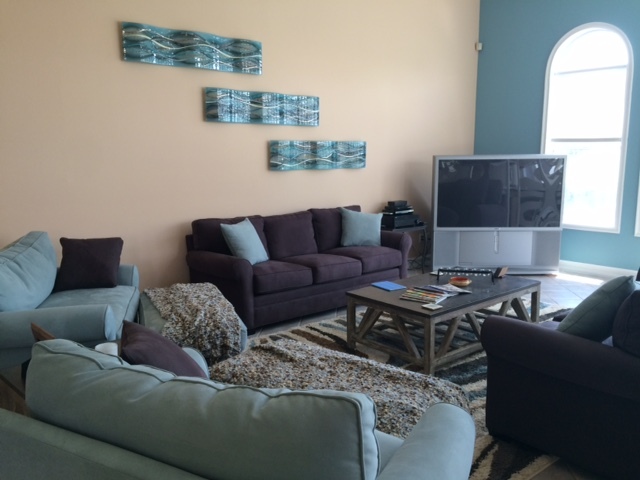 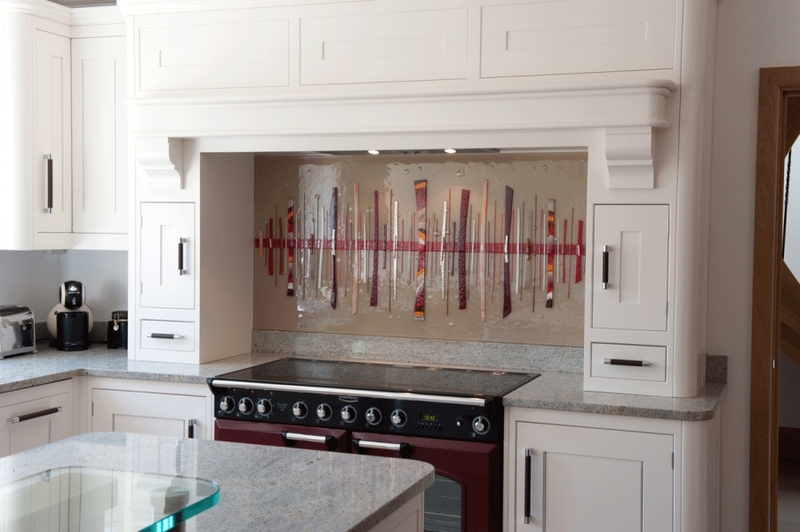 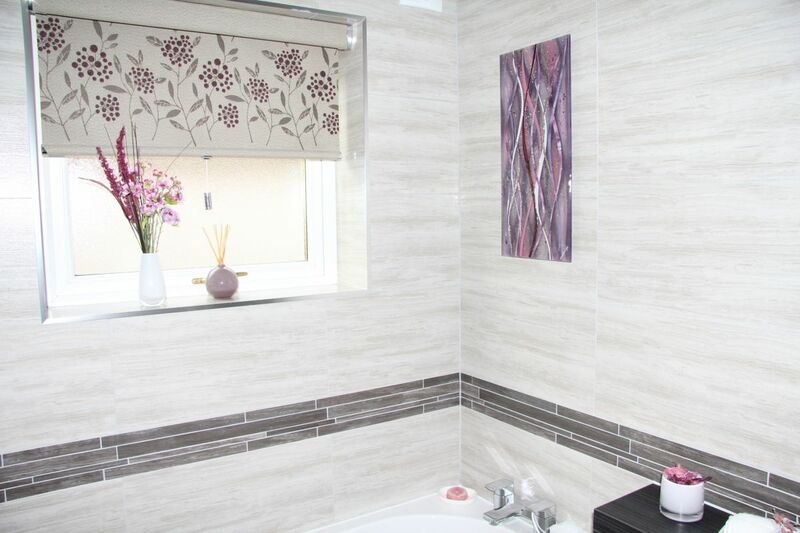 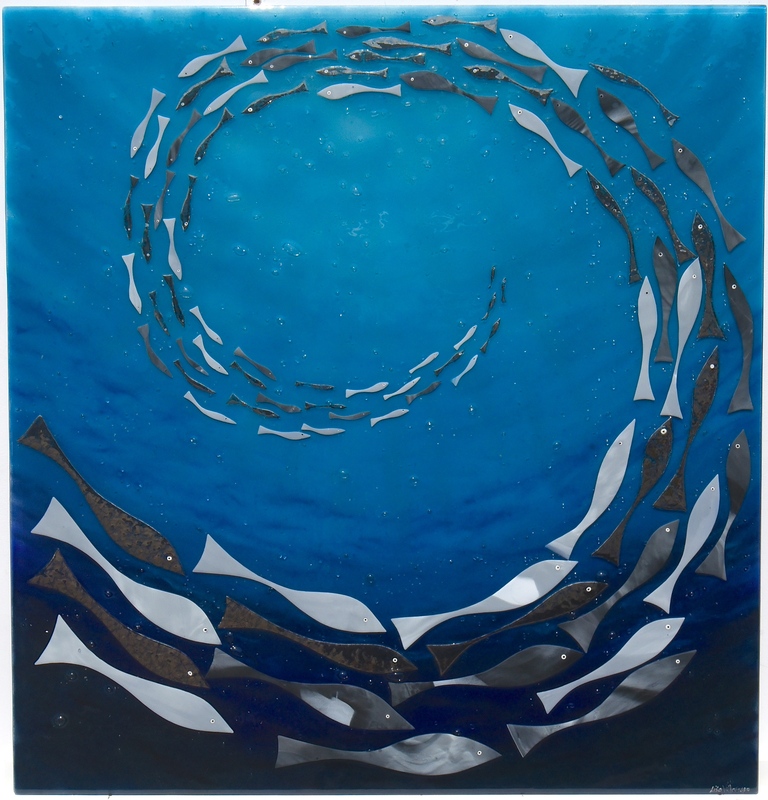 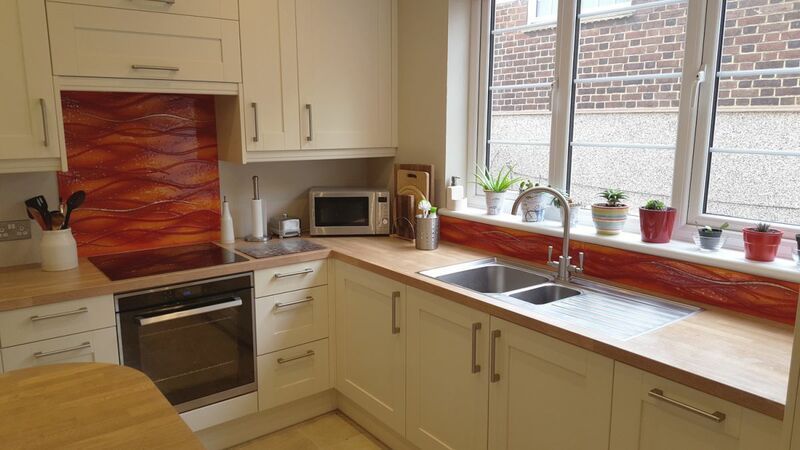 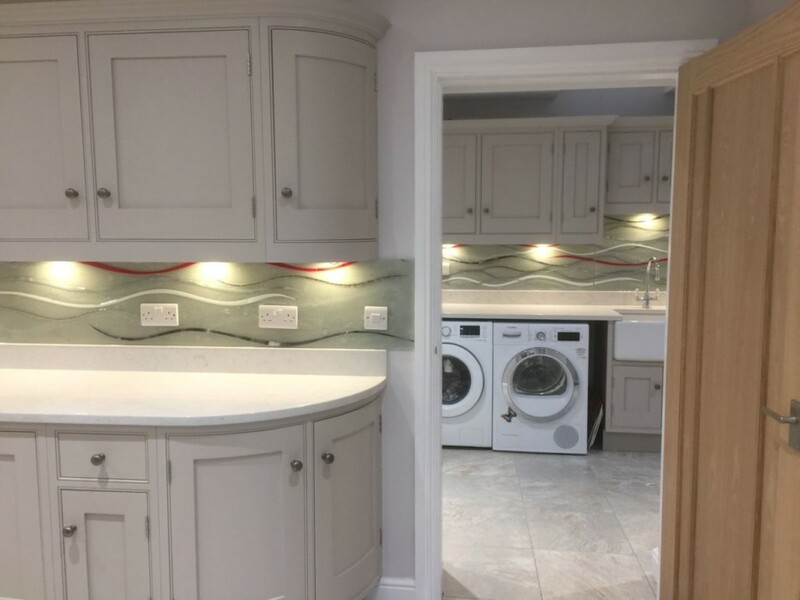 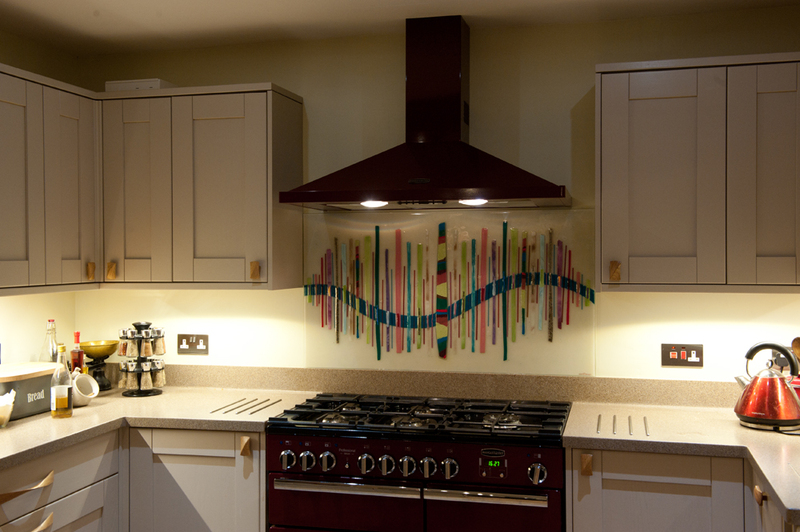 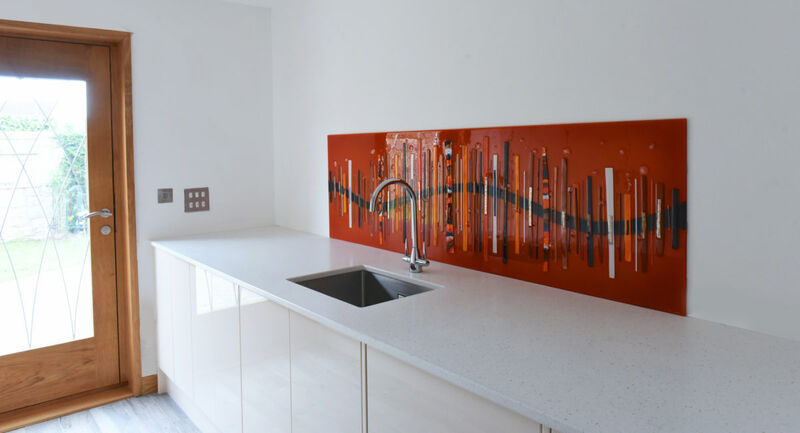 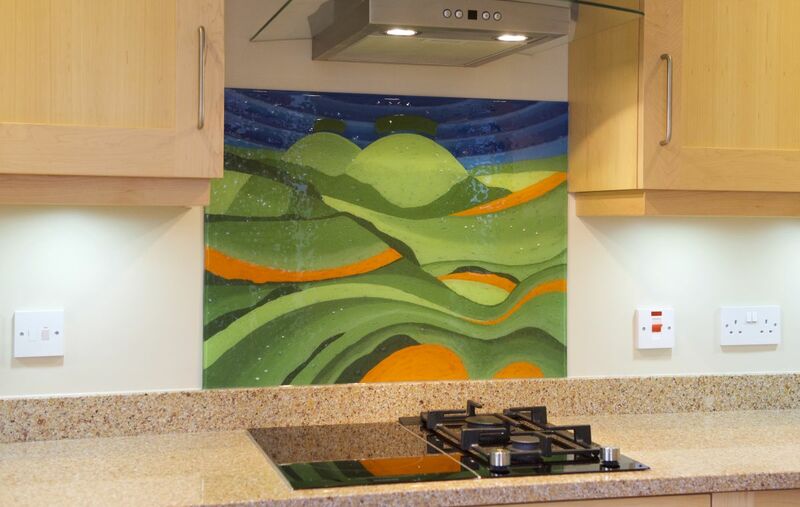 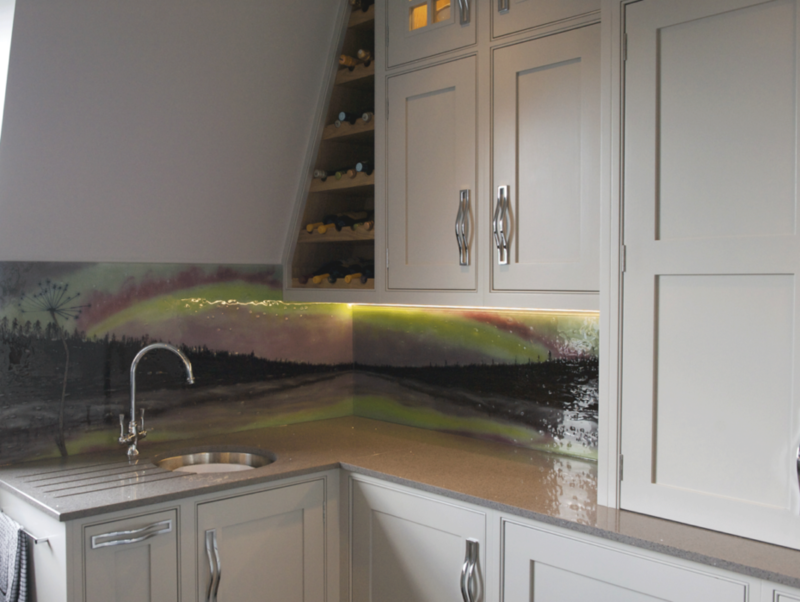 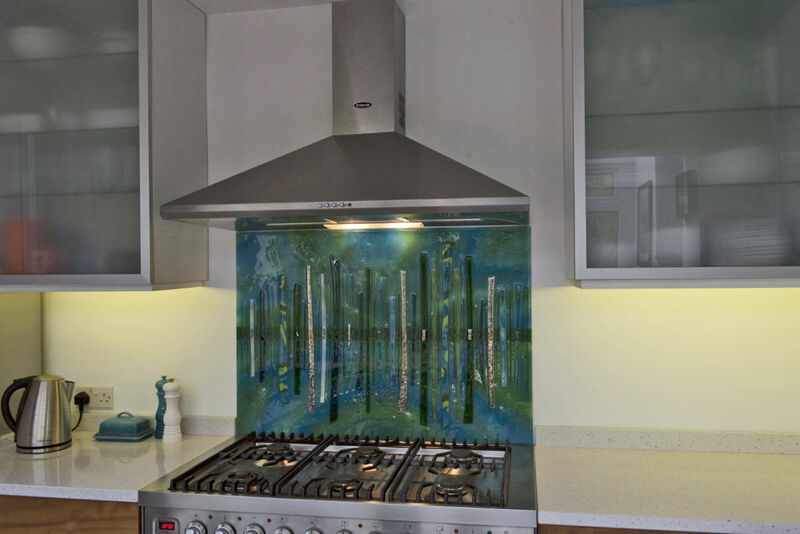 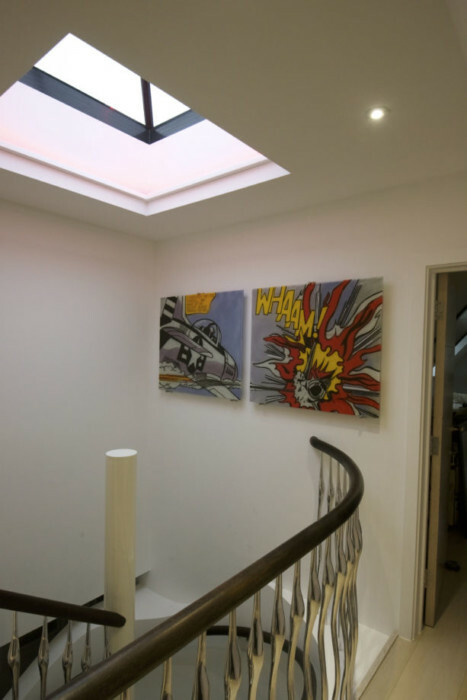 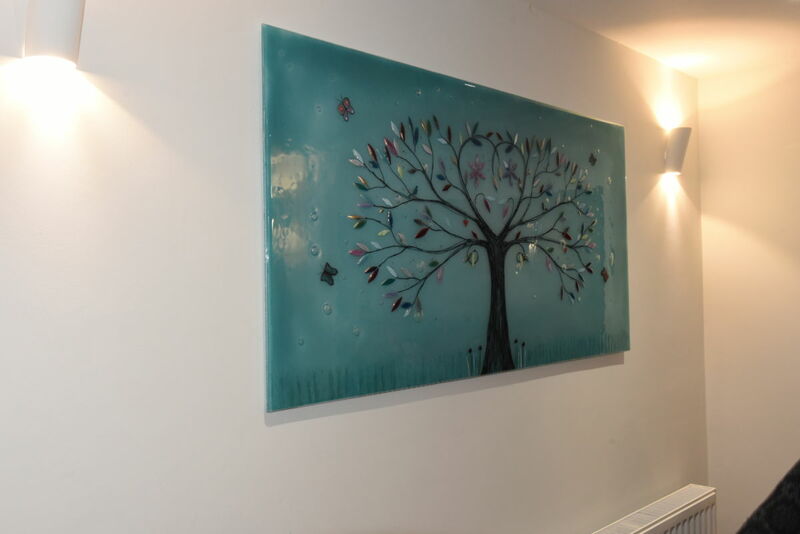 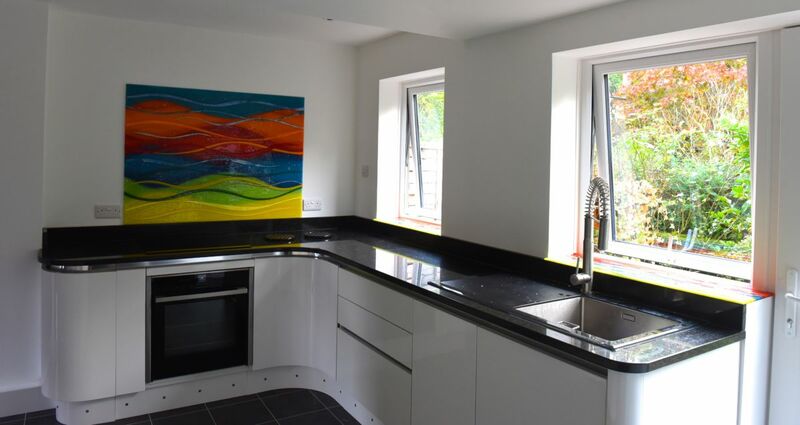 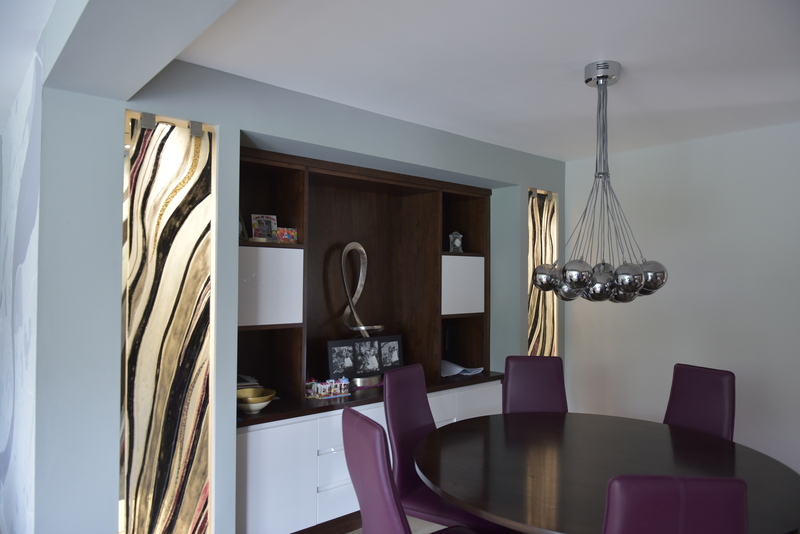 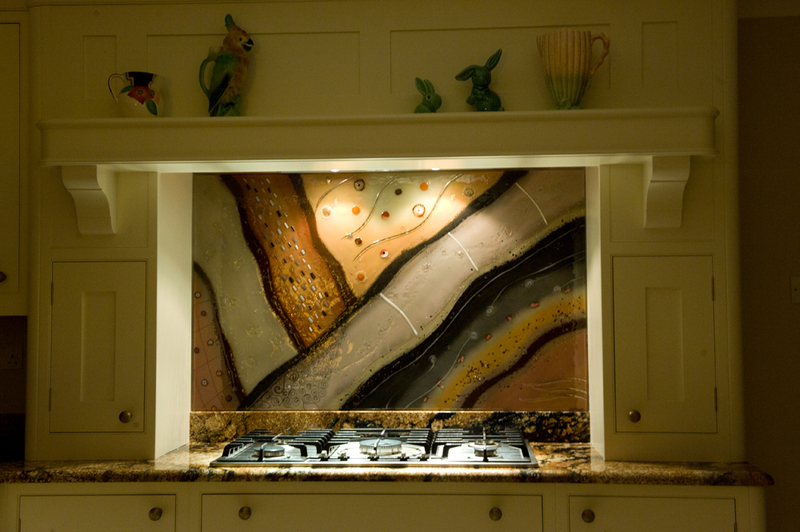 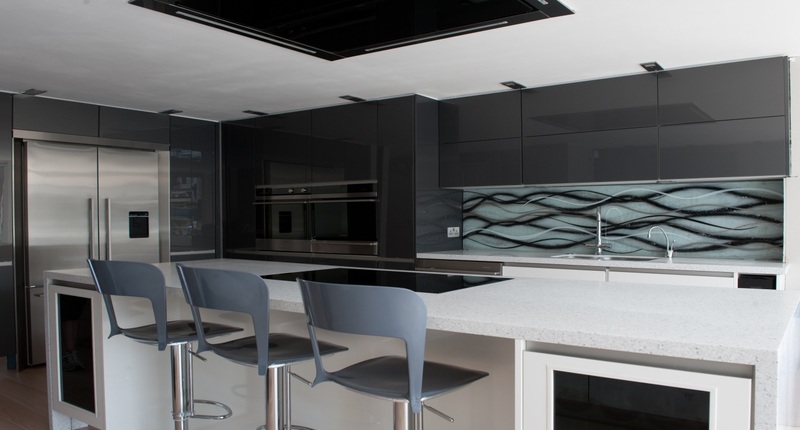 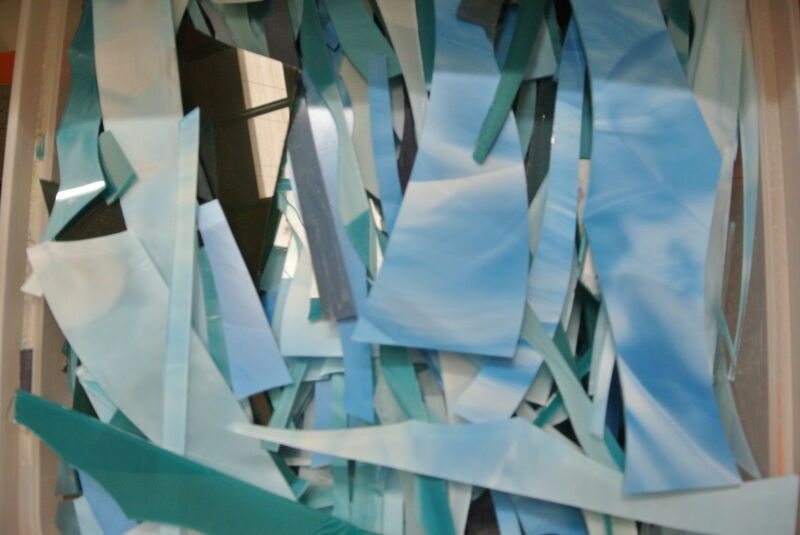 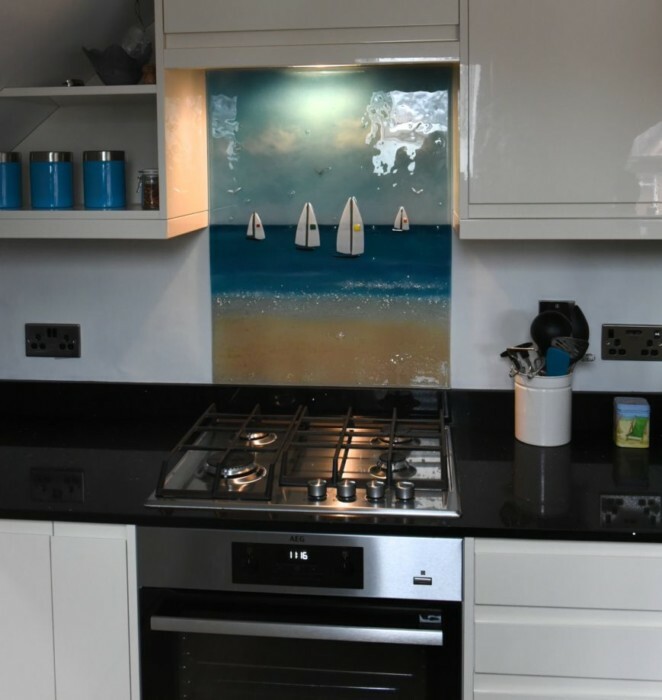 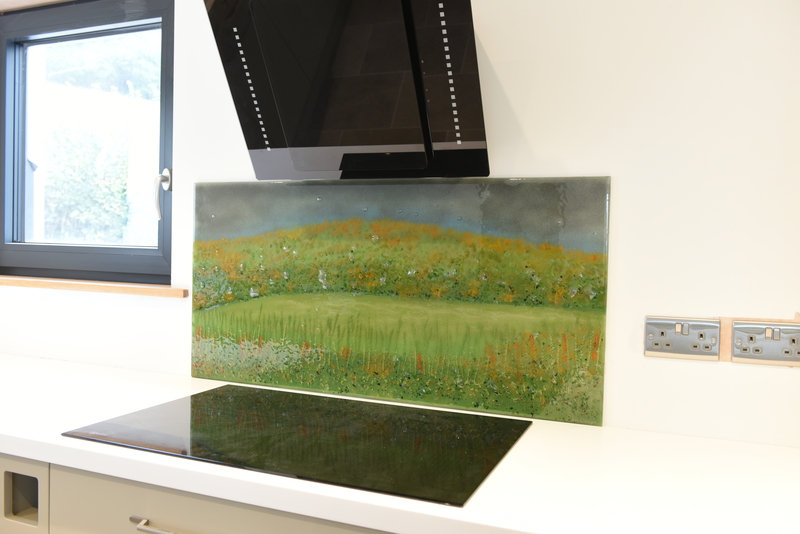 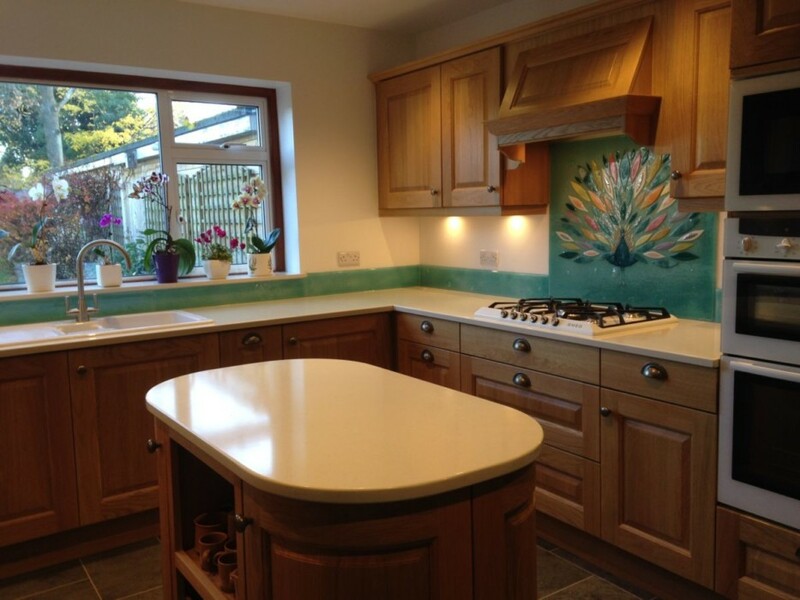 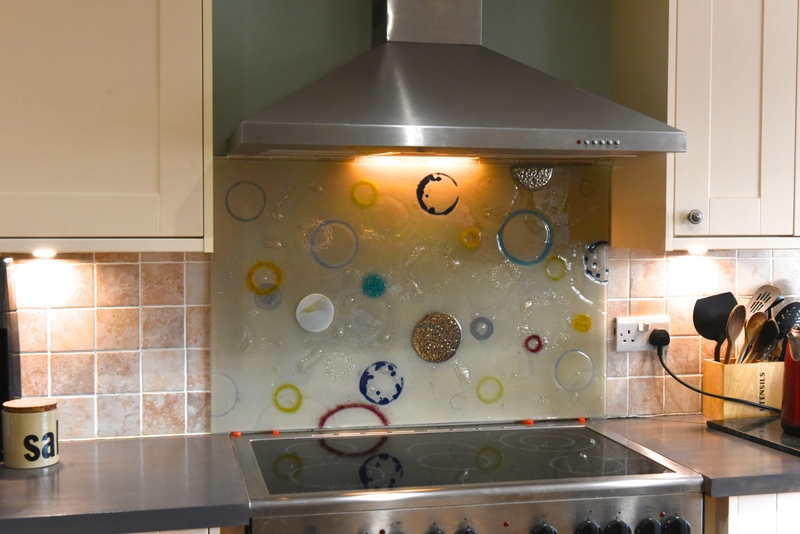 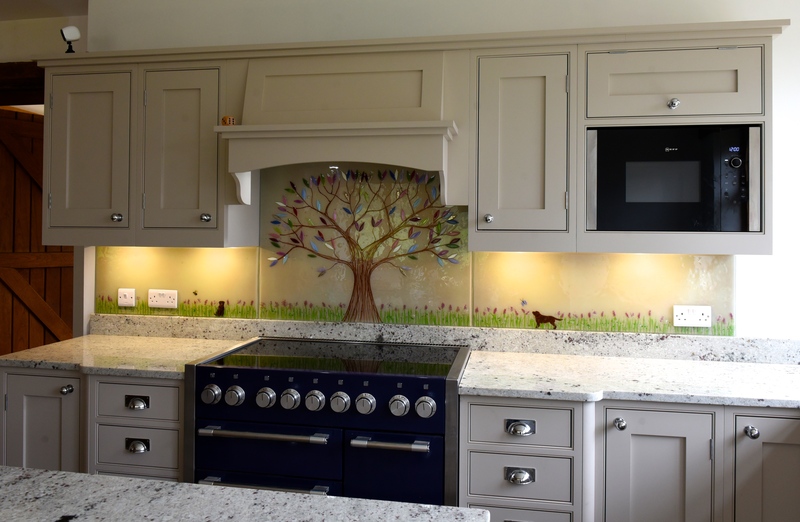 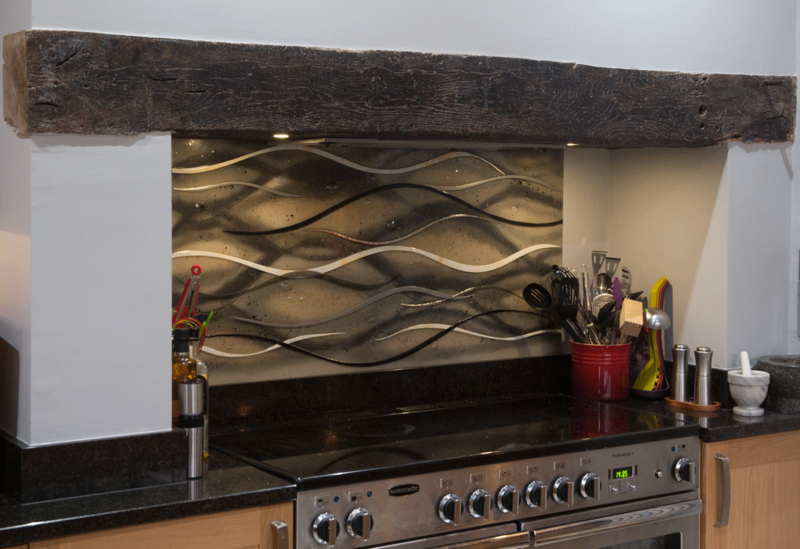 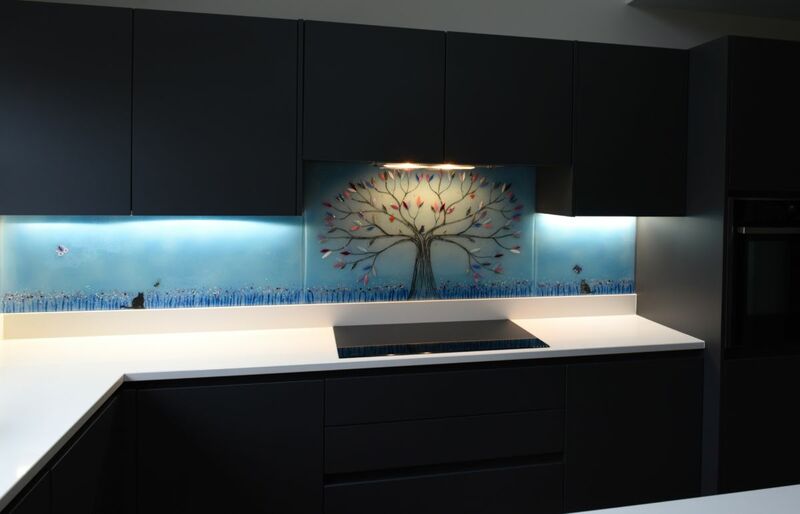 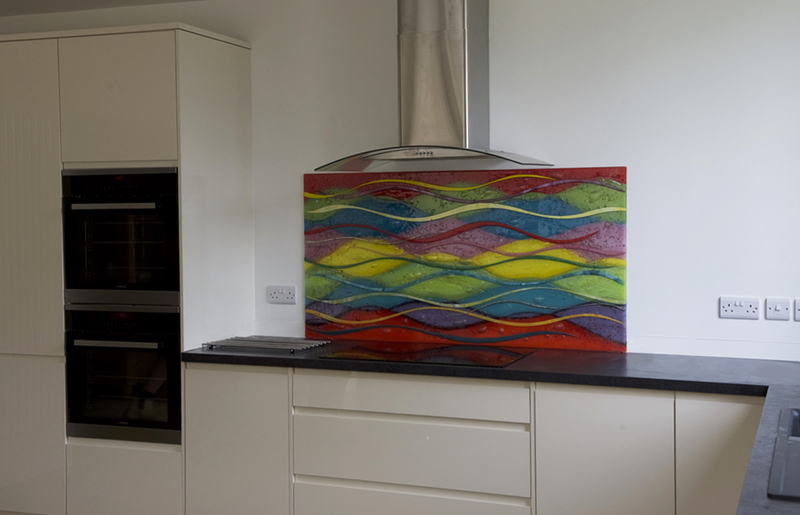 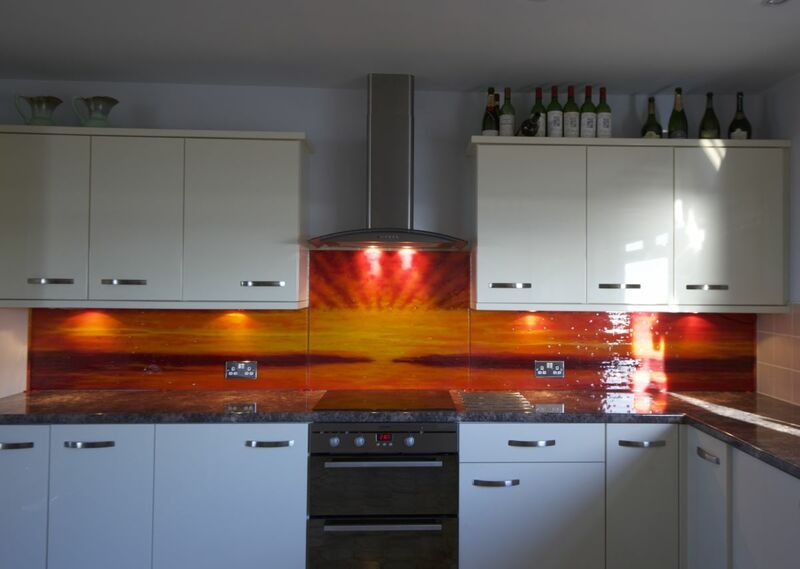 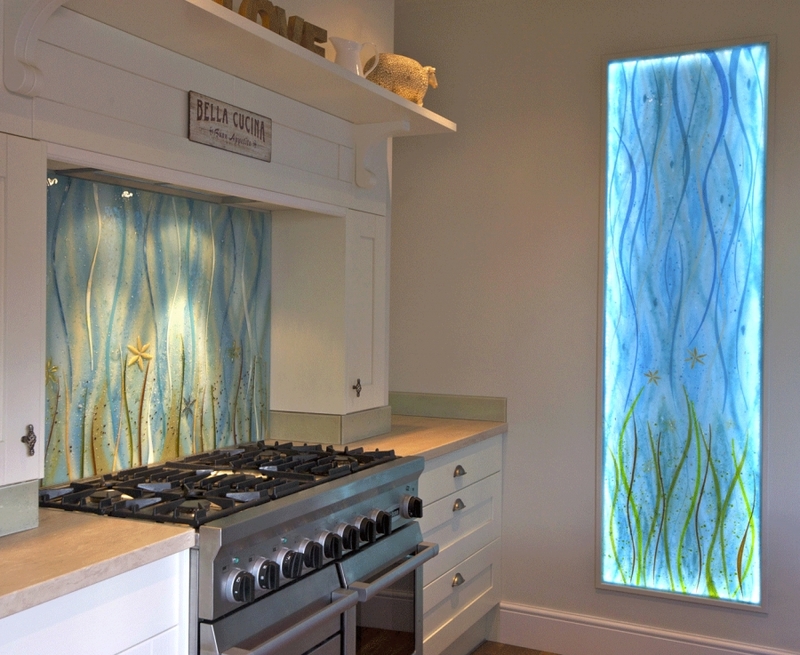 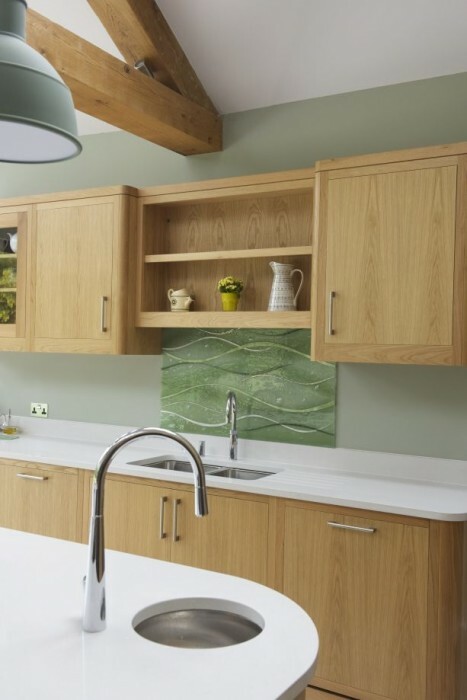 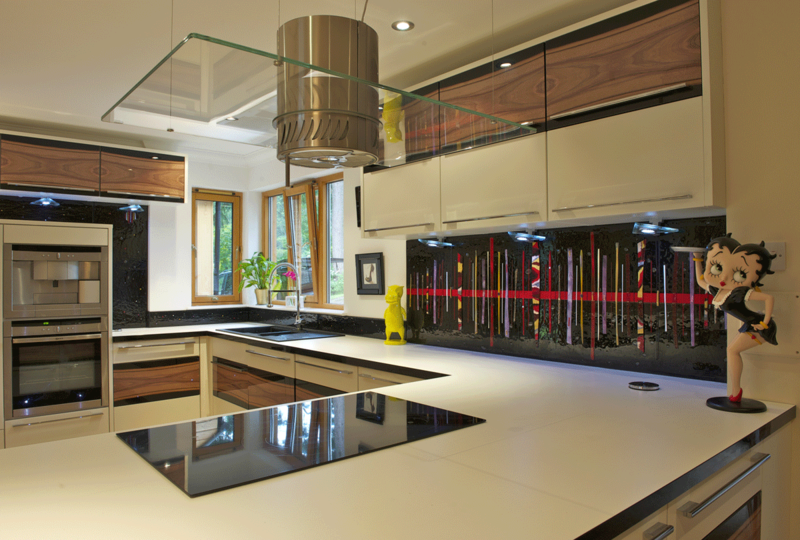 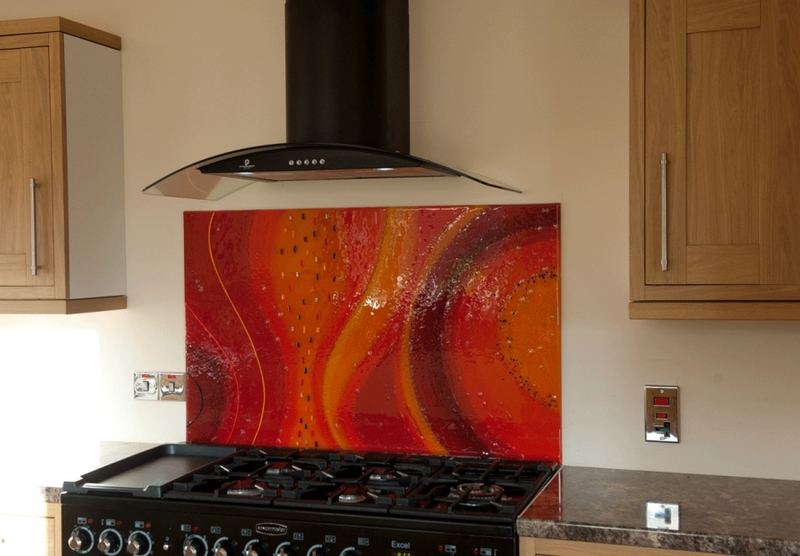 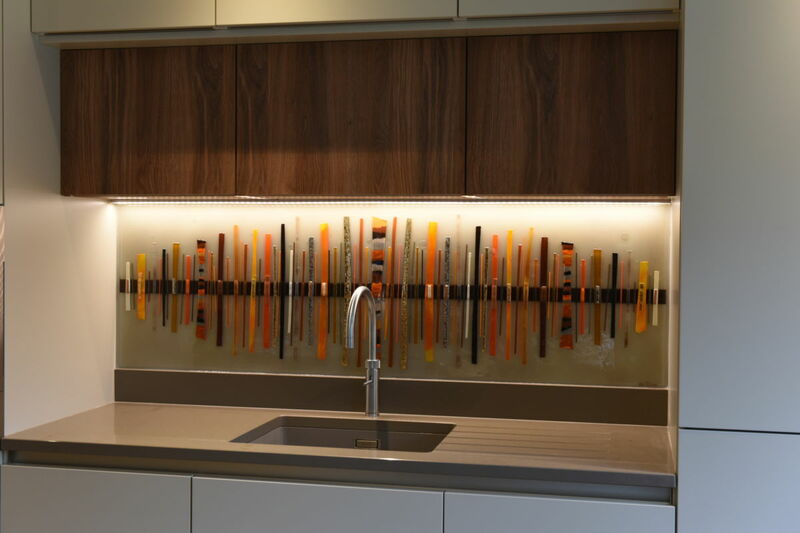 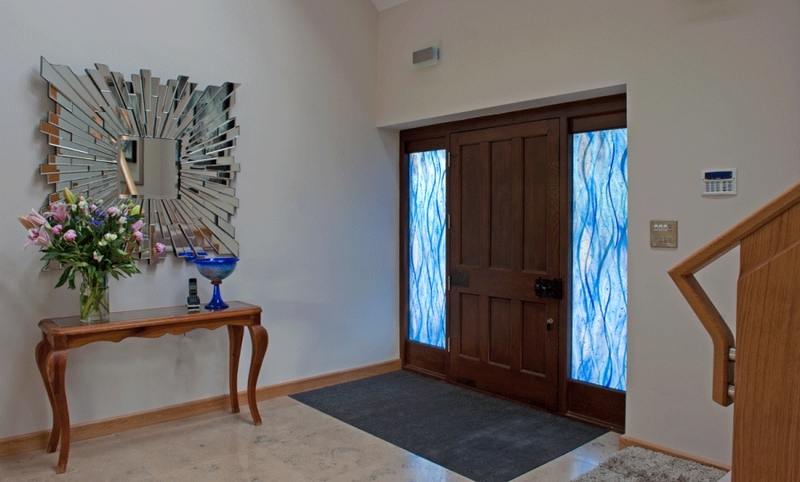 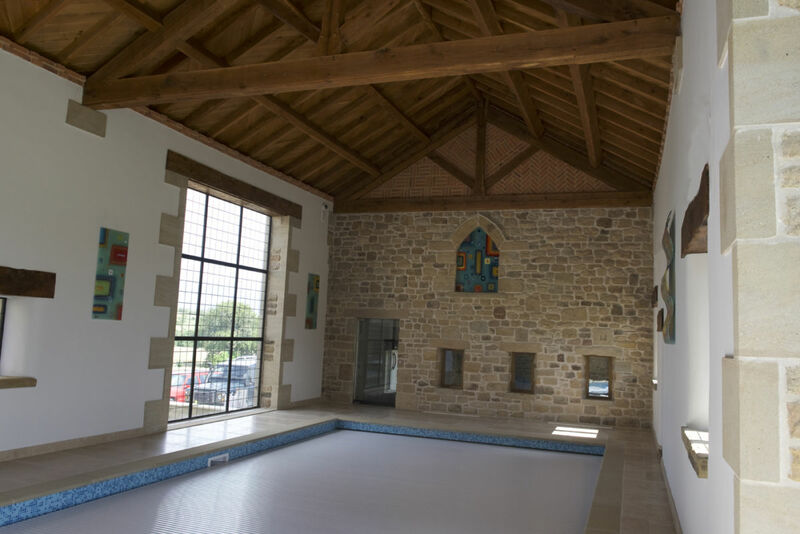 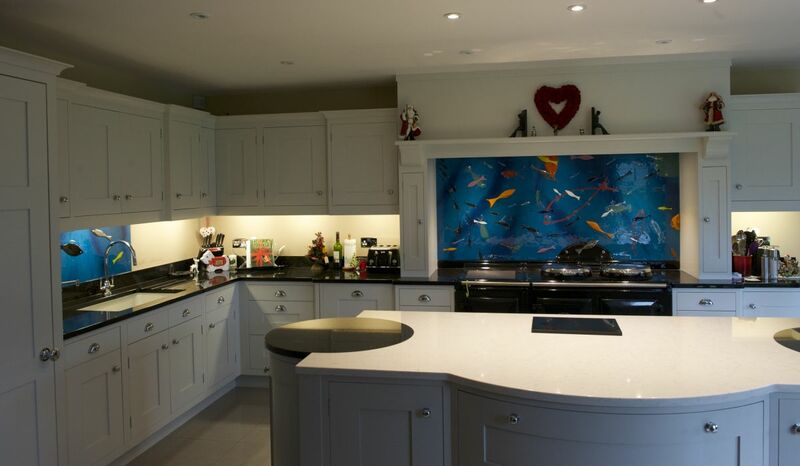 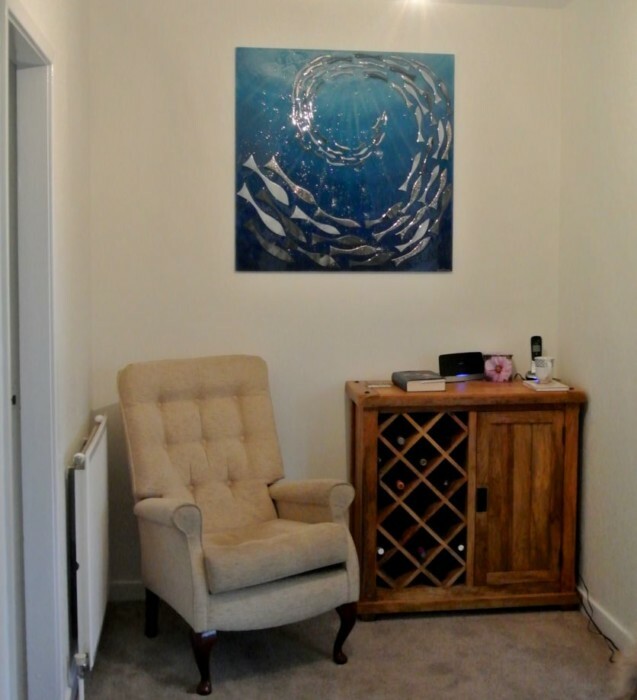 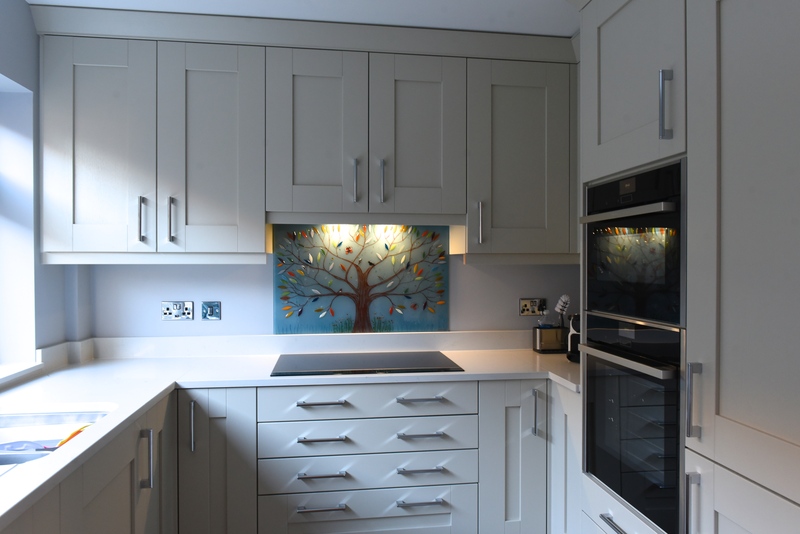 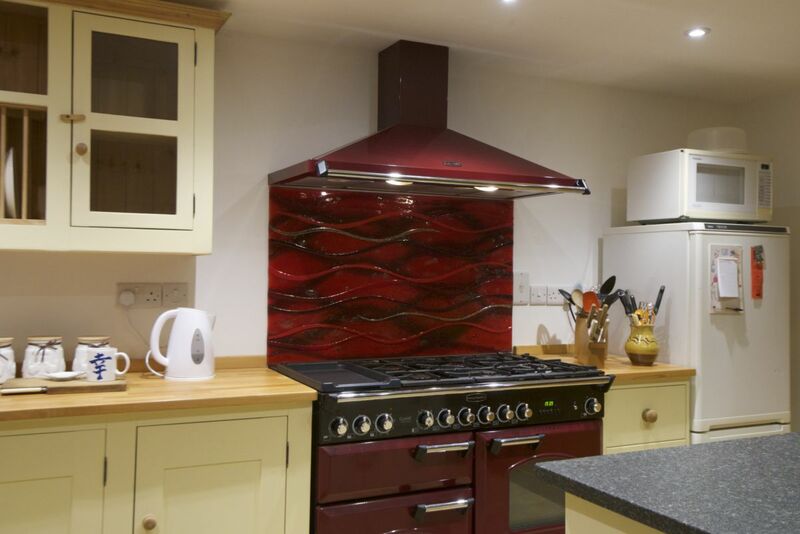 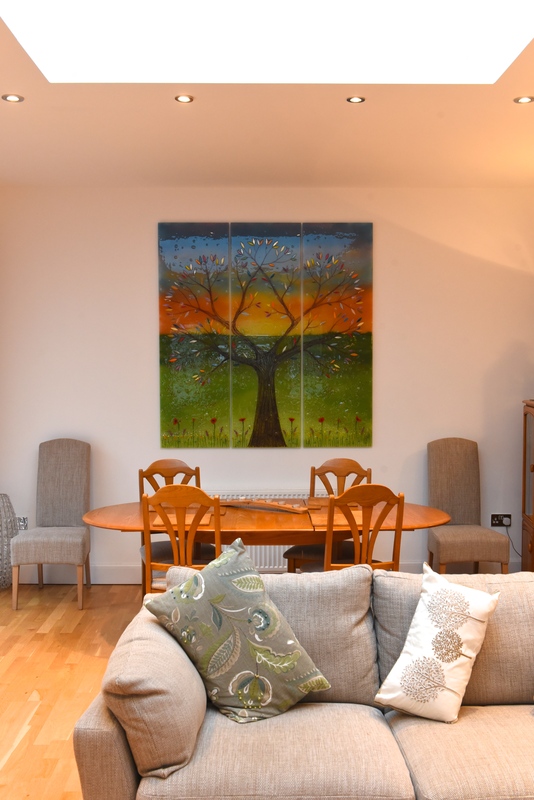 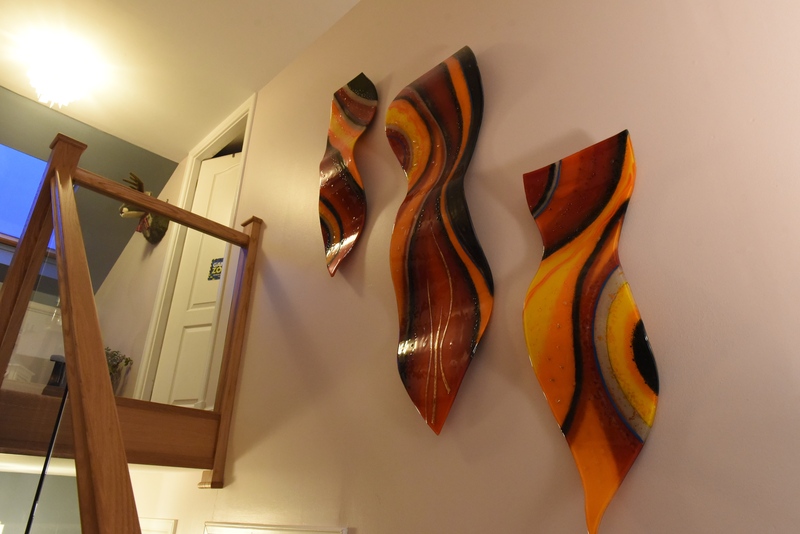 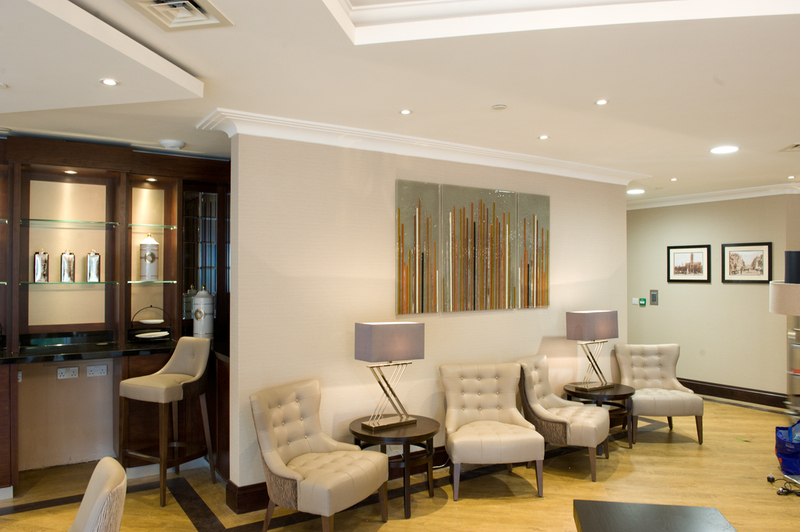 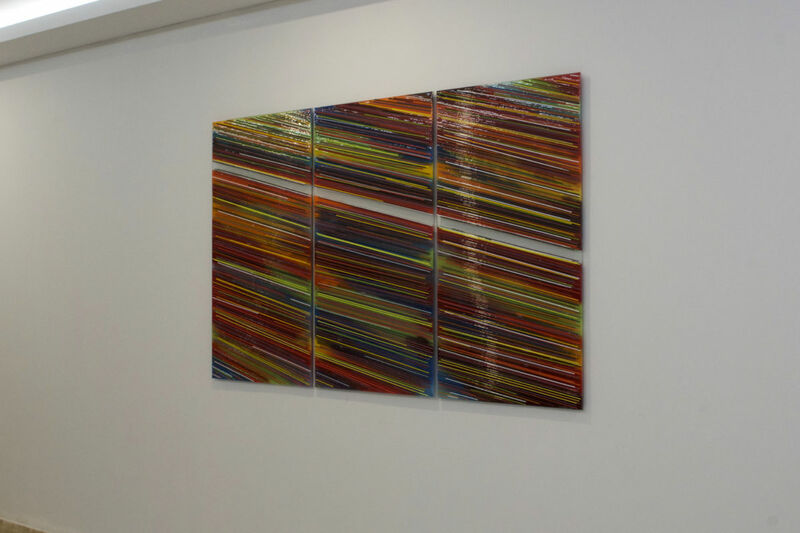 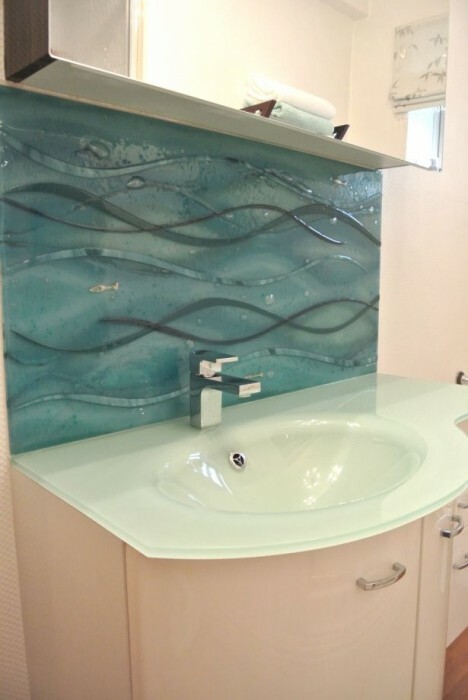 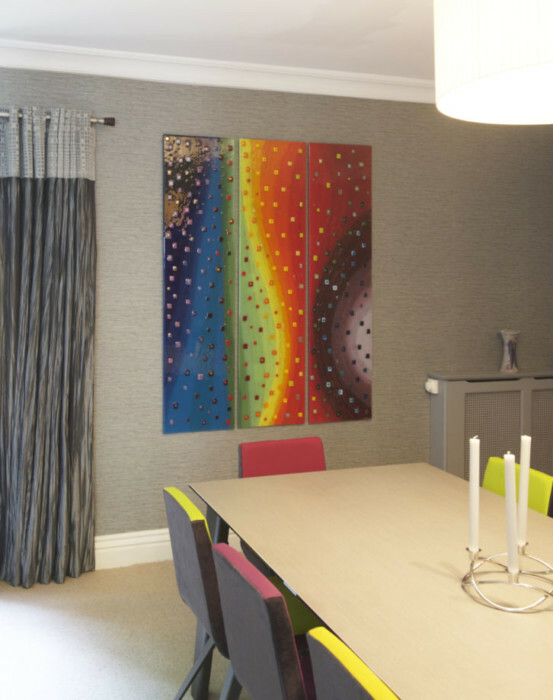 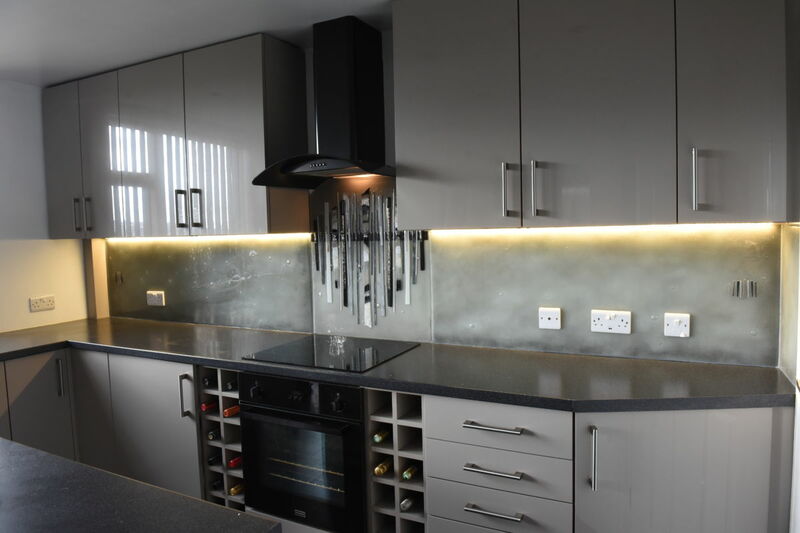 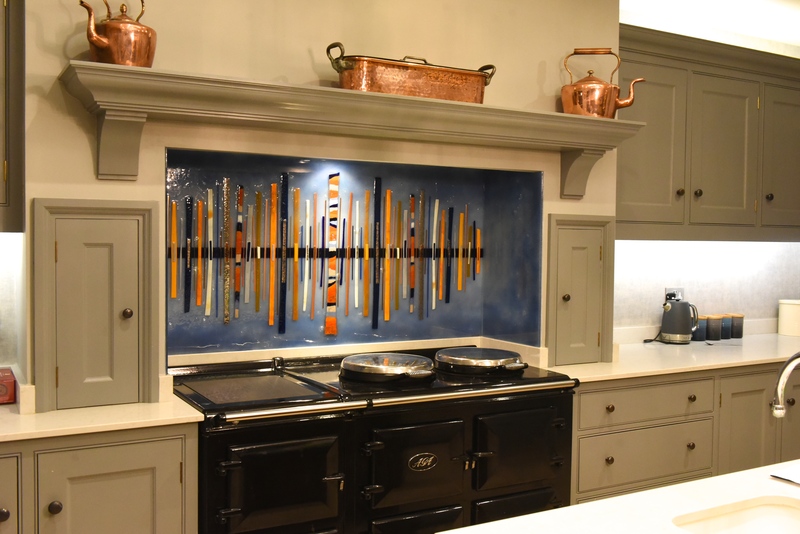 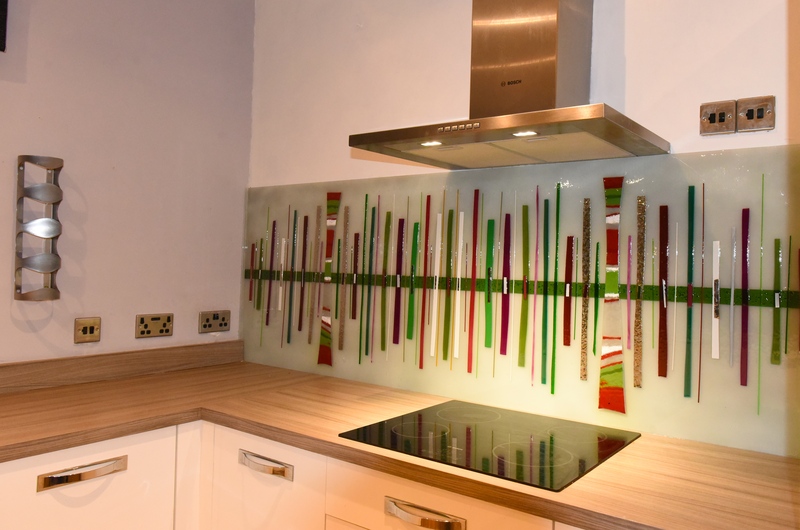 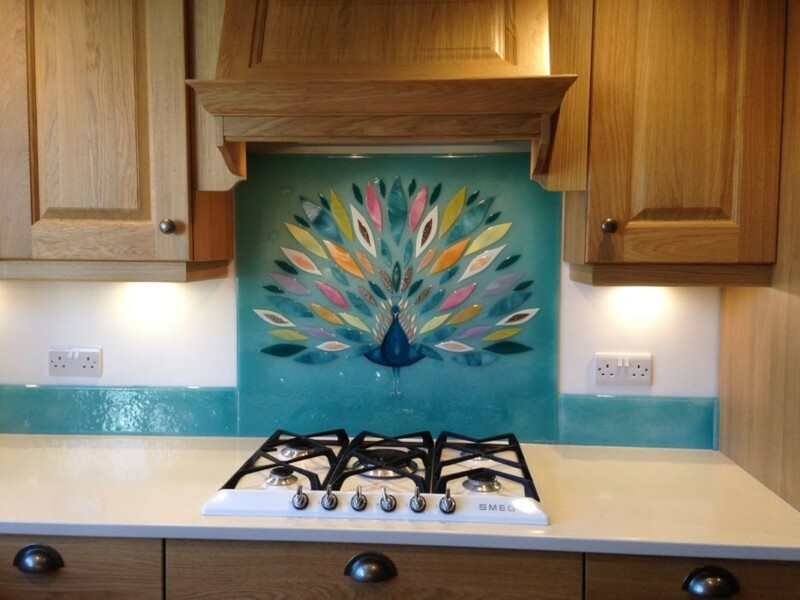 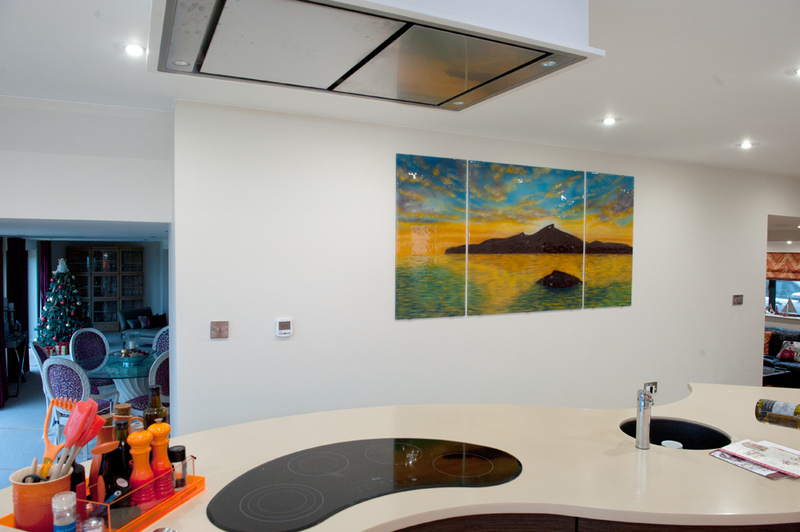 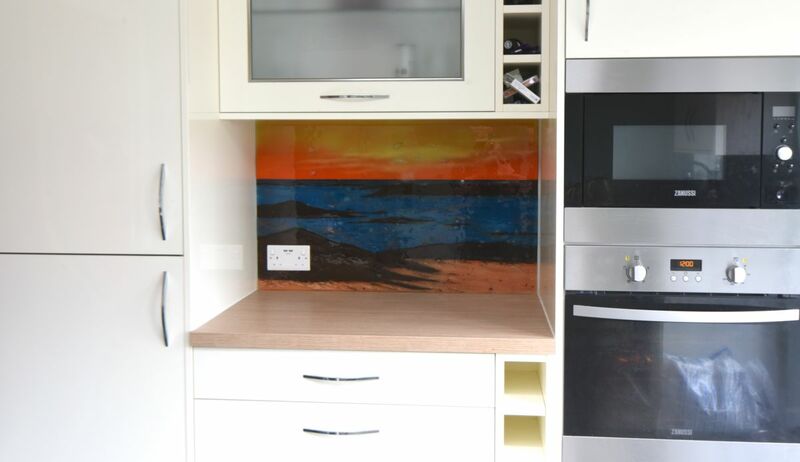 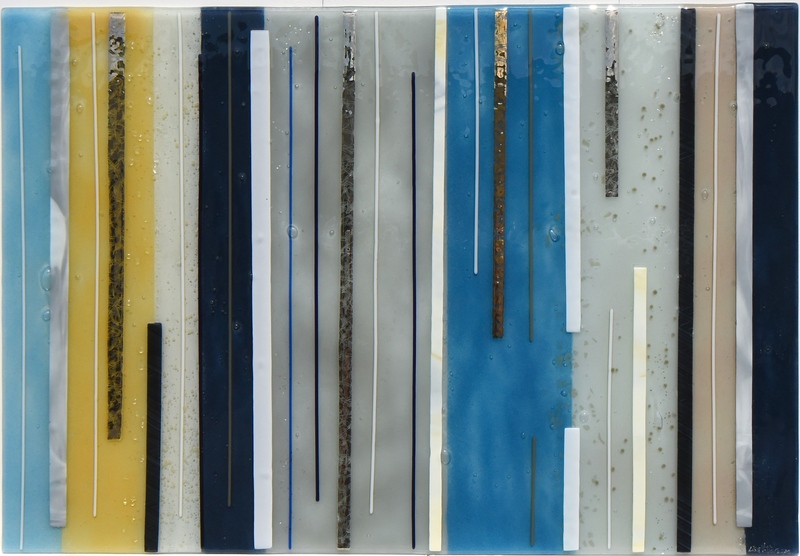 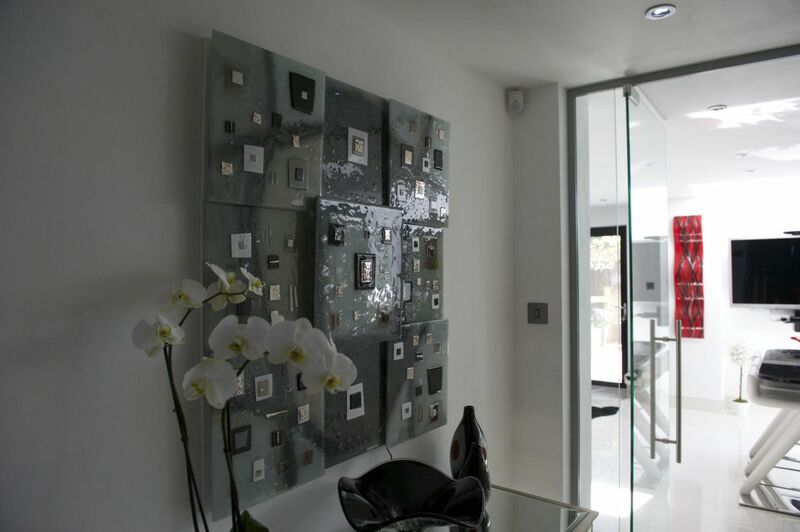 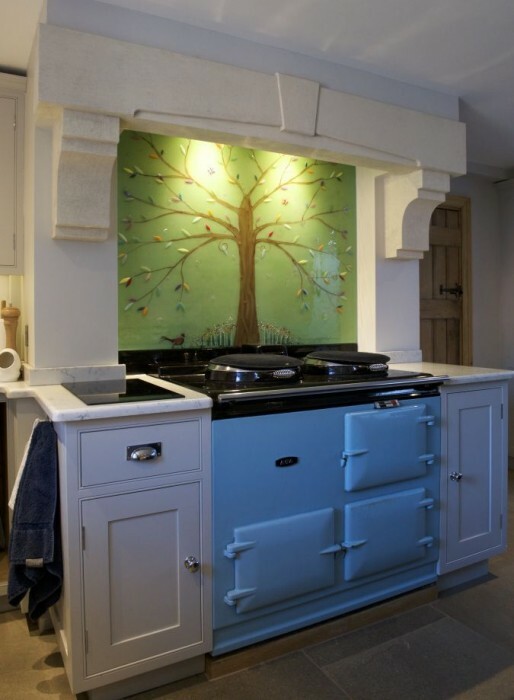 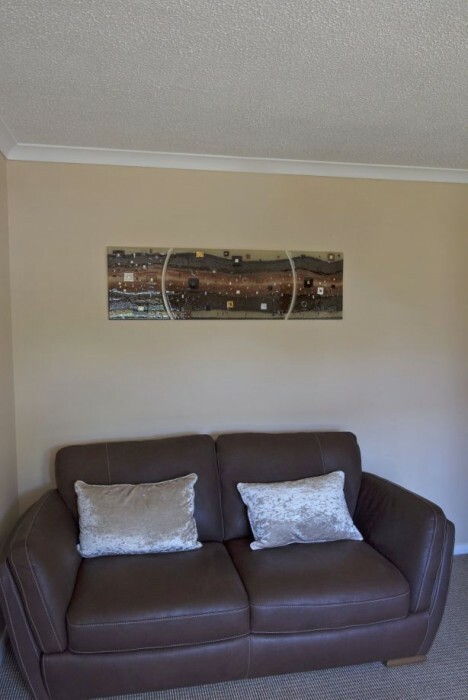 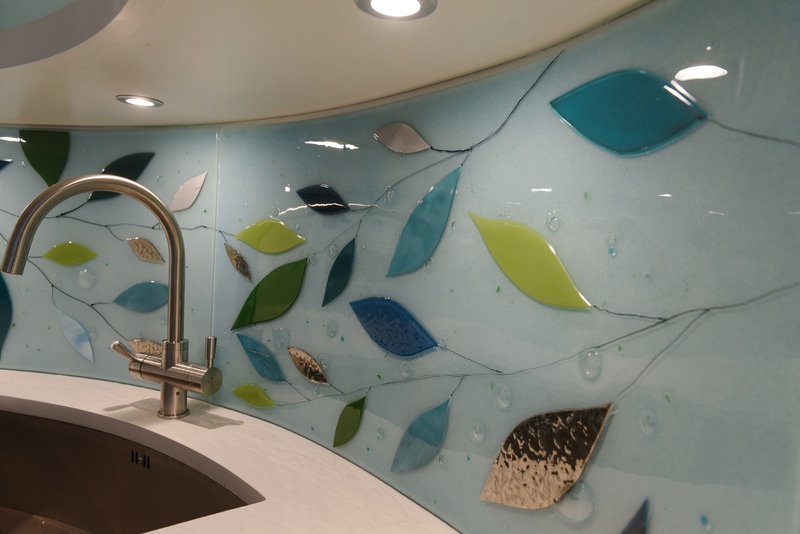 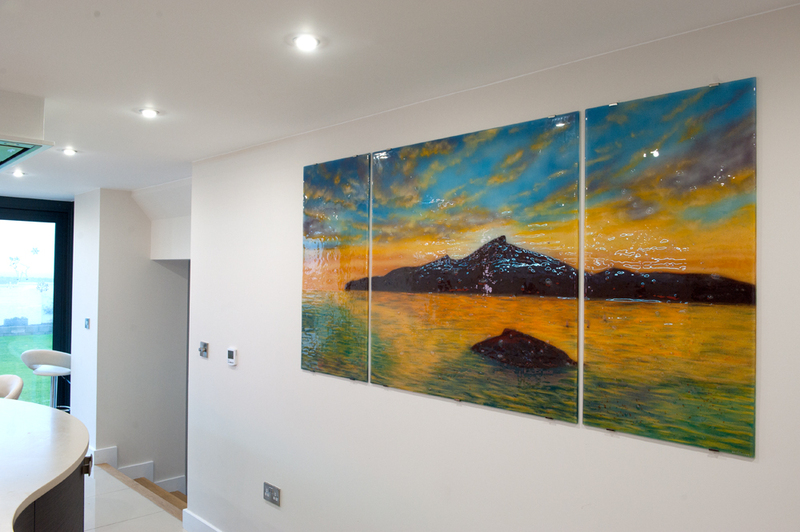 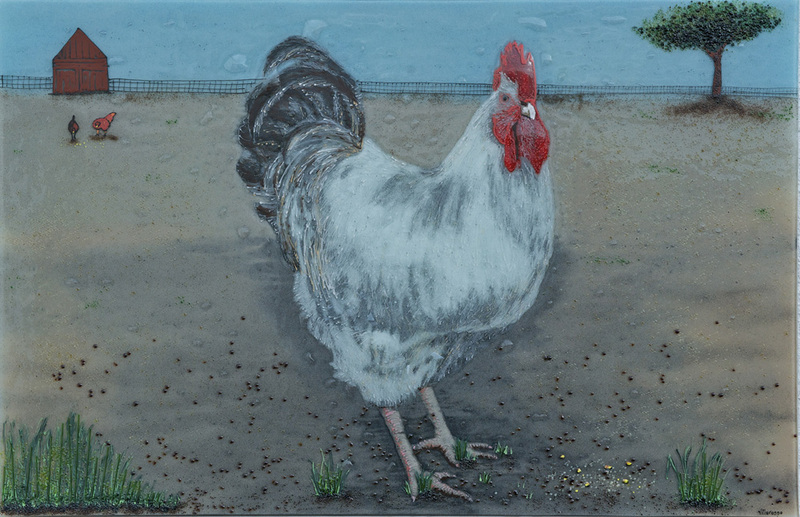 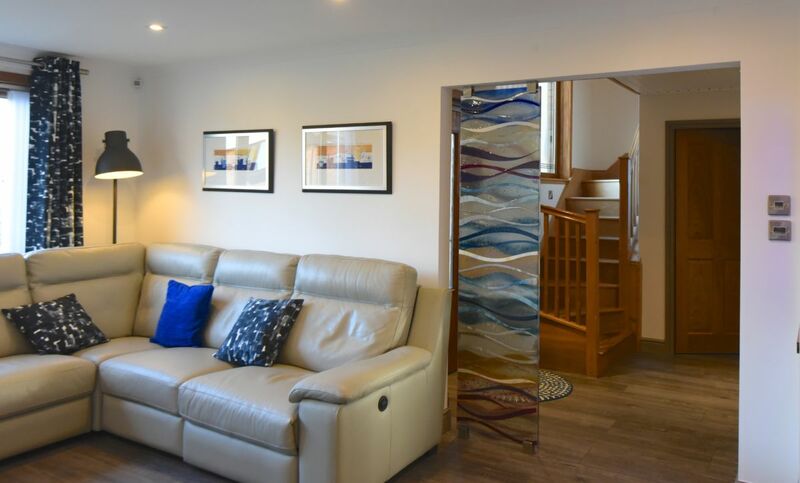 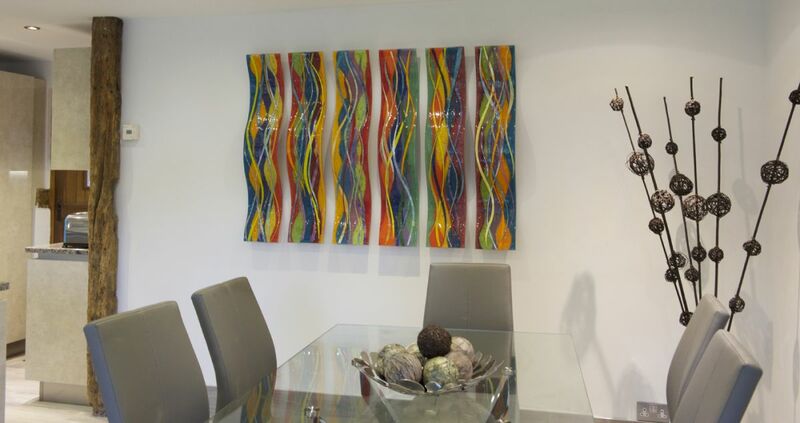 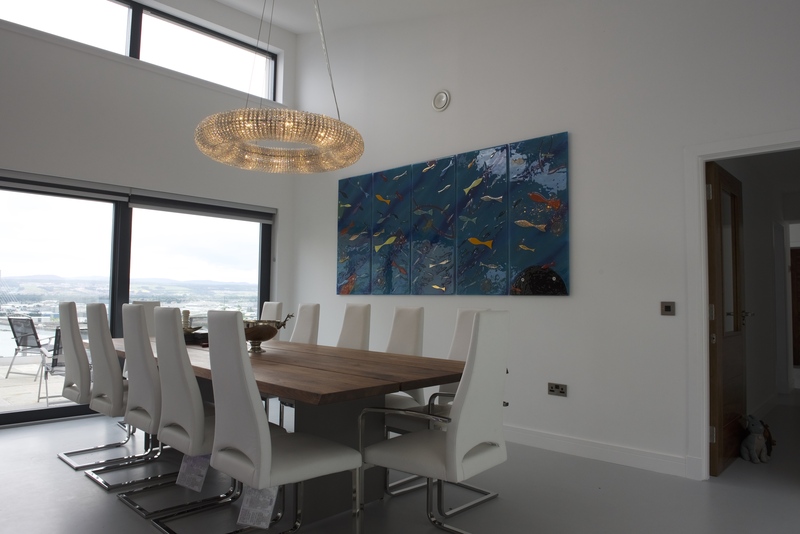 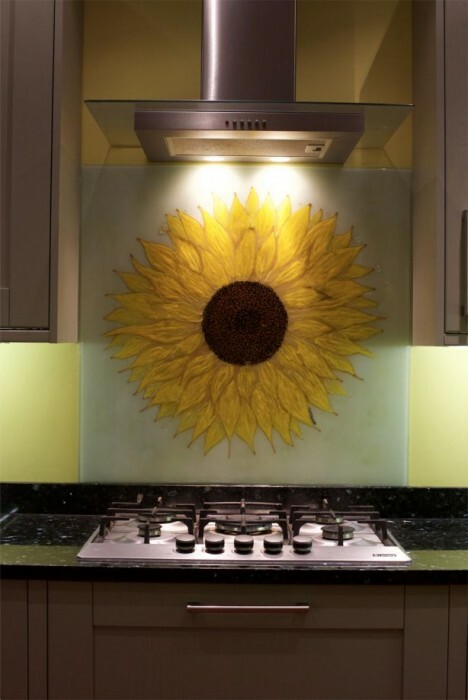 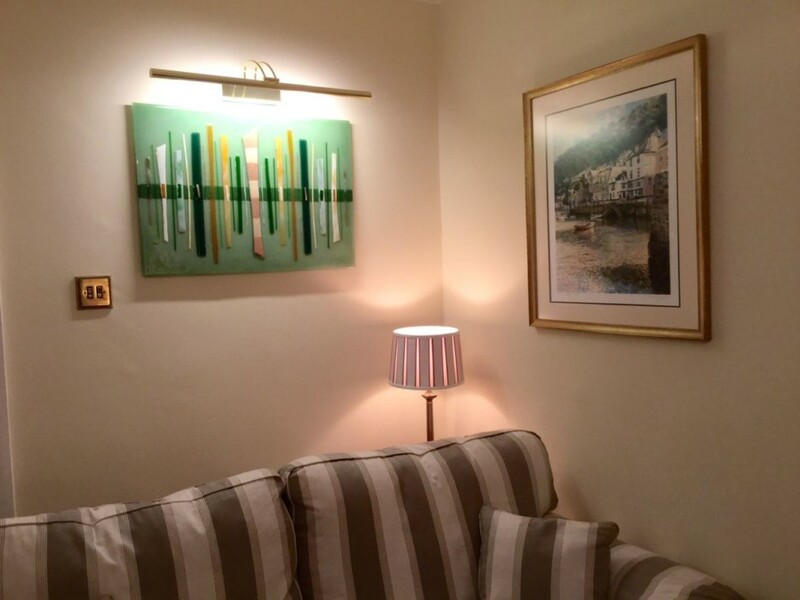 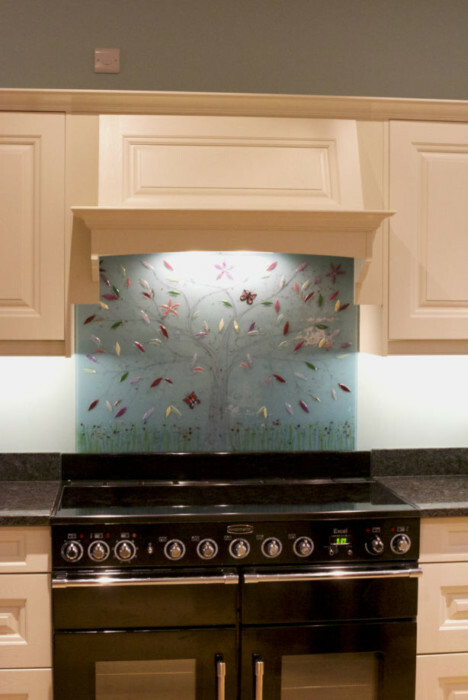 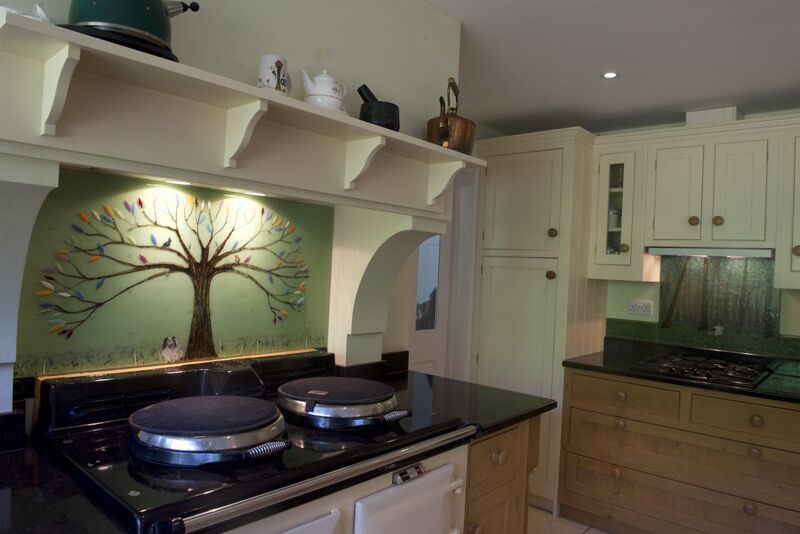 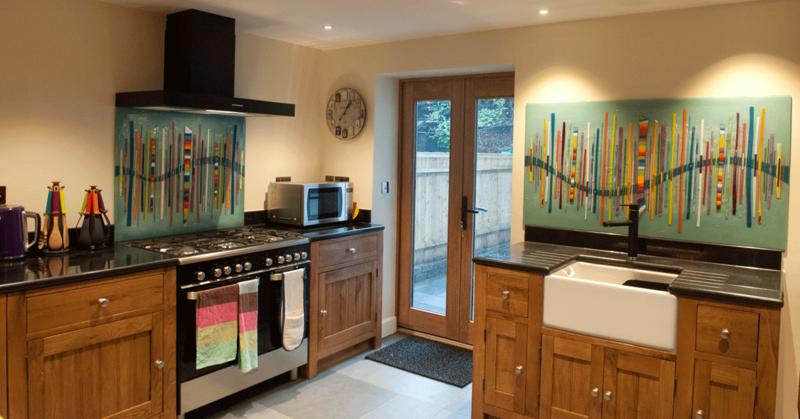 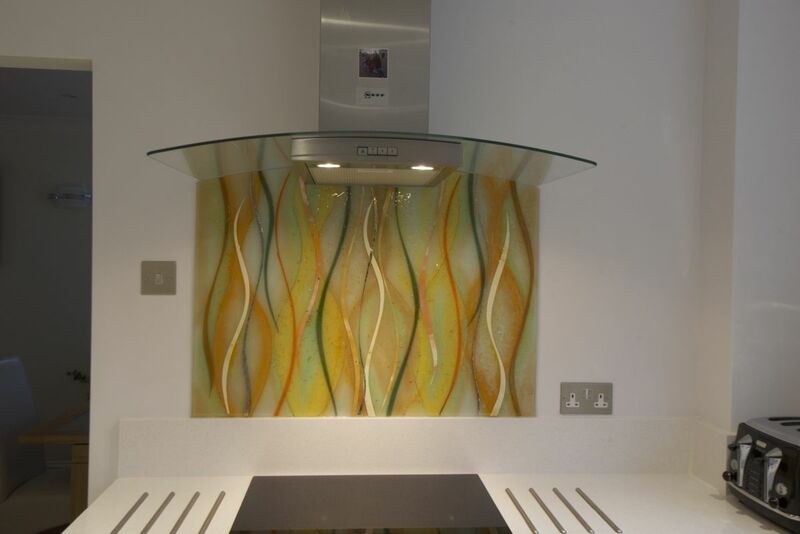 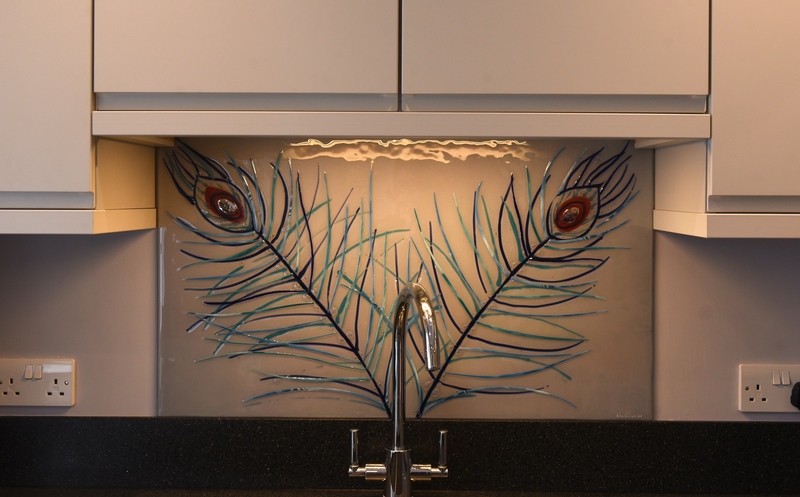 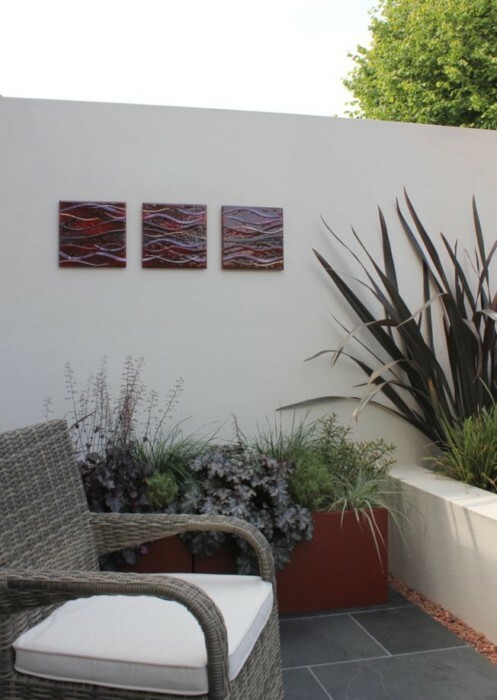 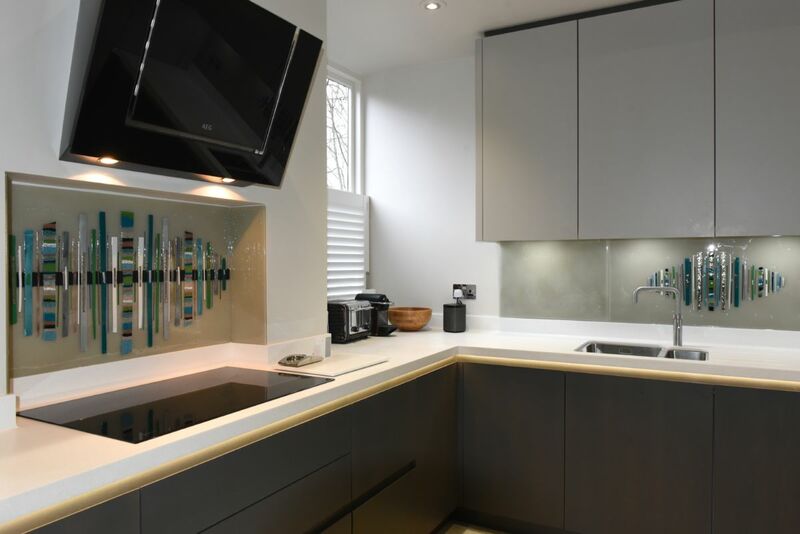 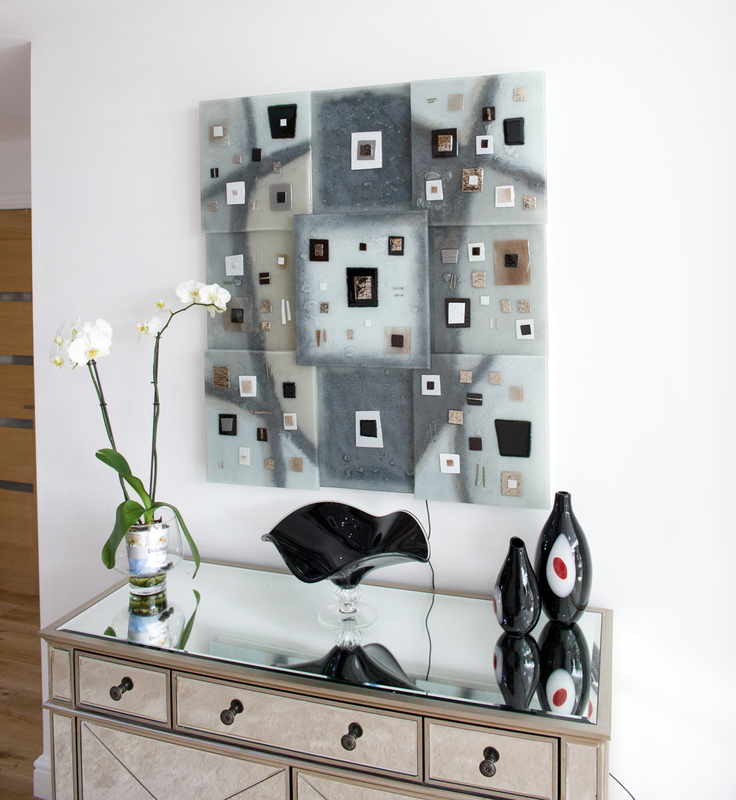 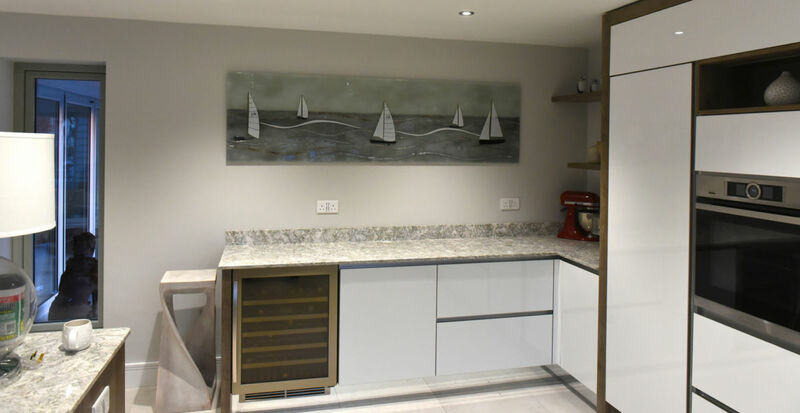 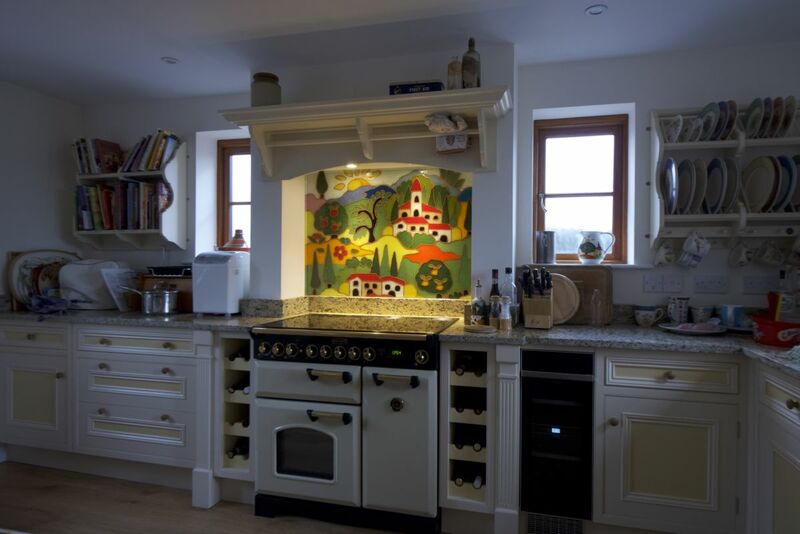 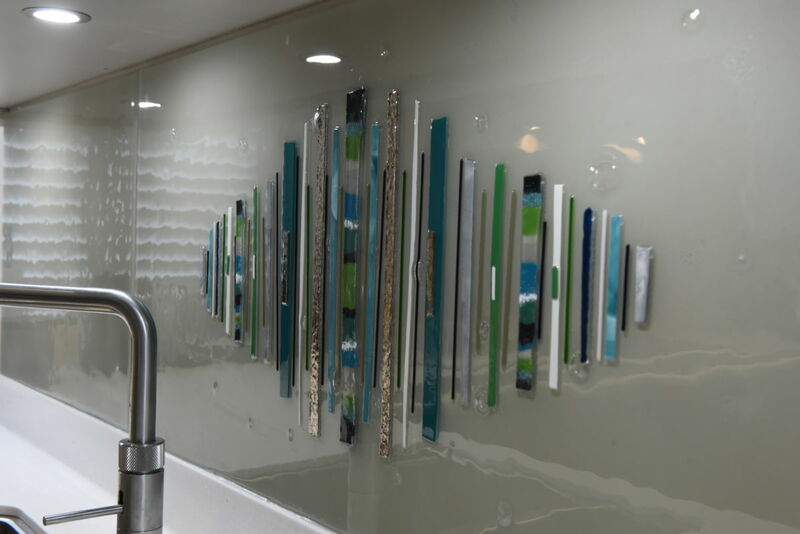 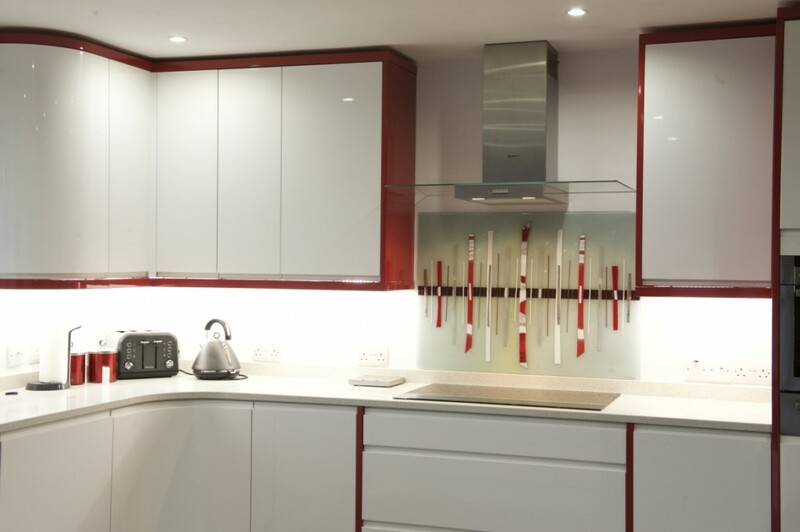 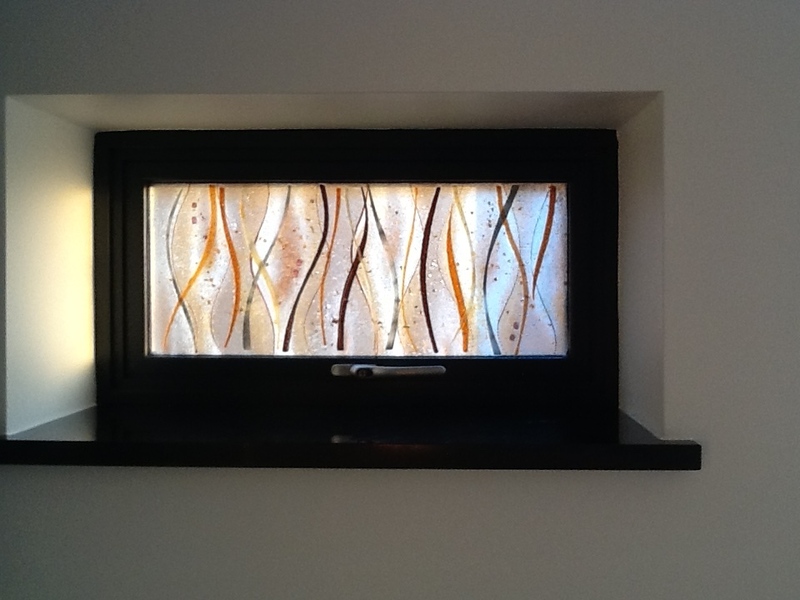 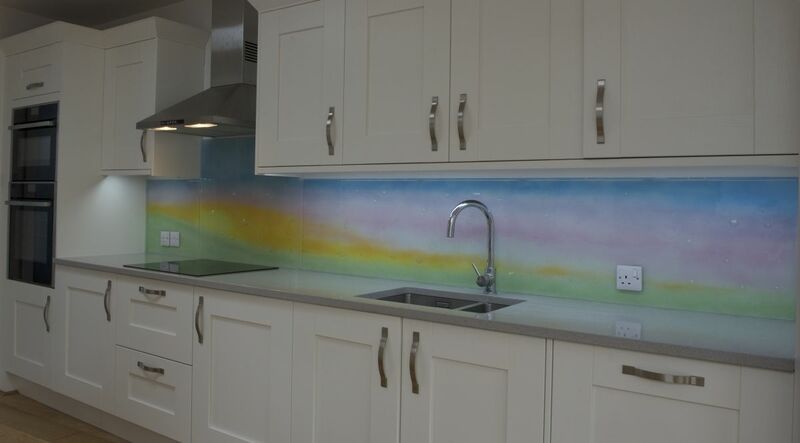 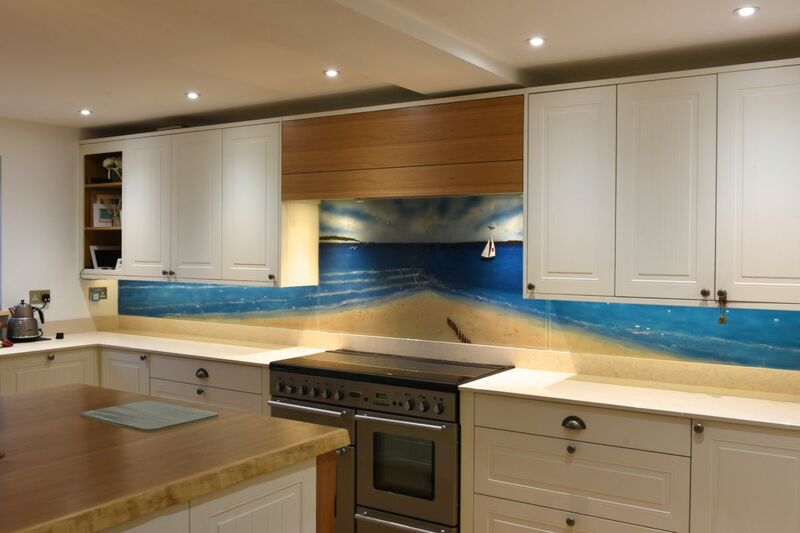 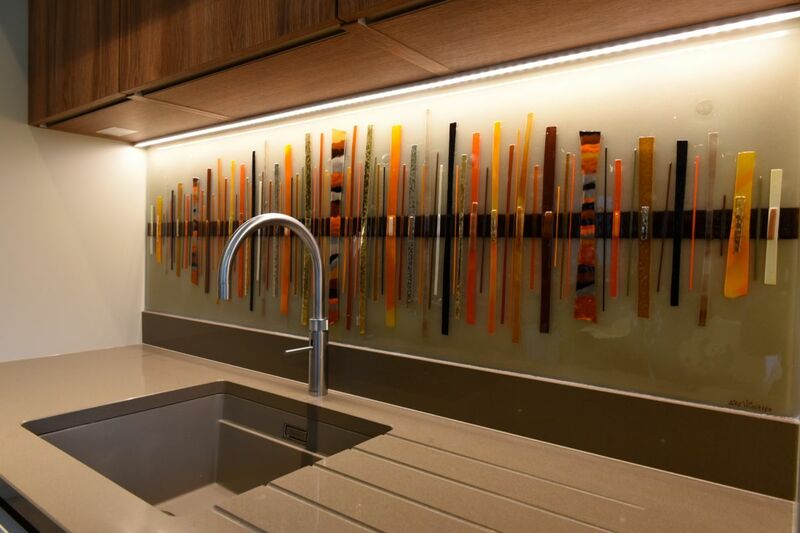 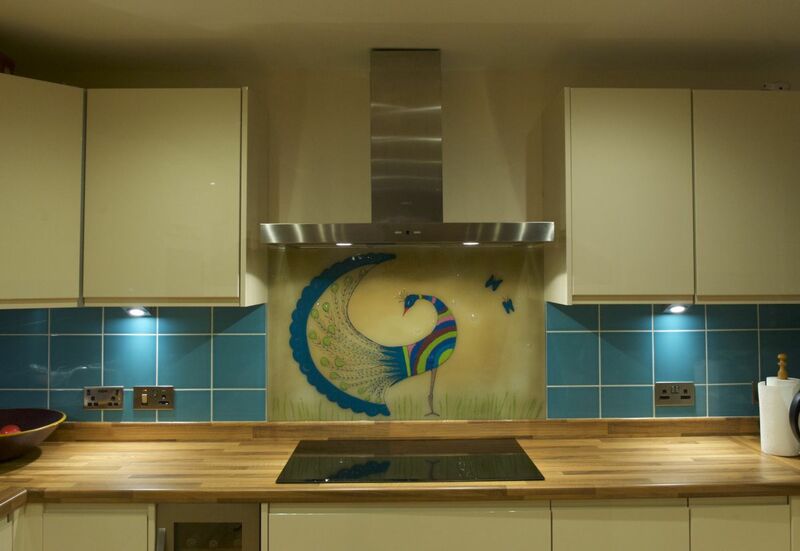 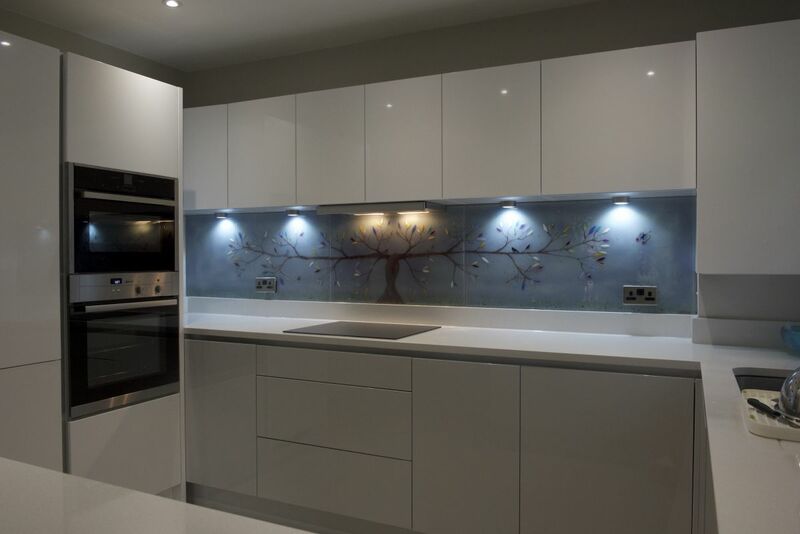 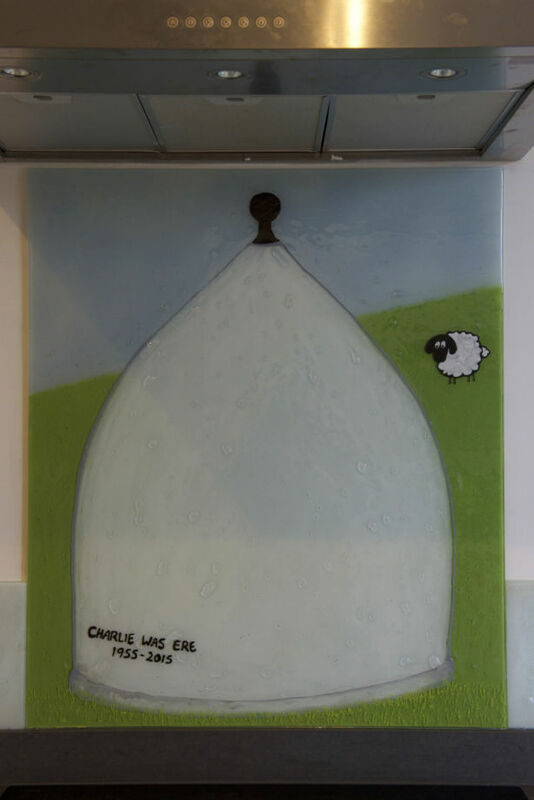 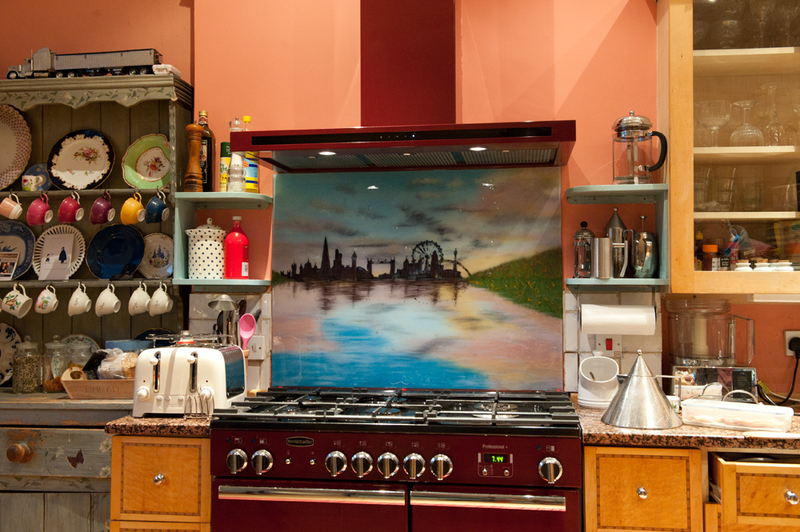 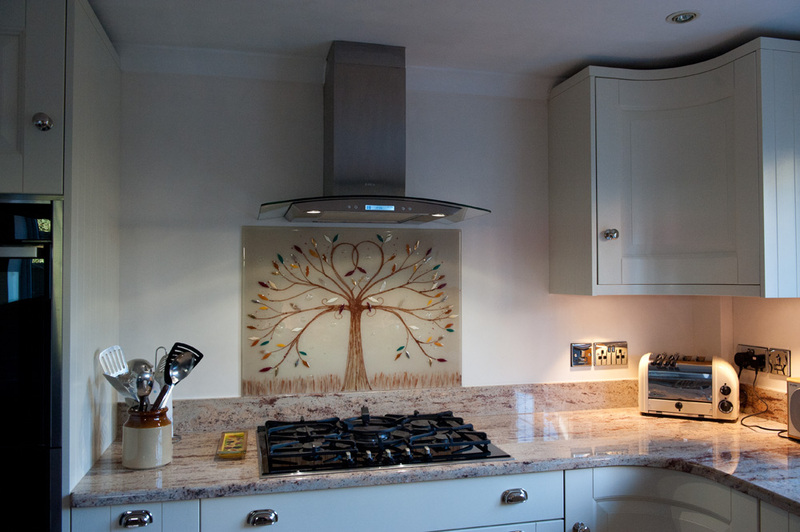 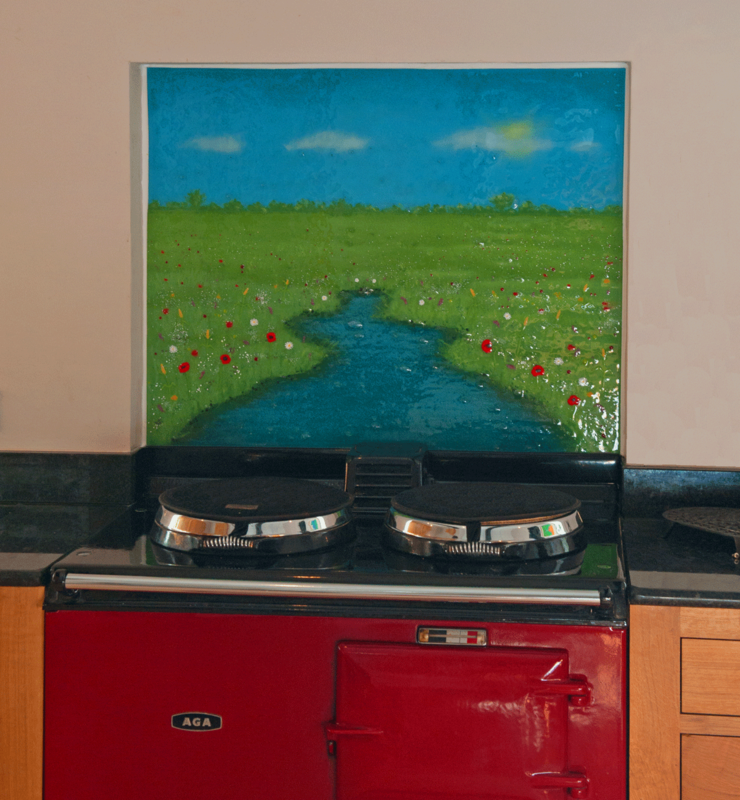 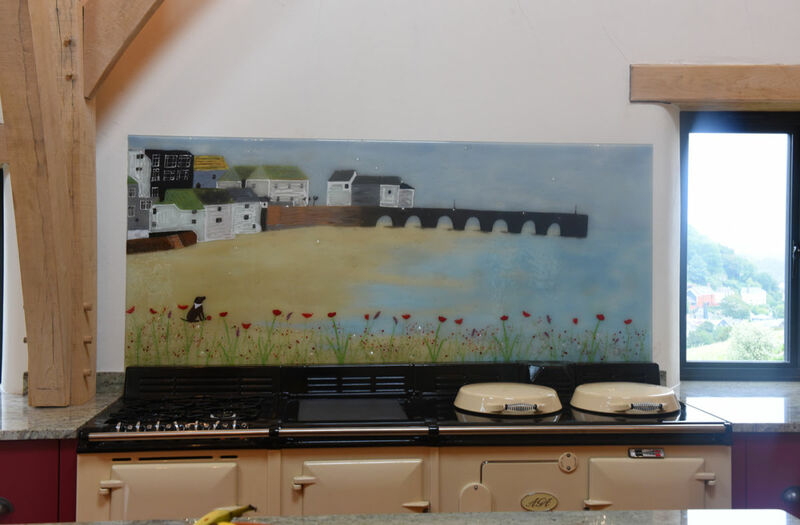 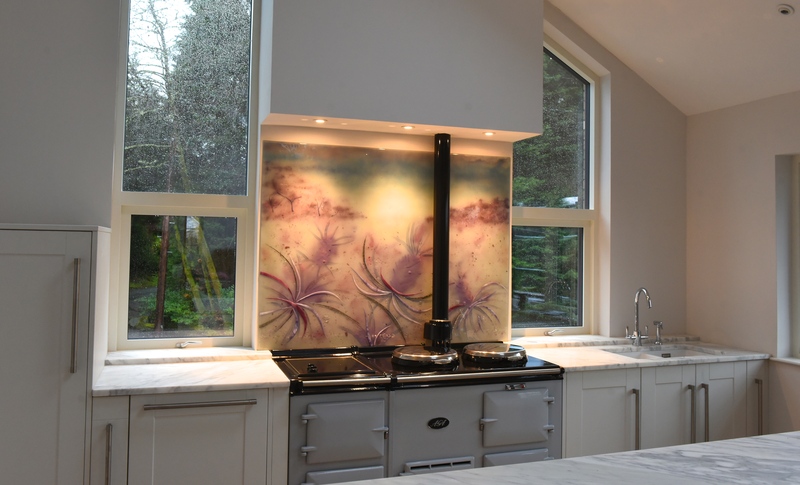 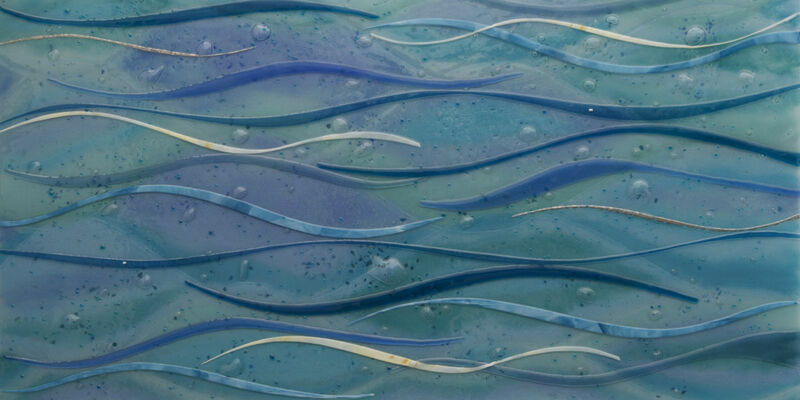 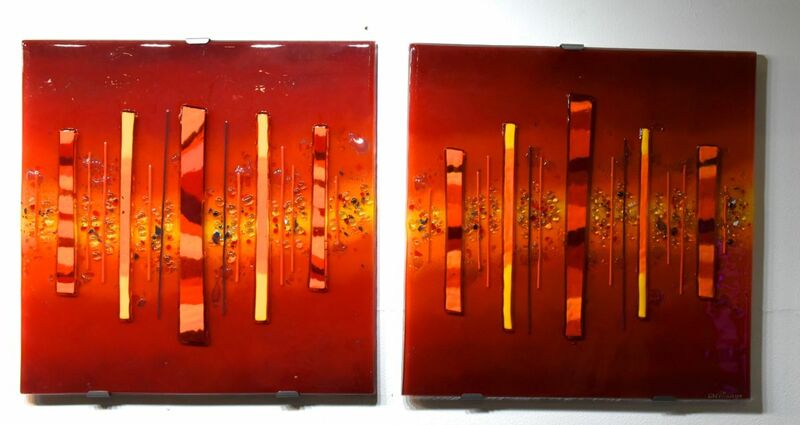 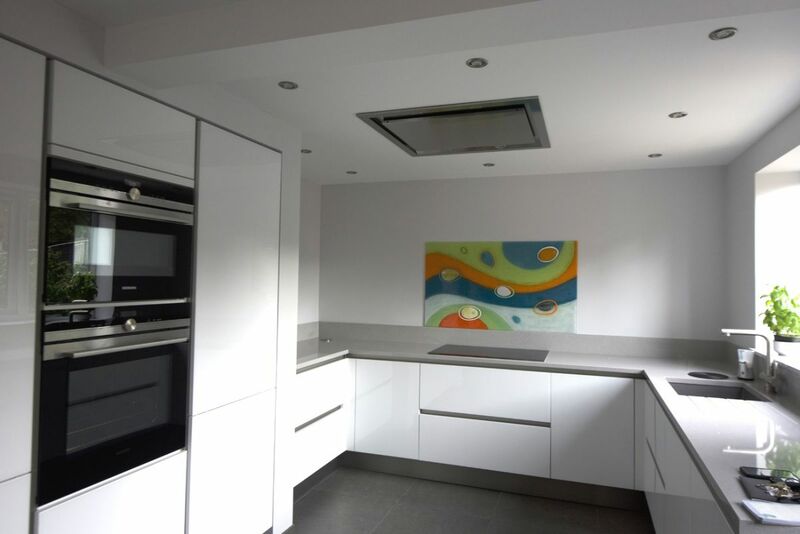 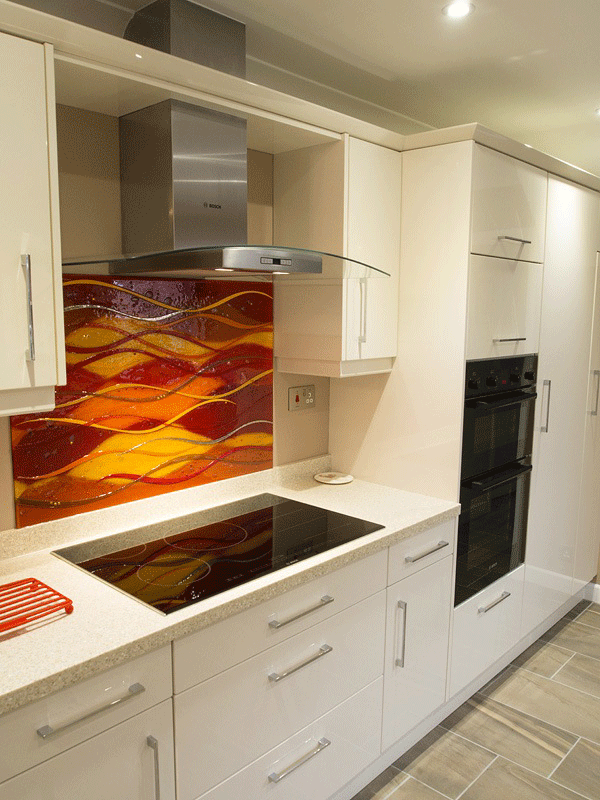 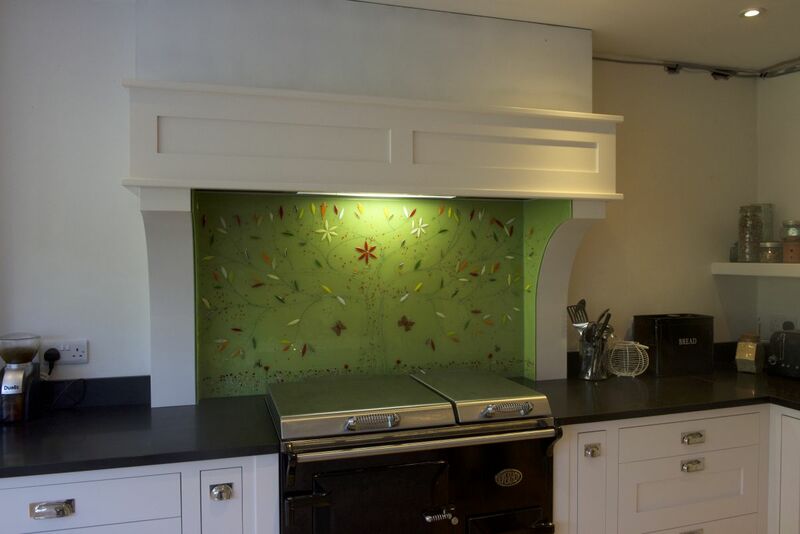 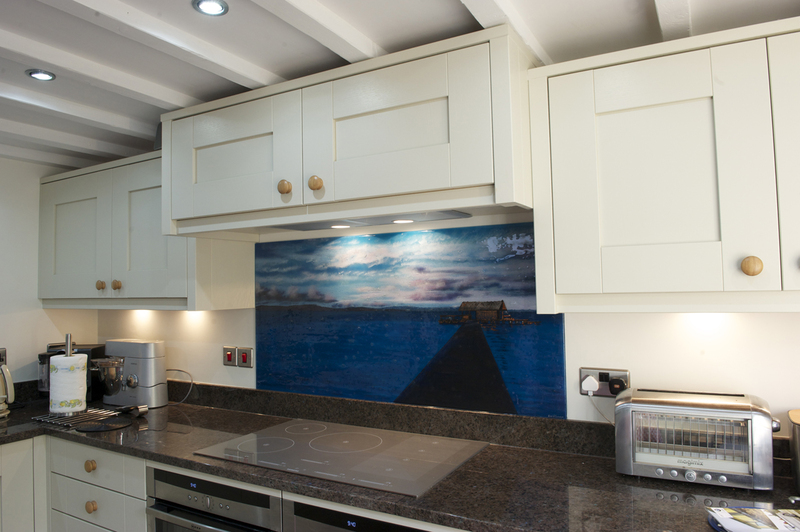 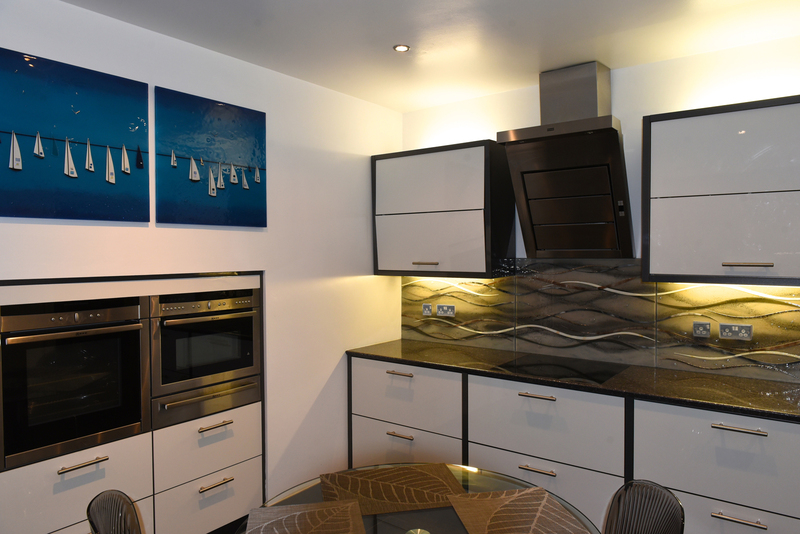 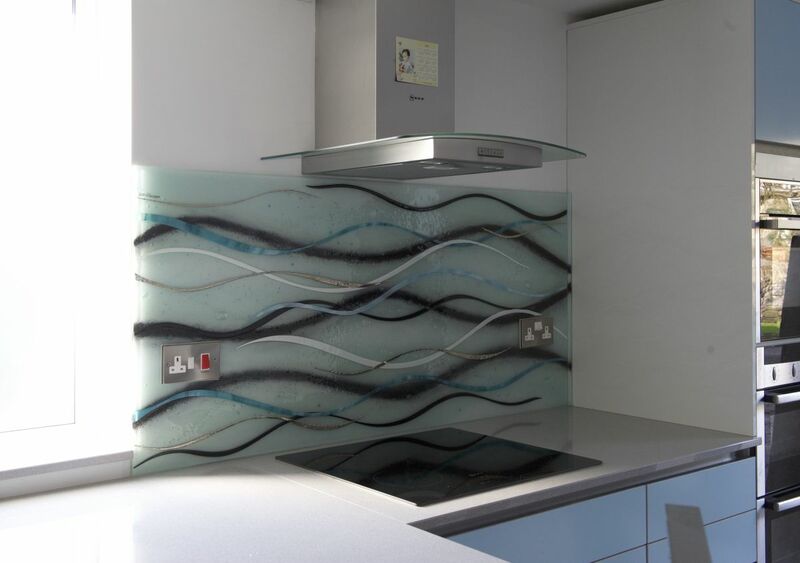 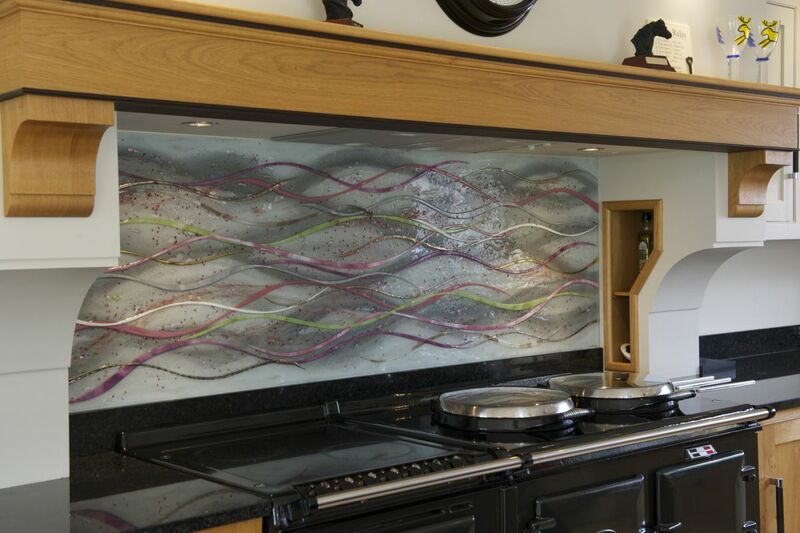 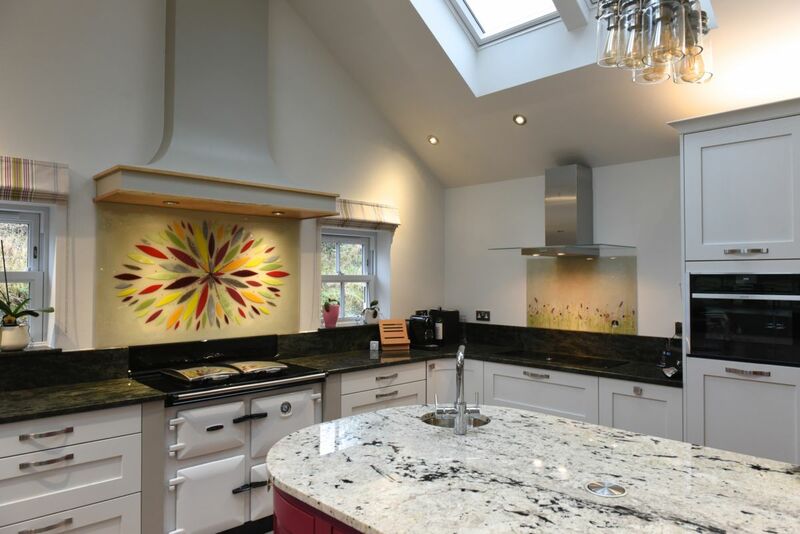 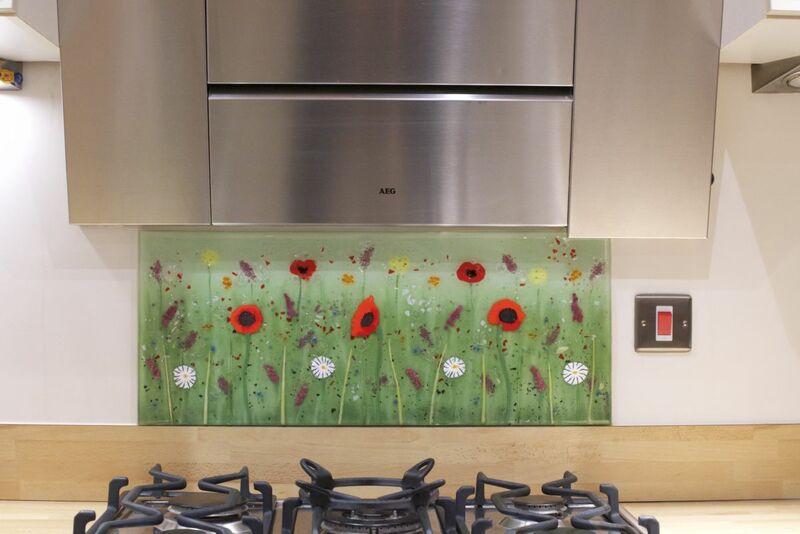 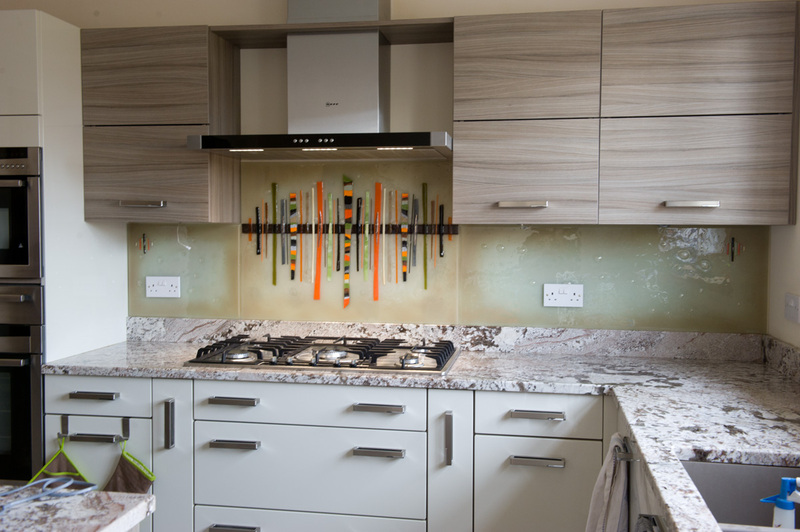 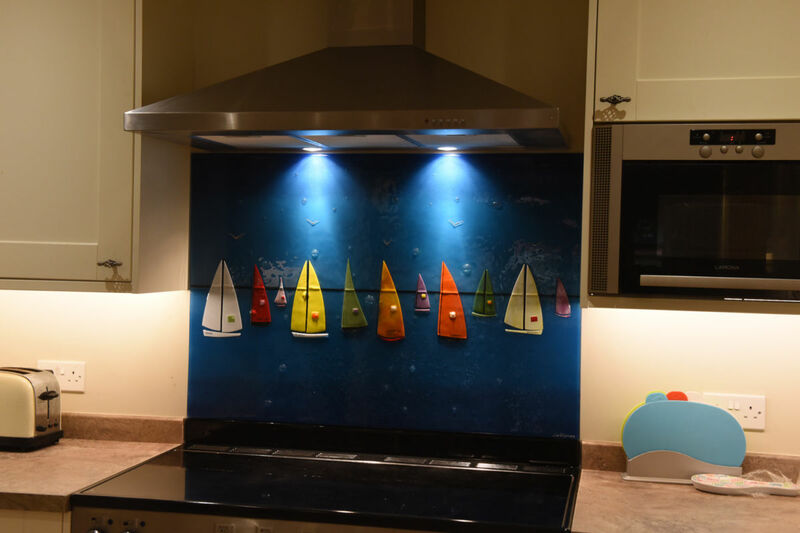 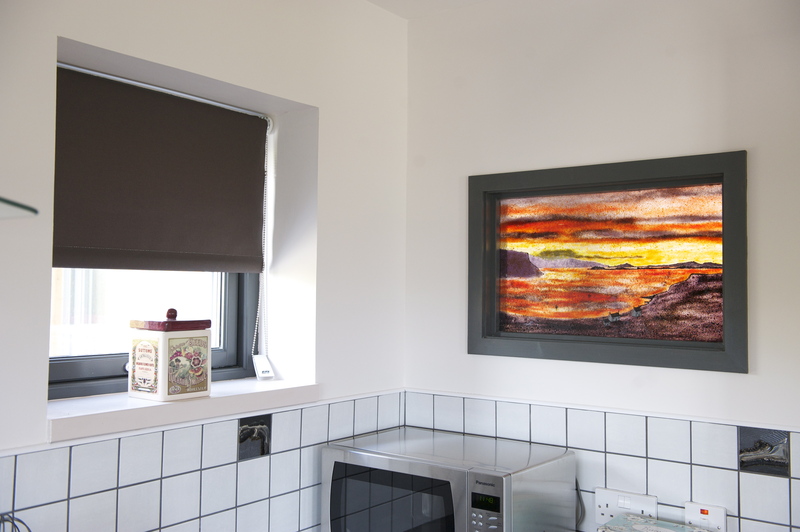 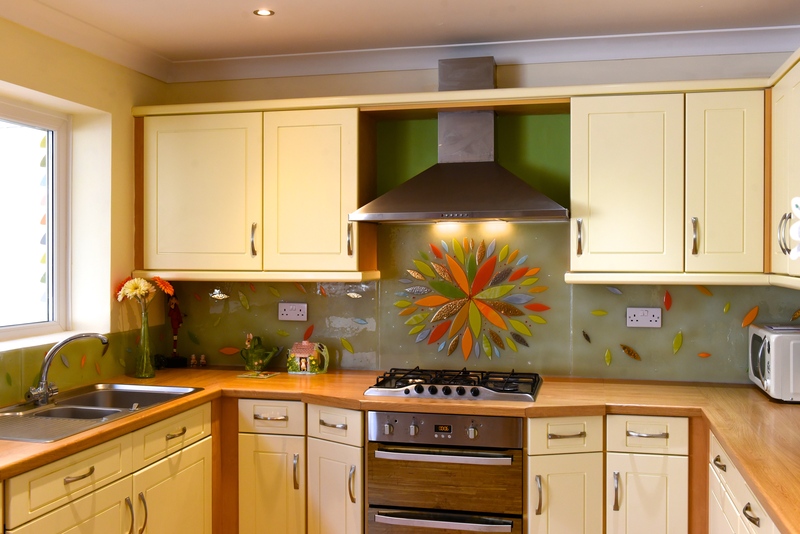 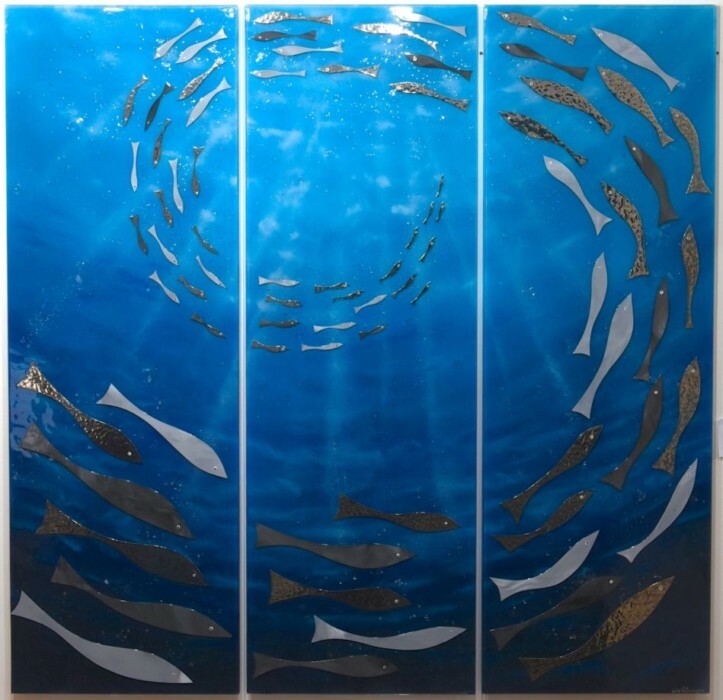 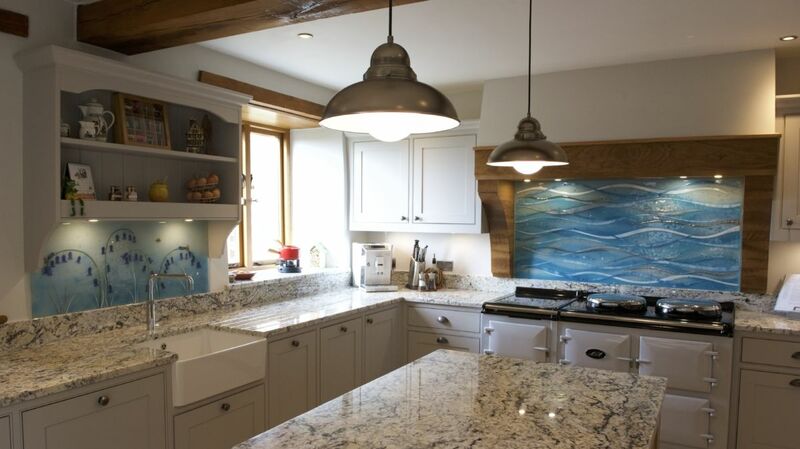 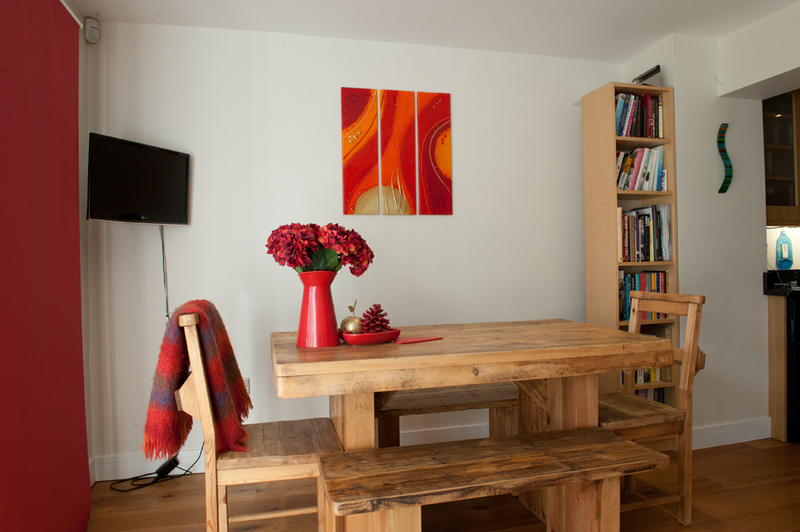 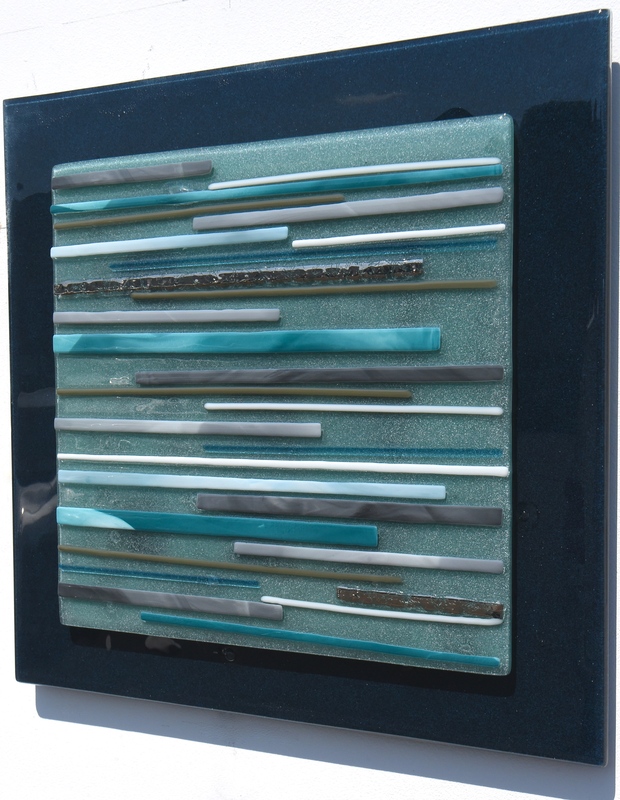 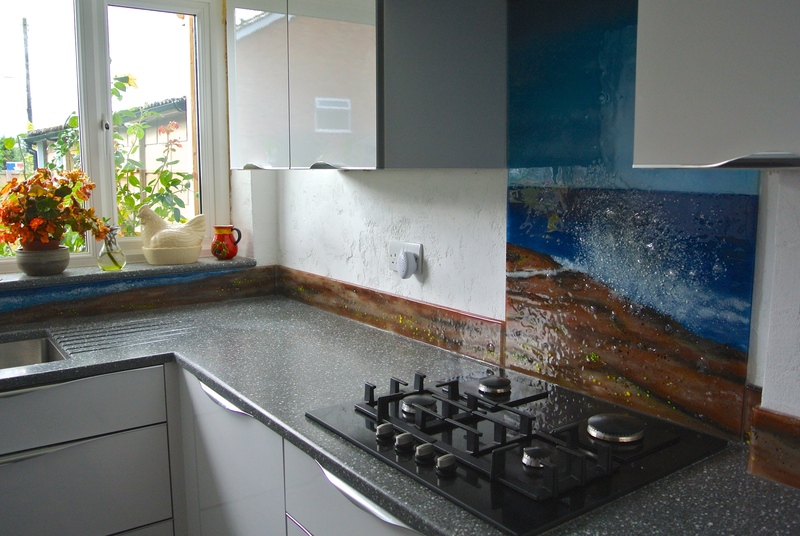 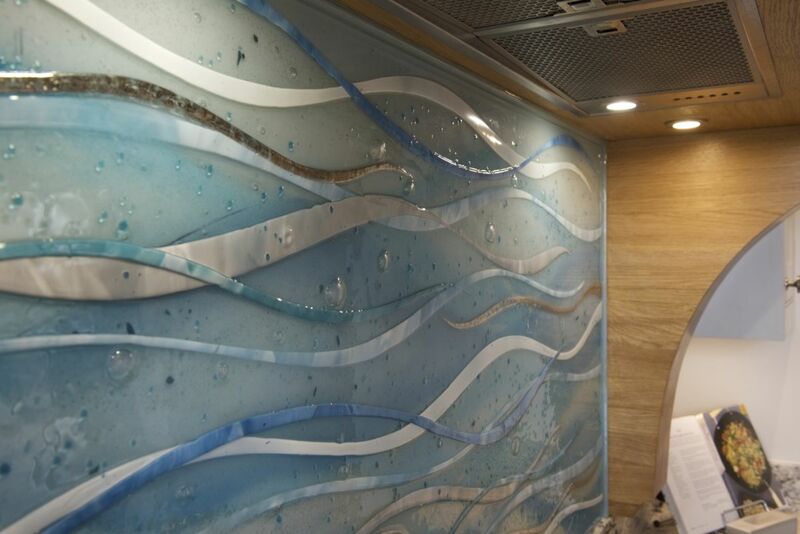 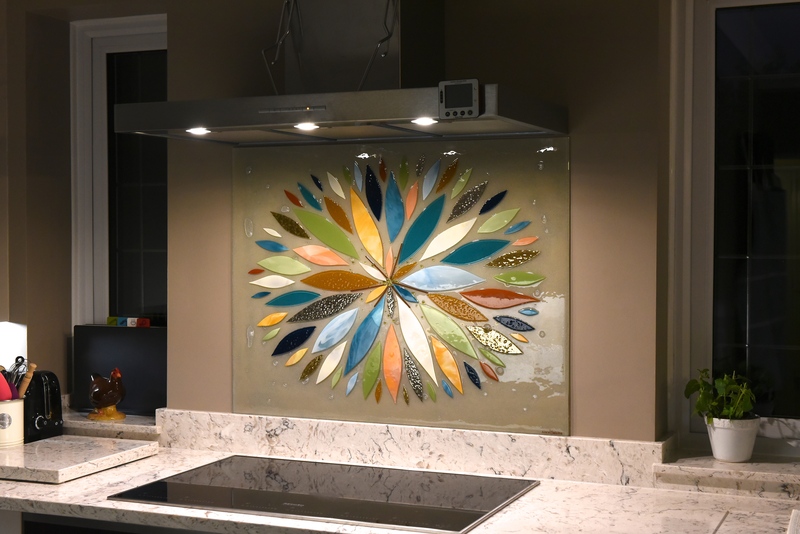 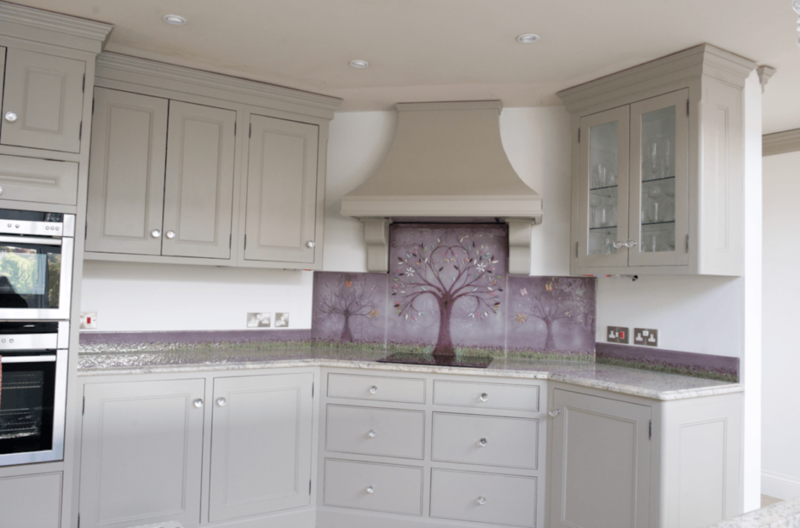 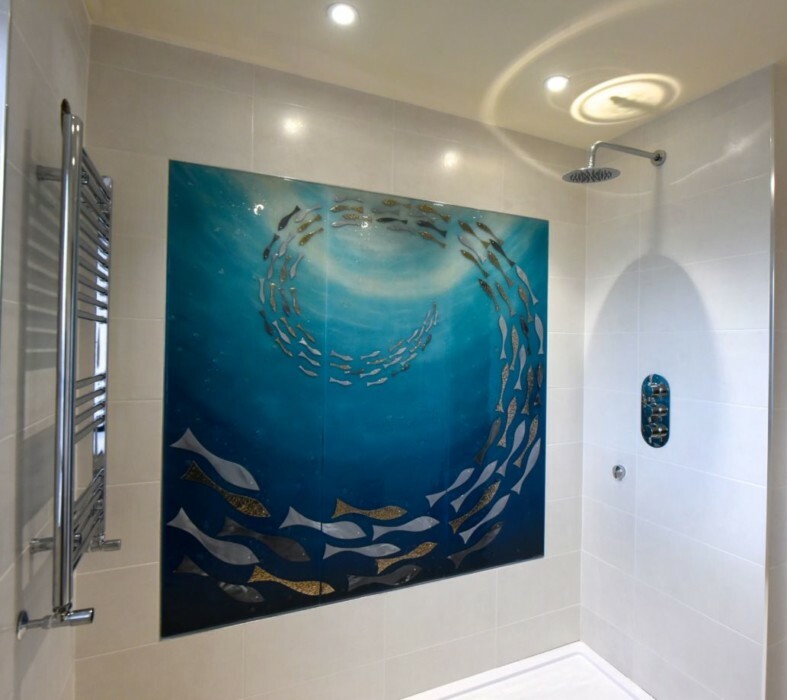 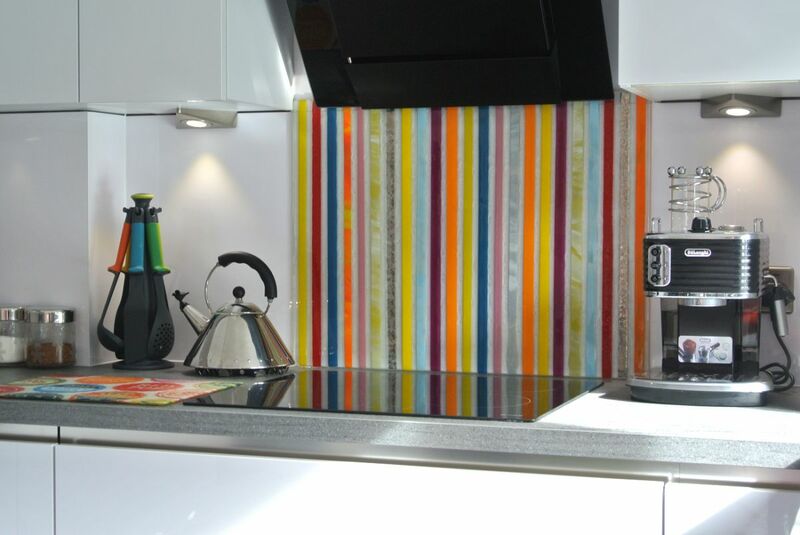 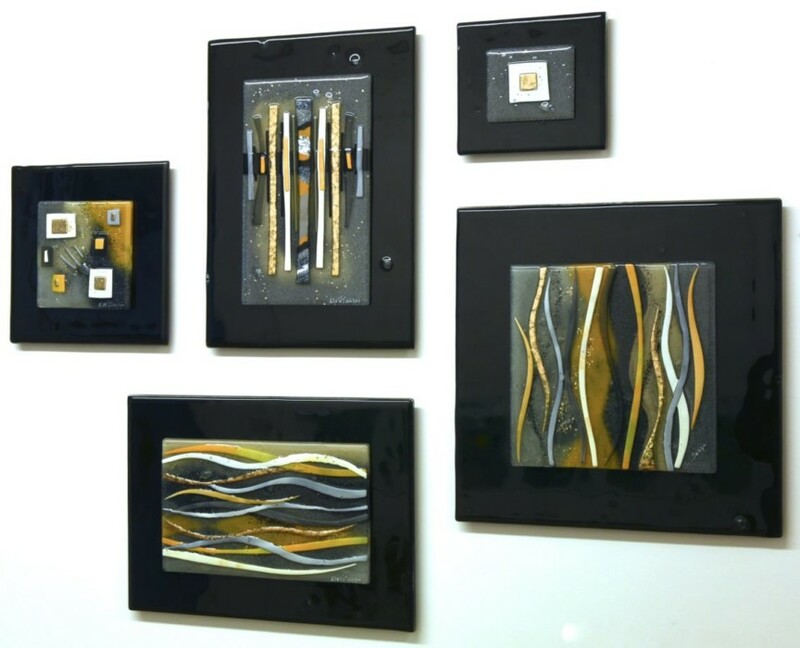 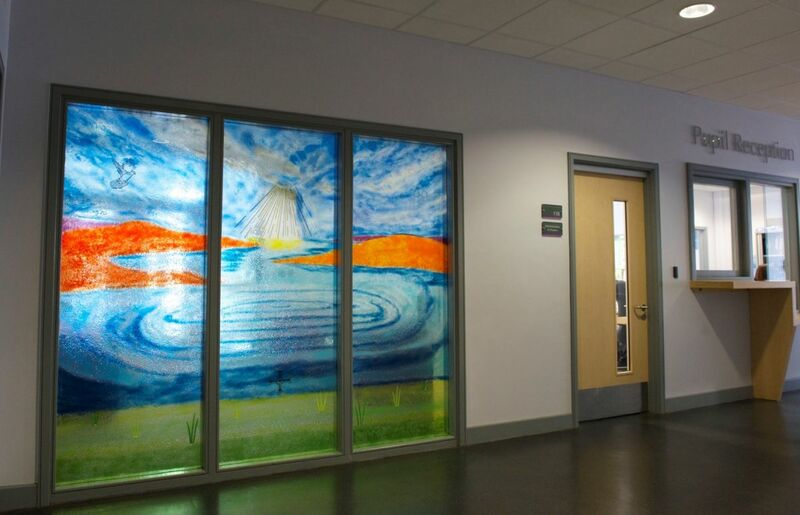 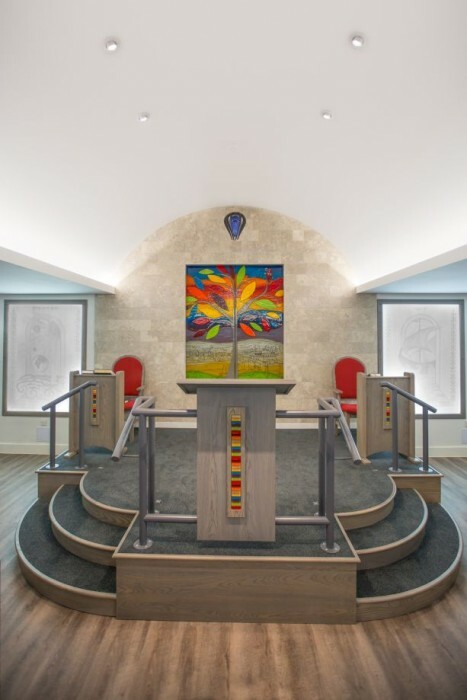 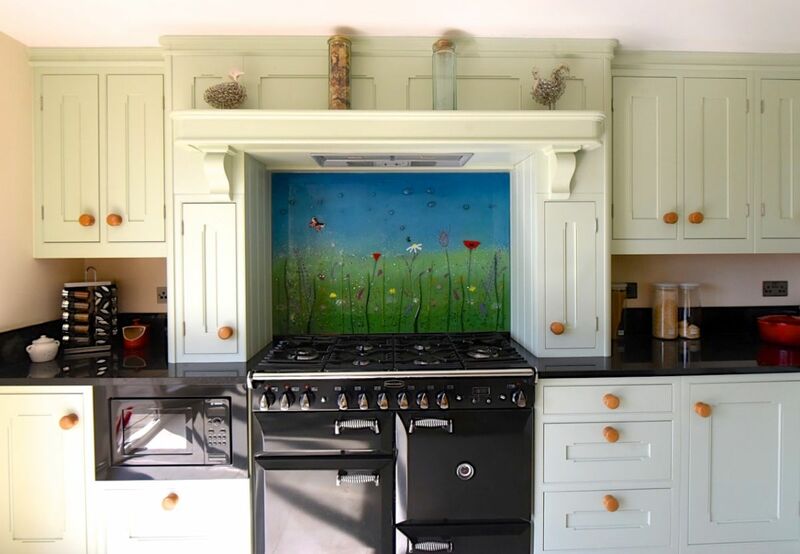 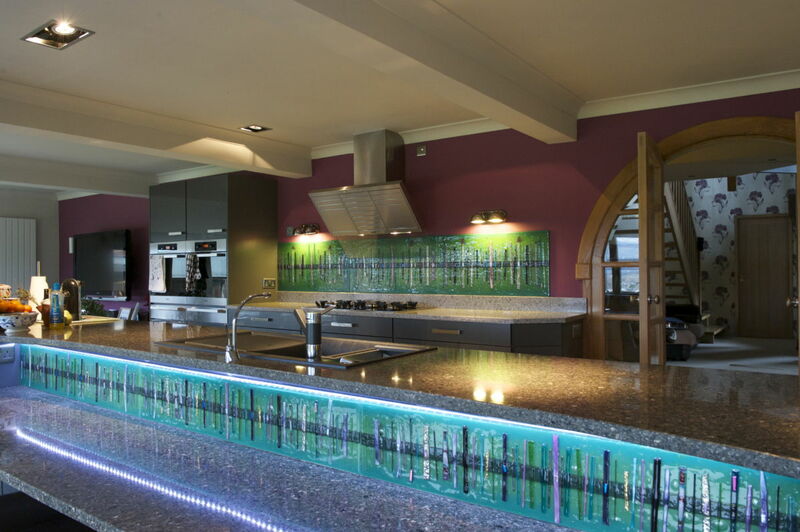 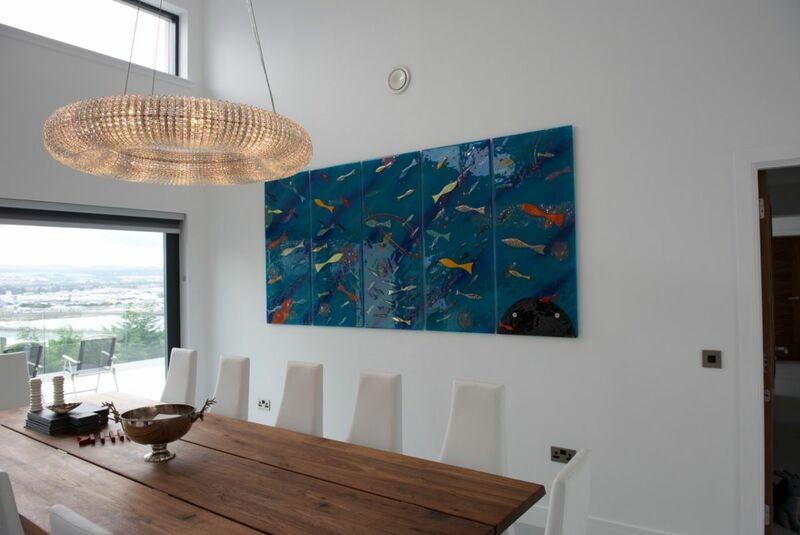 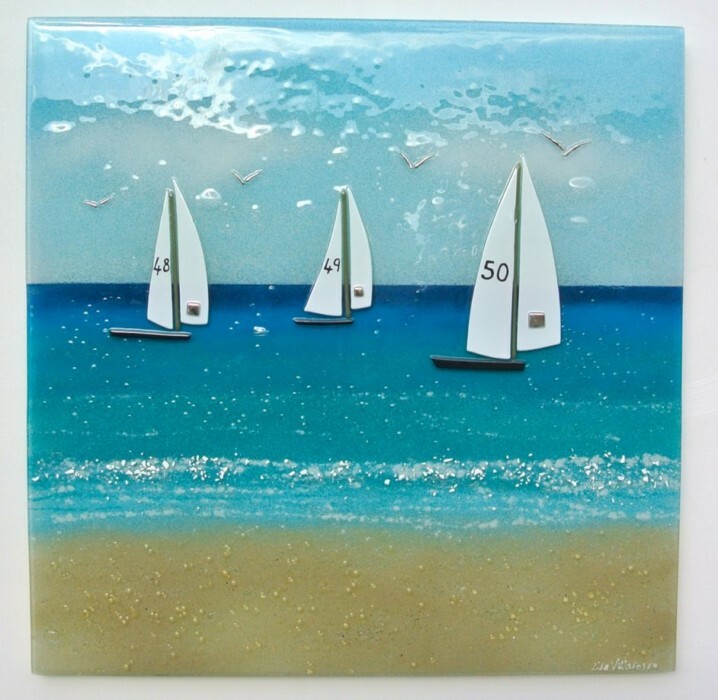 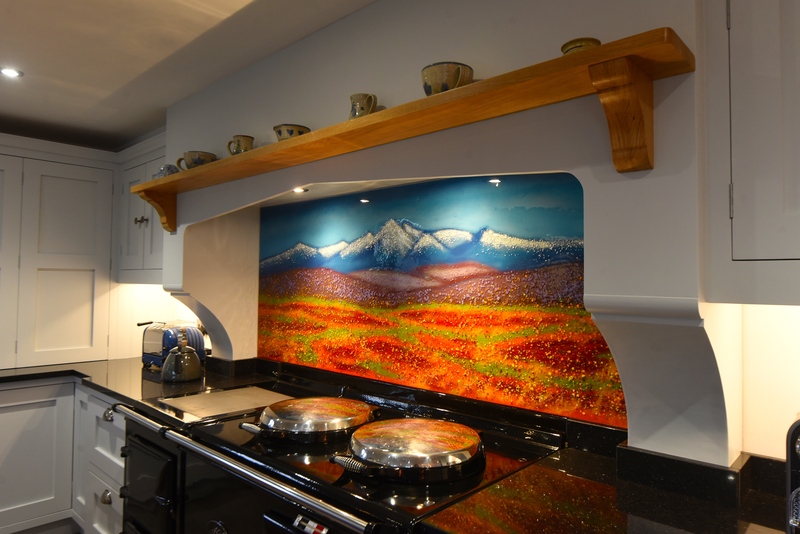 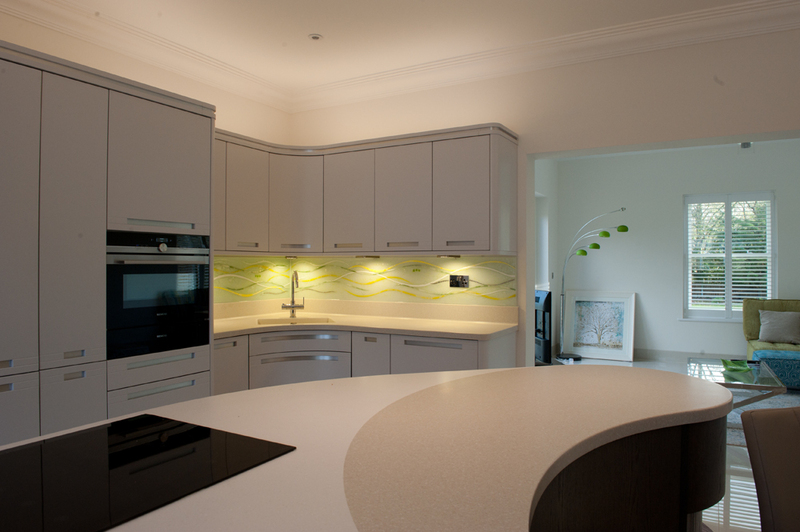 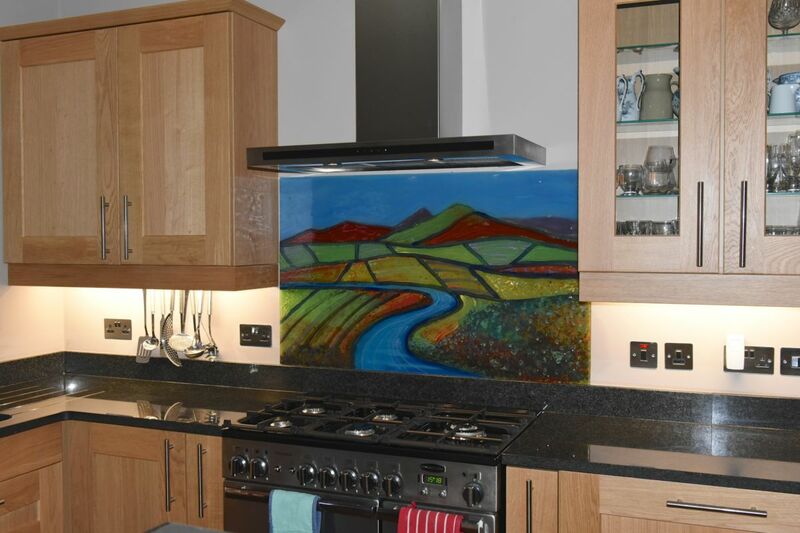 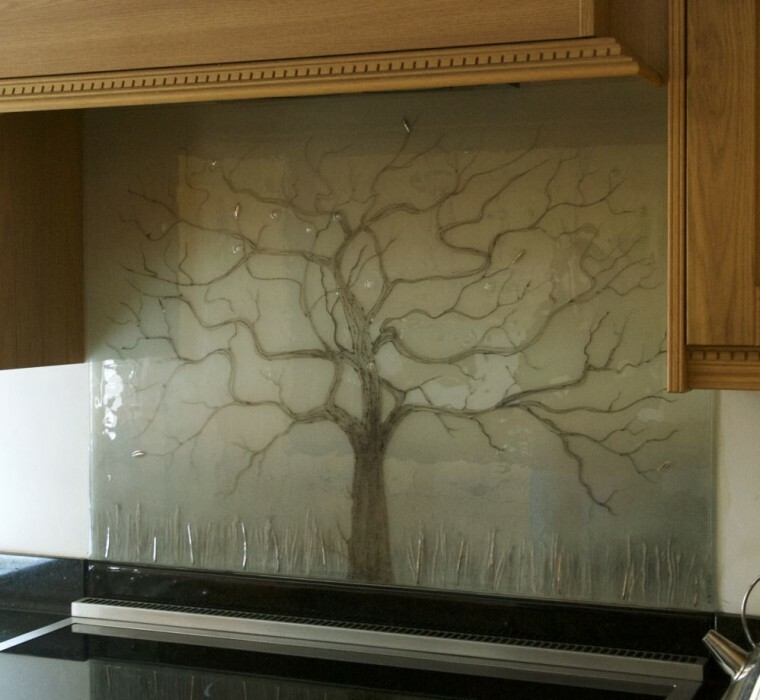 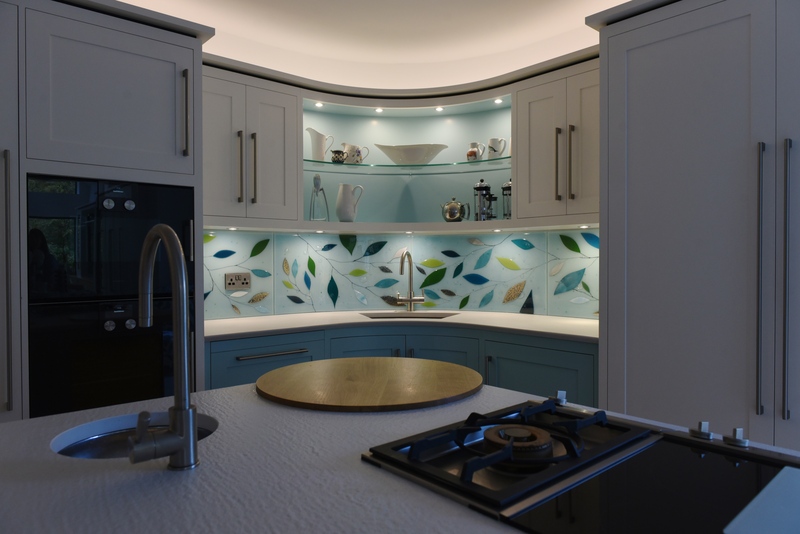 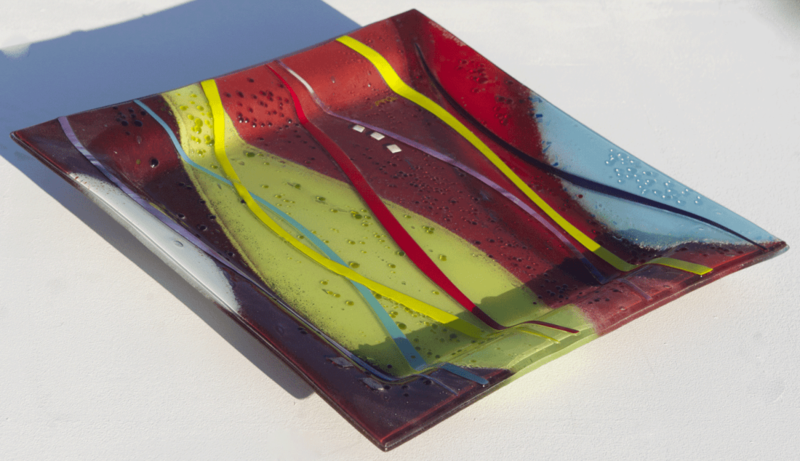 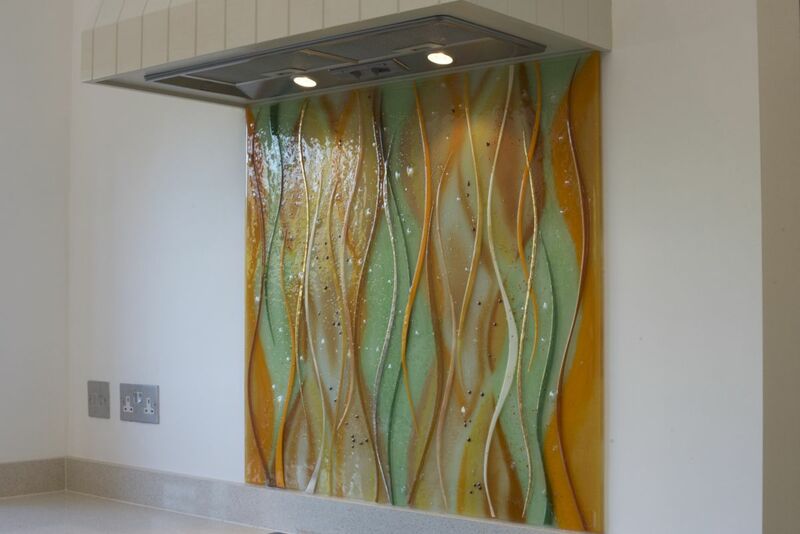 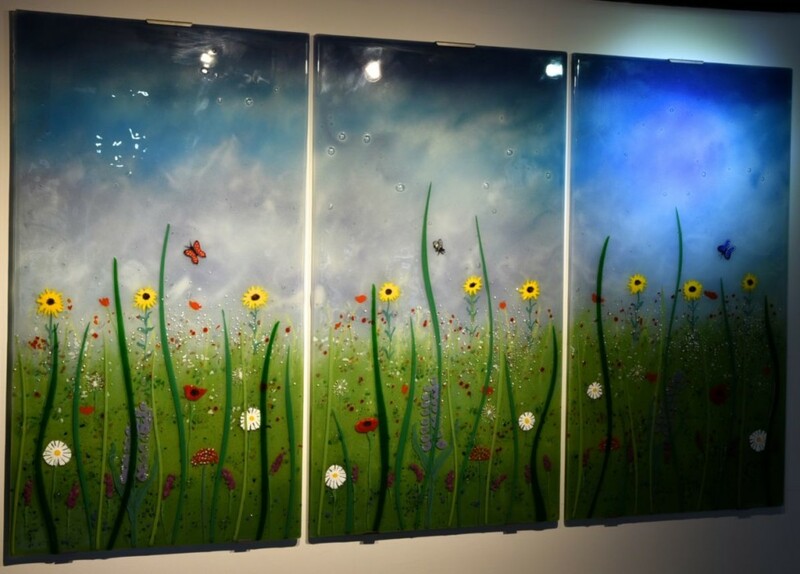 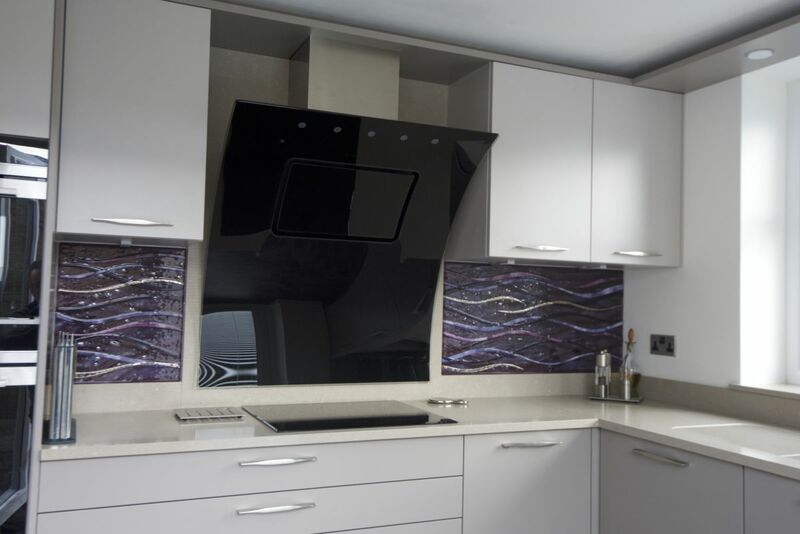 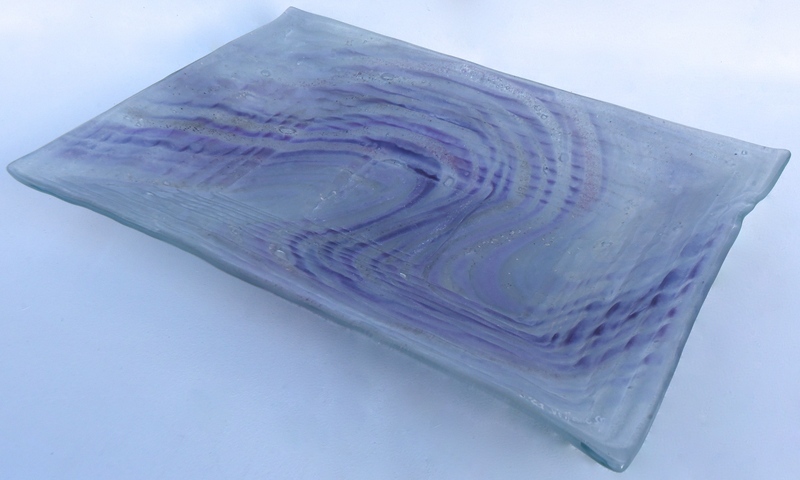 We love this panel because it shows off how much even a single piece of fused glass art can change the mood of a room. 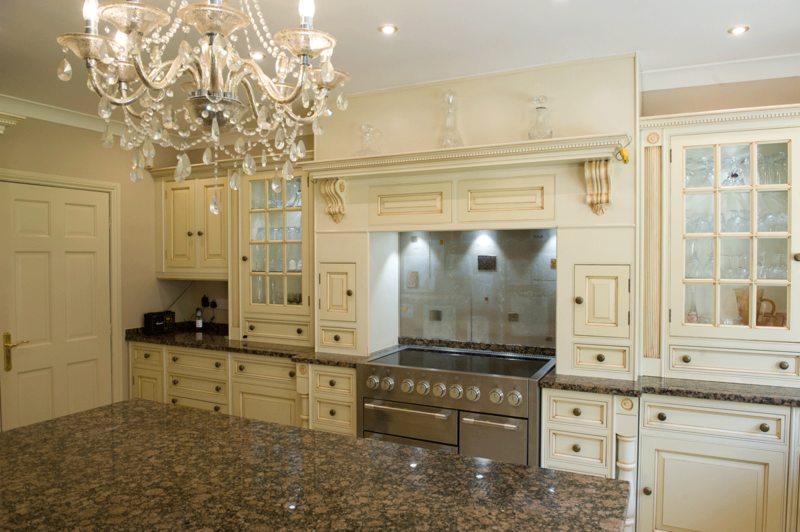 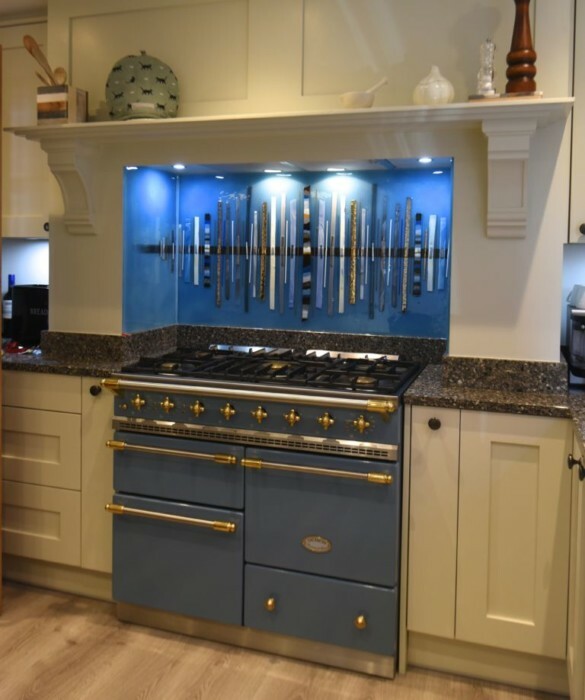 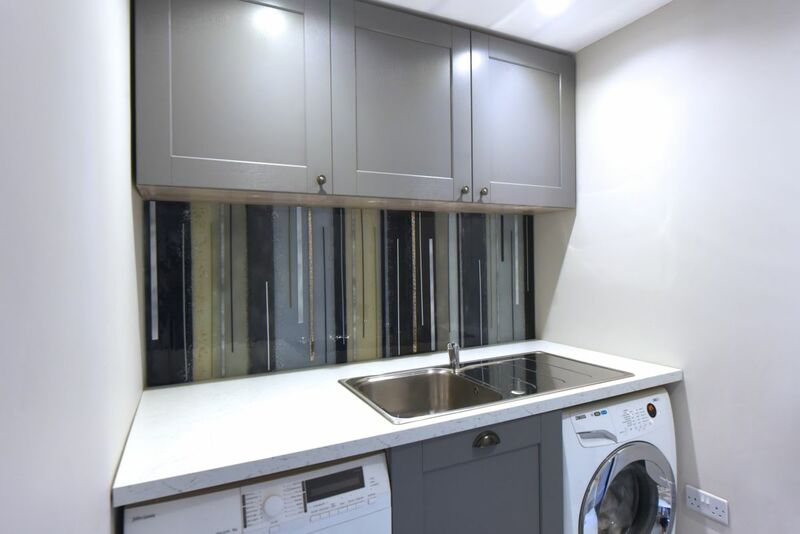 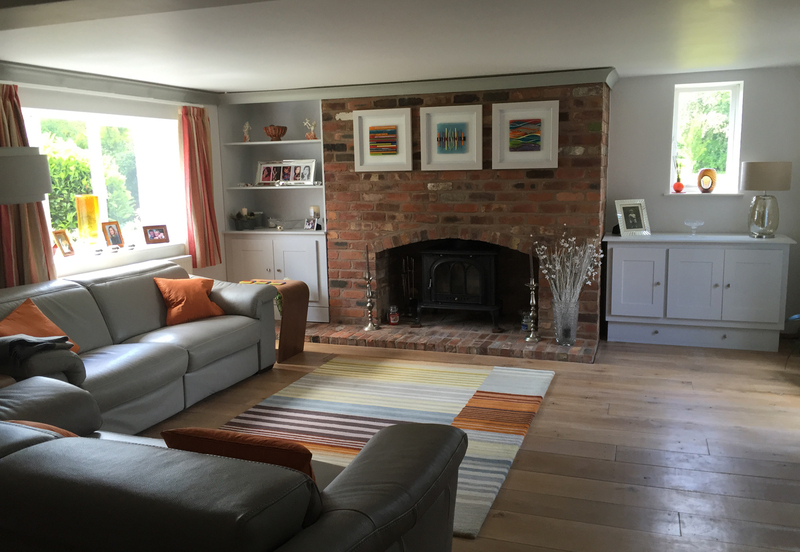 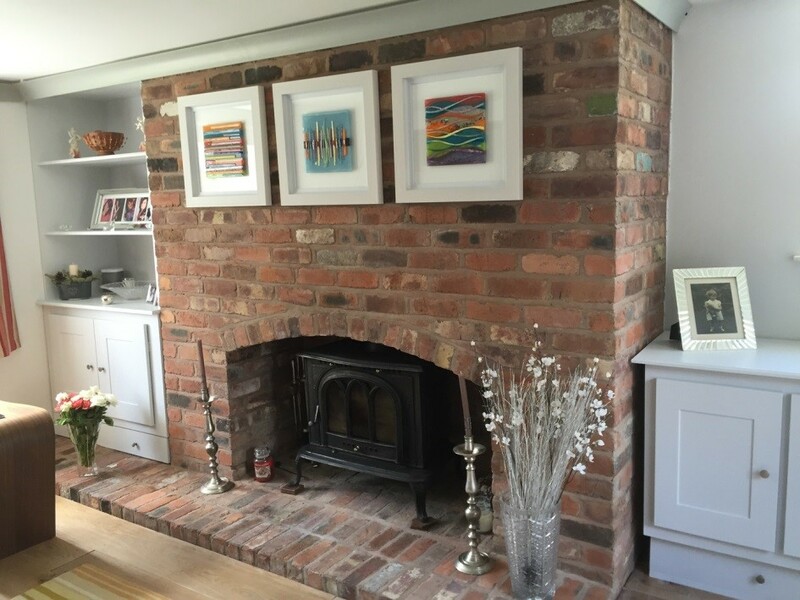 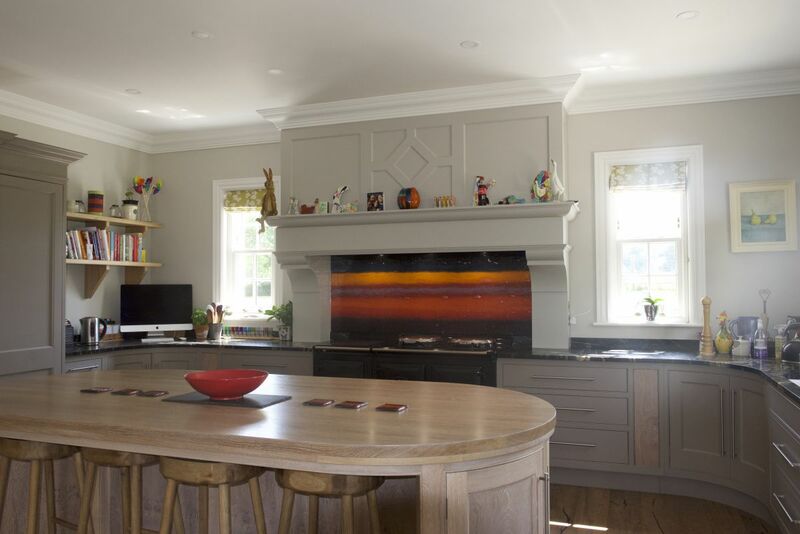 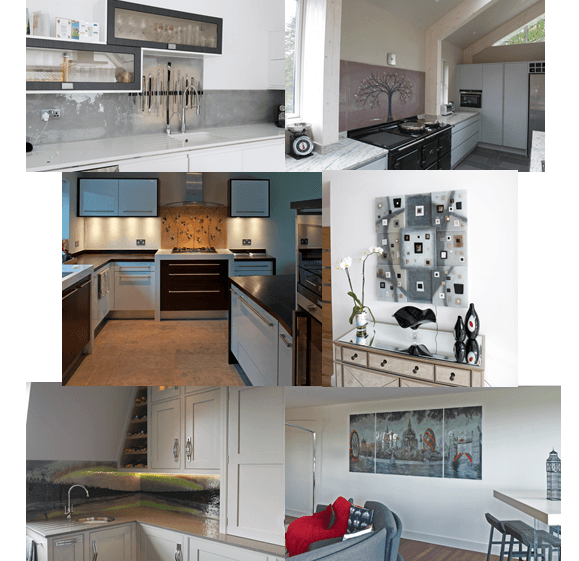 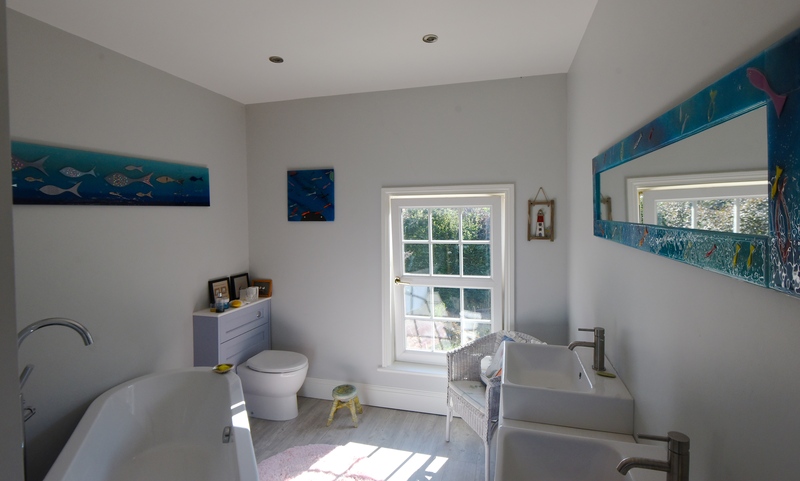 Especially in neutral, modern spaces, a little bit of traditional handiwork and colour can make a room feel incredibly welcoming. 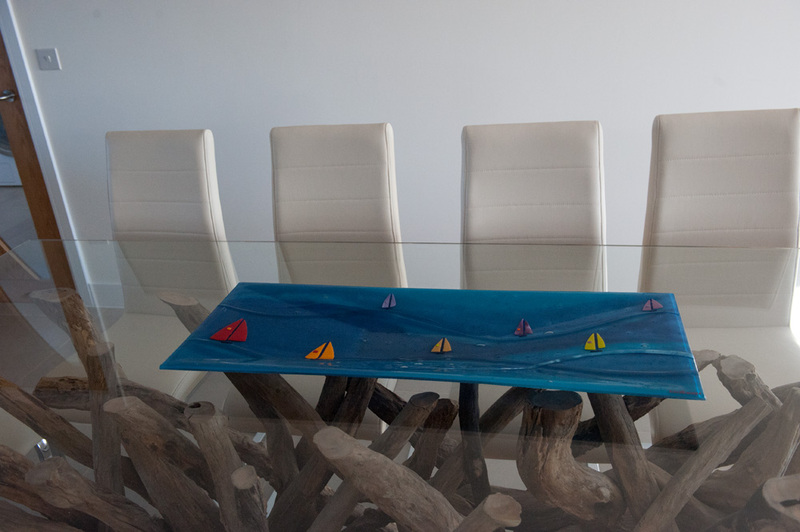 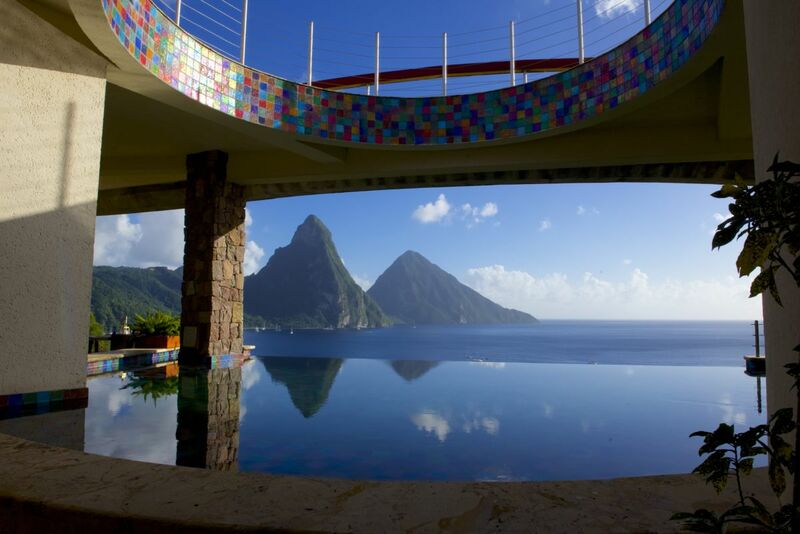 The way that the glass reflects off of the nearby table is an added bonus, as well! 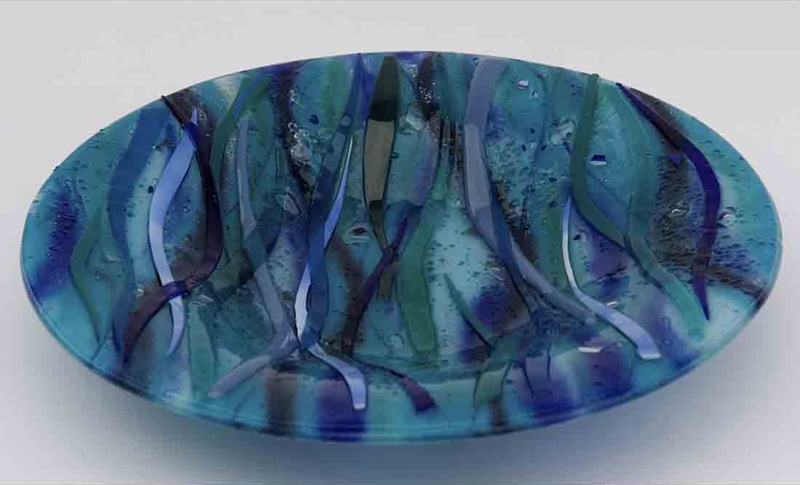 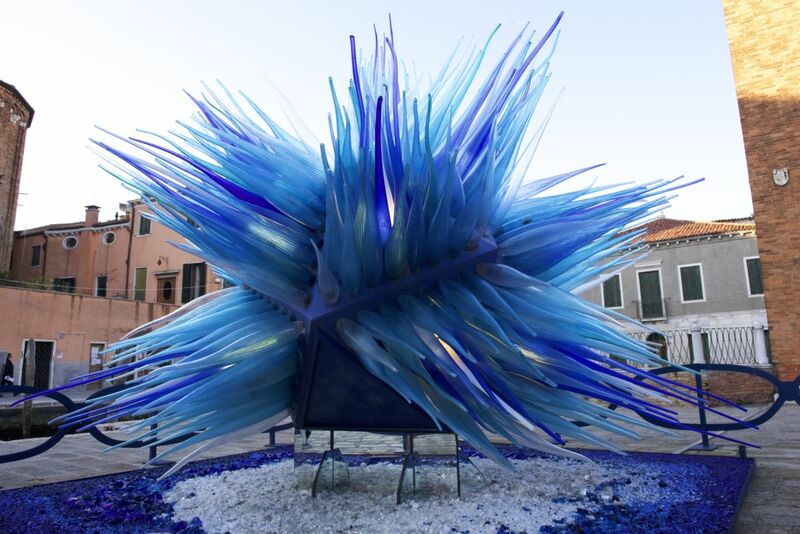 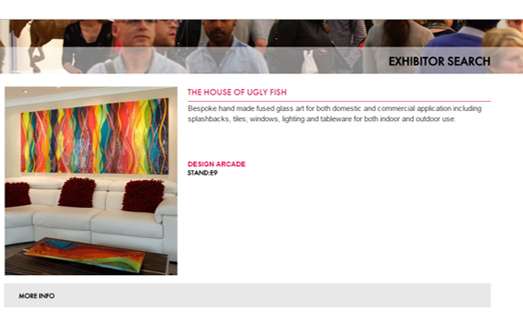 If you’re looking to get your hands on your very own glass wall art, then The House of Ugly Fish is the place to go. 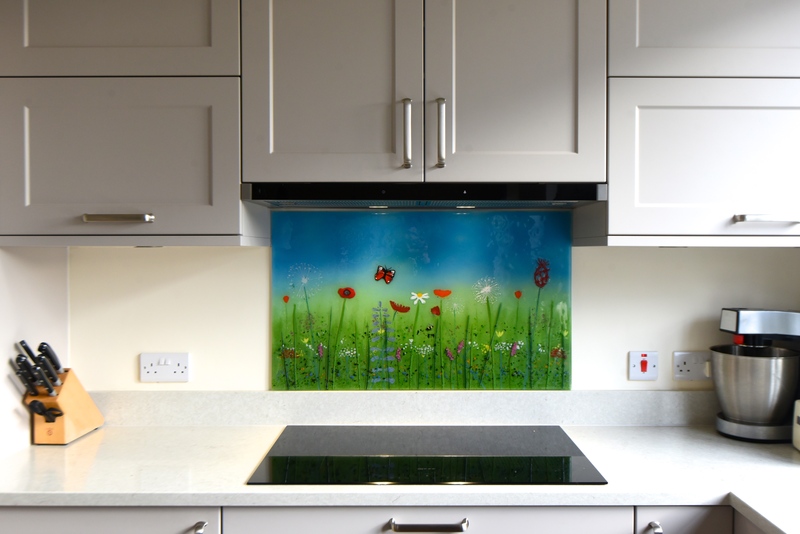 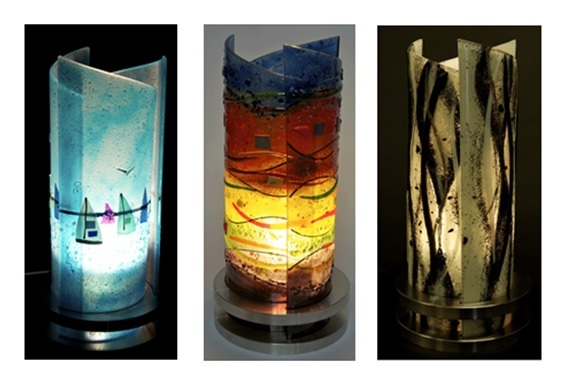 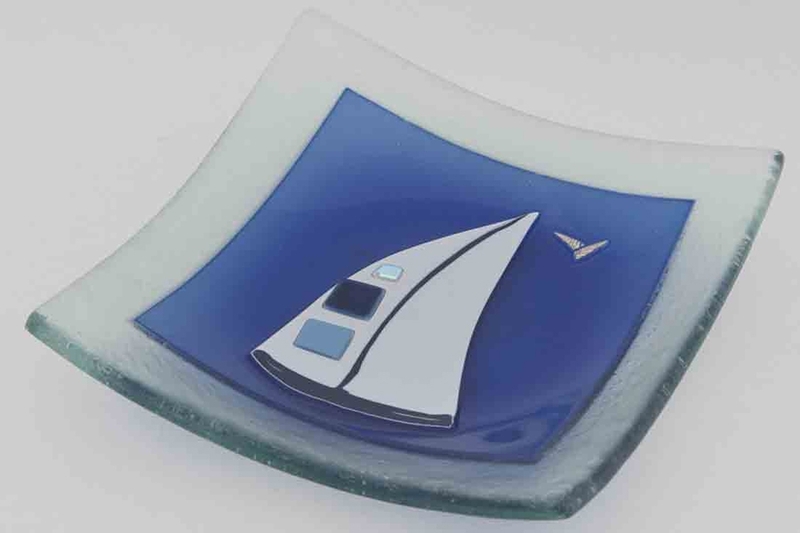 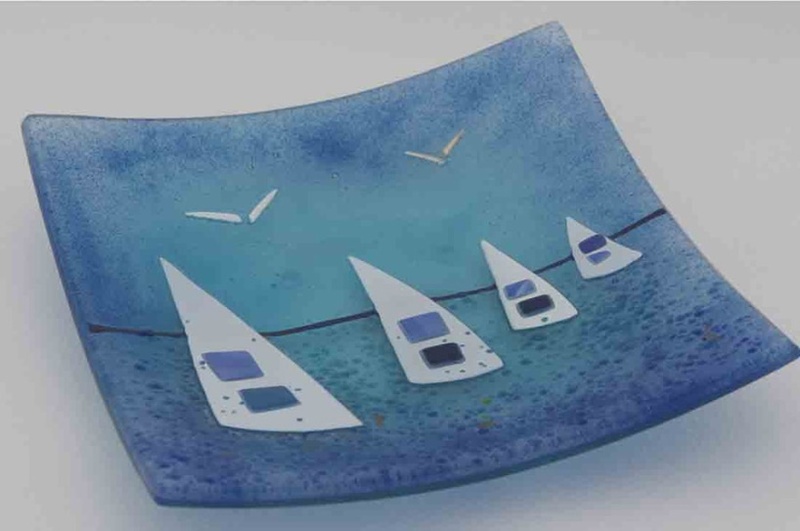 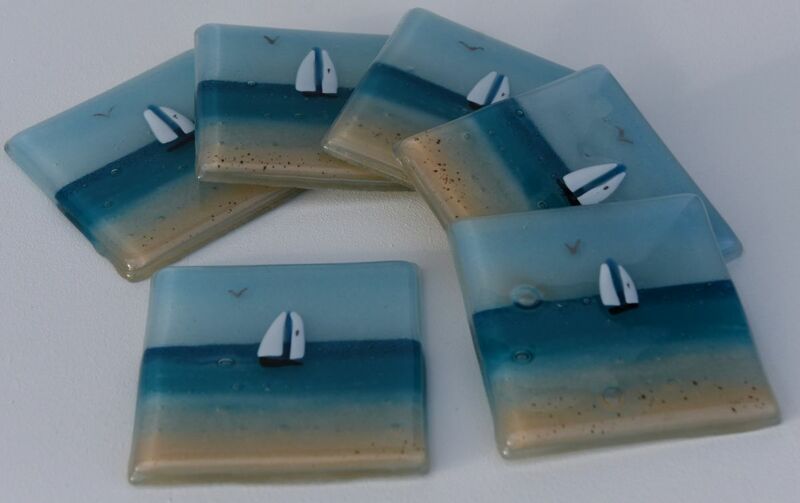 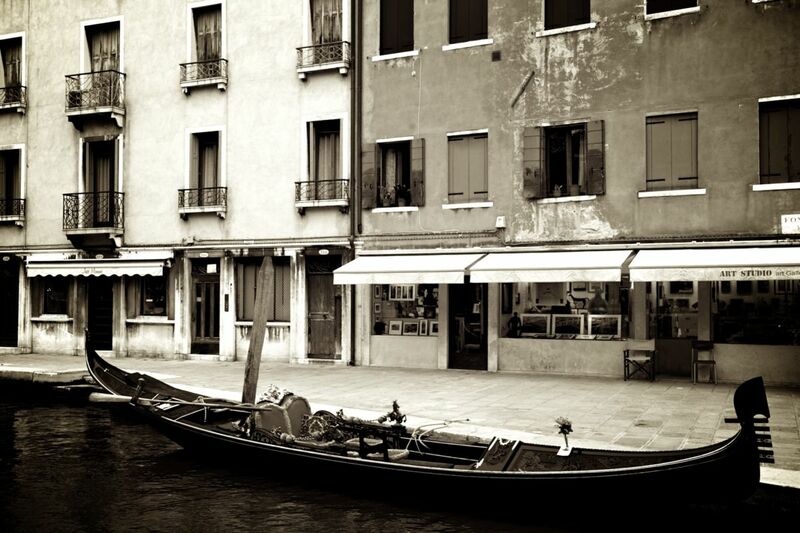 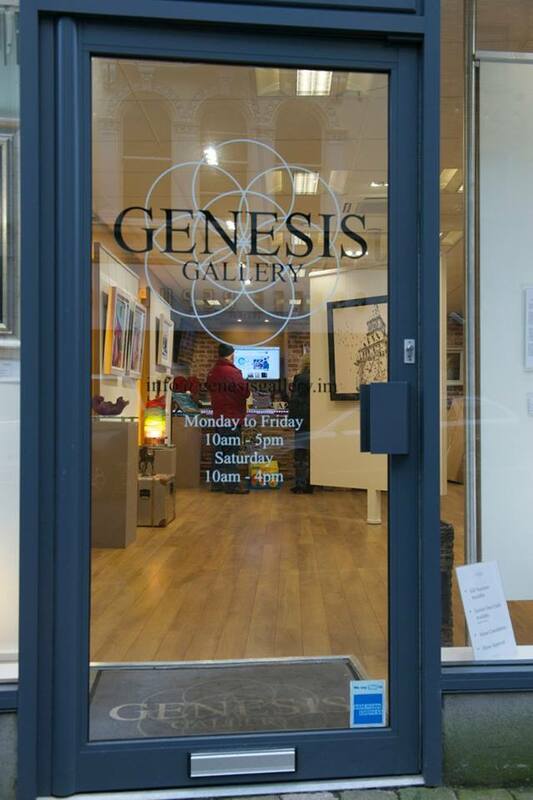 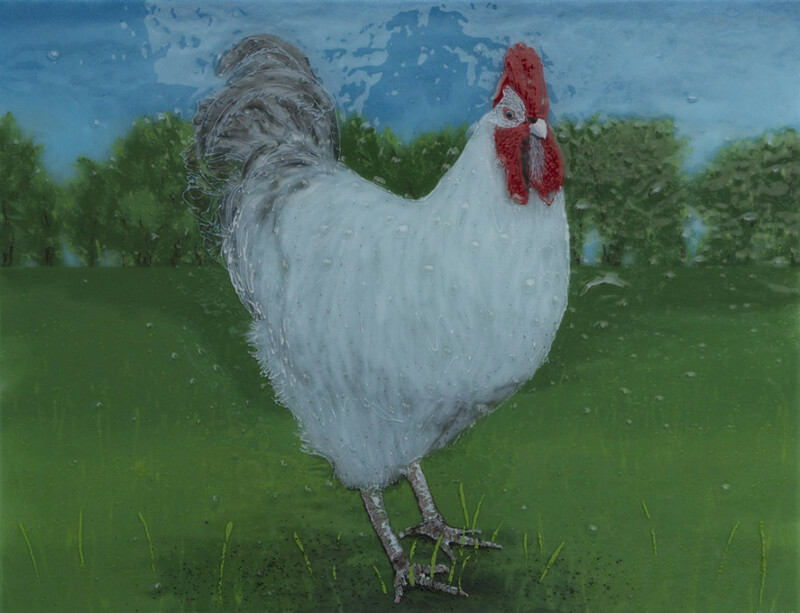 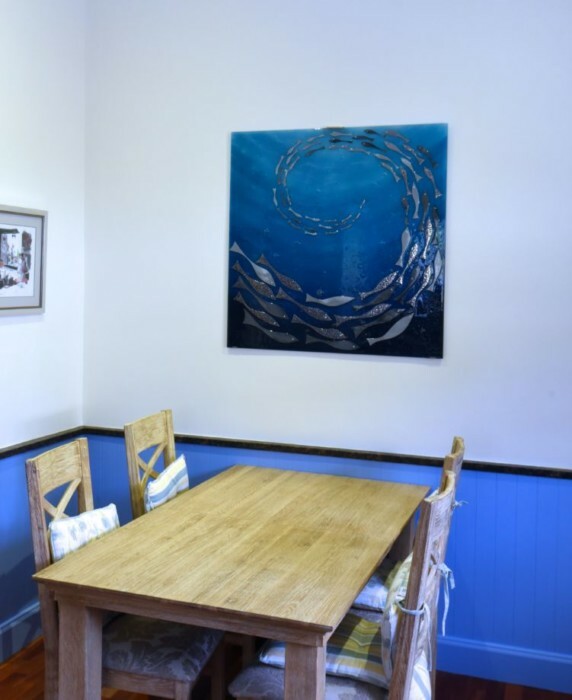 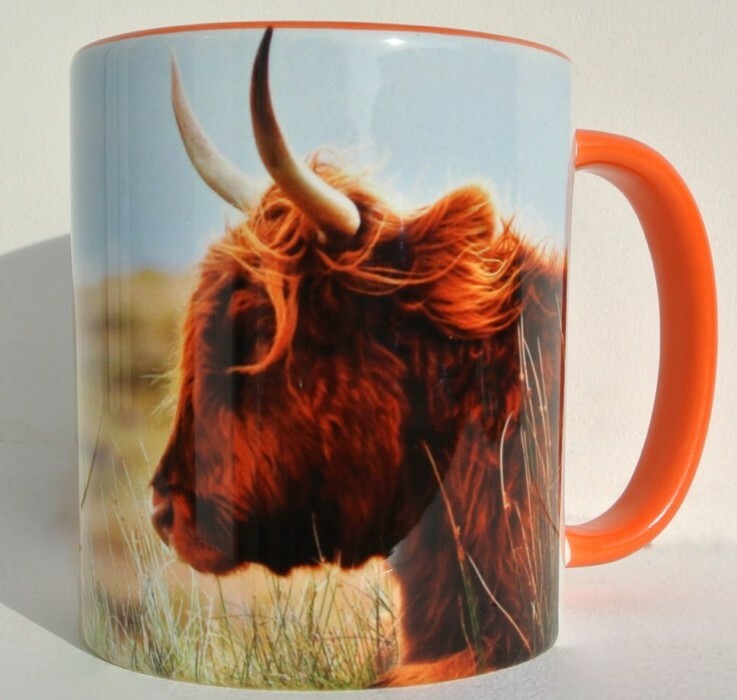 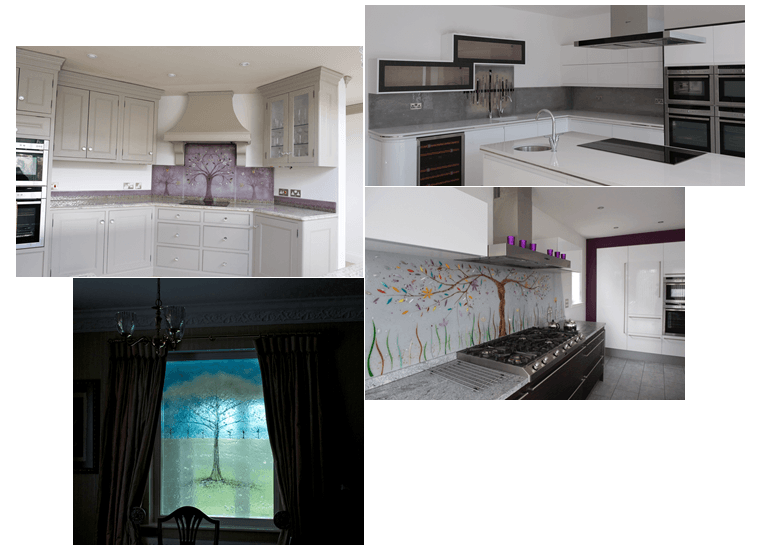 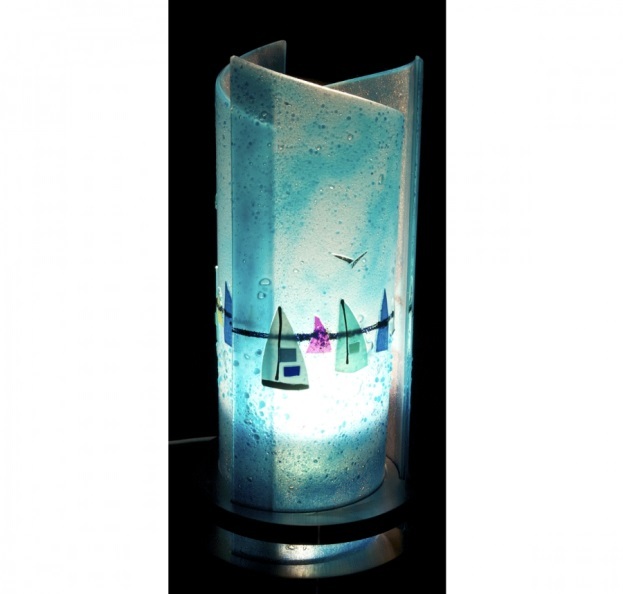 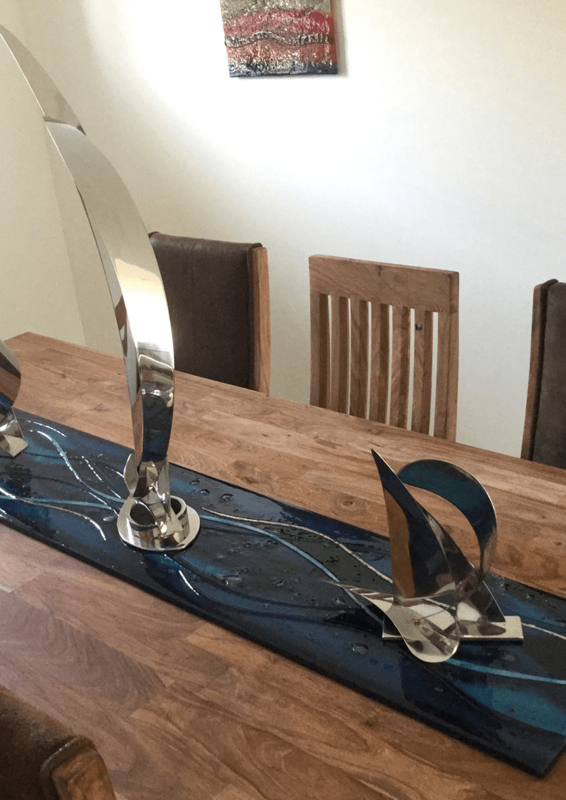 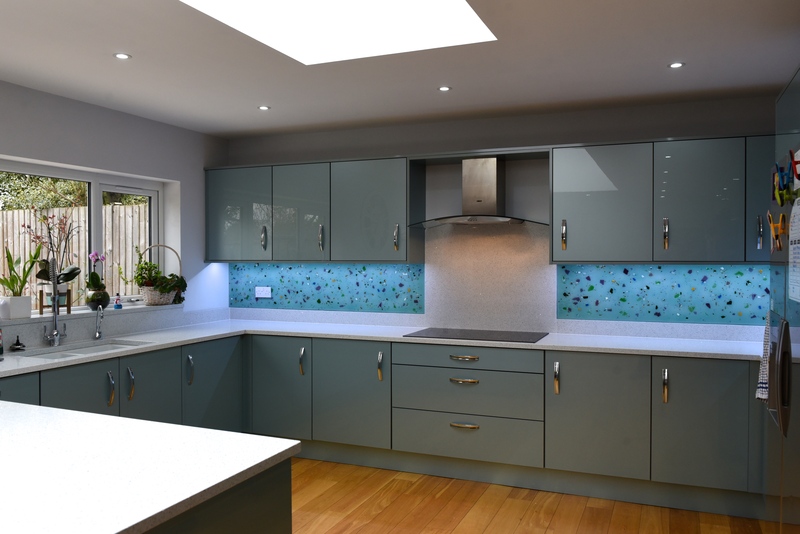 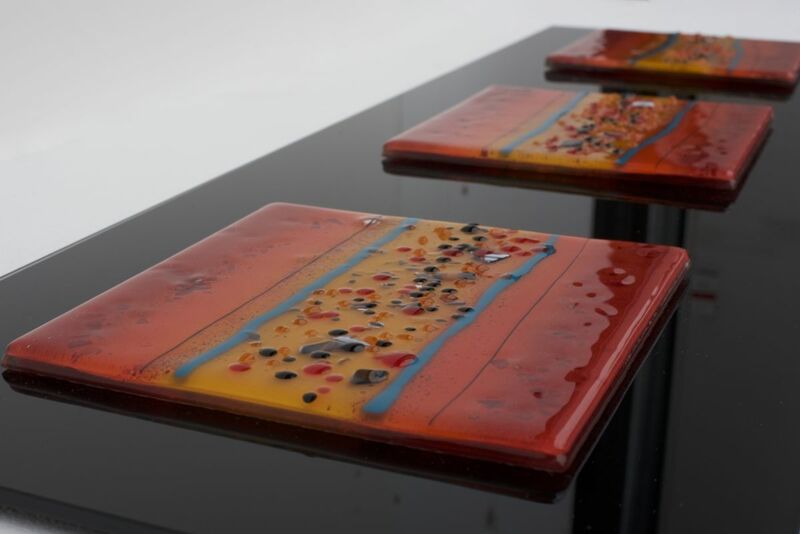 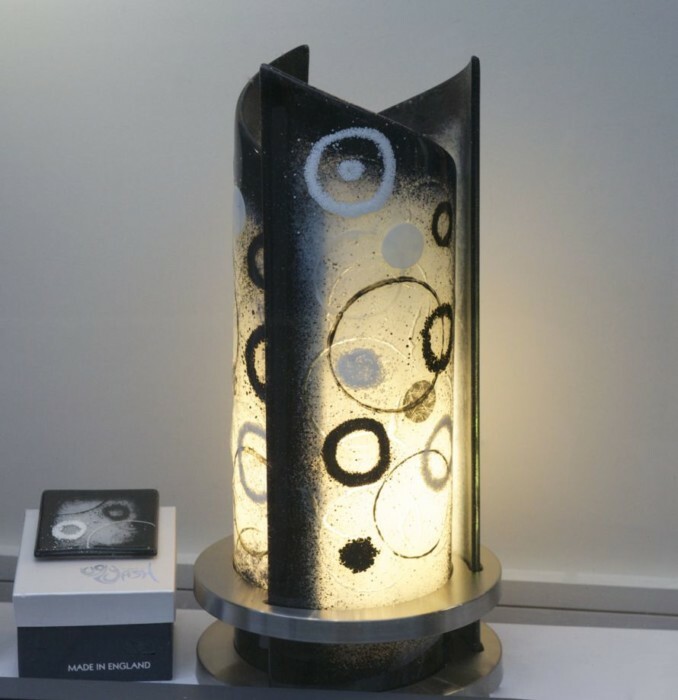 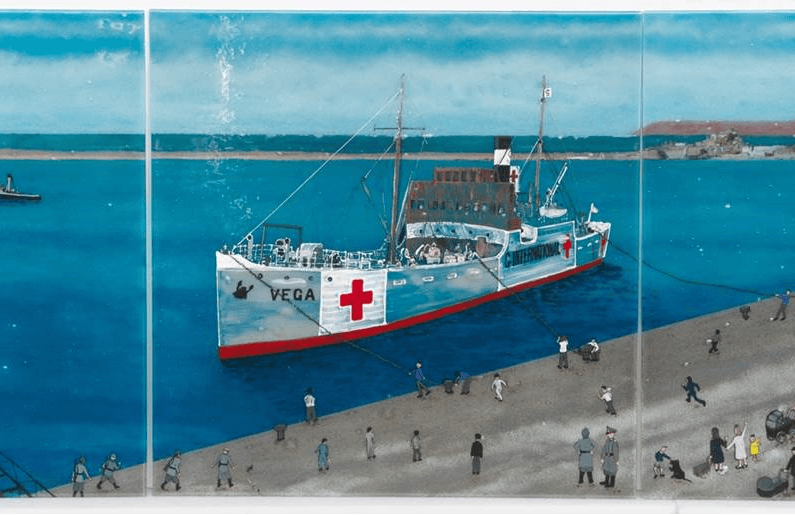 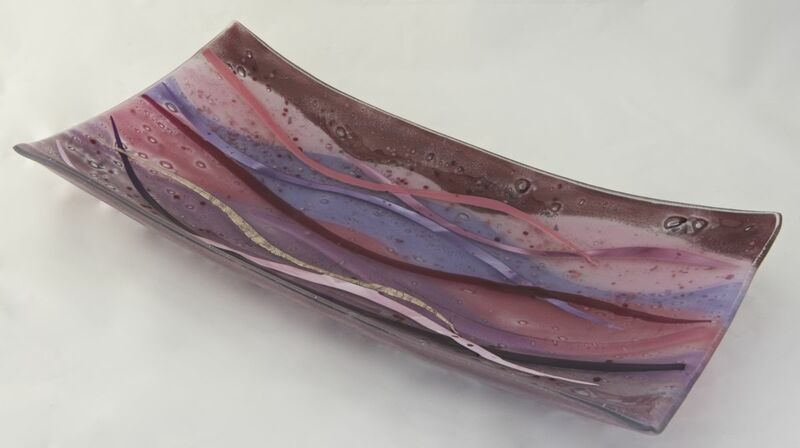 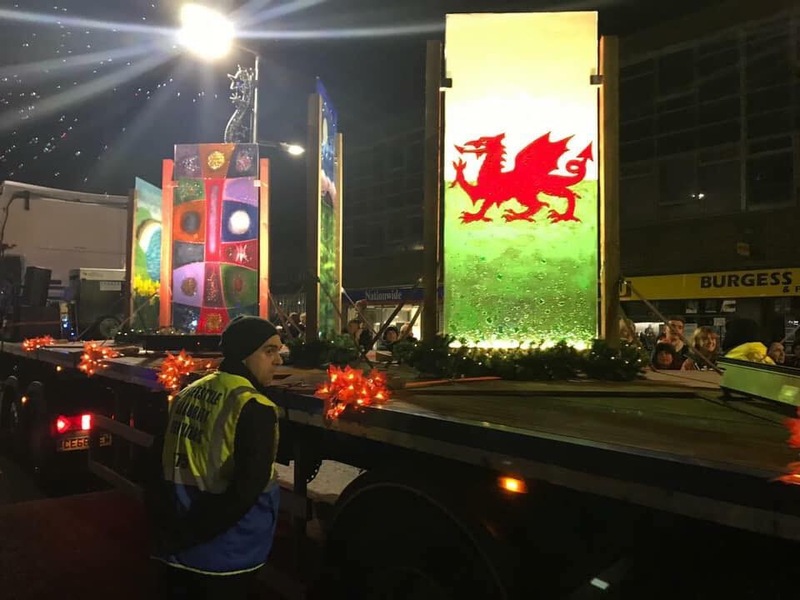 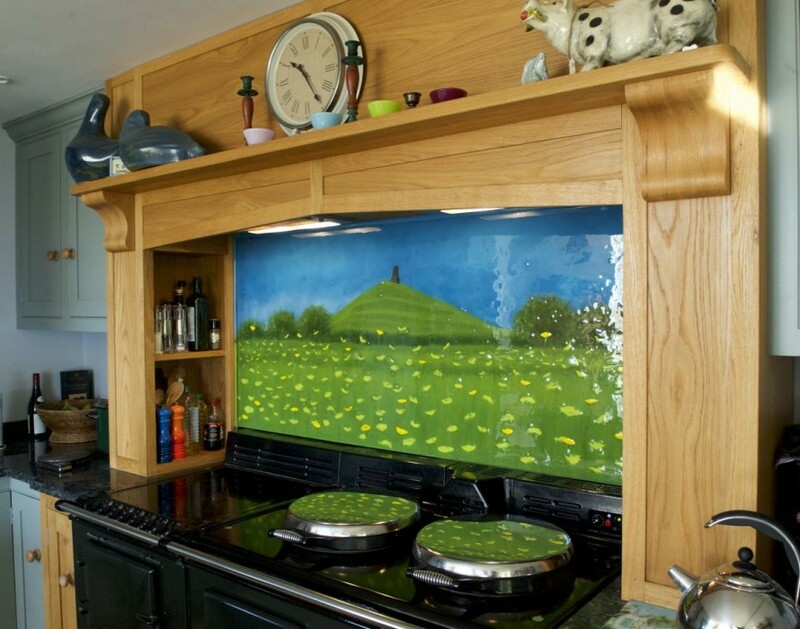 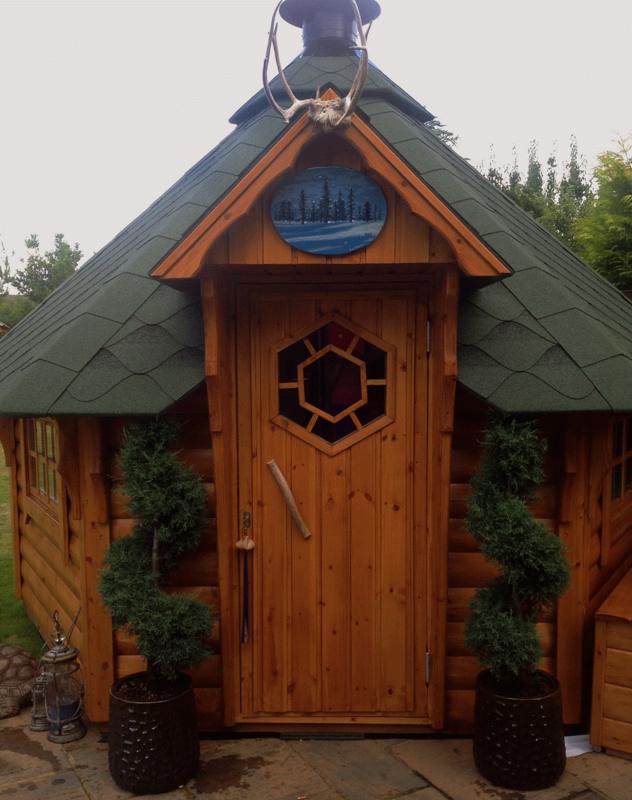 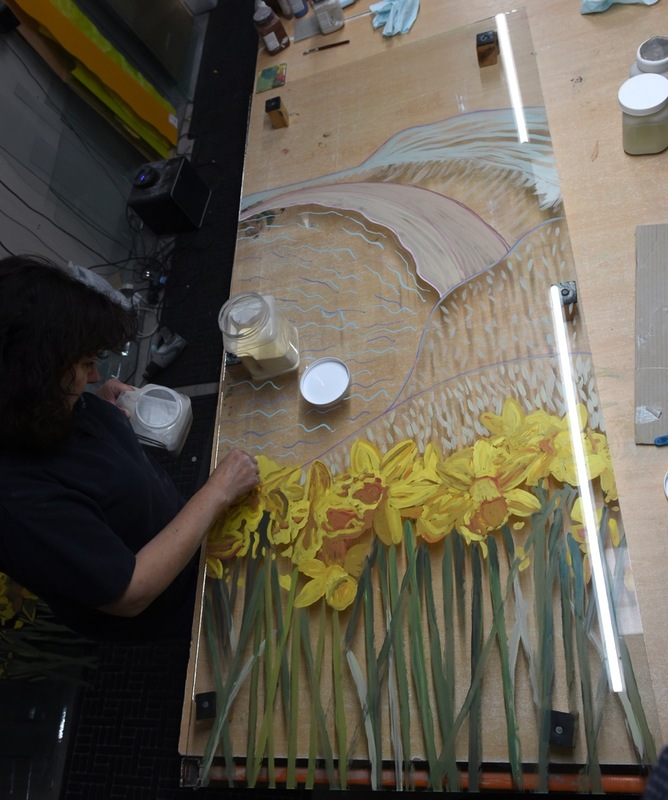 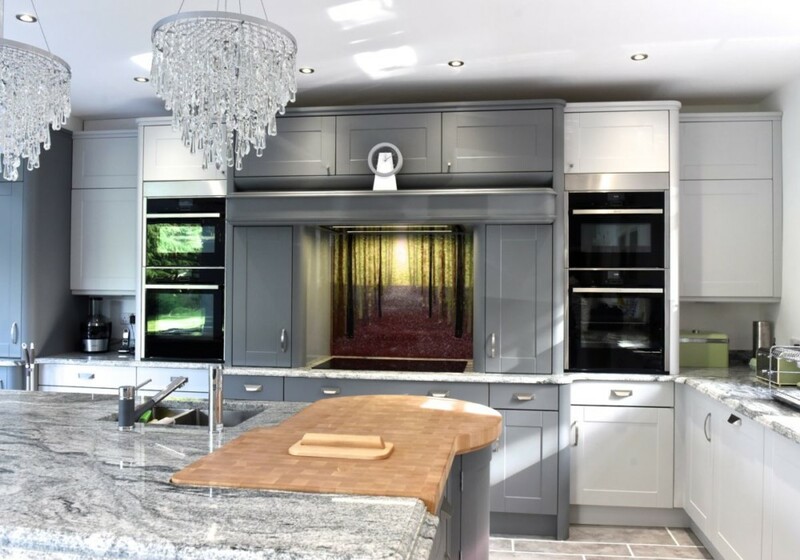 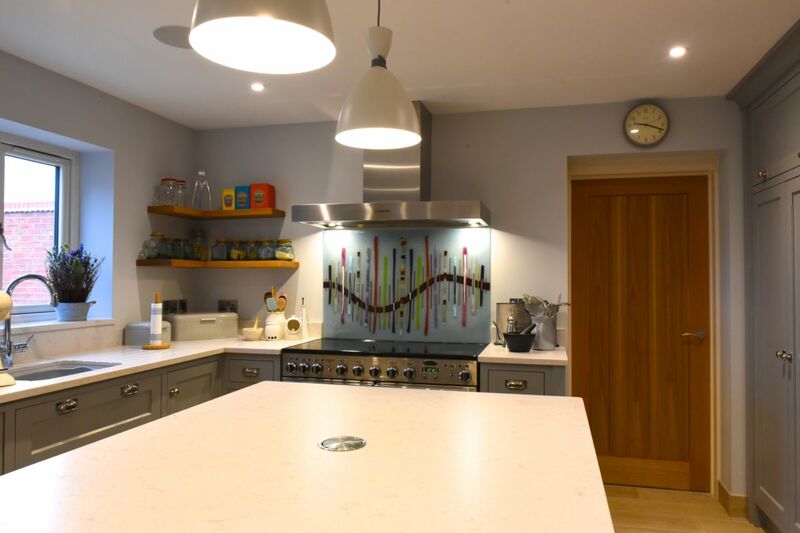 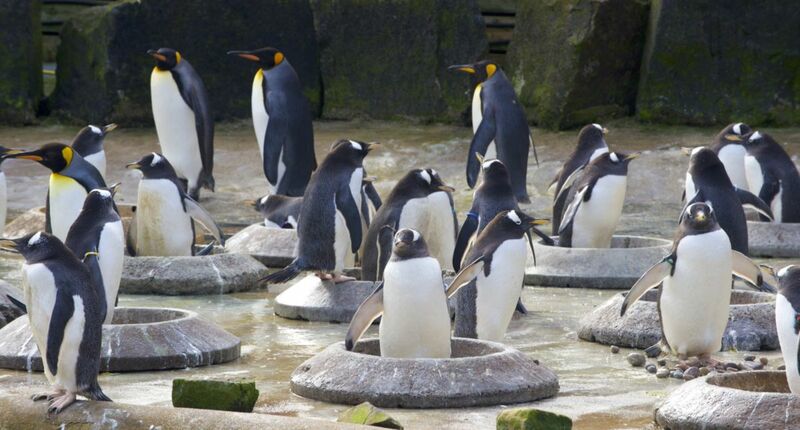 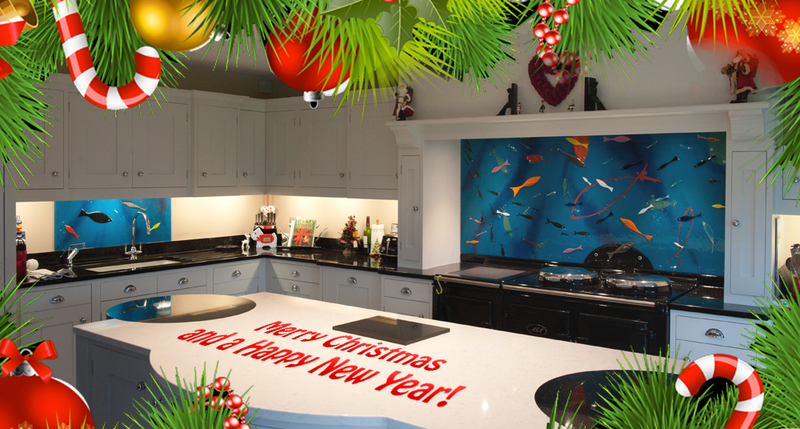 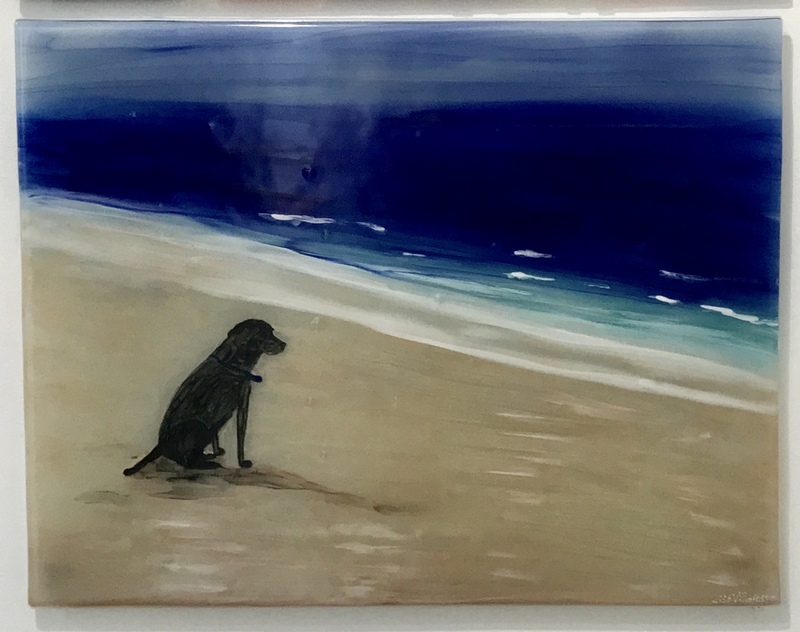 We’d be thrilled to hear from you, and it’ll be no time at all after that when we get started on a brand new piece of bespoke fused glass art just for you. 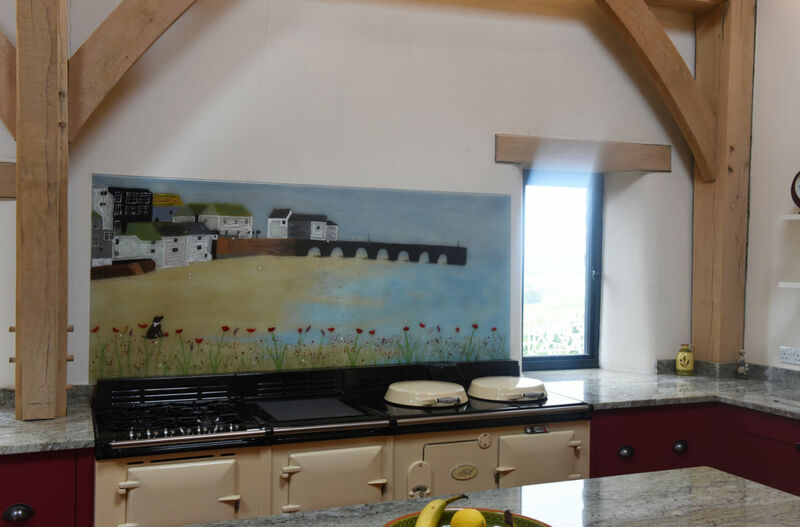 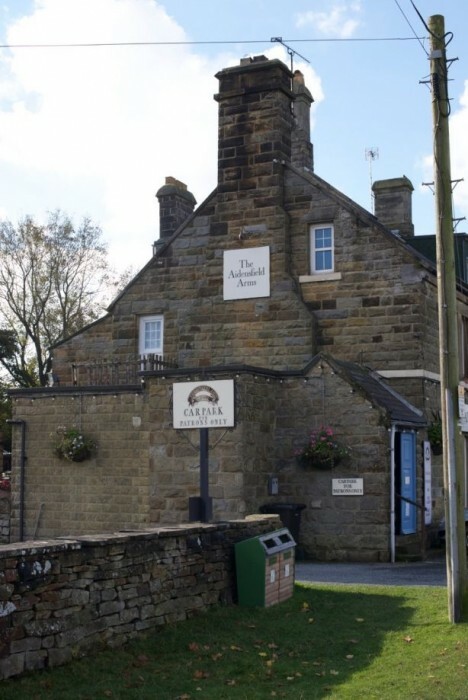 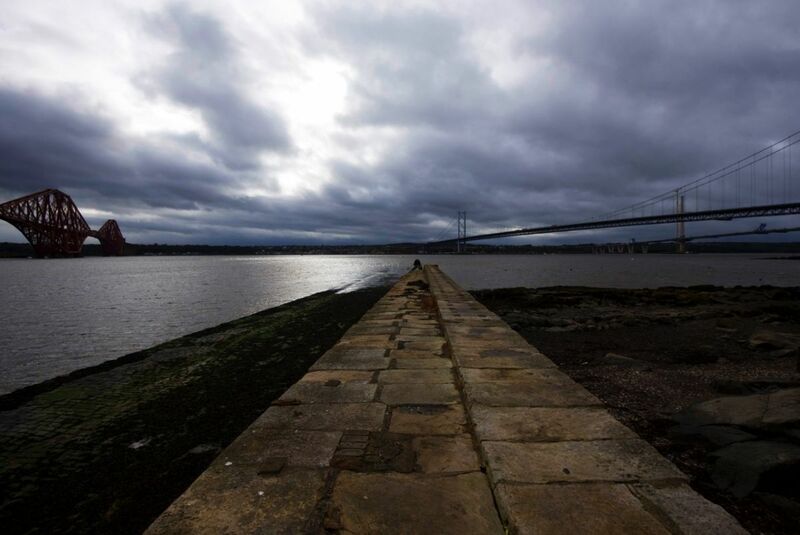 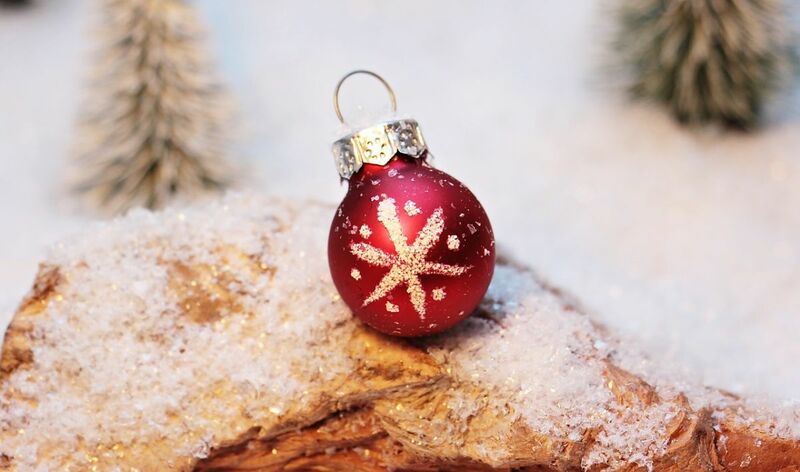 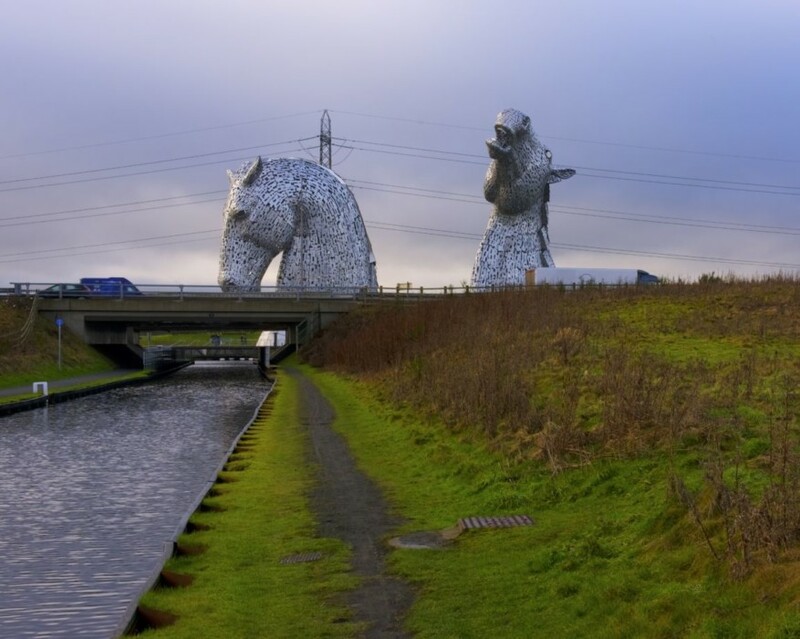 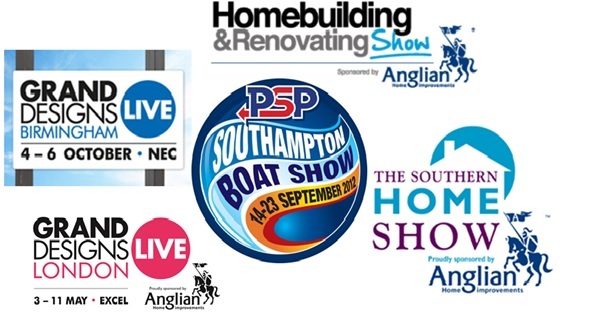 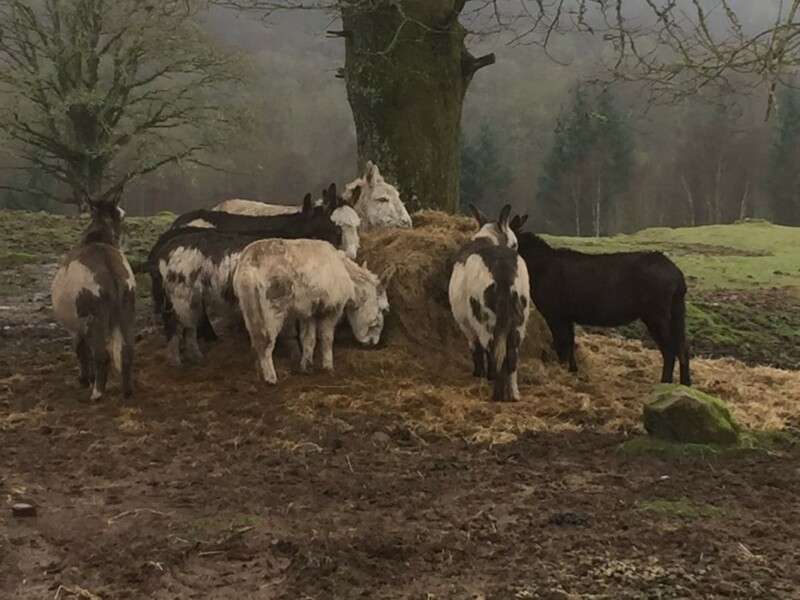 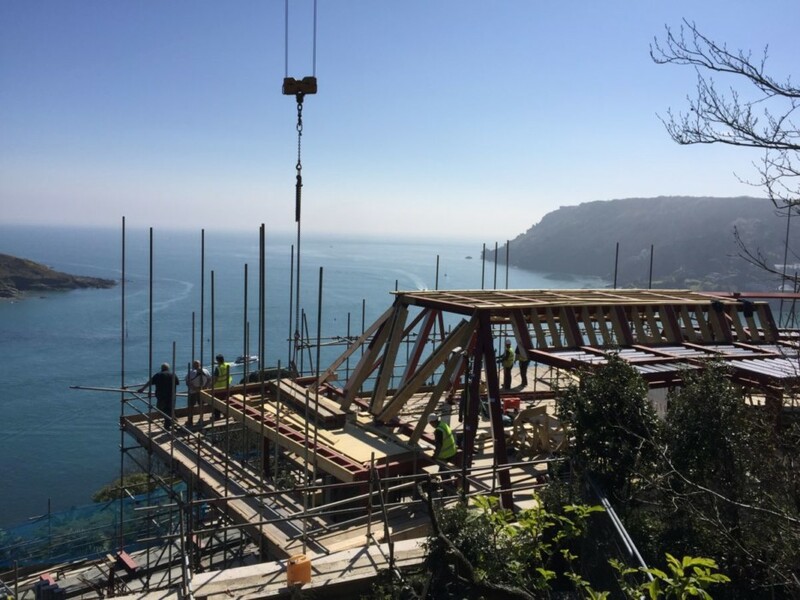 You can get in touch by picking up the phone or dropping us an email, so make sure you don’t wait to do just that as soon as you can. 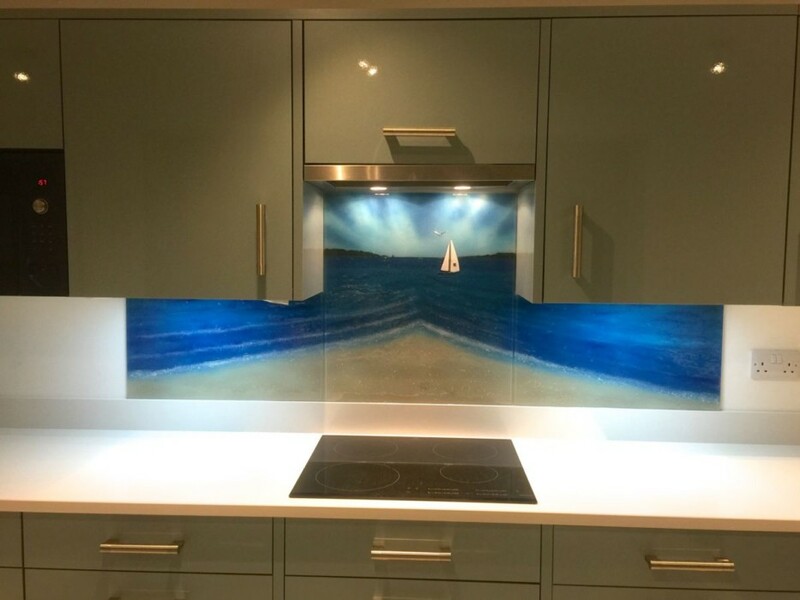 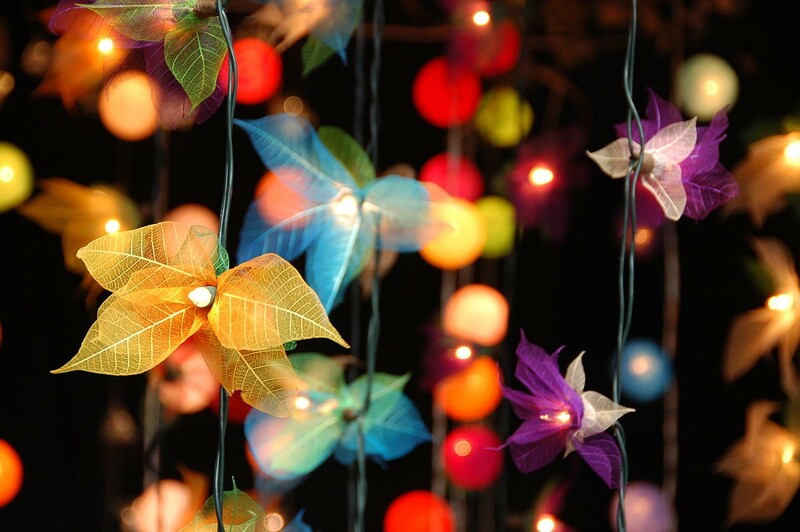 Remember, your imagination is the only limit!